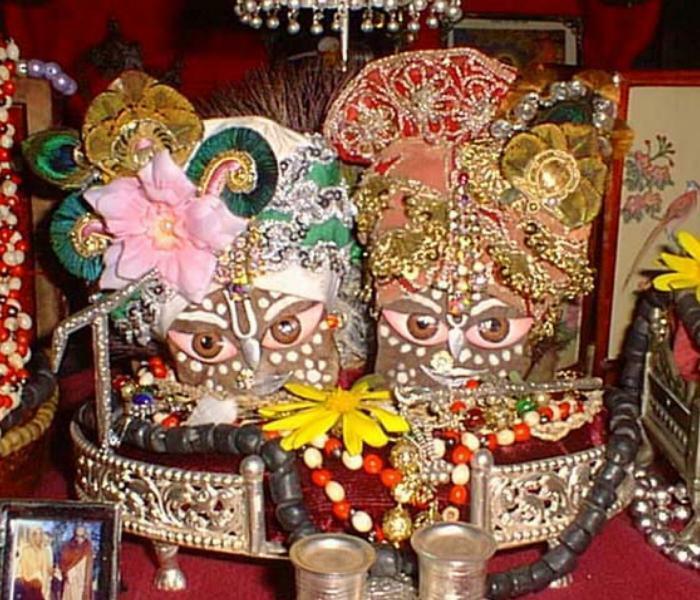 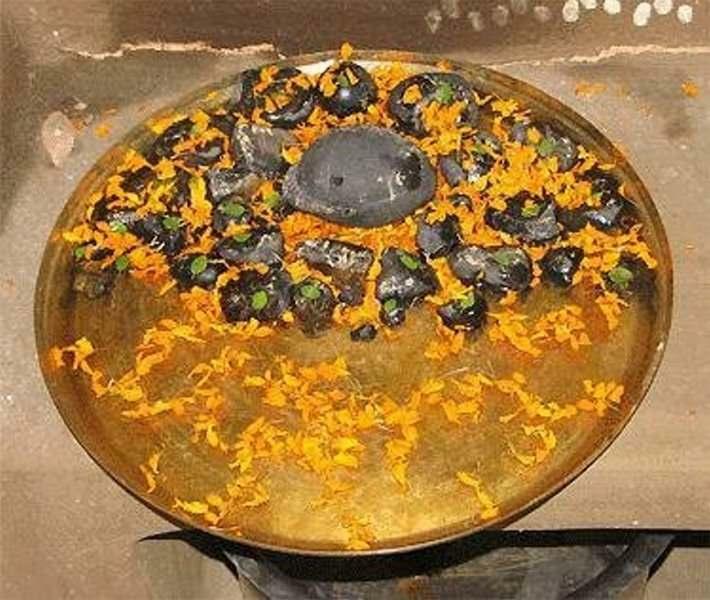 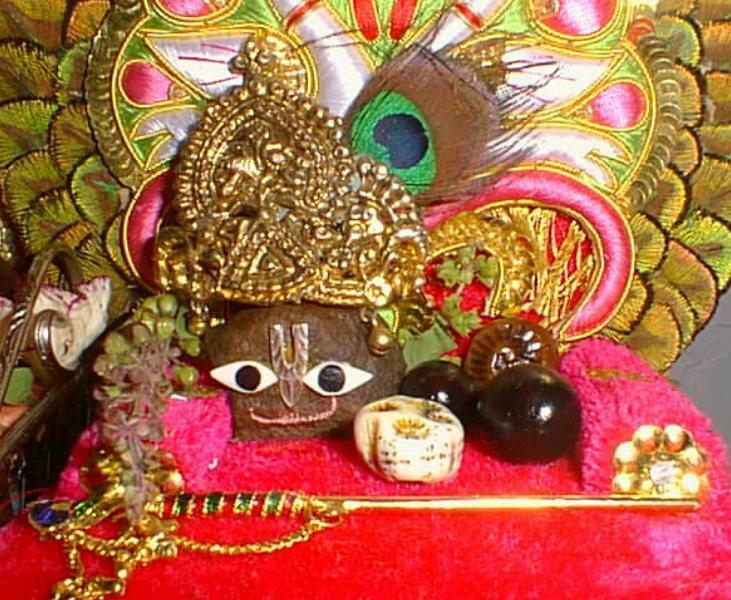 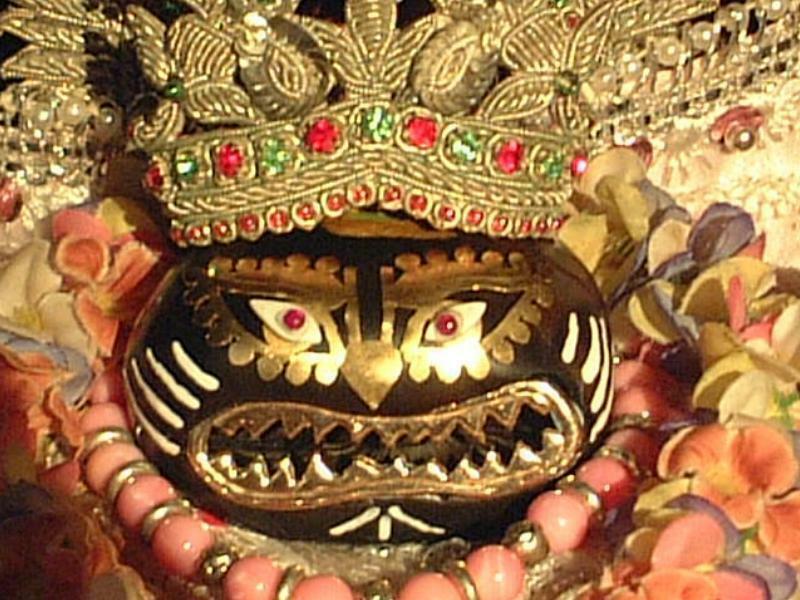 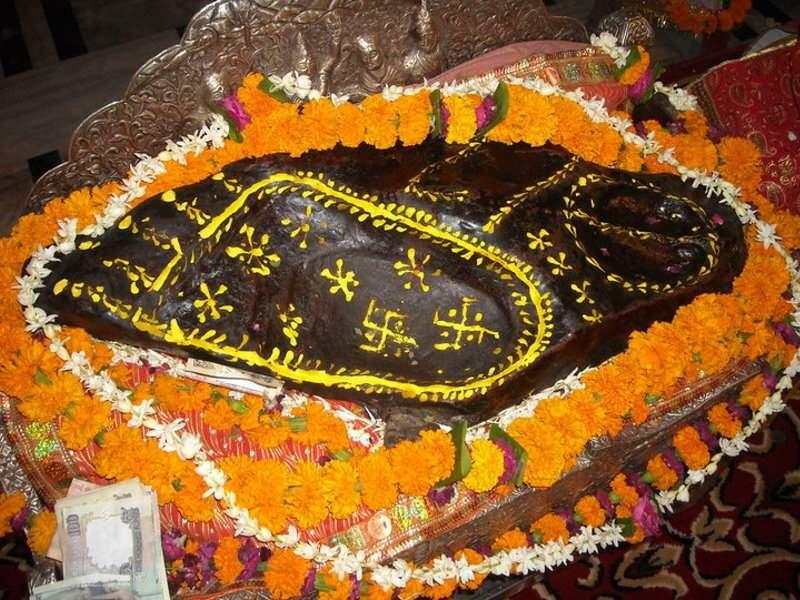 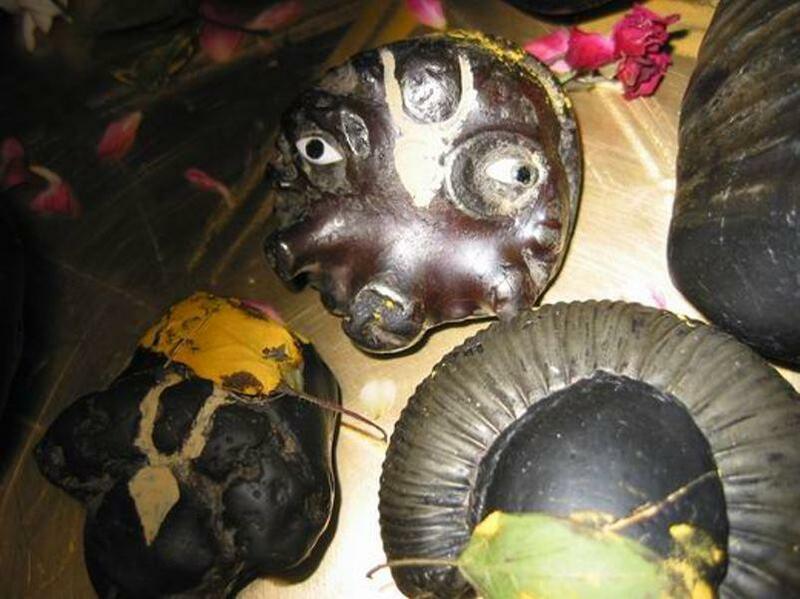 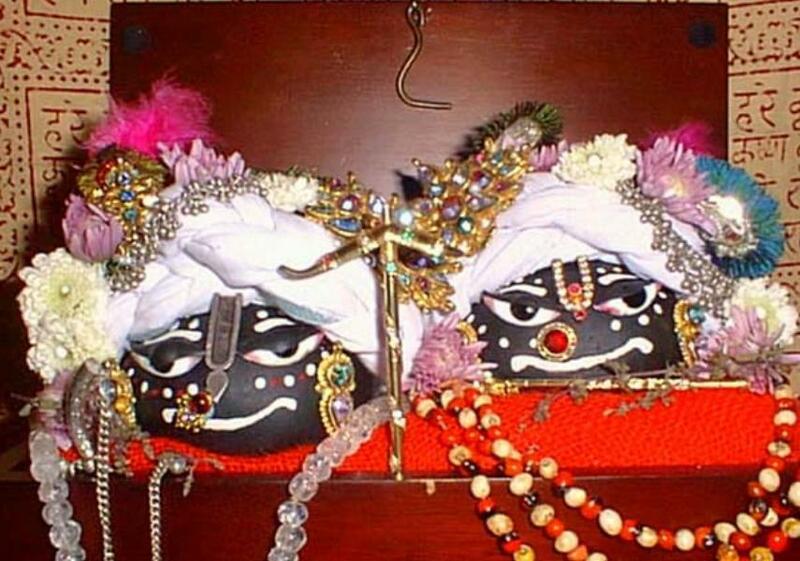 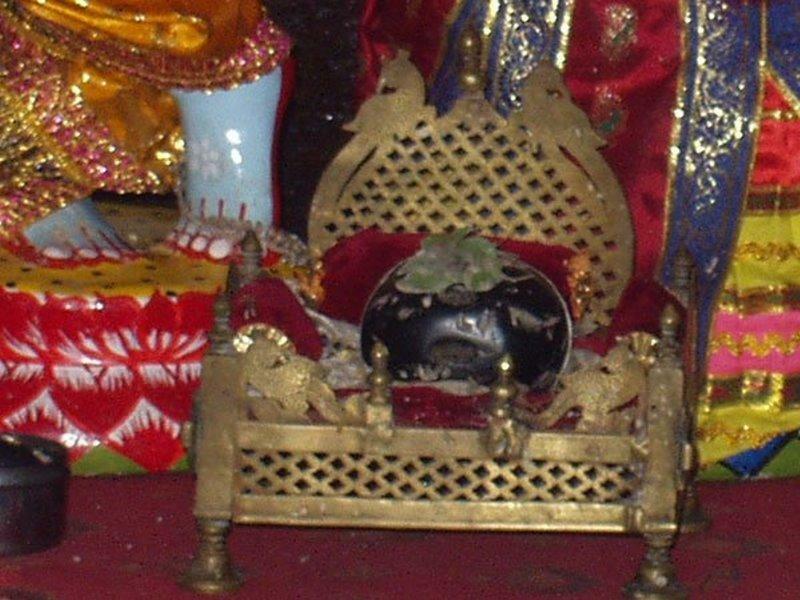 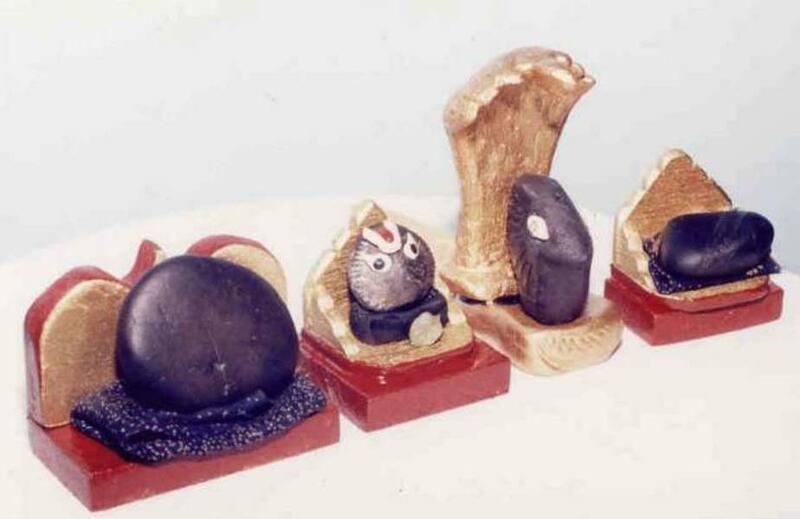 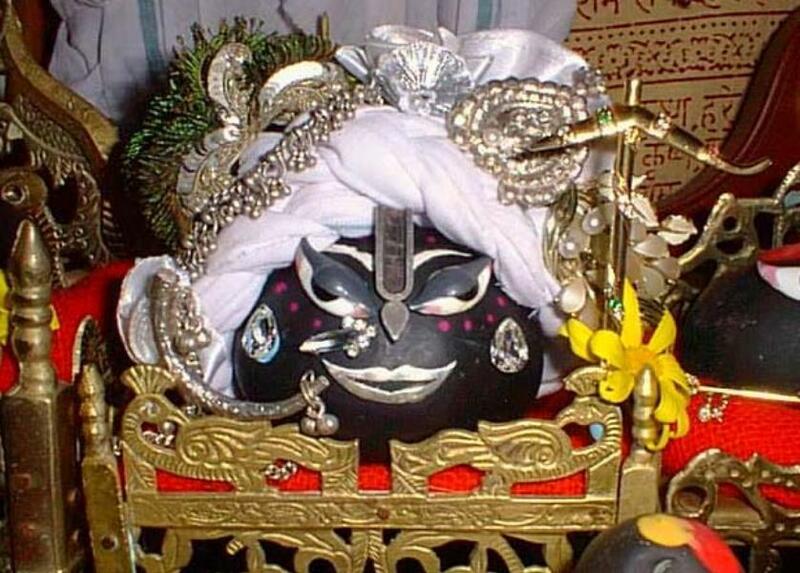 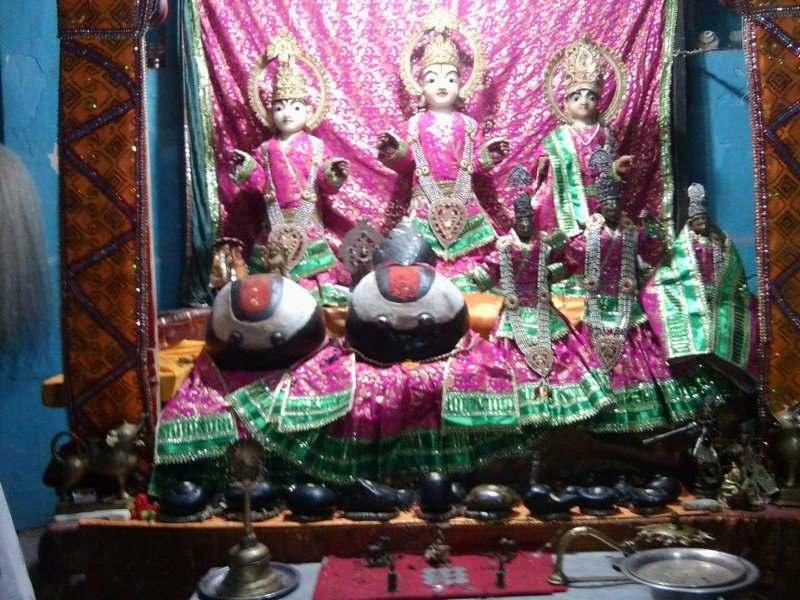 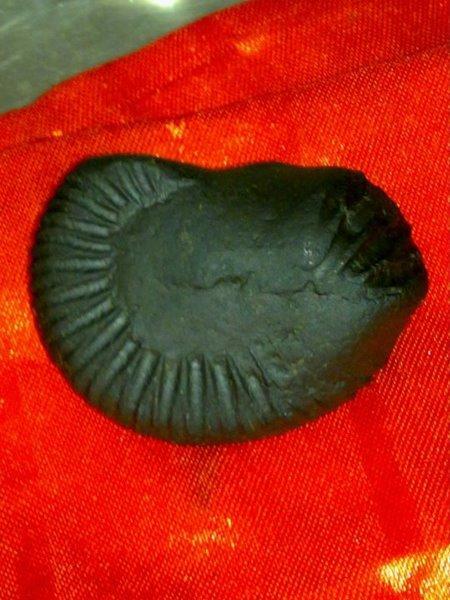 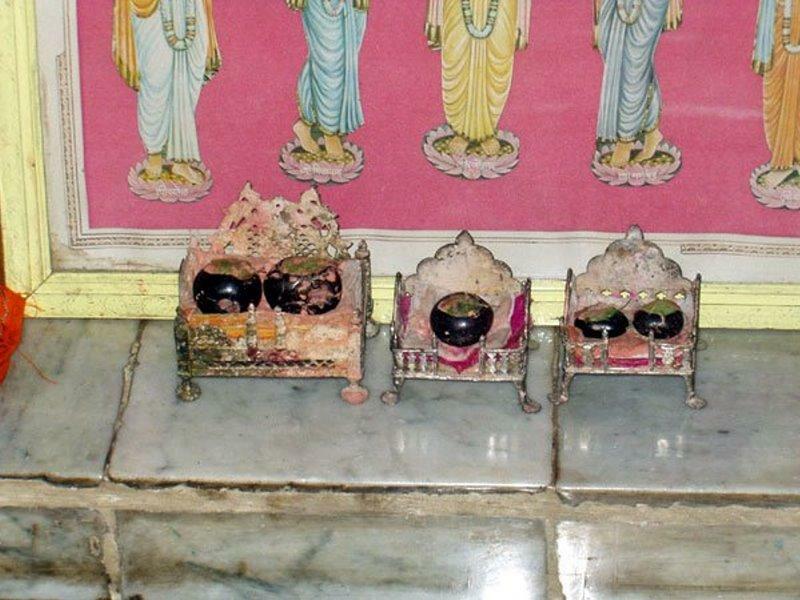 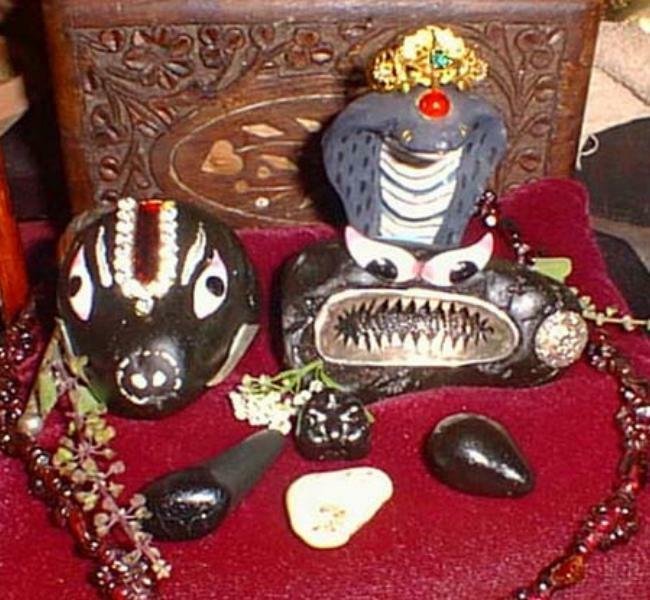 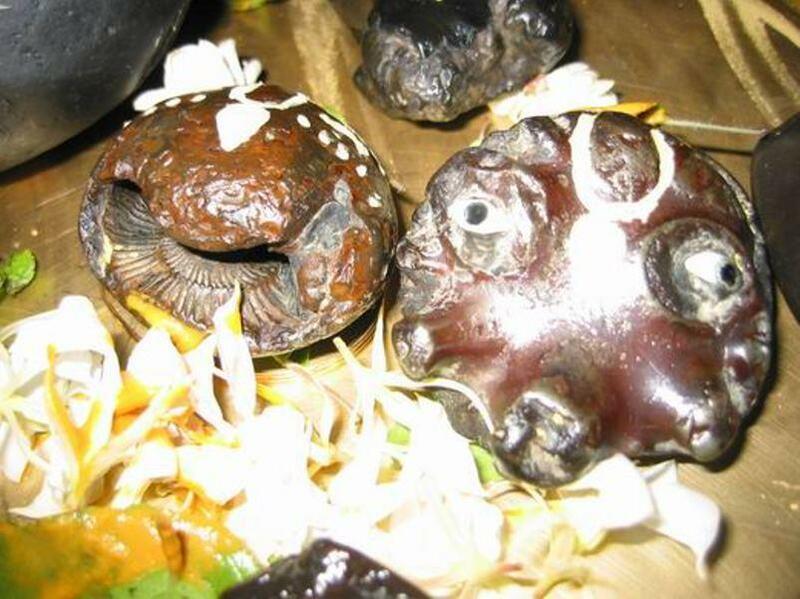 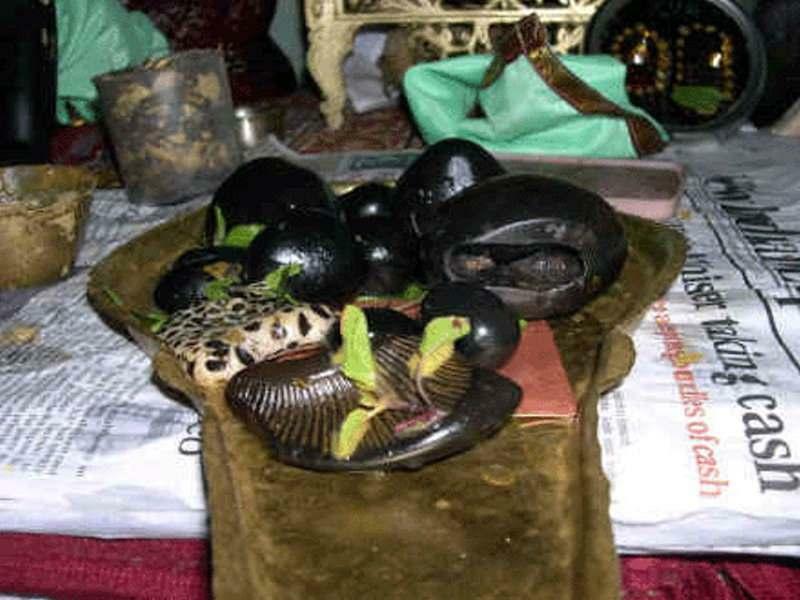 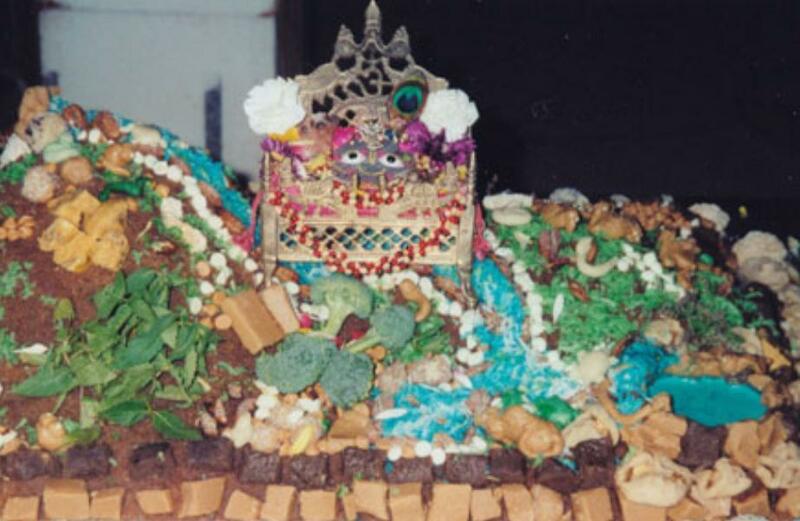 Sri Saligrams is considered the direct symbol of Lord Vishnu, They are found only in Mukti chhetra and Damodar Kunda (north-west of Nepal). 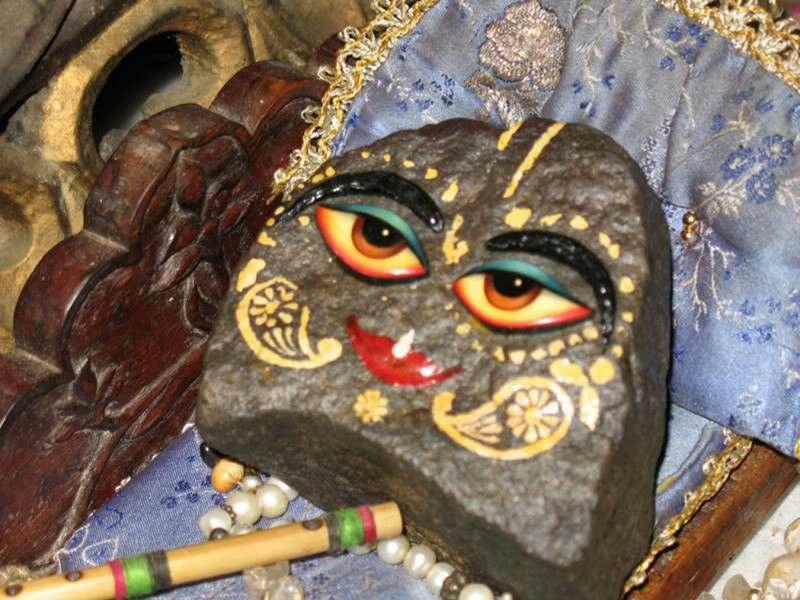 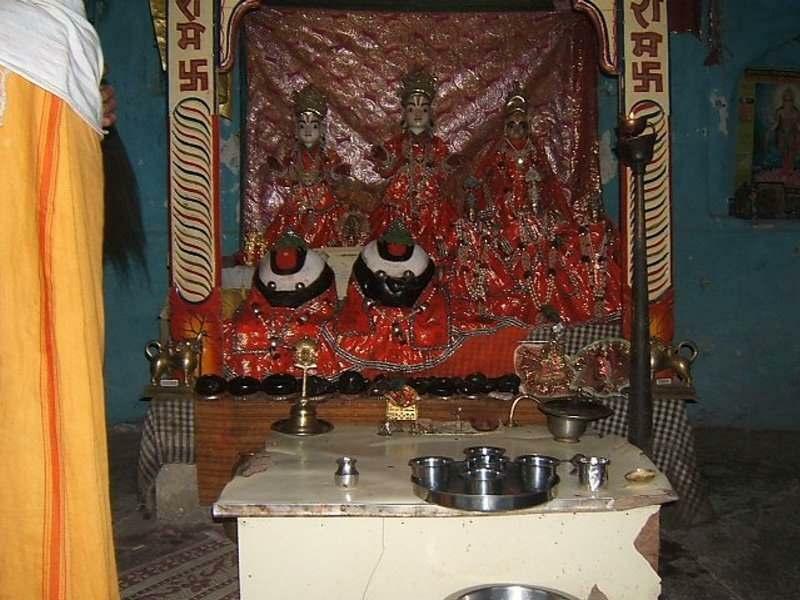 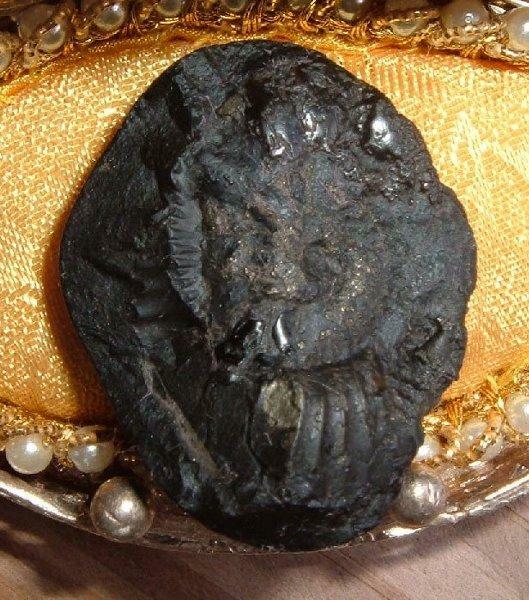 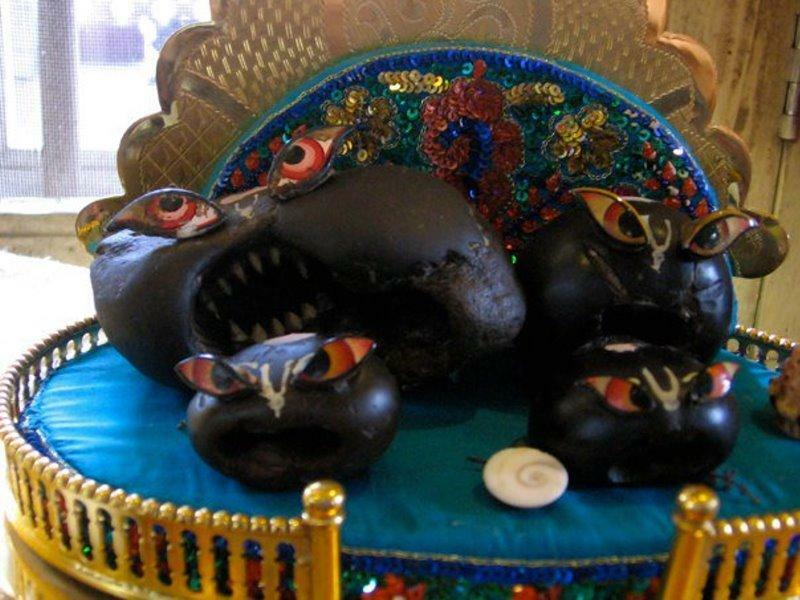 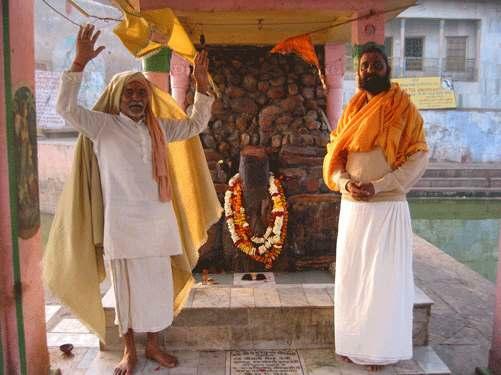 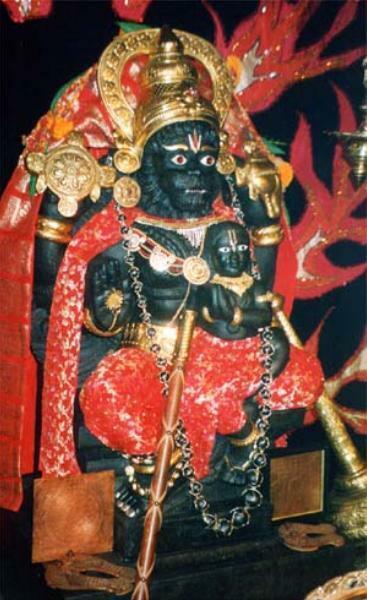 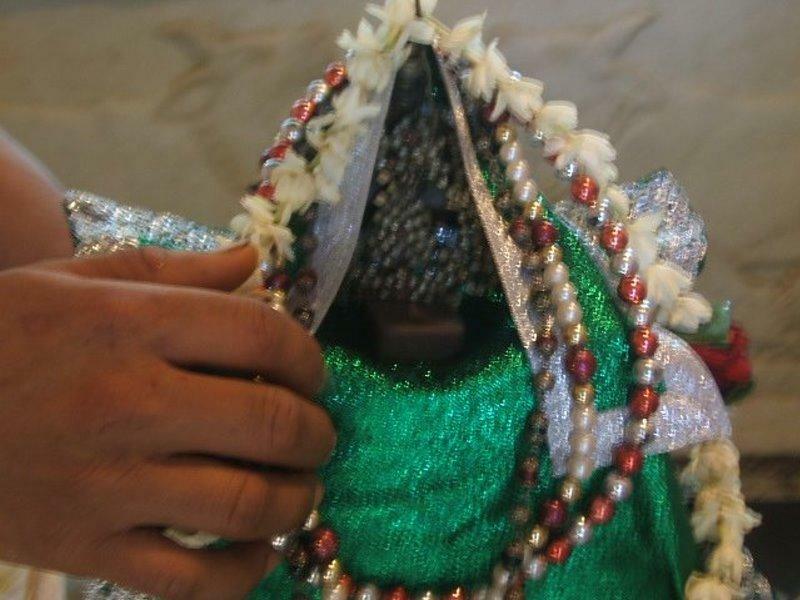 According to the religious text of Devi Bhagwate (and other scriptures) to kill demon Jalandhar Lord Vishnu have to destroy Sati Brindha's sati dharma. 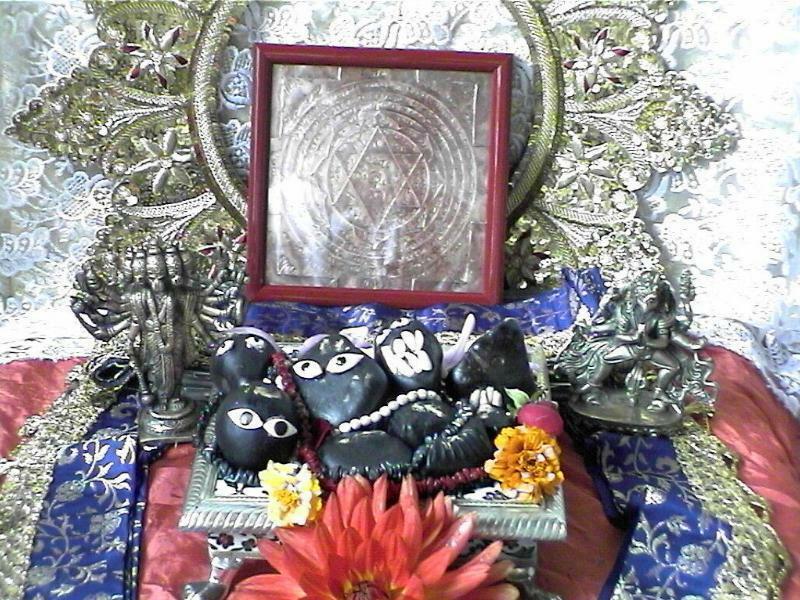 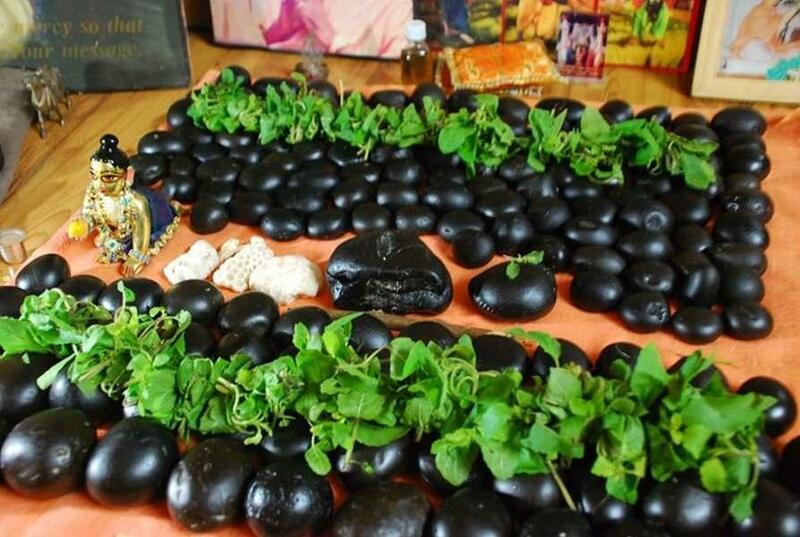 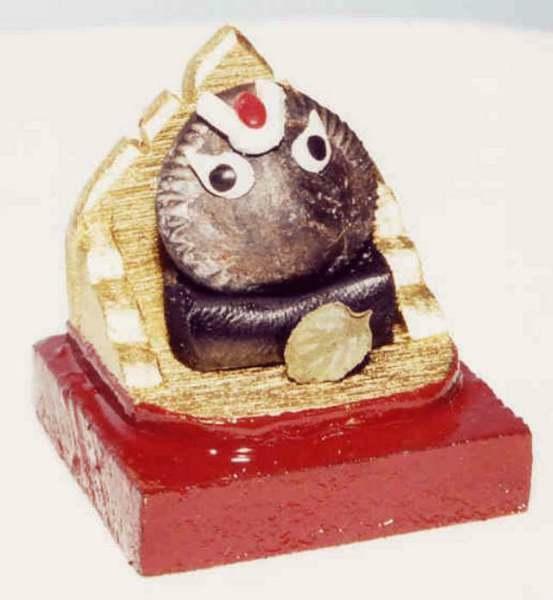 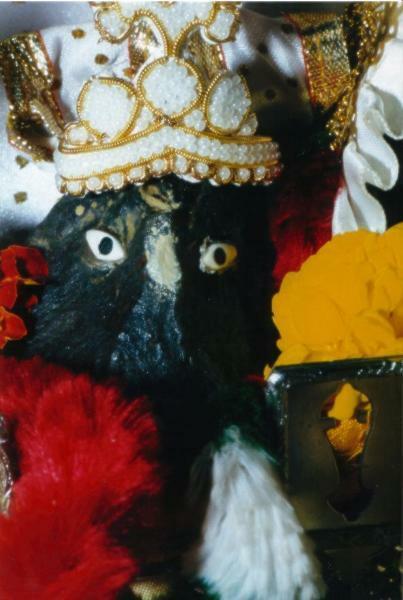 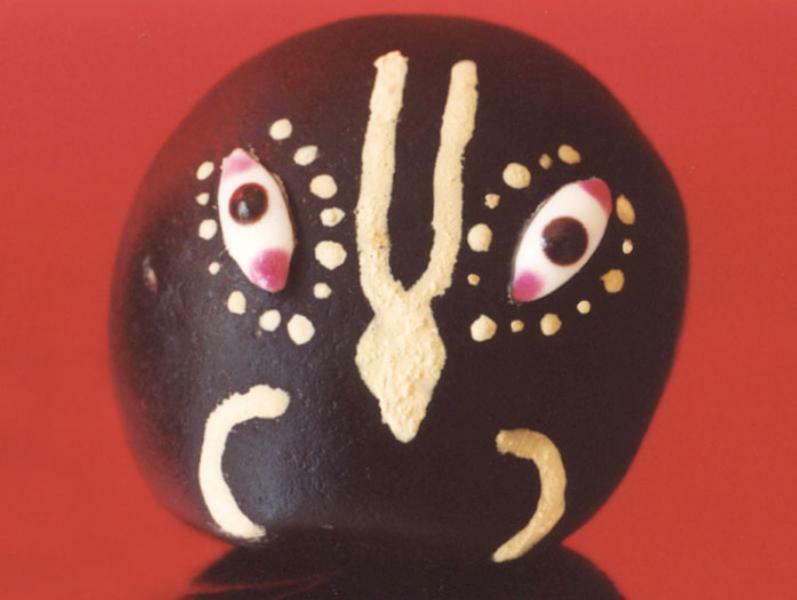 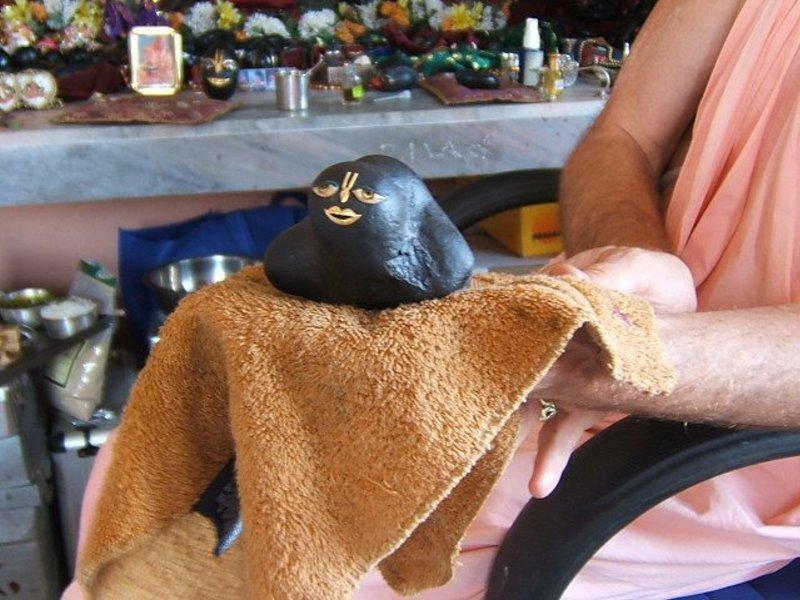 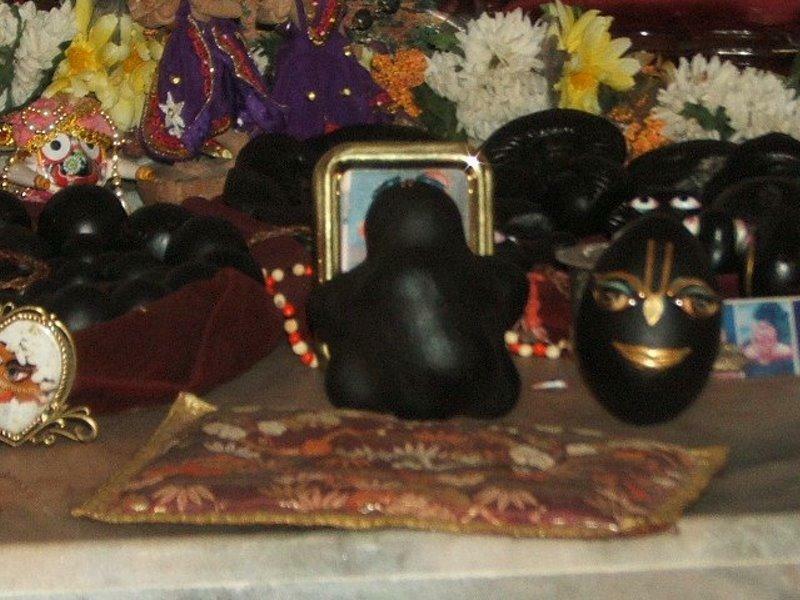 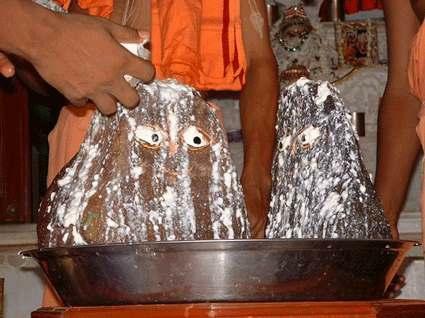 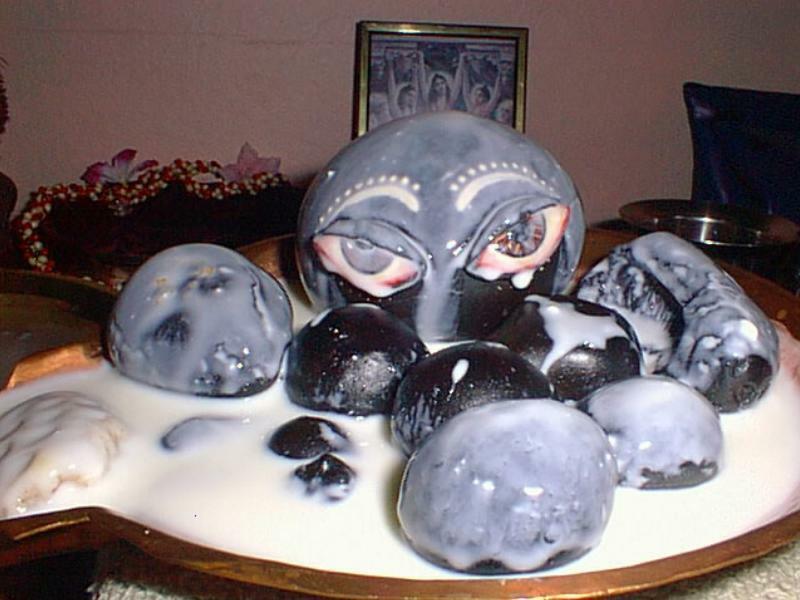 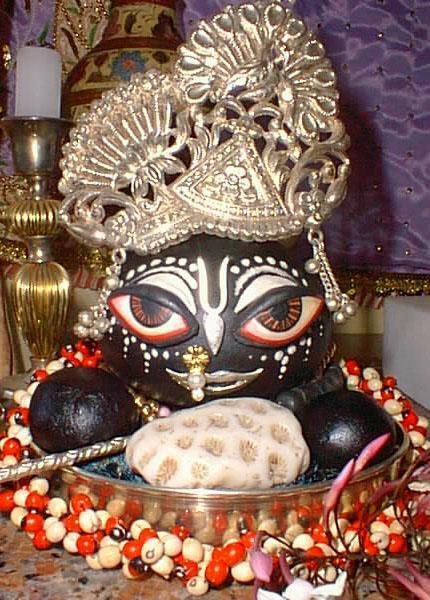 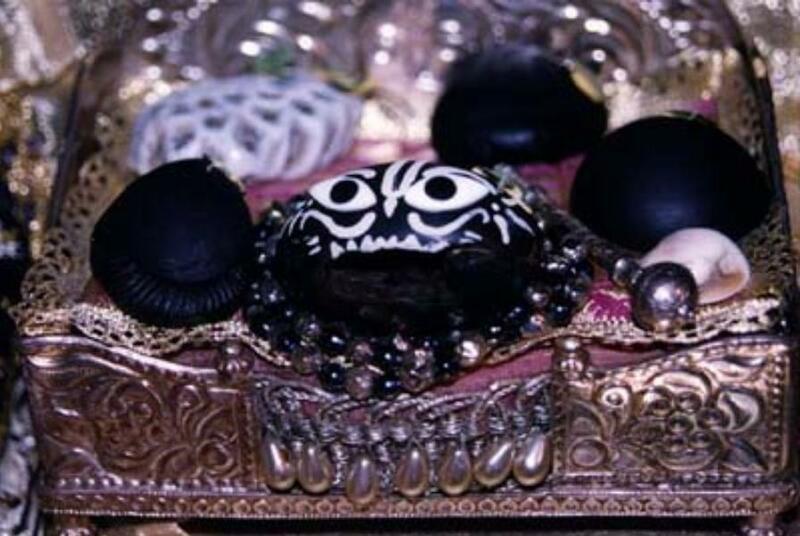 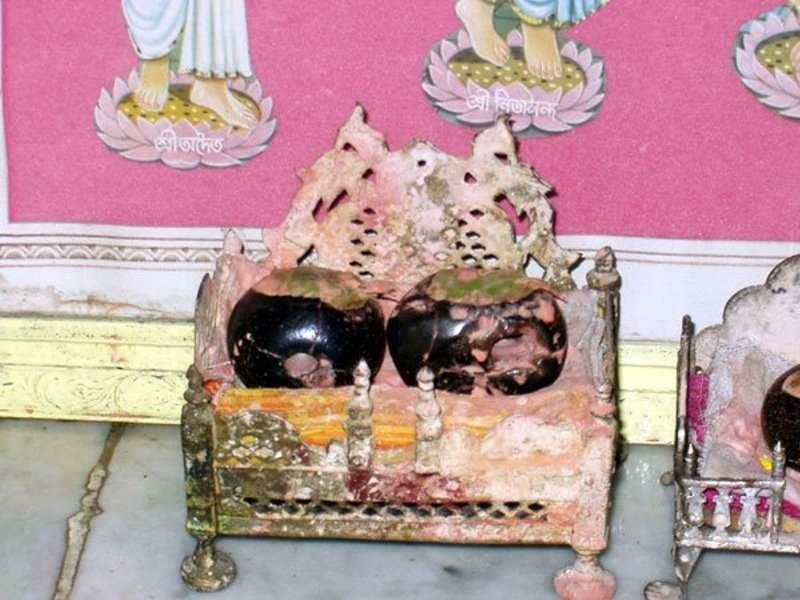 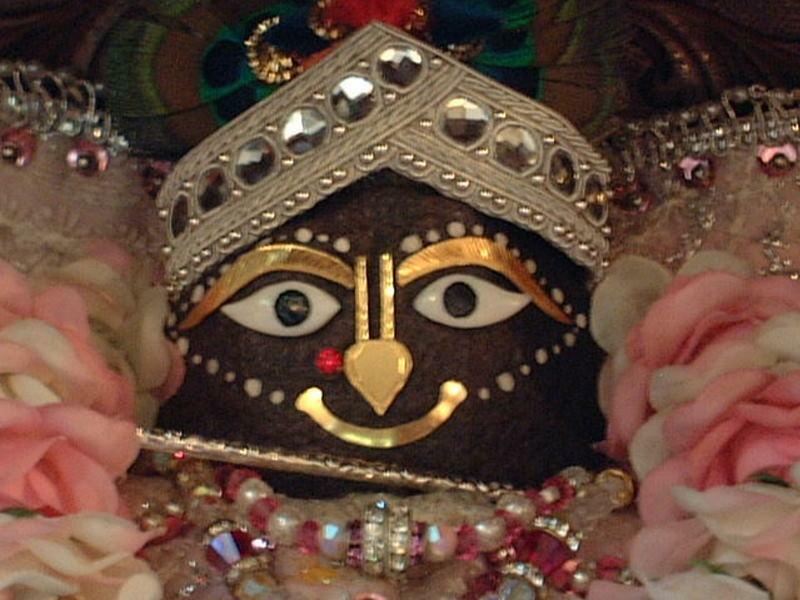 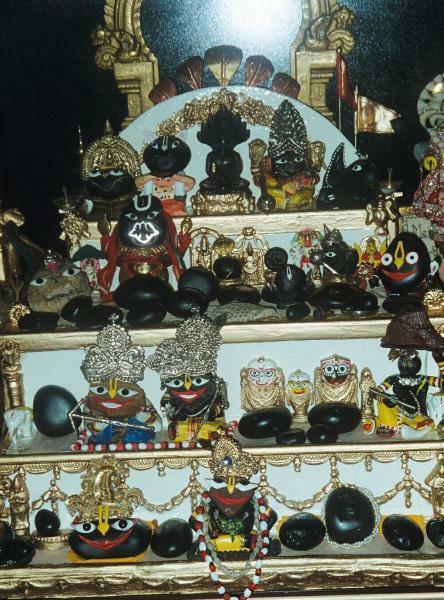 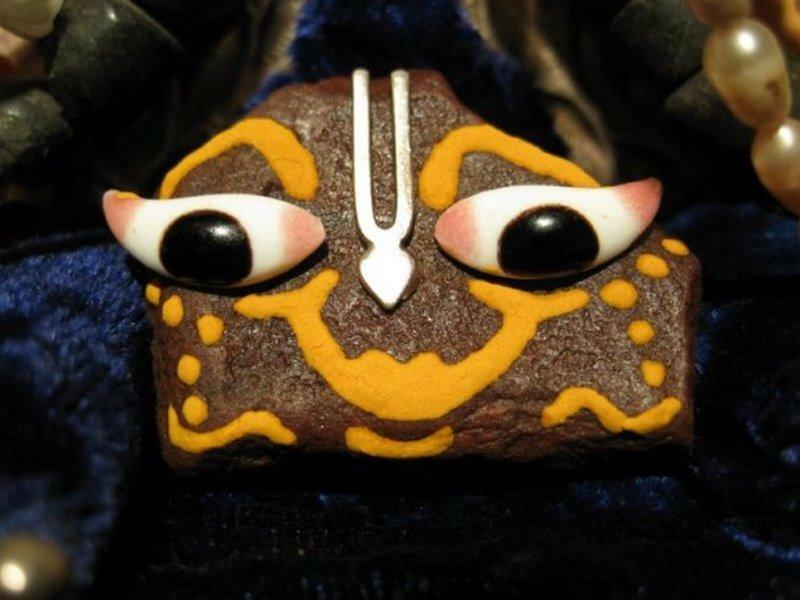 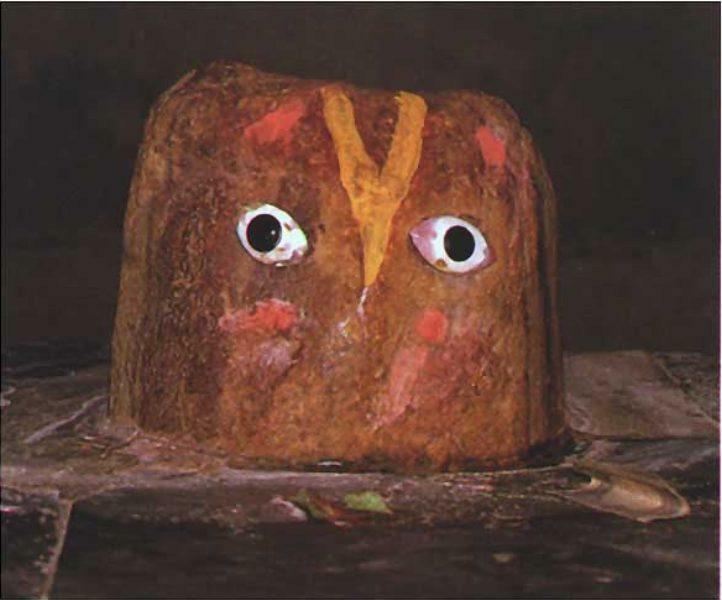 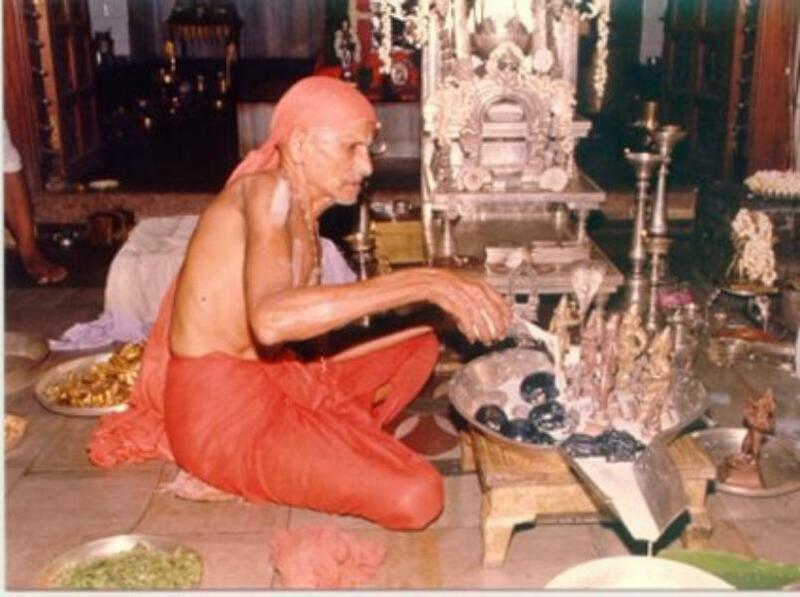 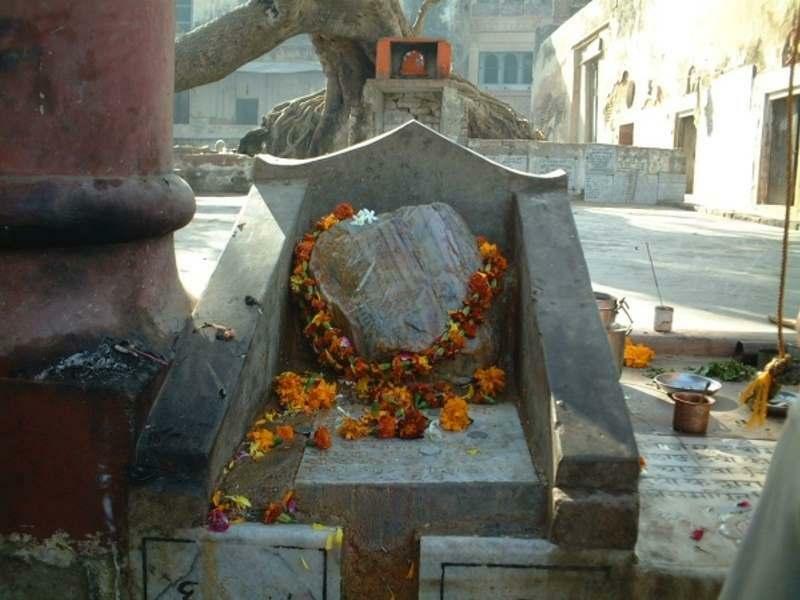 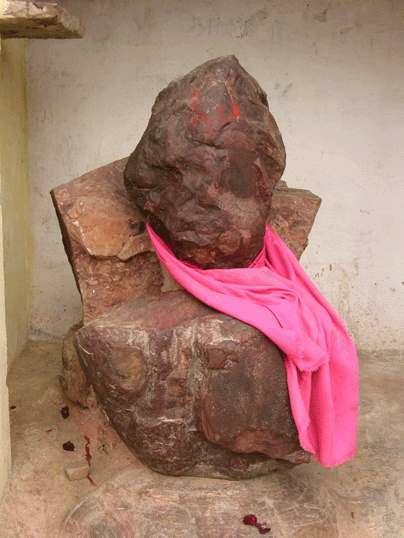 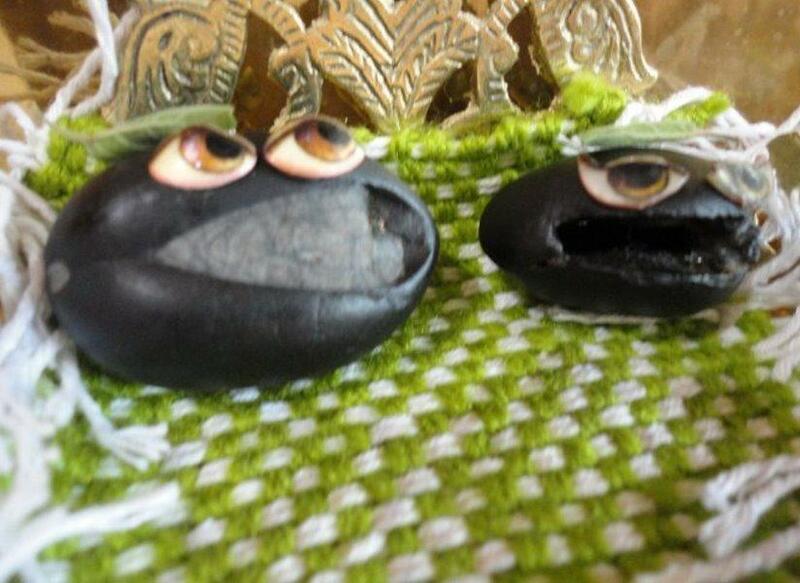 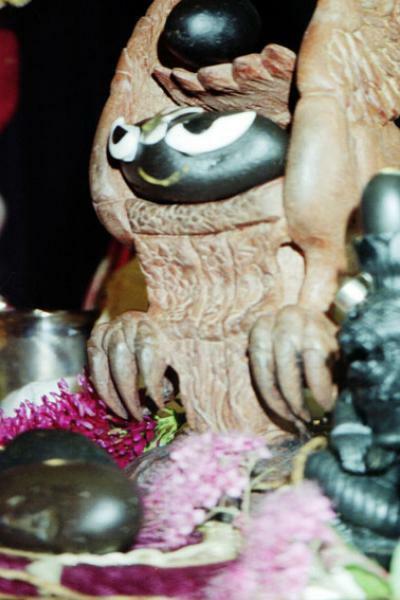 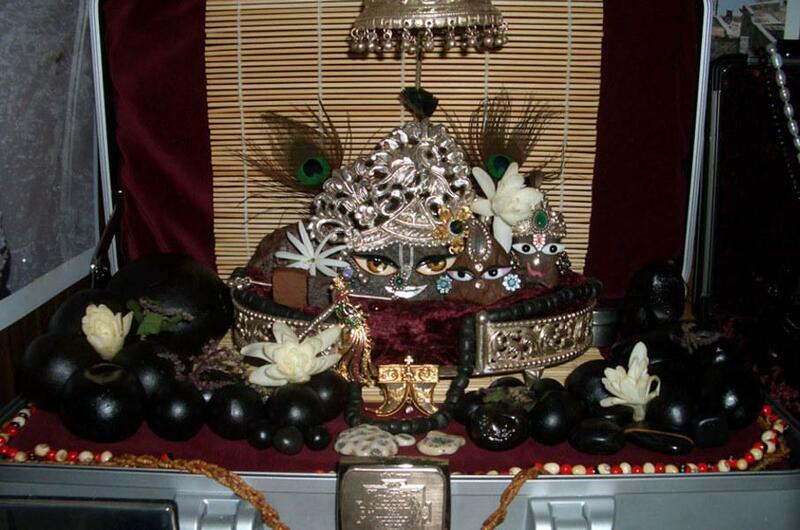 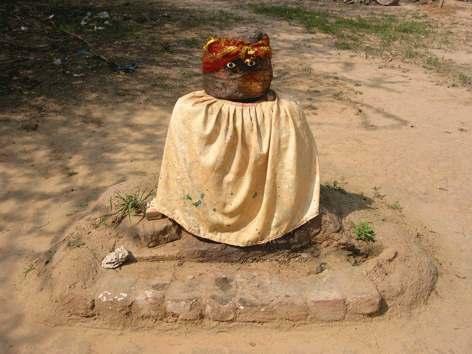 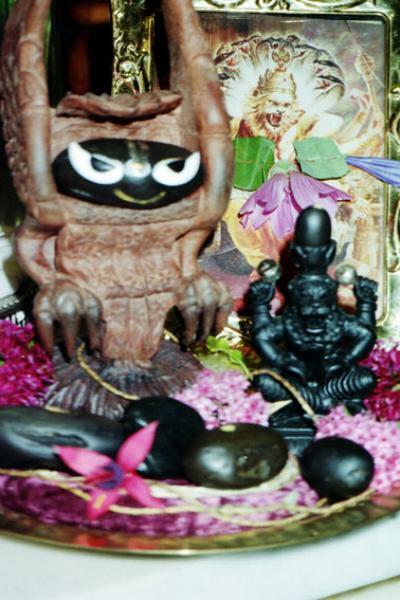 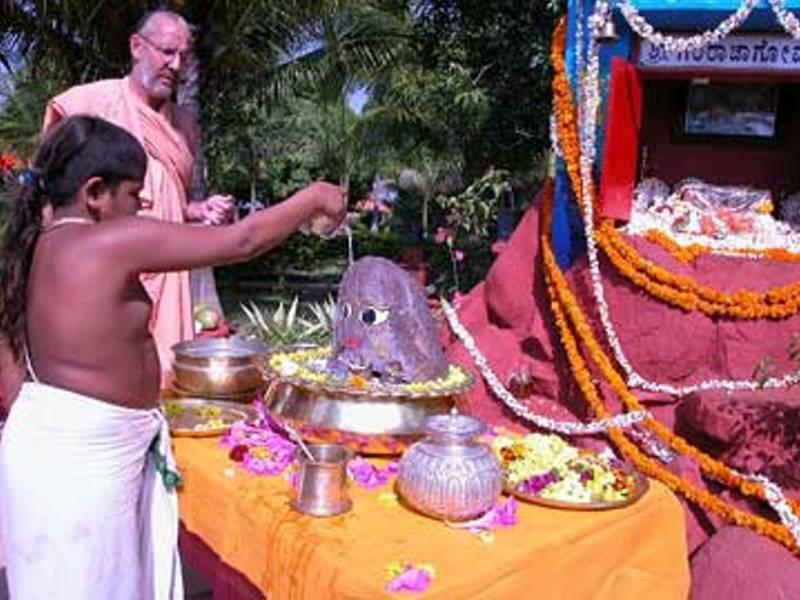 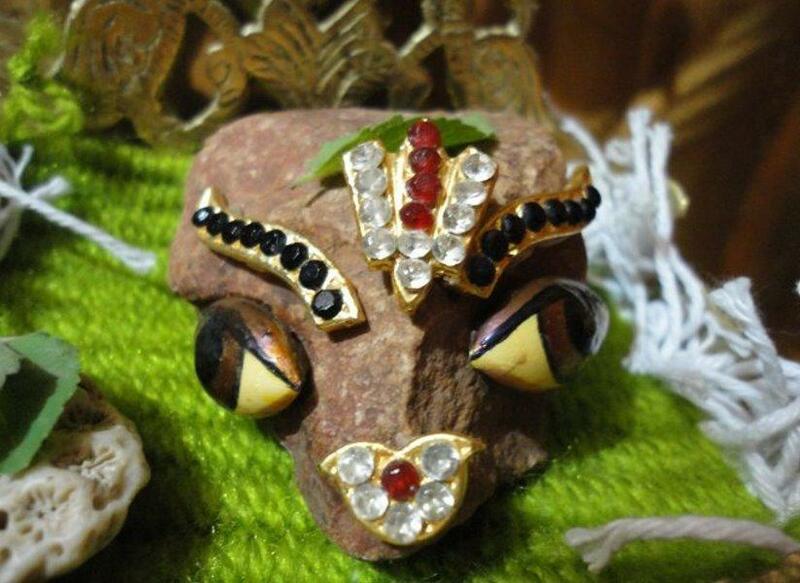 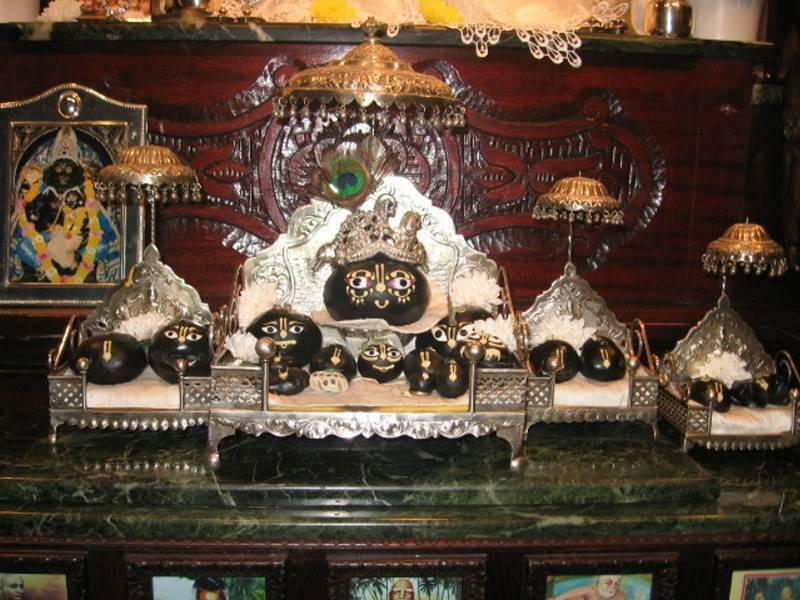 When he did that Sati Brindha gave four seeming desecrations to Lord Vishnu to become stone, grass, tree, plant. 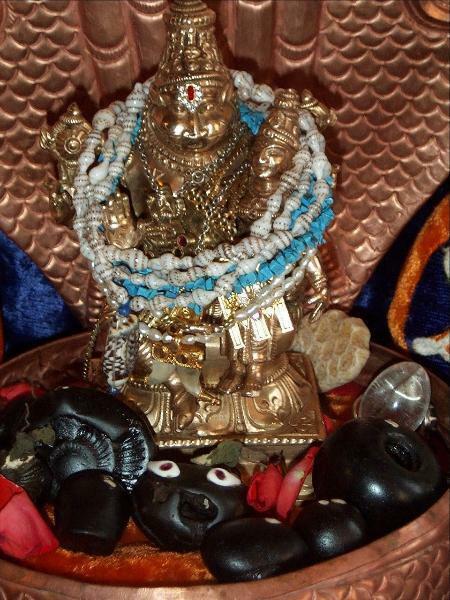 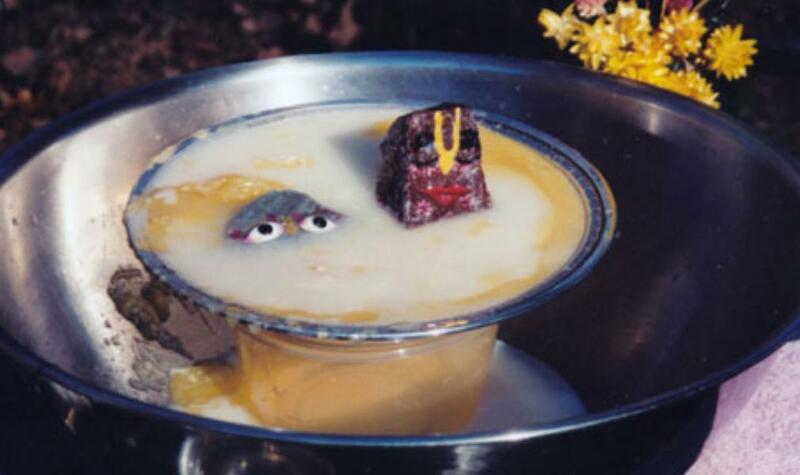 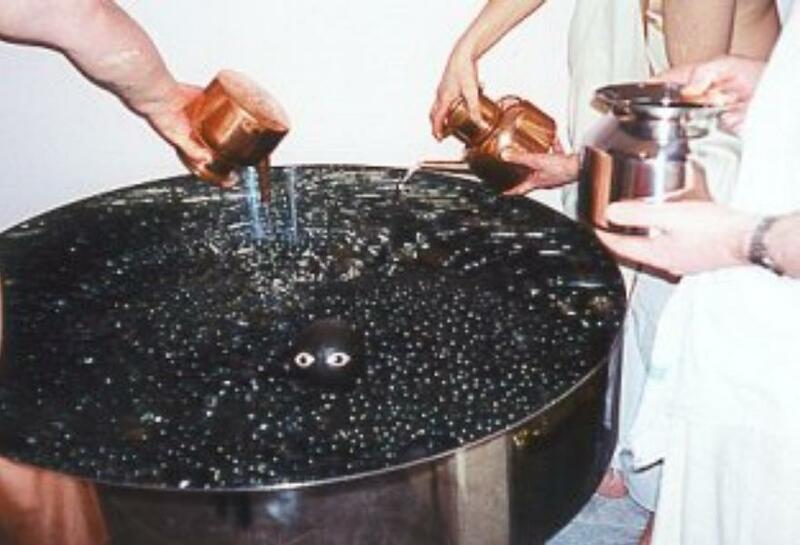 To wash away this reaction Lord Vishnu took four avatars (incarnations). 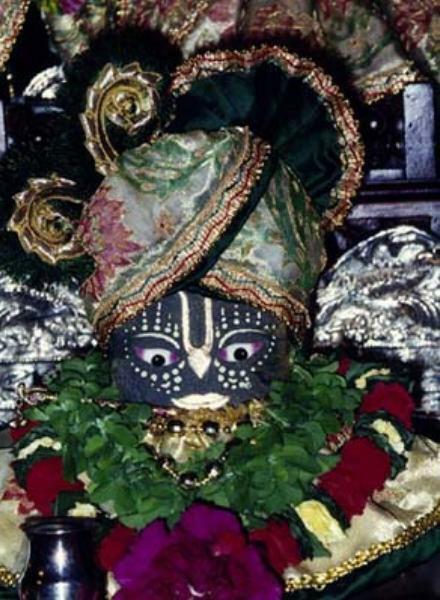 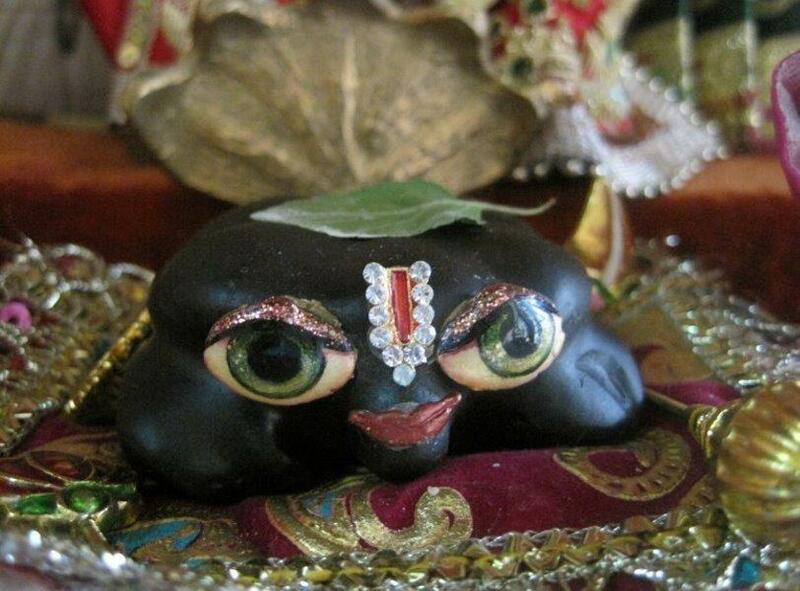 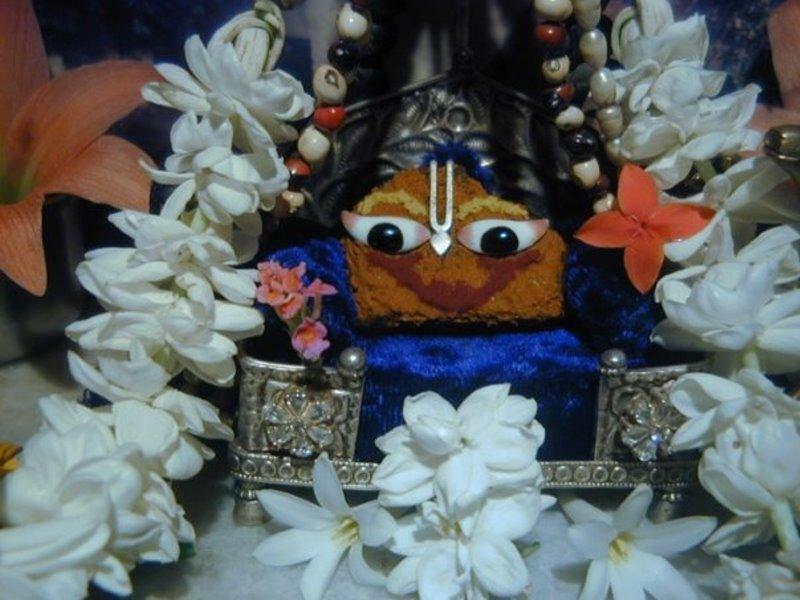 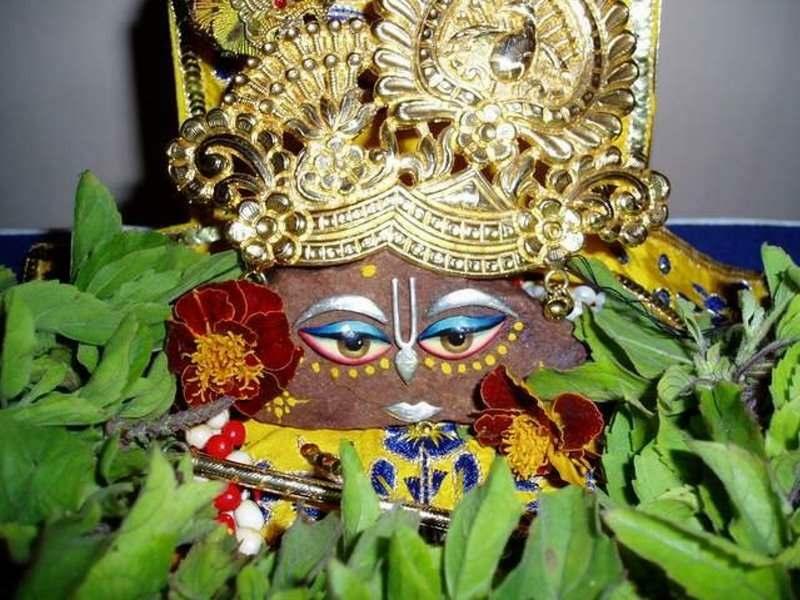 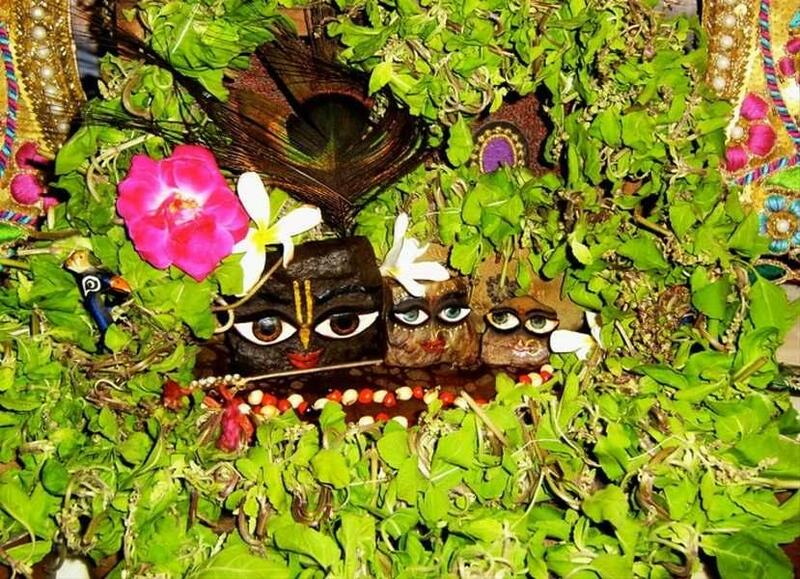 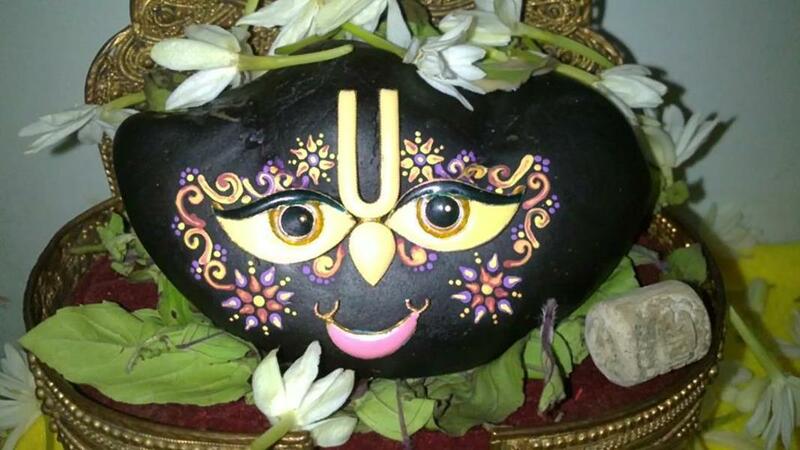 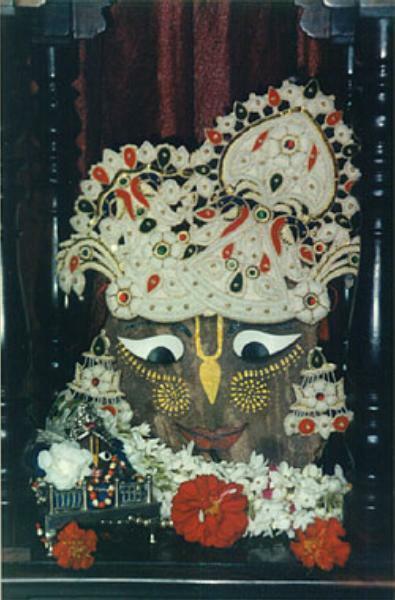 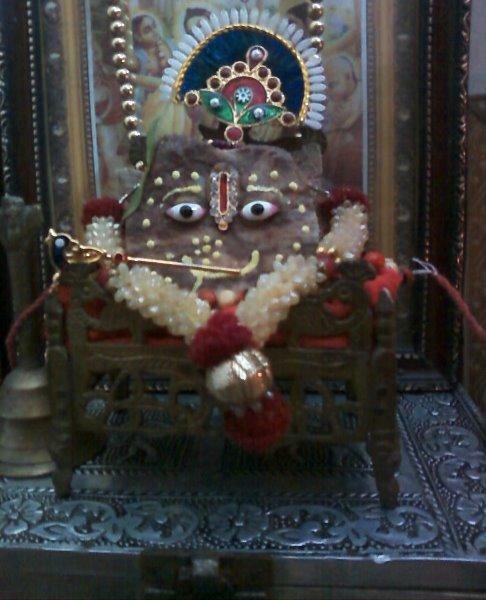 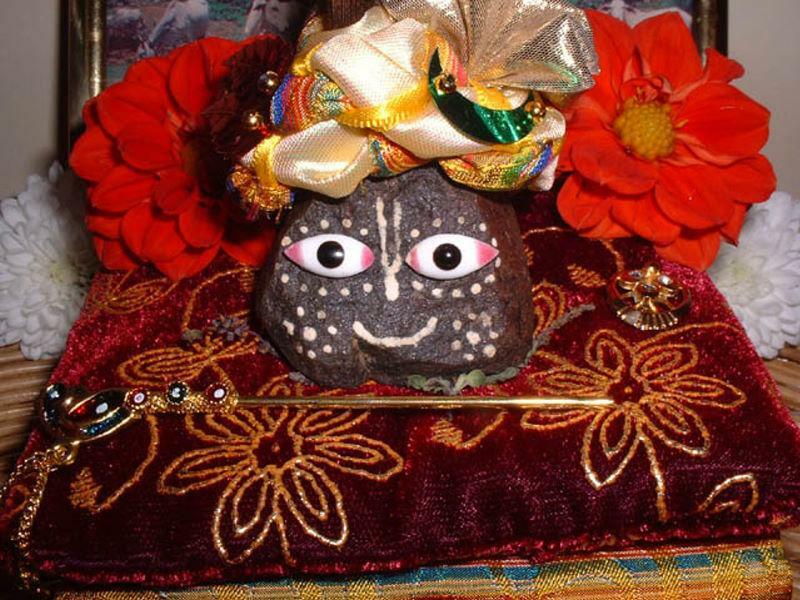 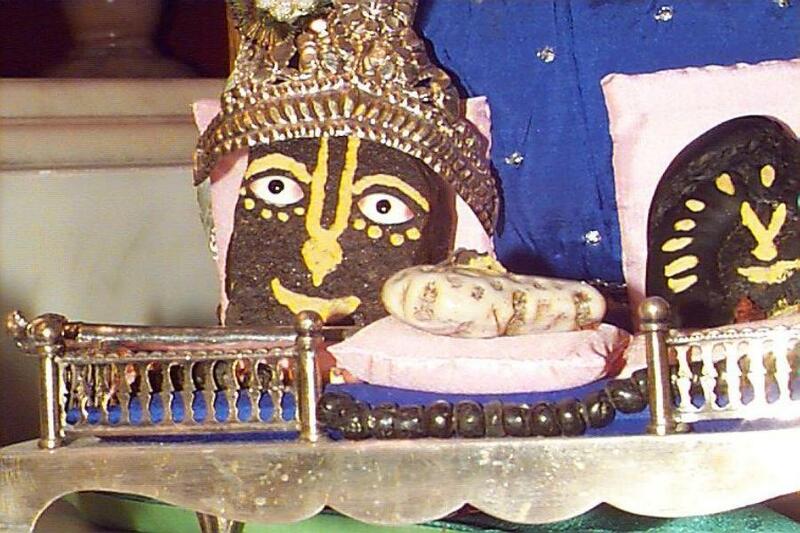 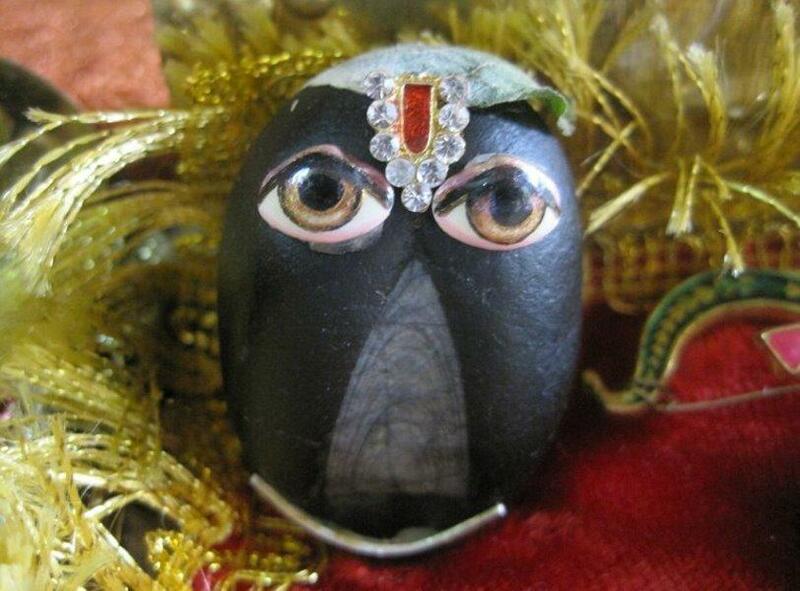 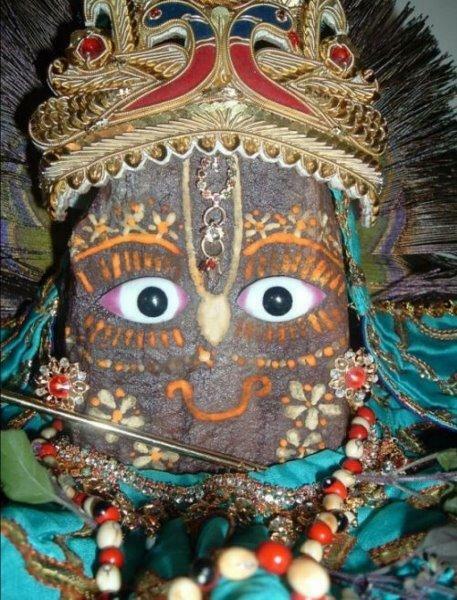 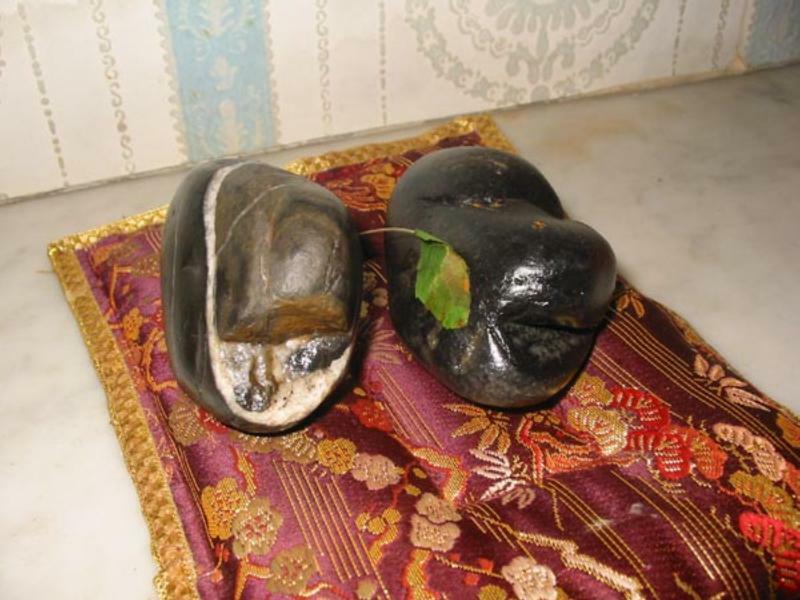 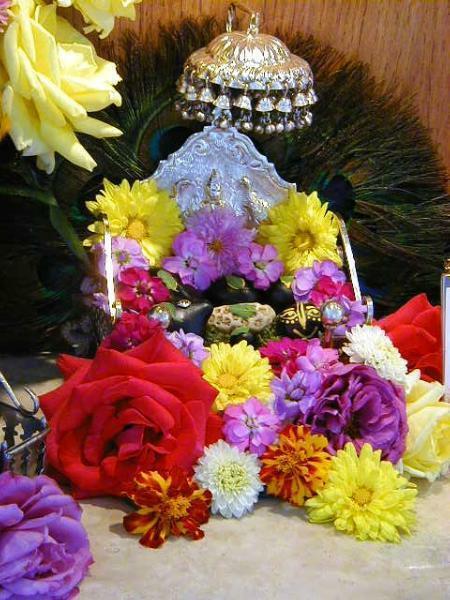 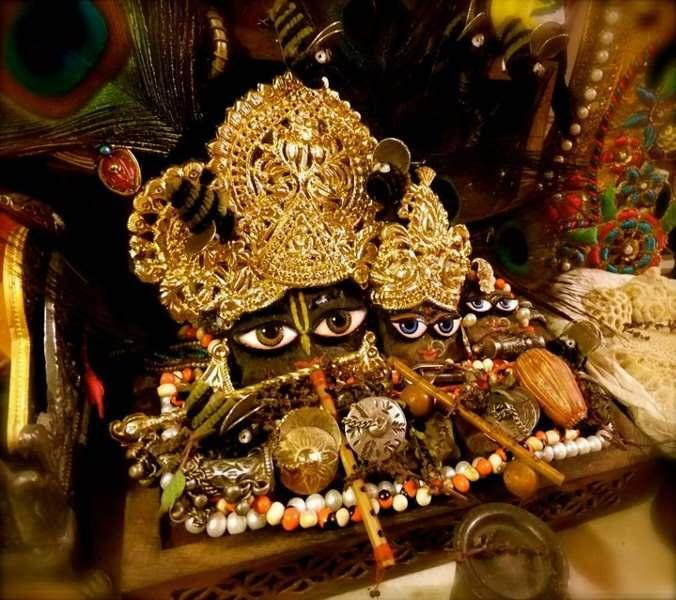 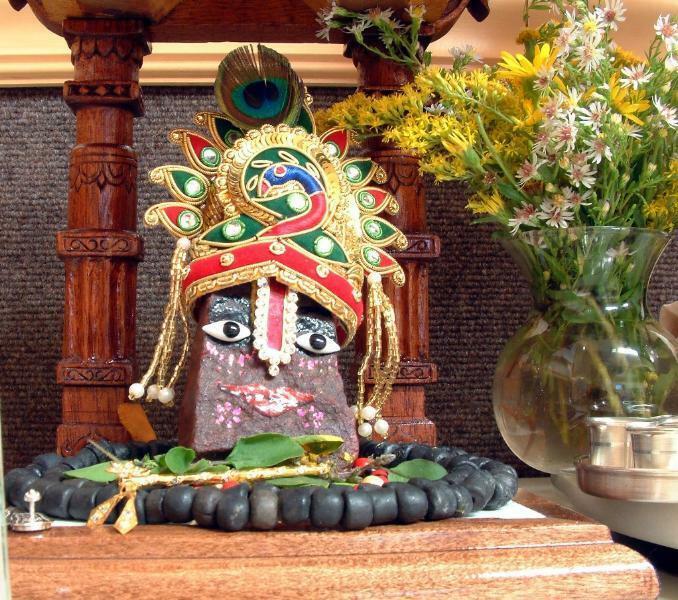 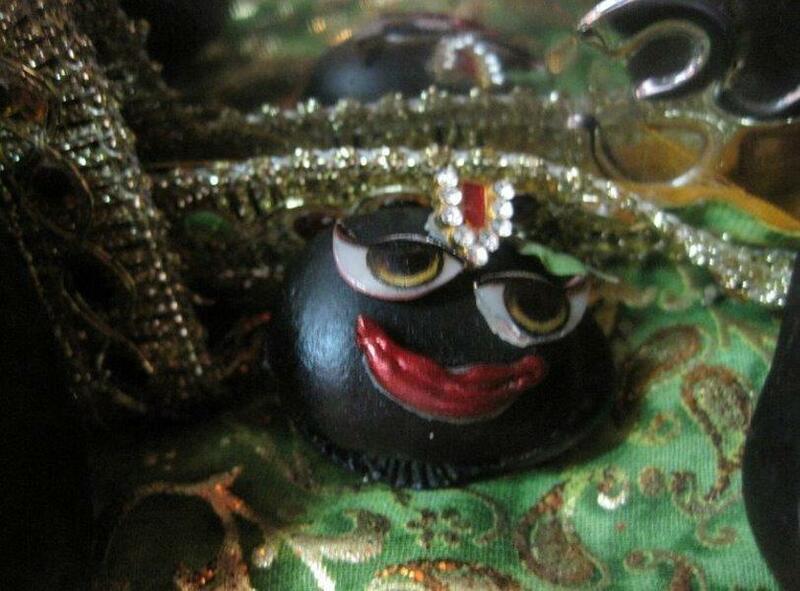 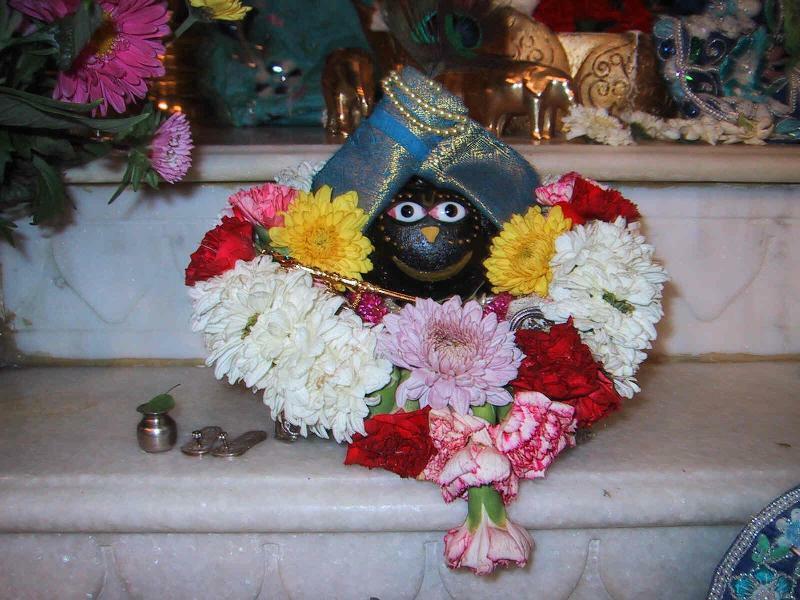 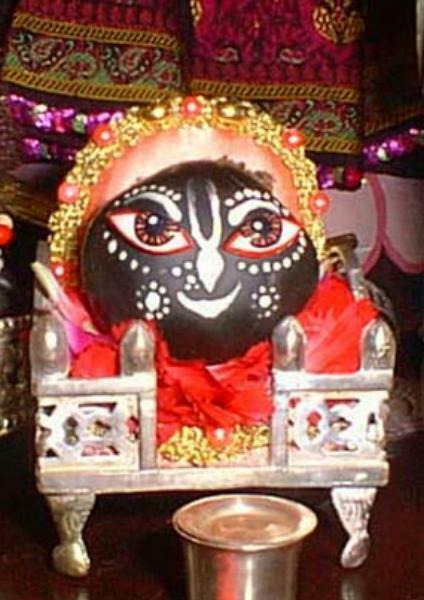 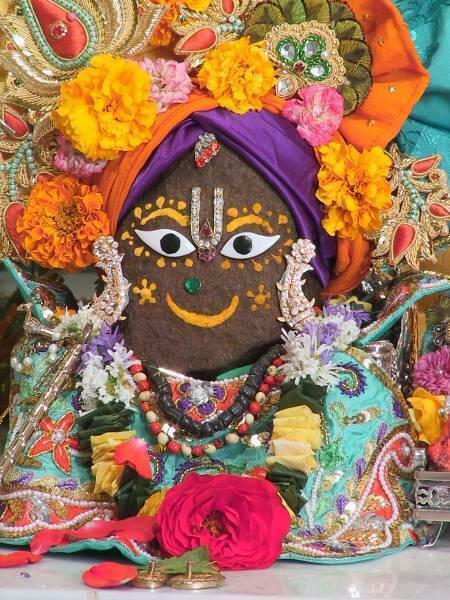 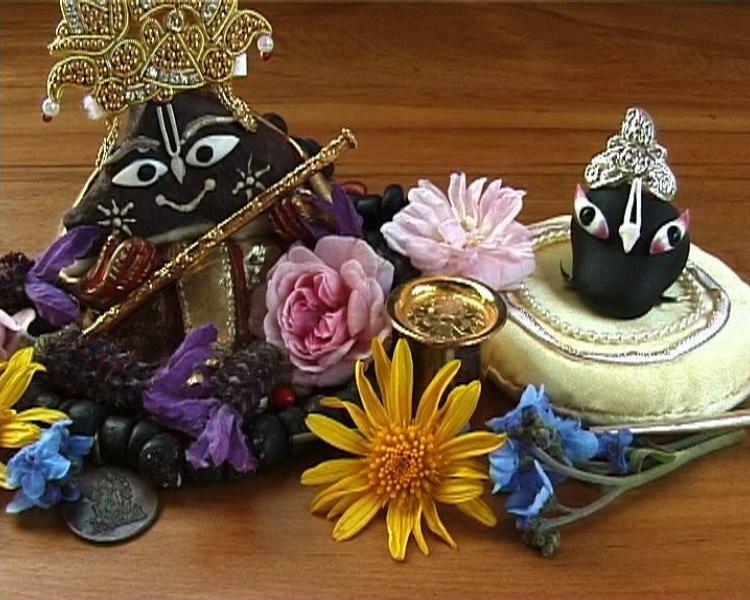 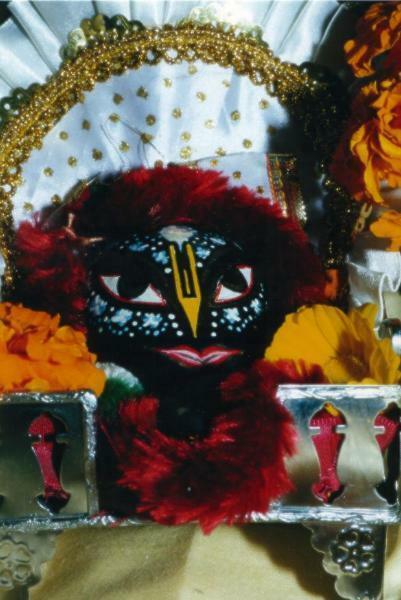 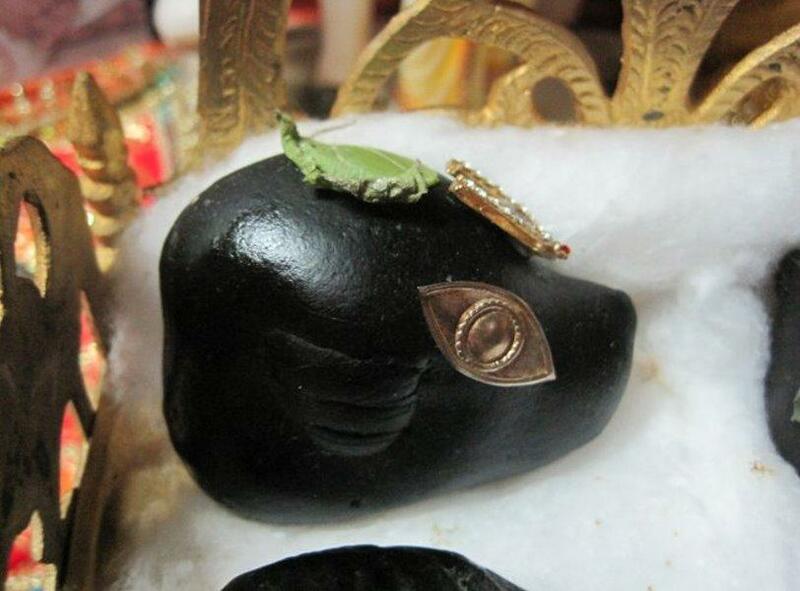 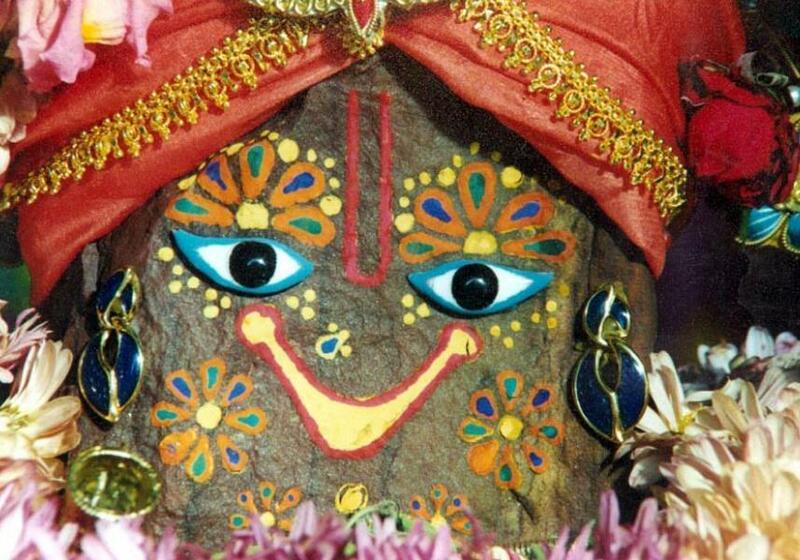 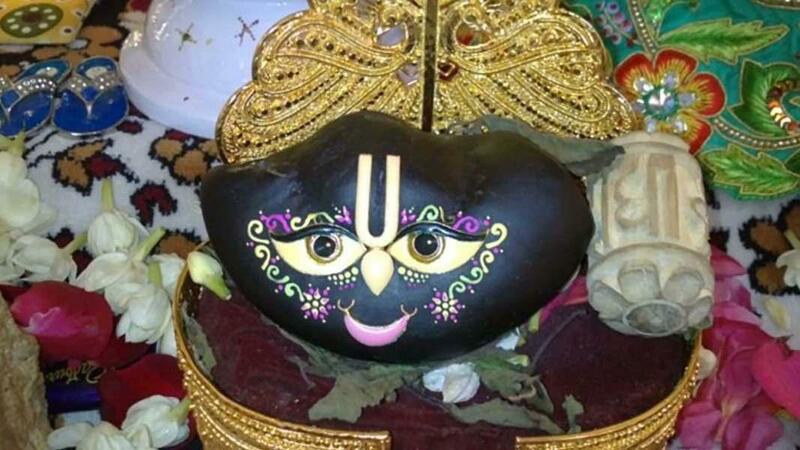 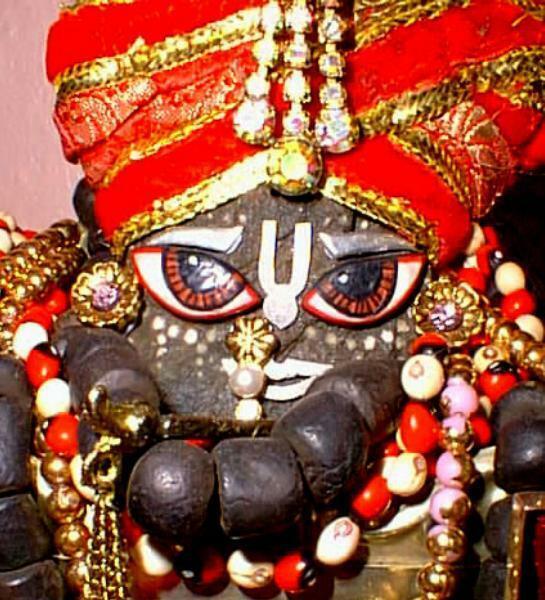 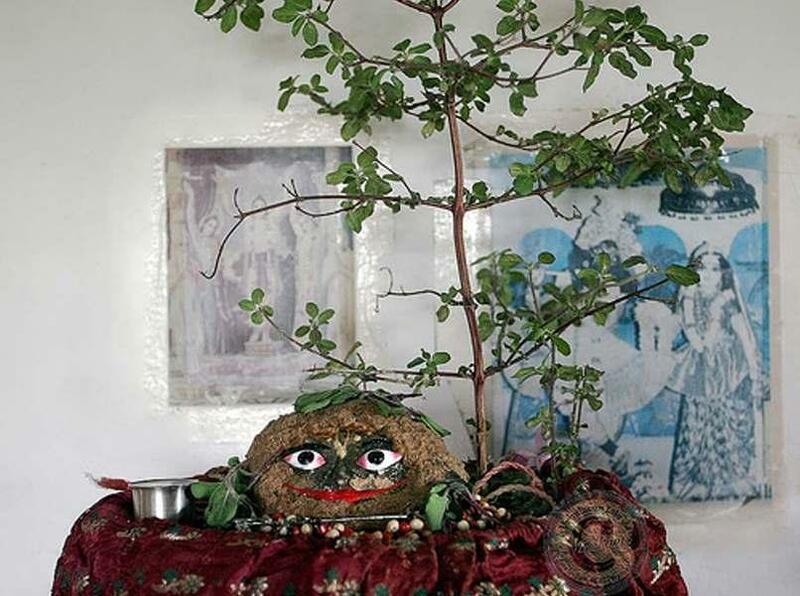 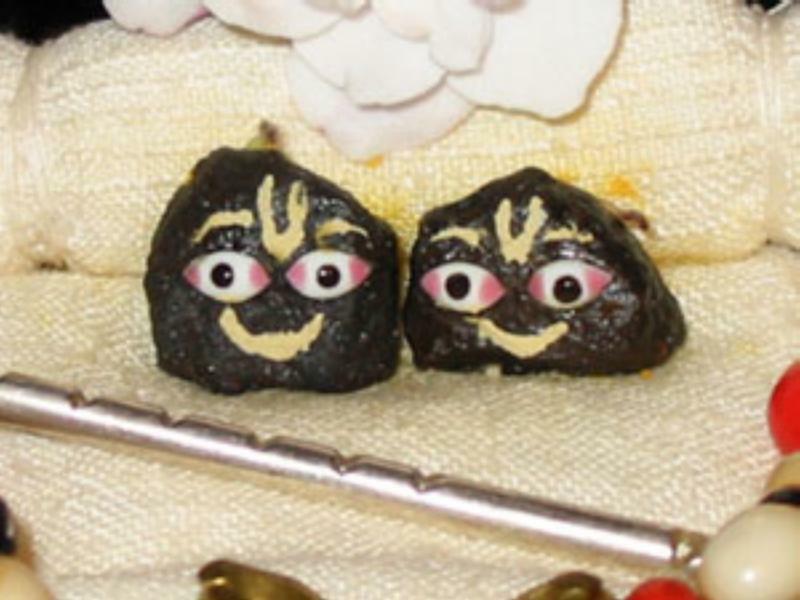 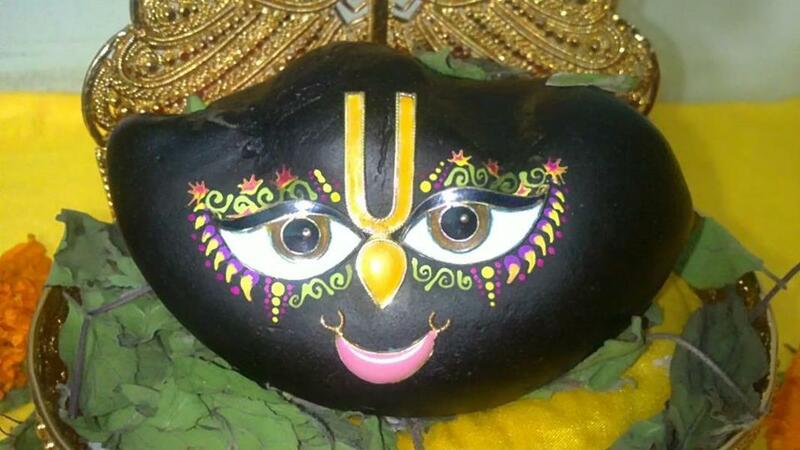 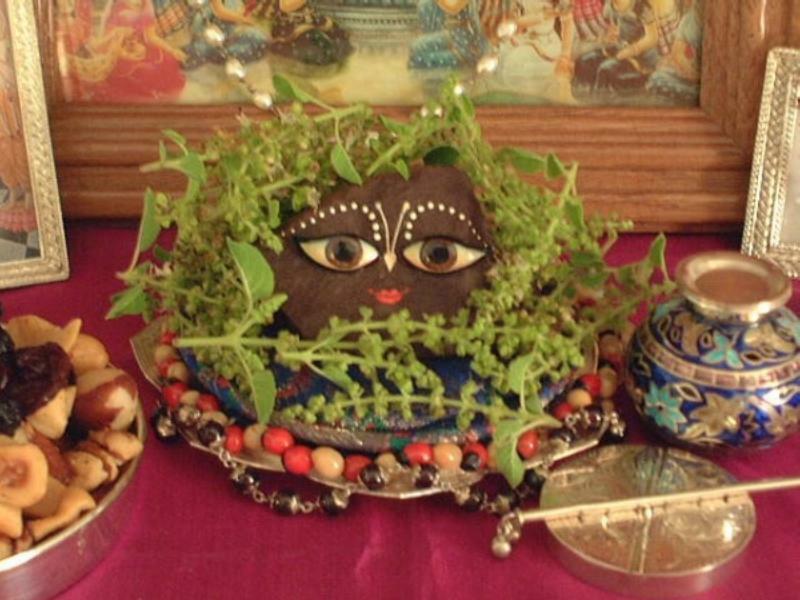 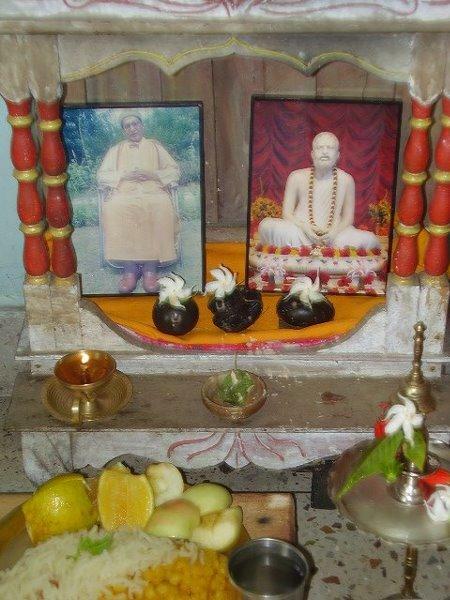 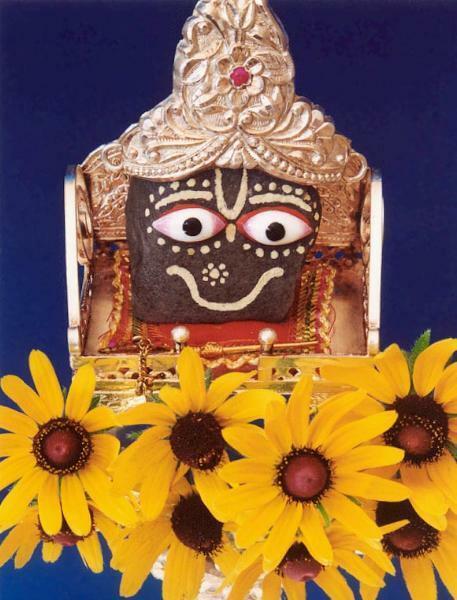 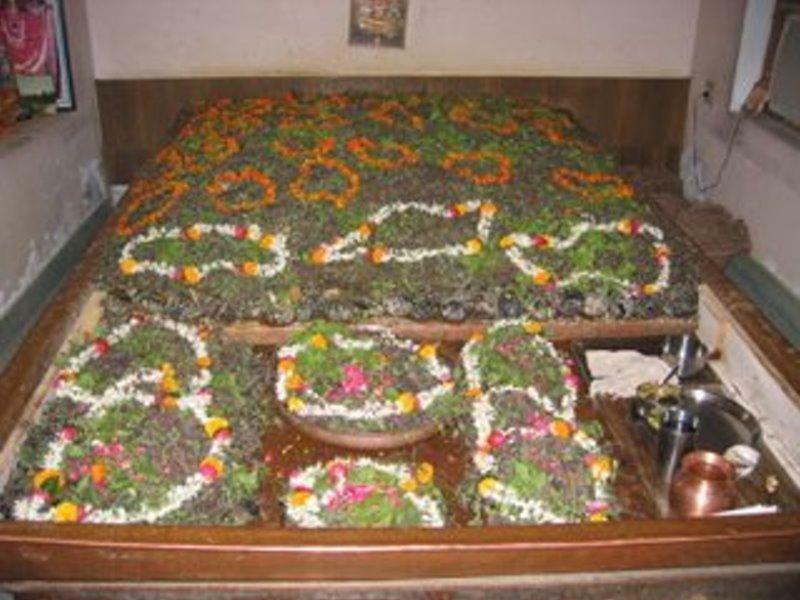 He became stone (Sri Saligram) grass (Kush) tree (Pipal) and plant (Tulsi). 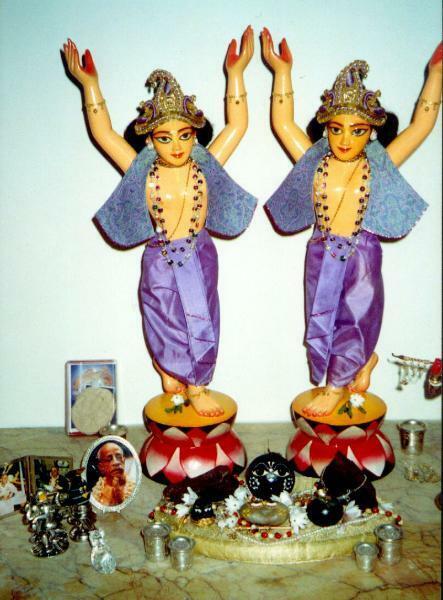 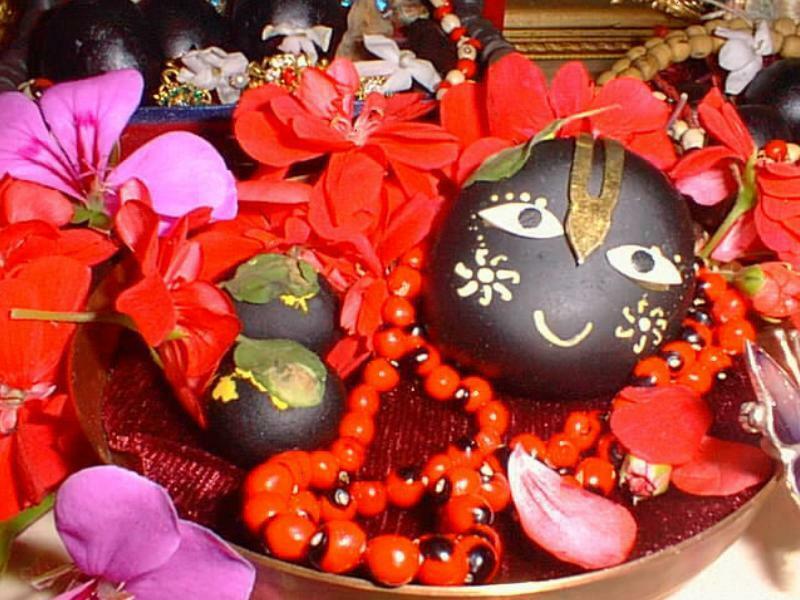 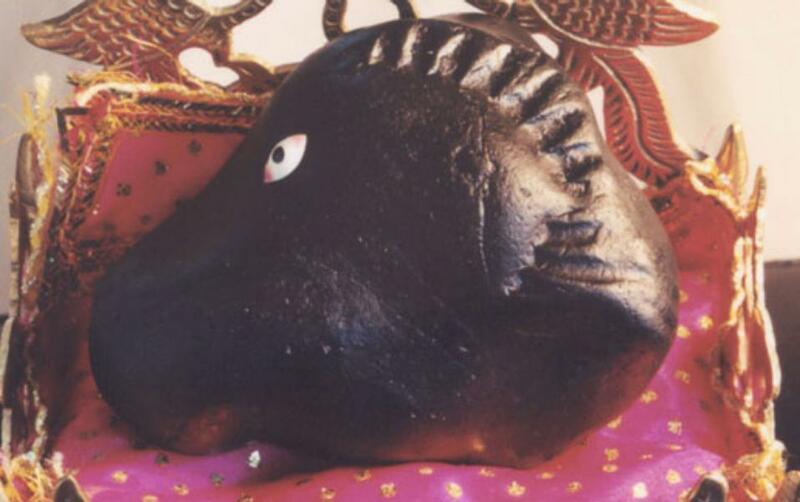 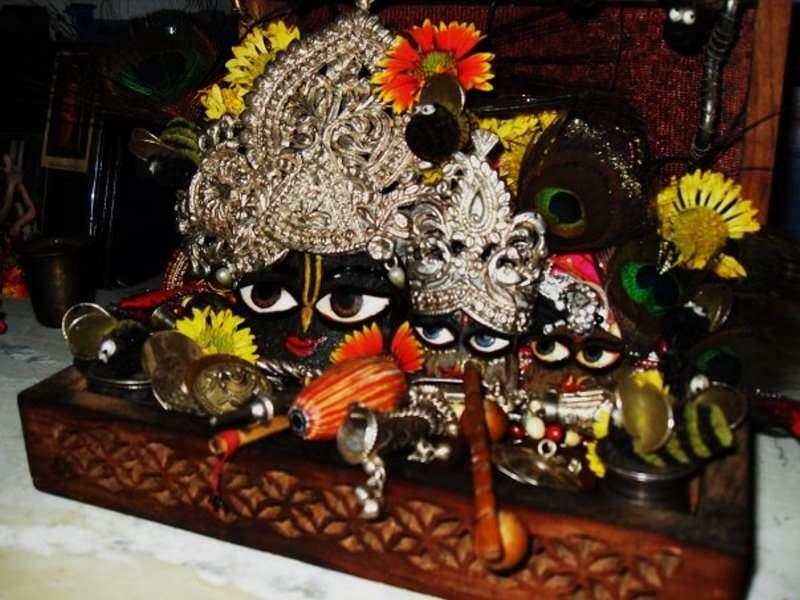 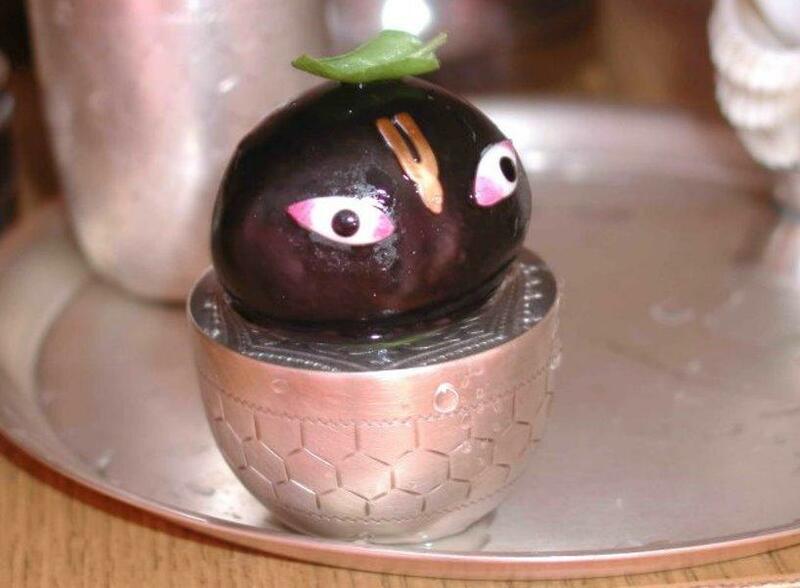 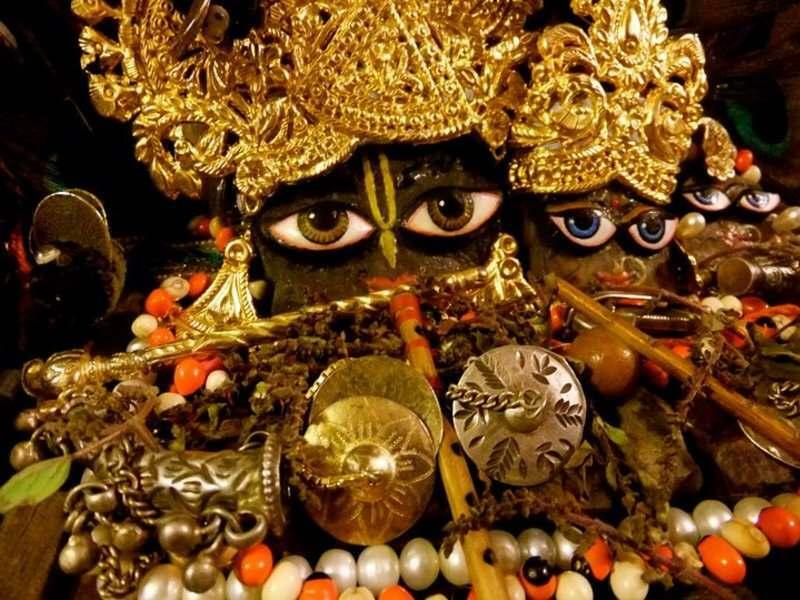 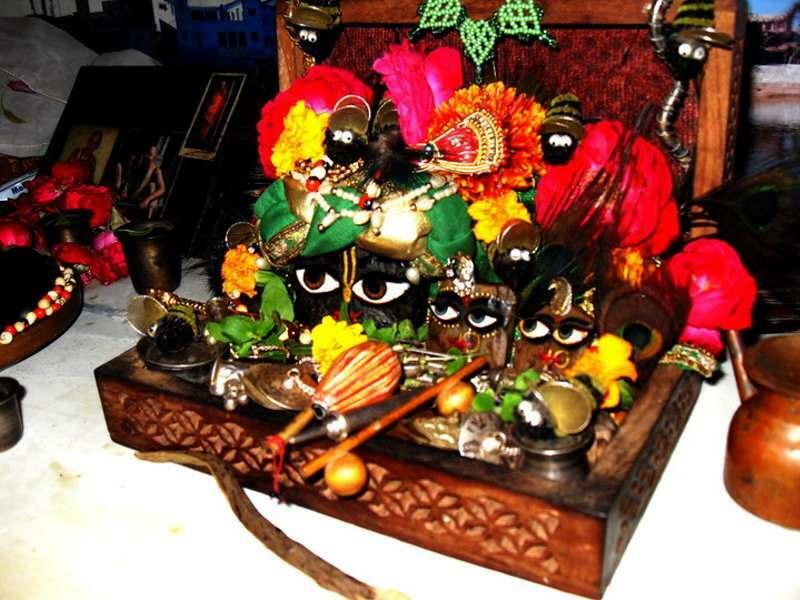 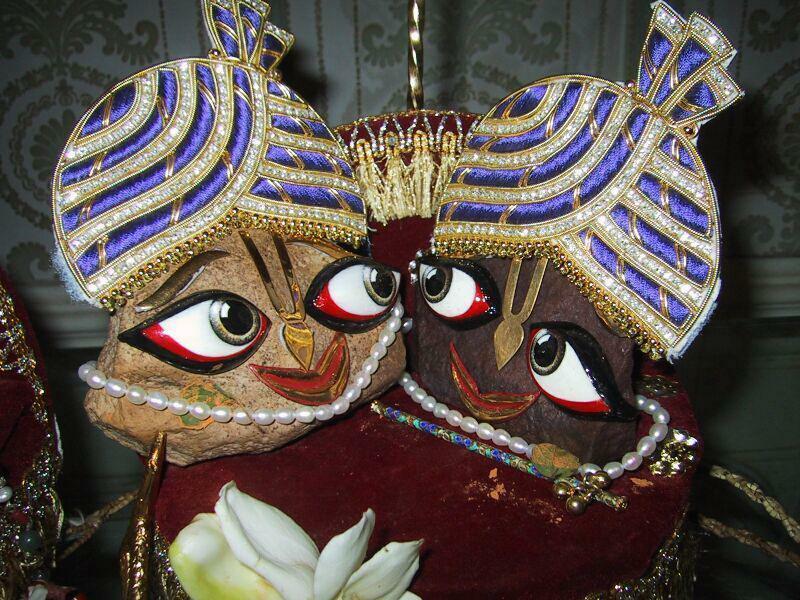 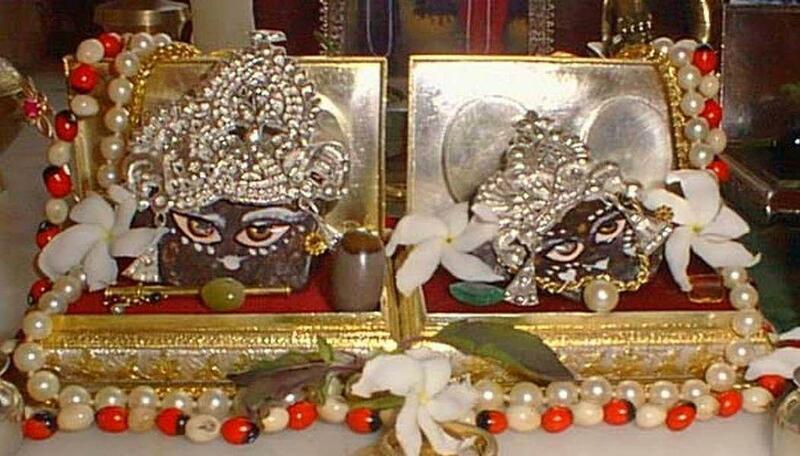 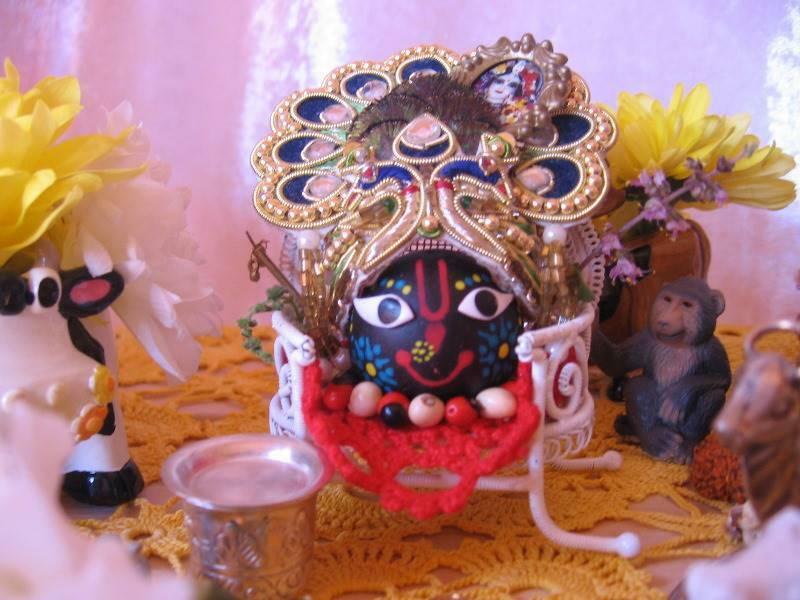 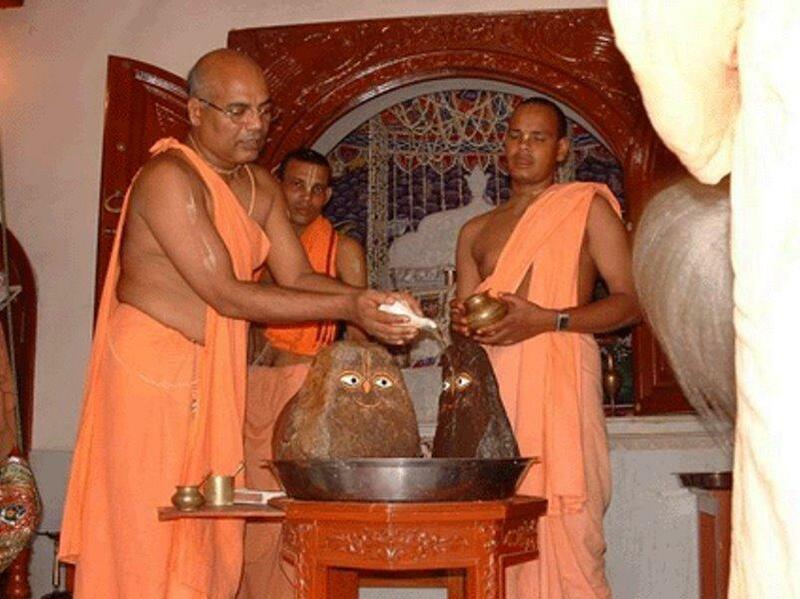 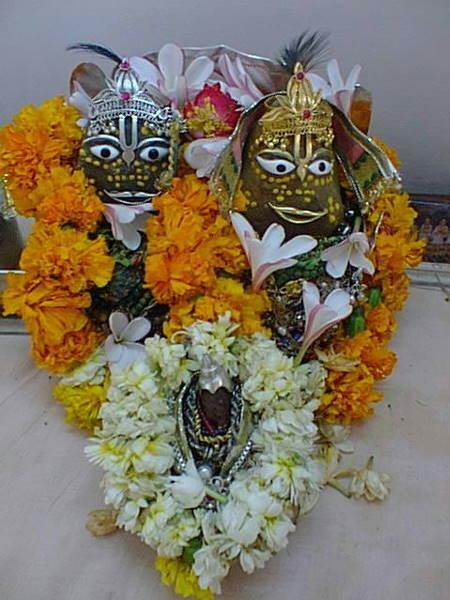 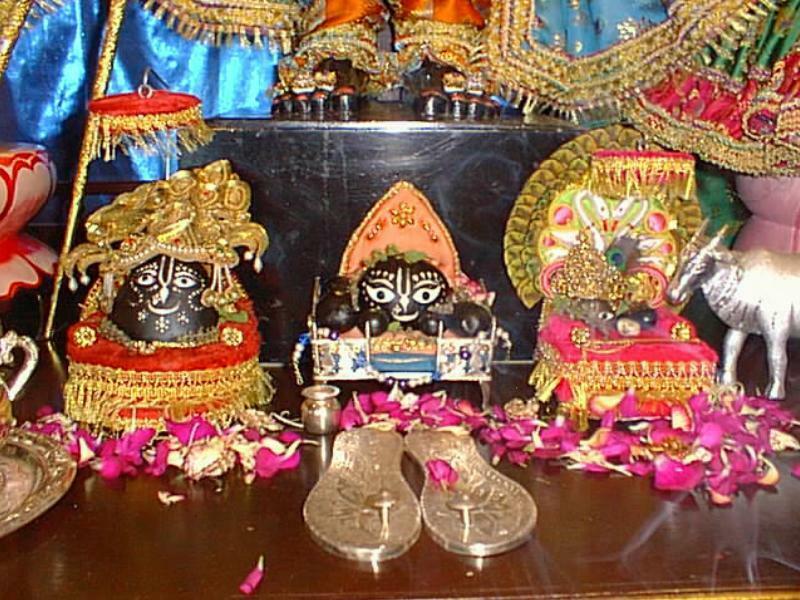 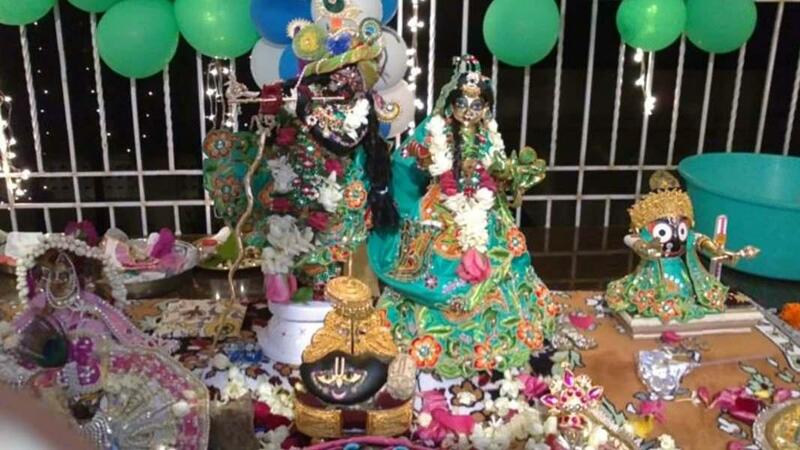 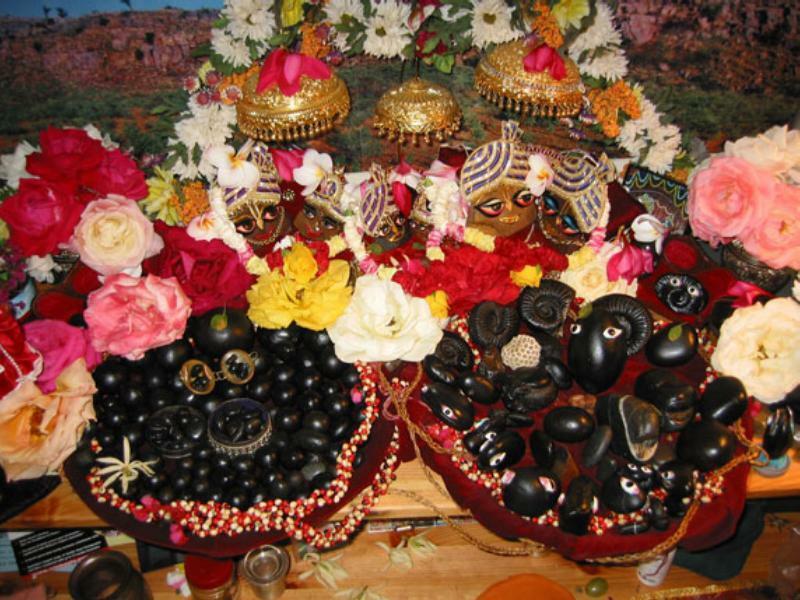 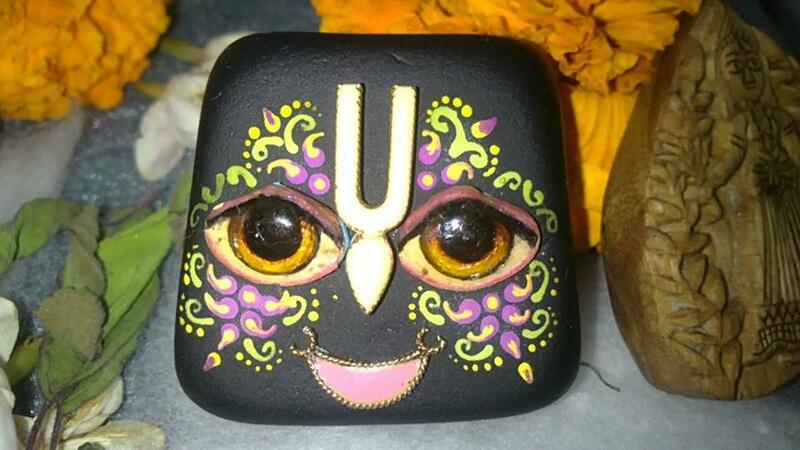 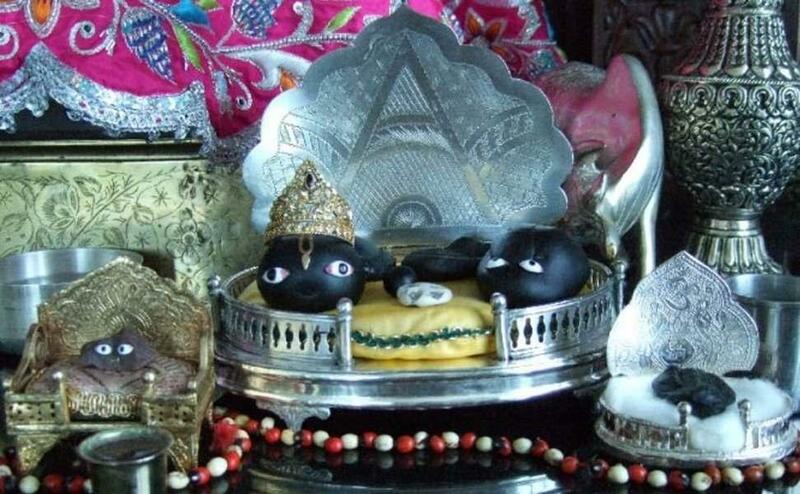 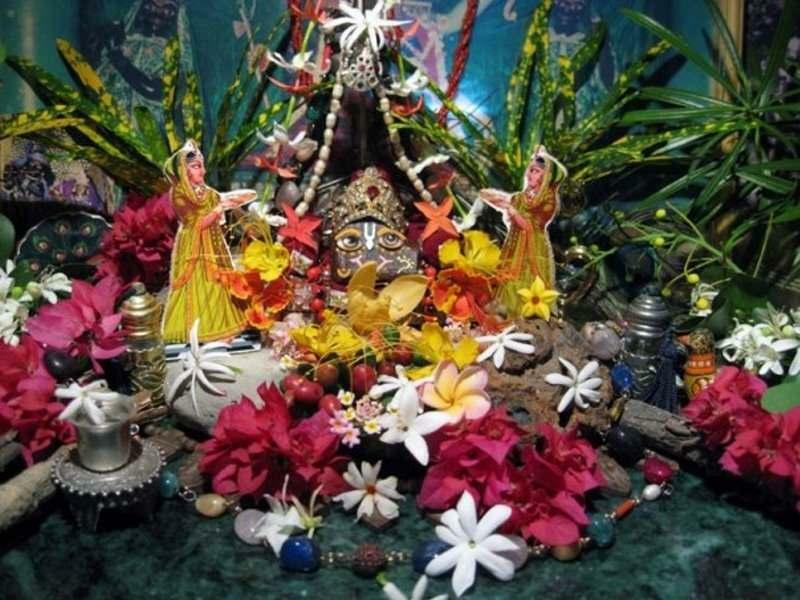 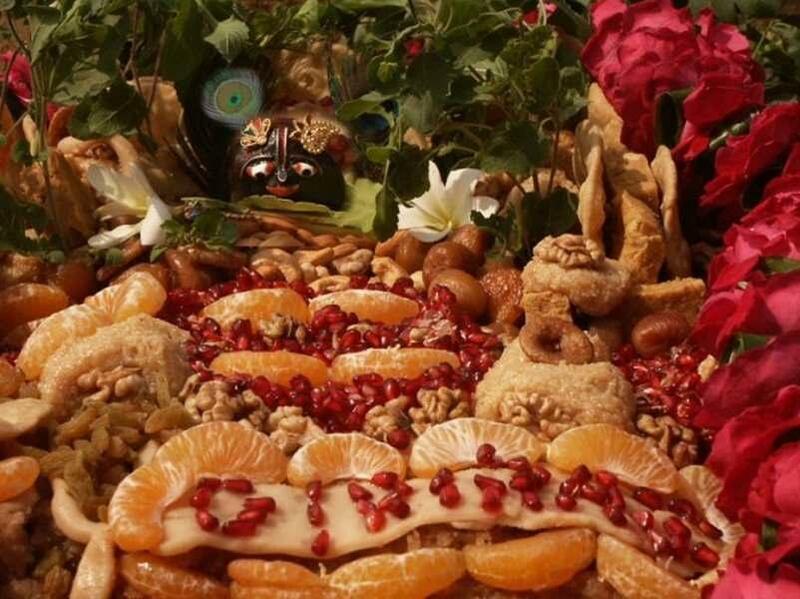 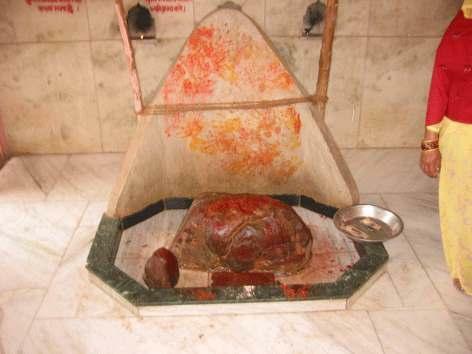 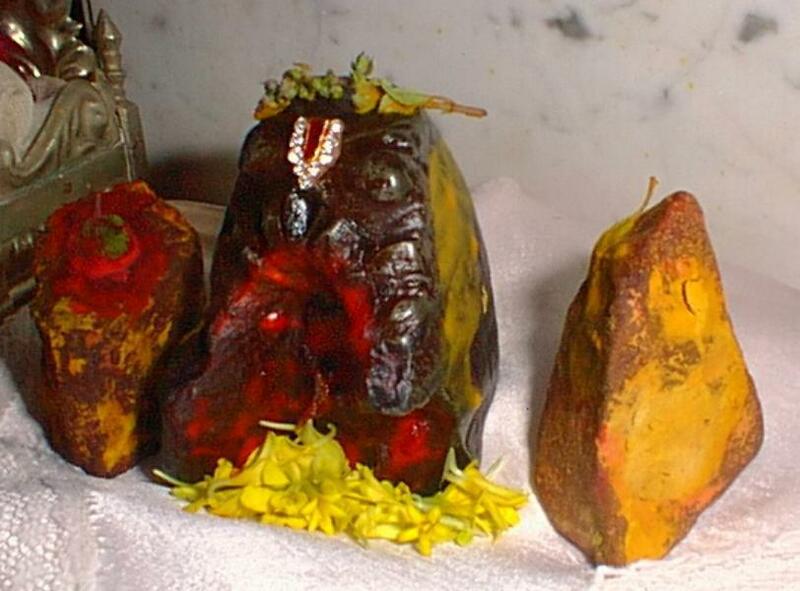 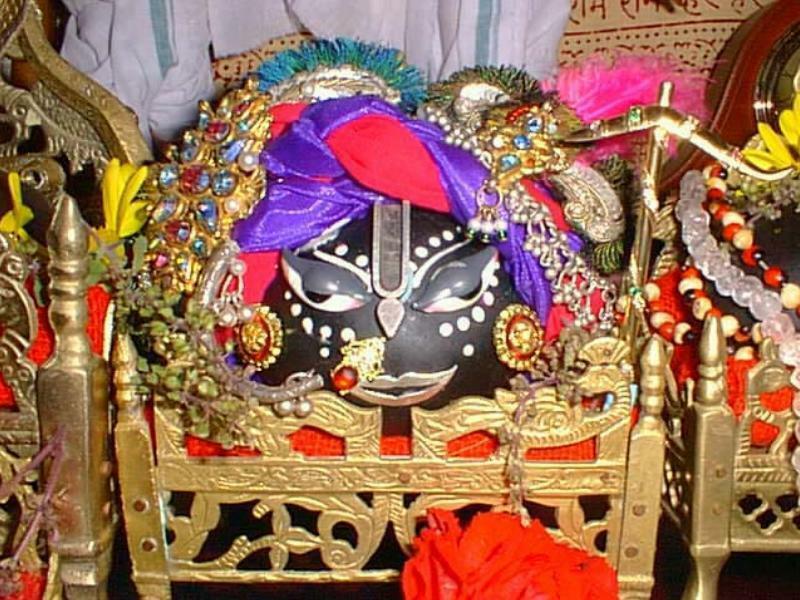 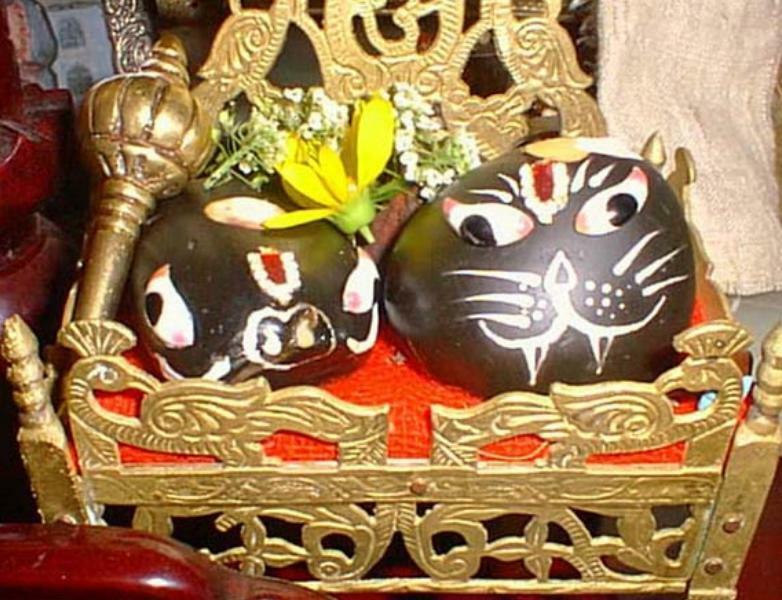 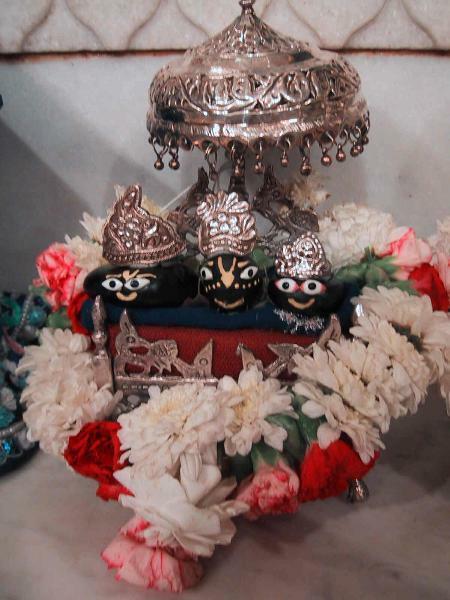 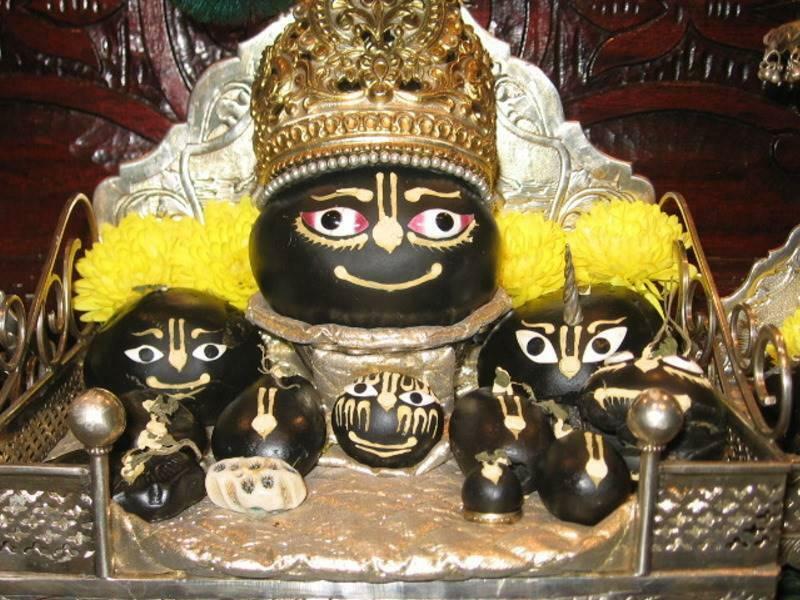 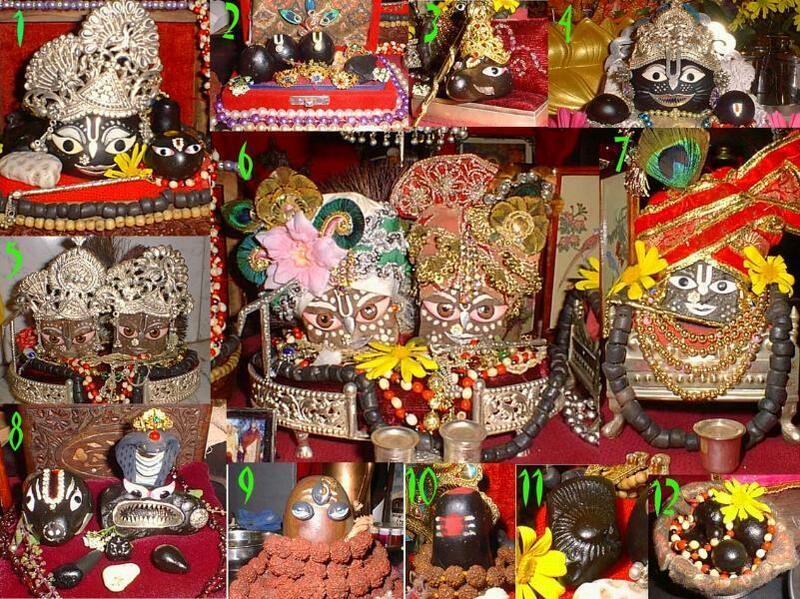 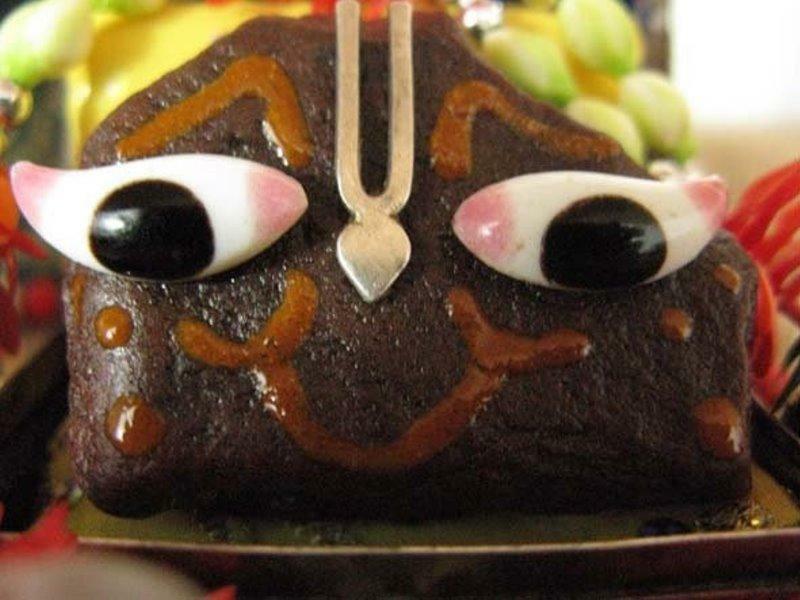 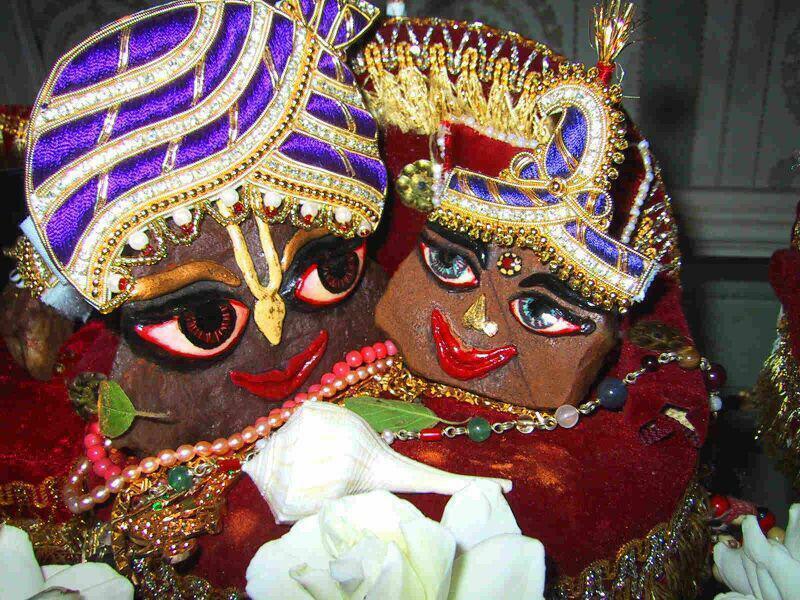 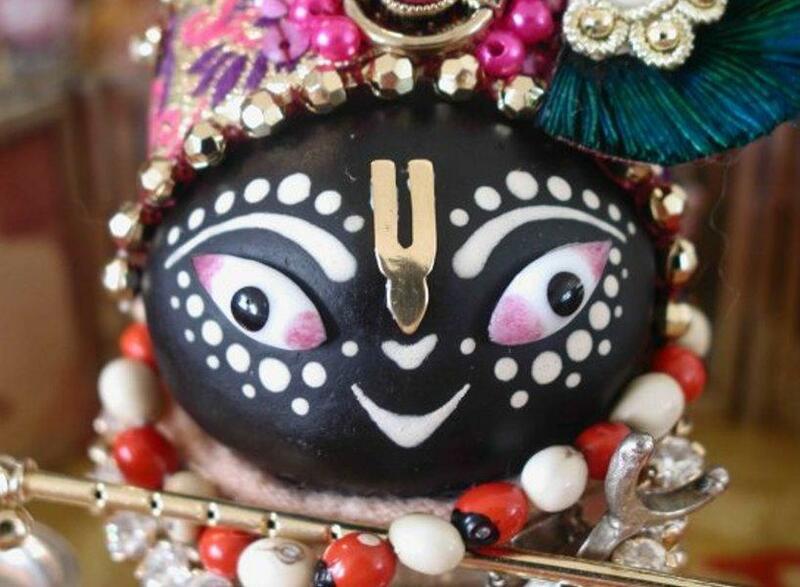 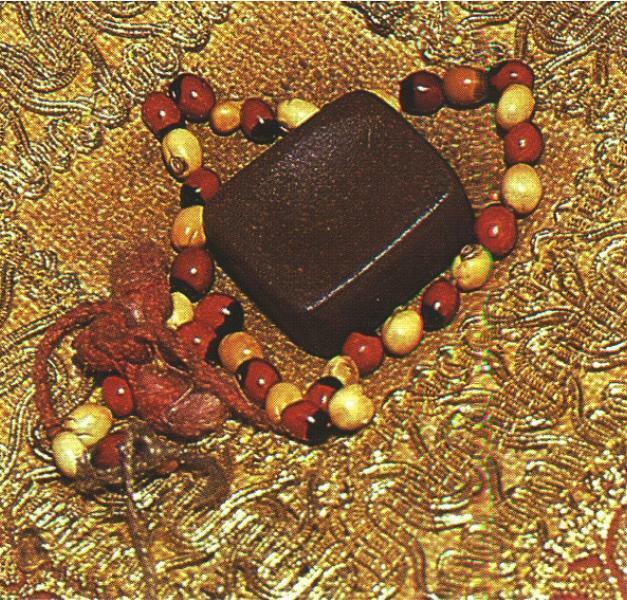 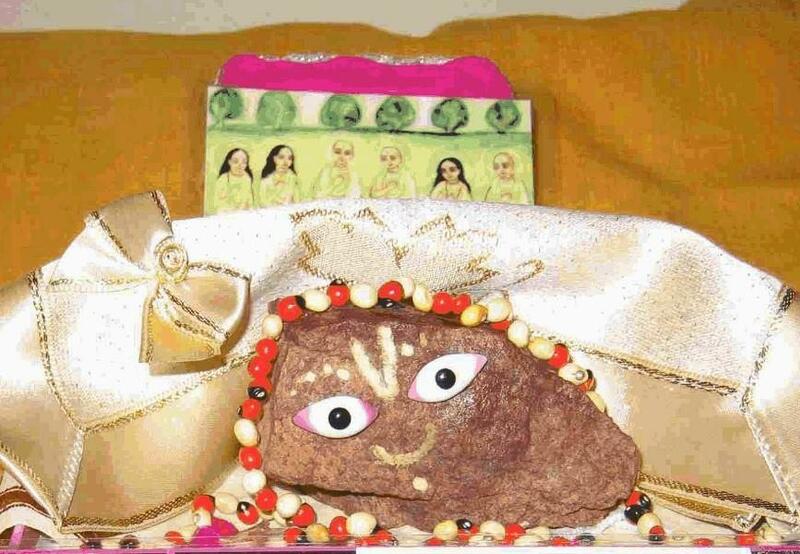 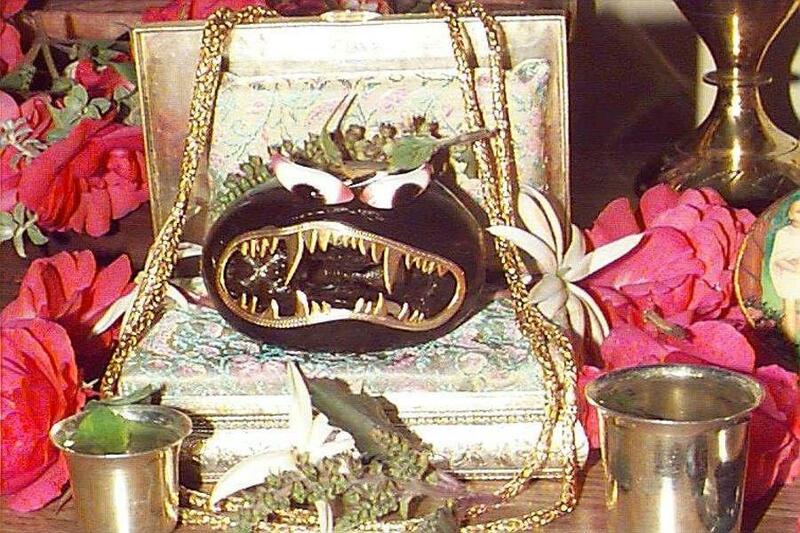 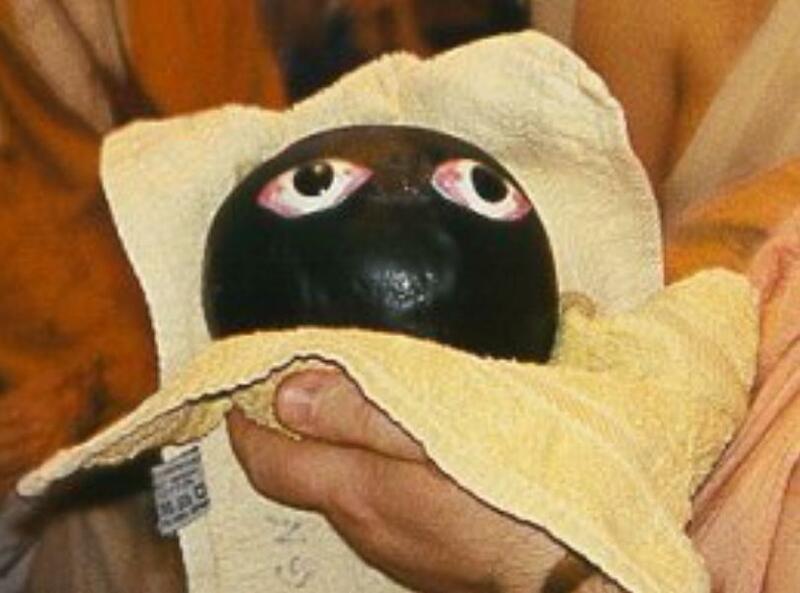 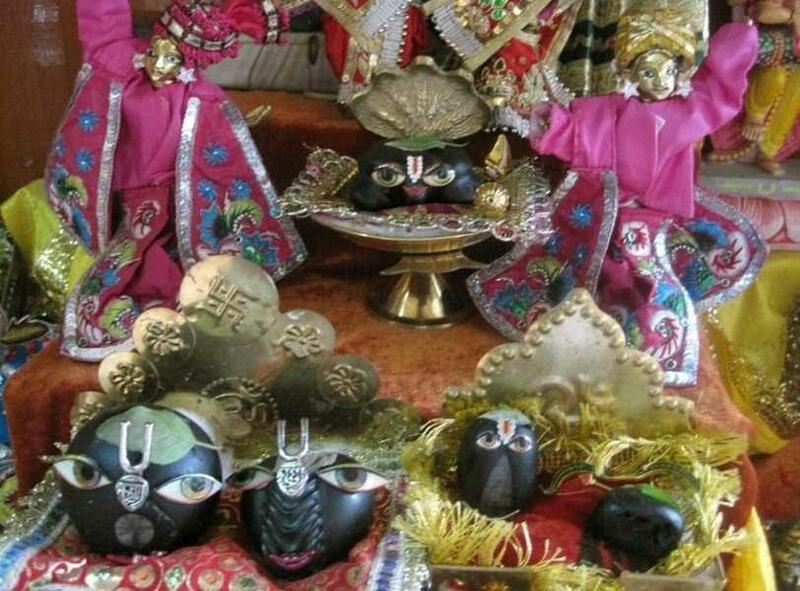 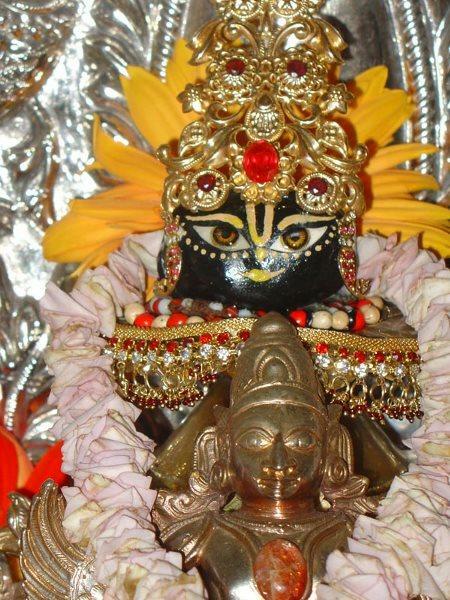 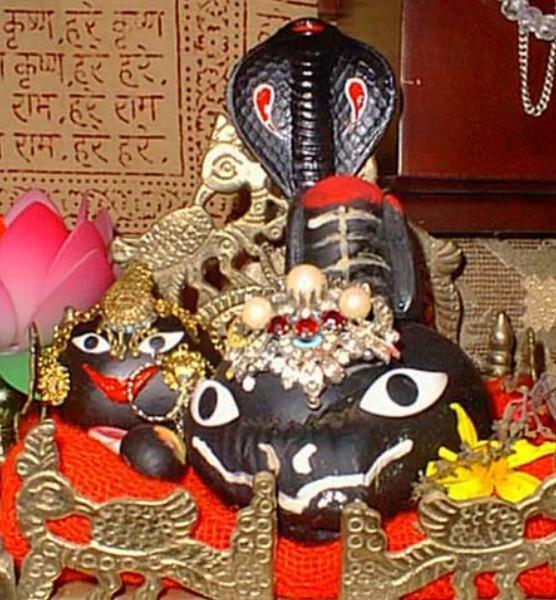 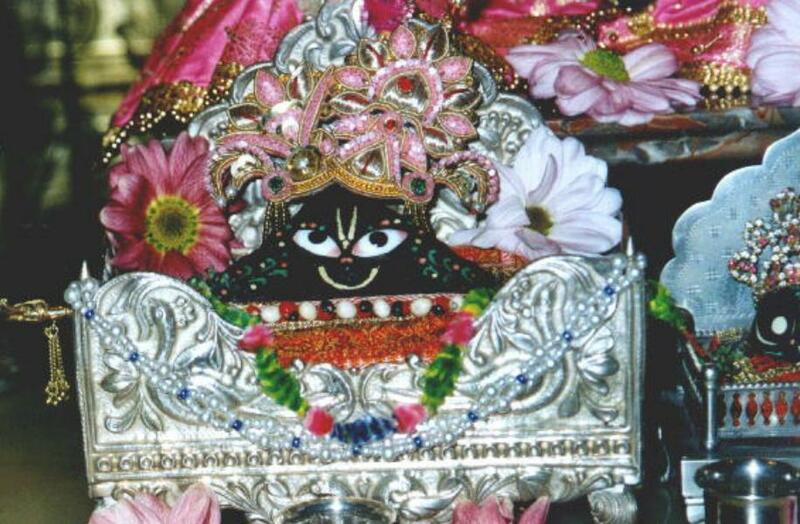 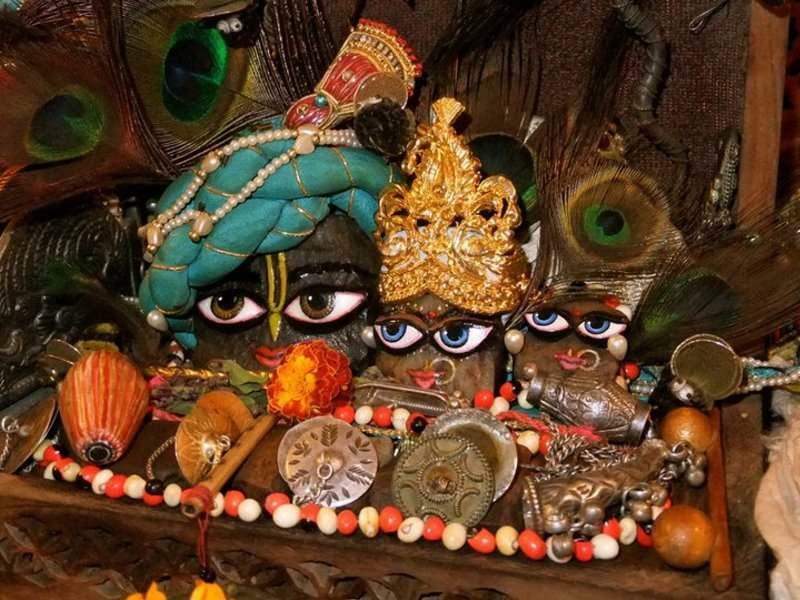 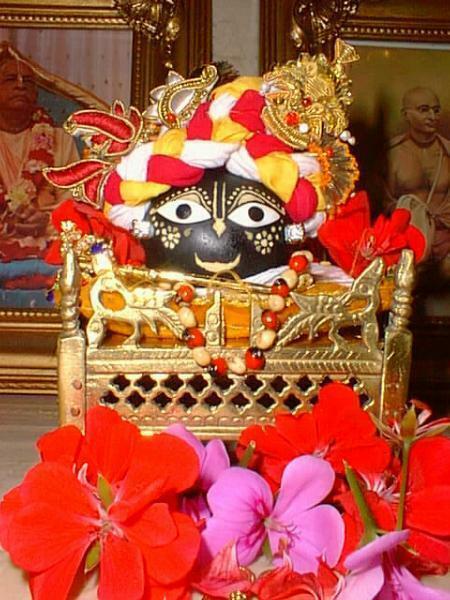 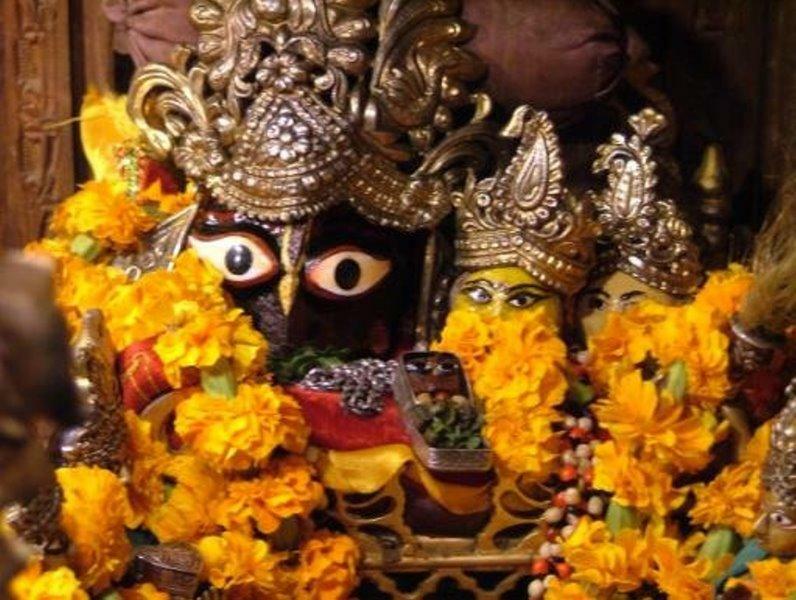 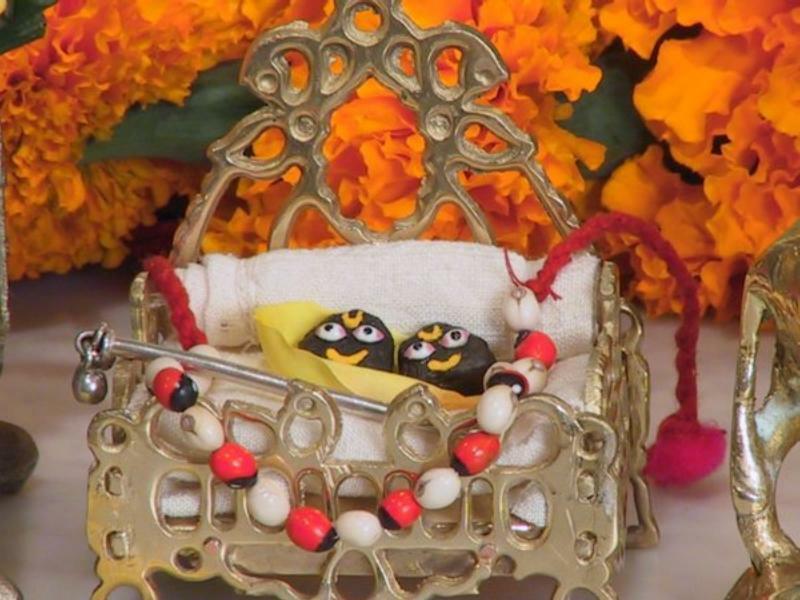 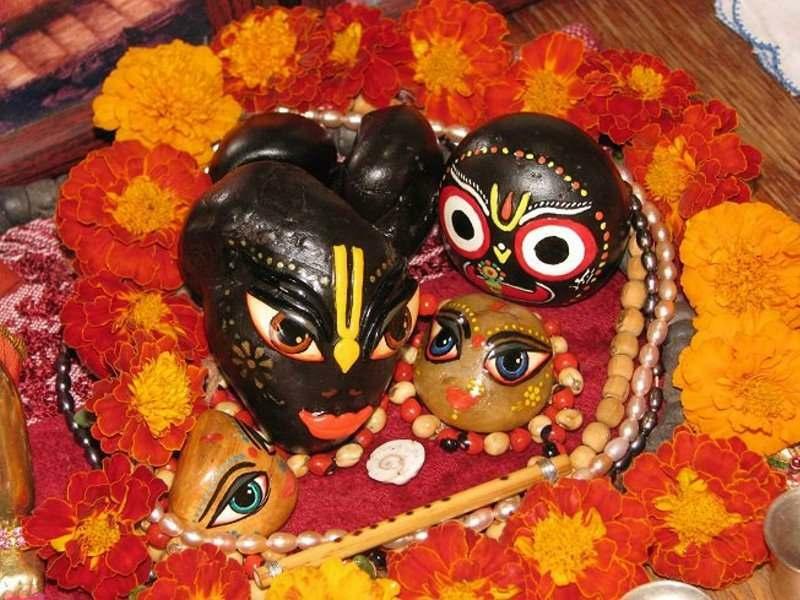 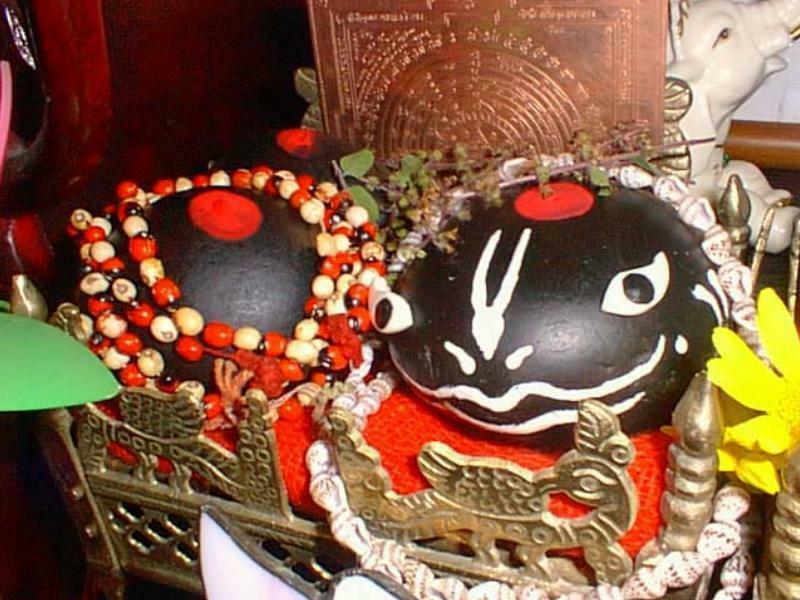 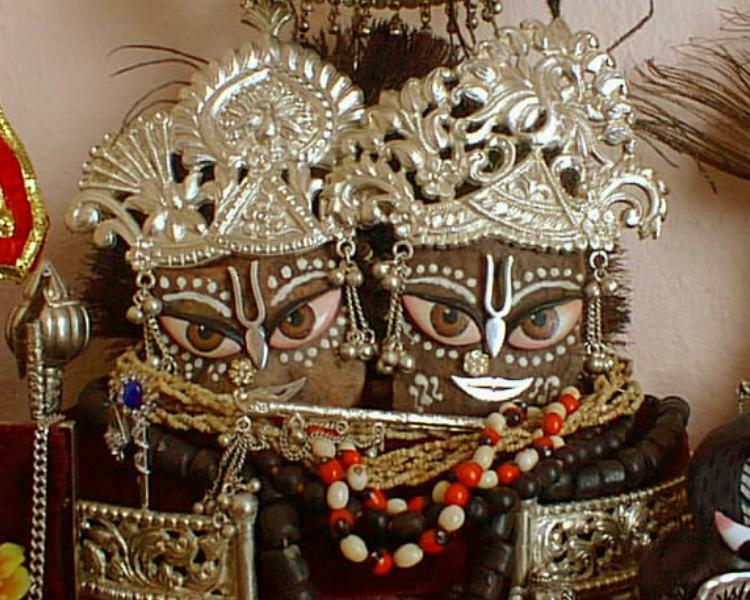 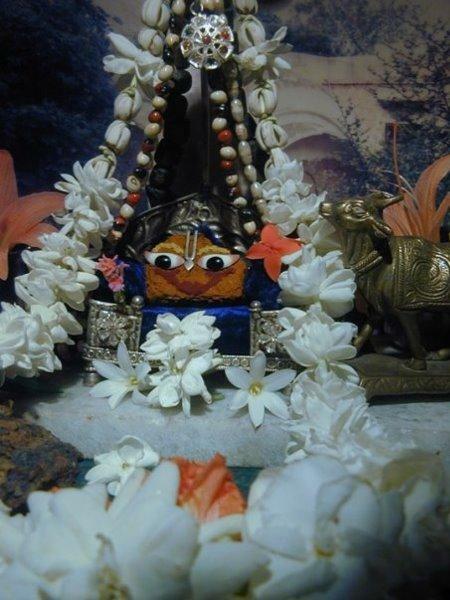 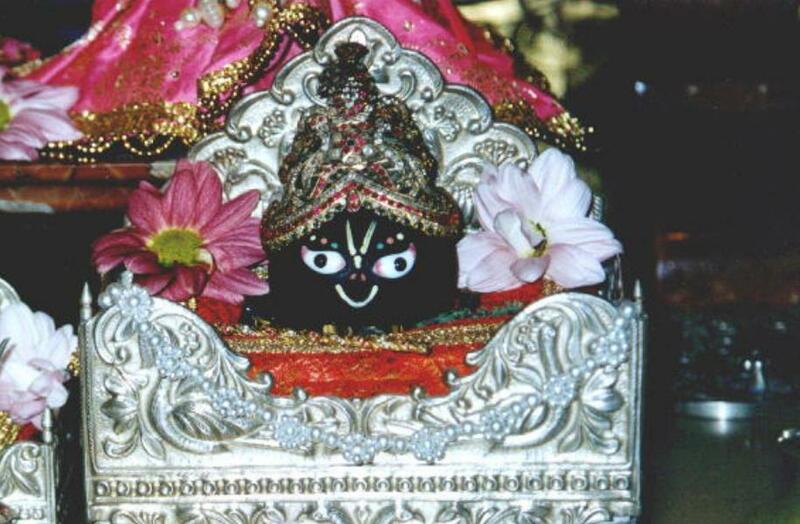 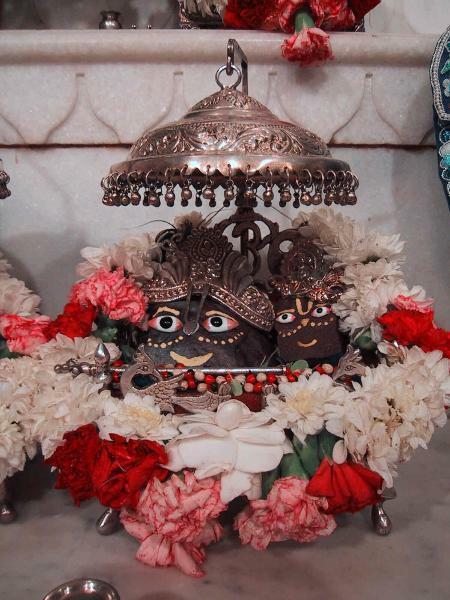 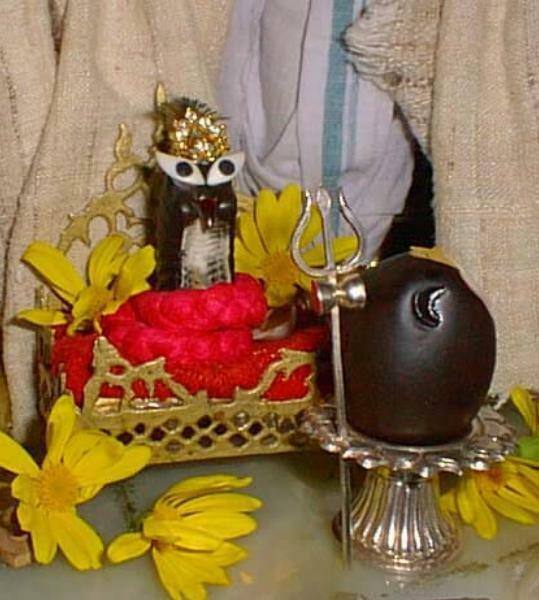 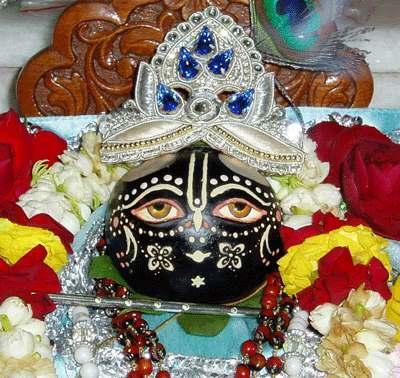 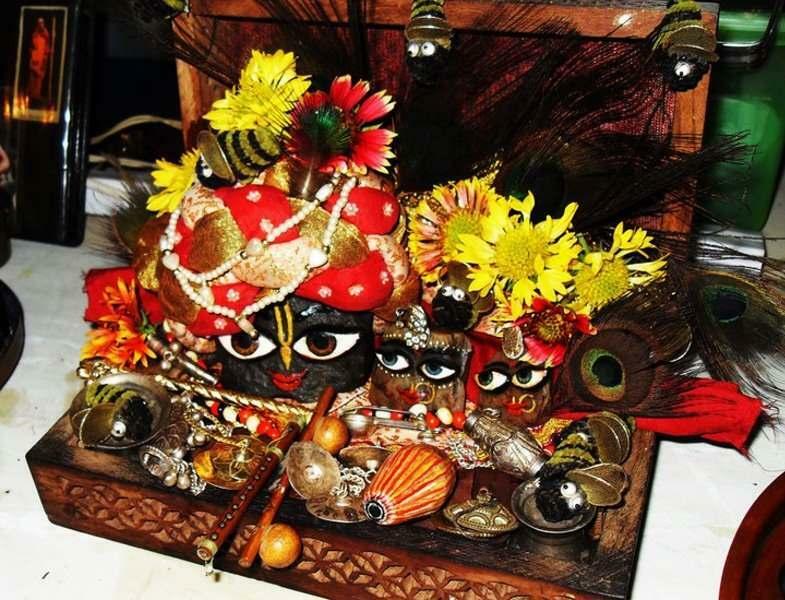 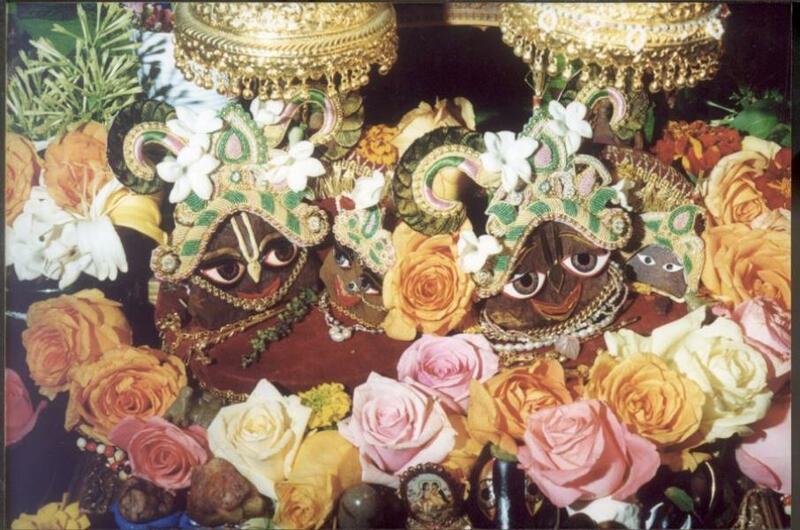 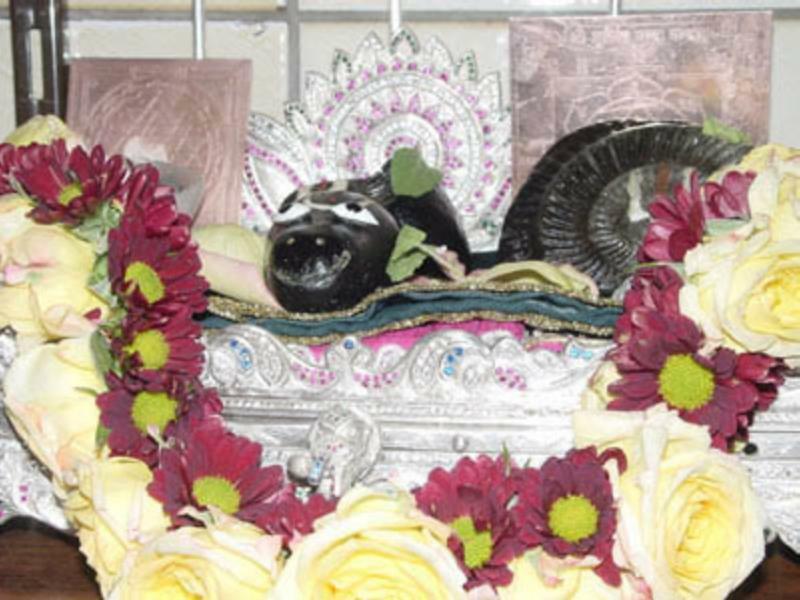 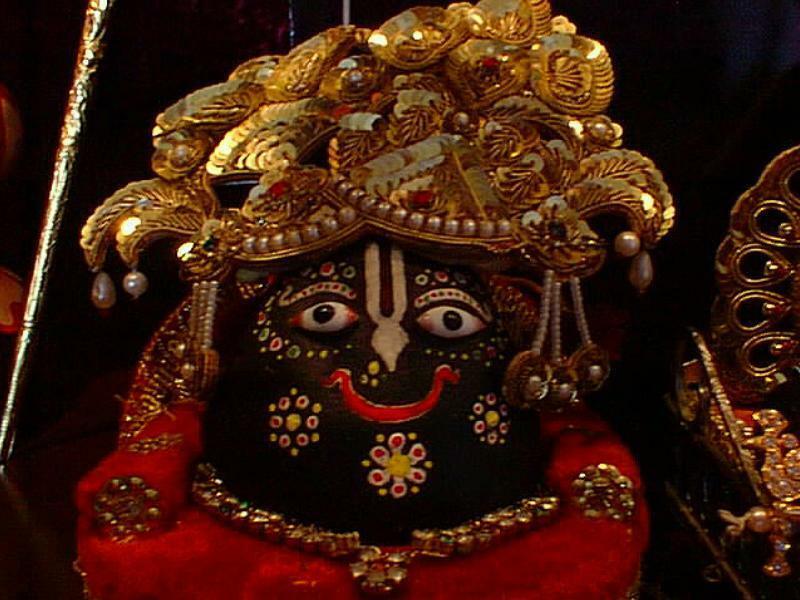 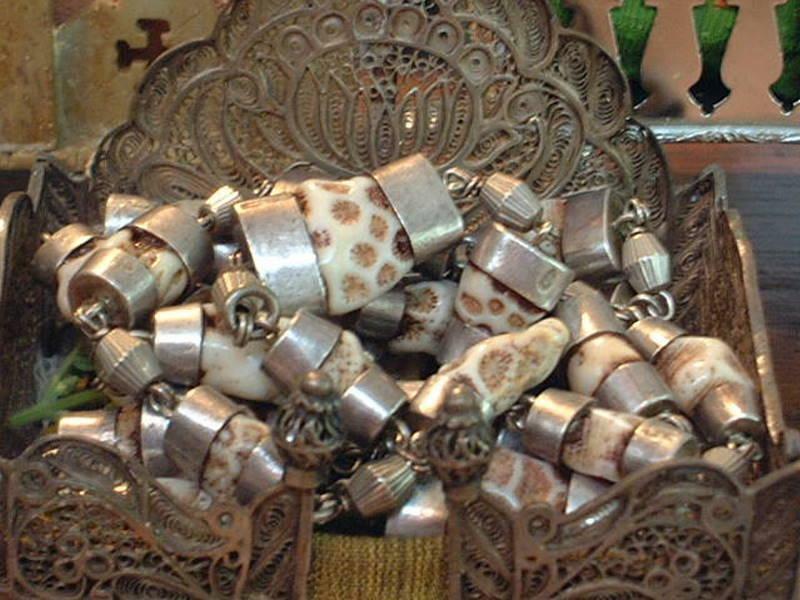 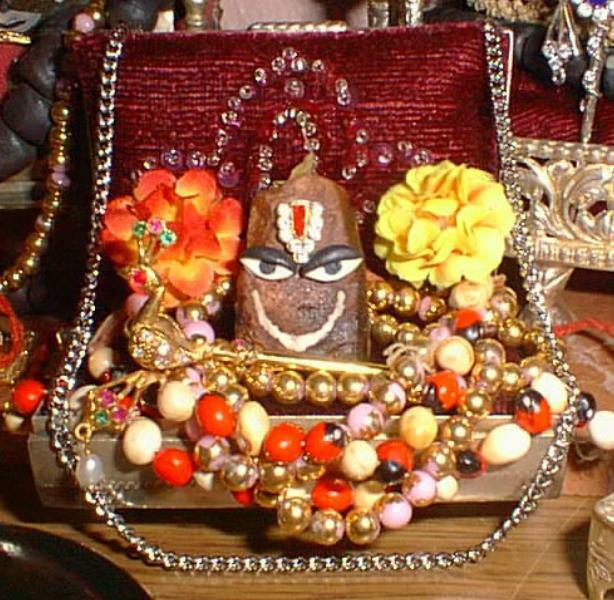 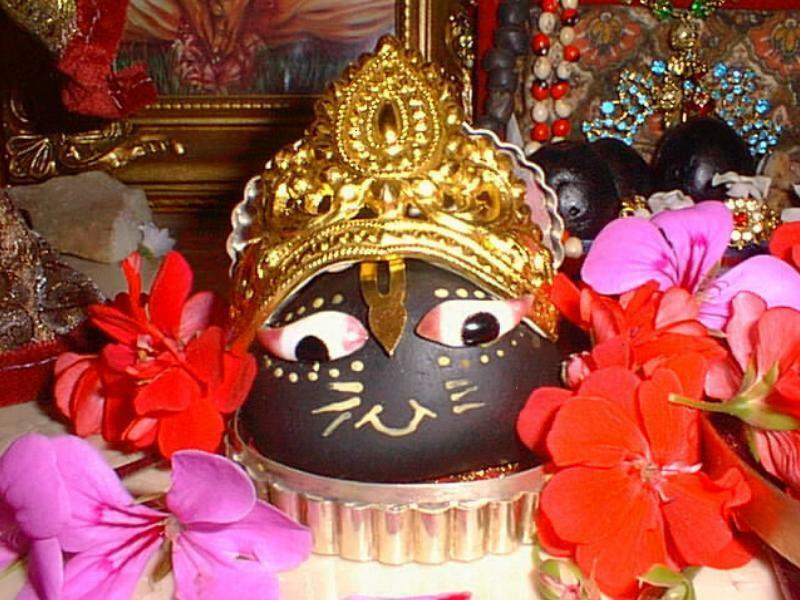 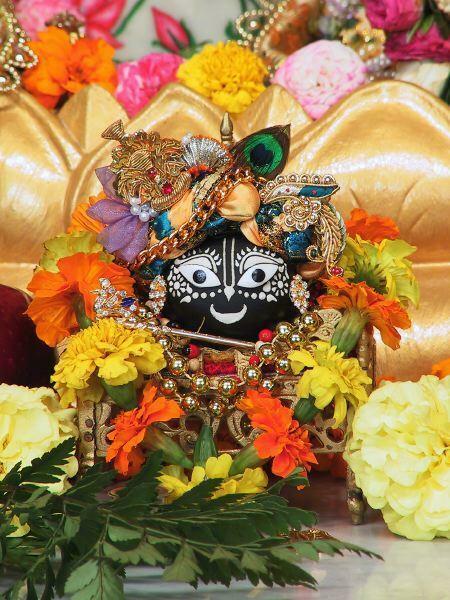 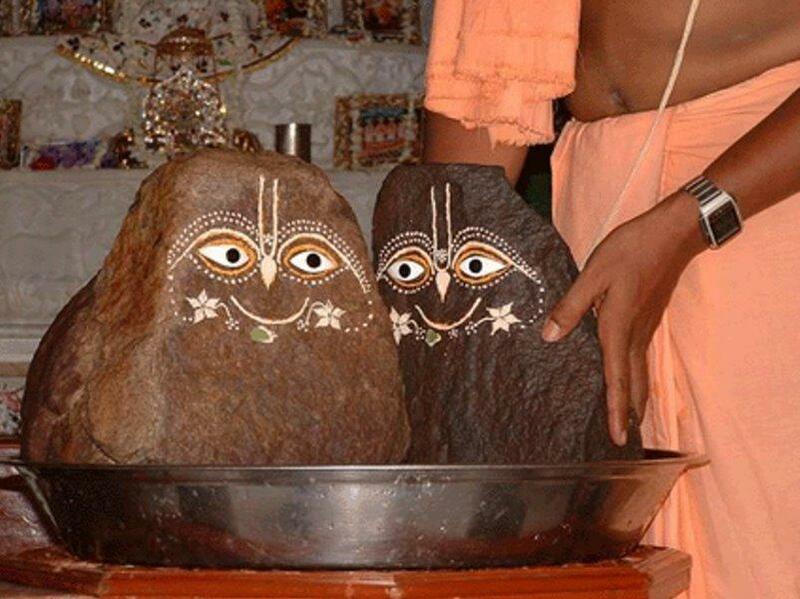 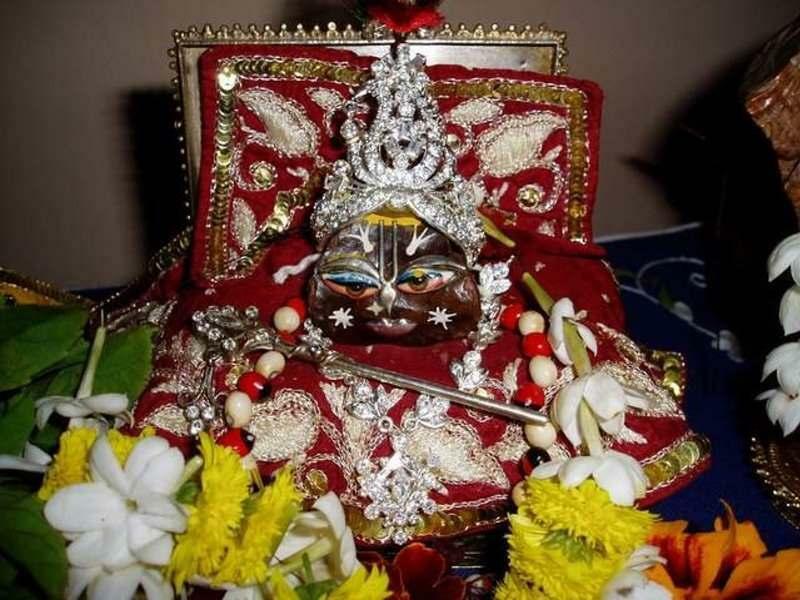 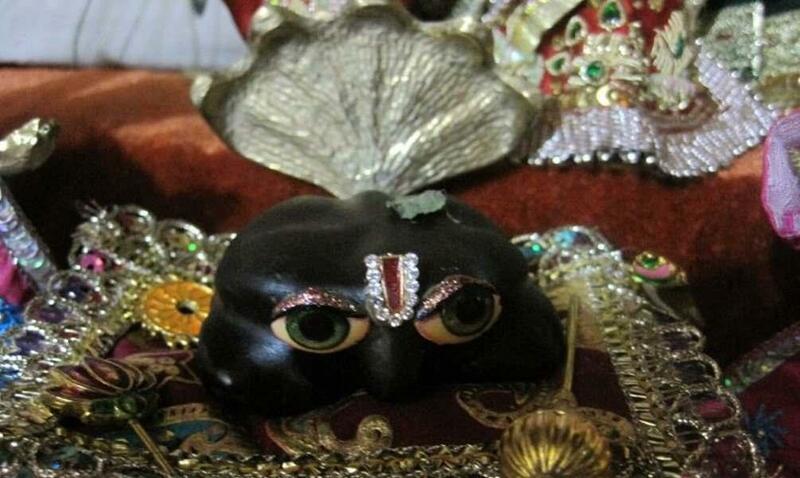 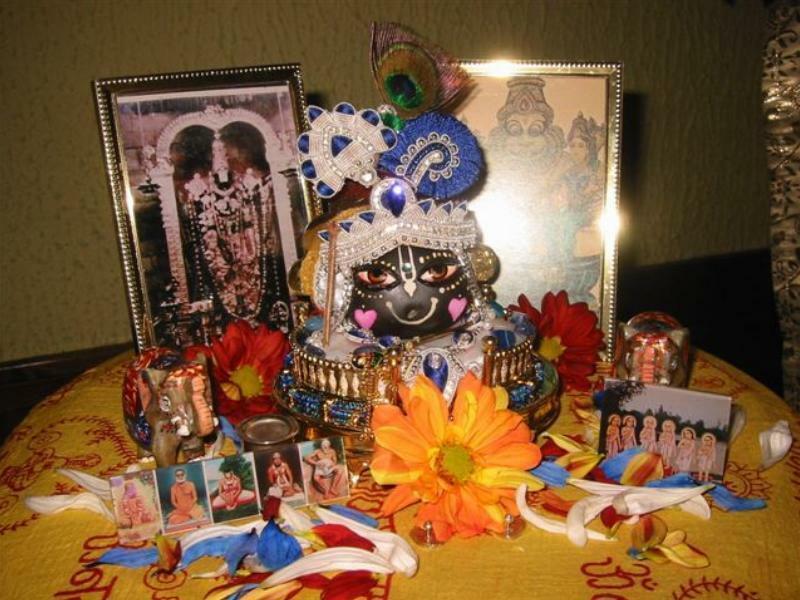 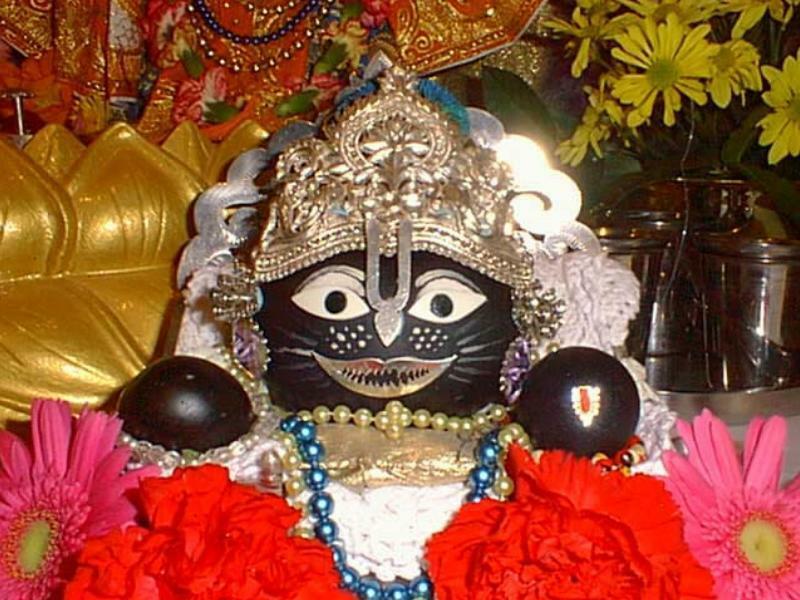 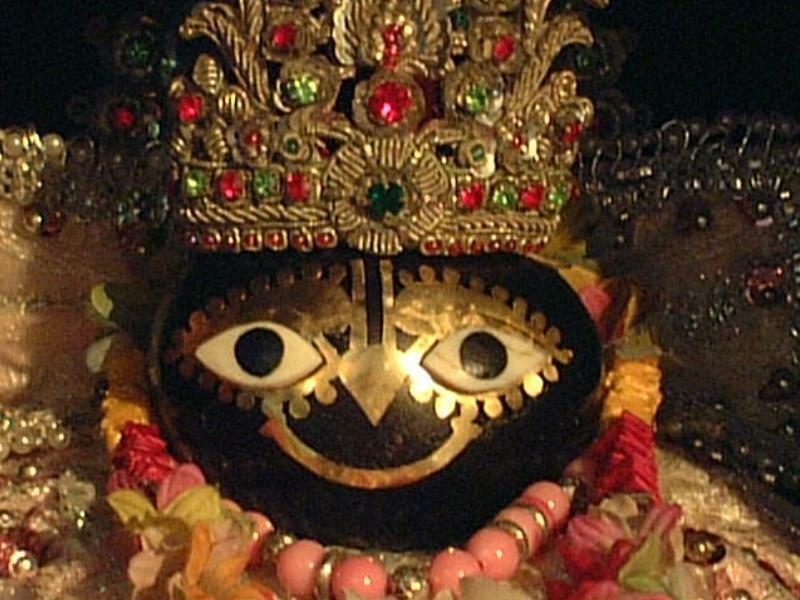 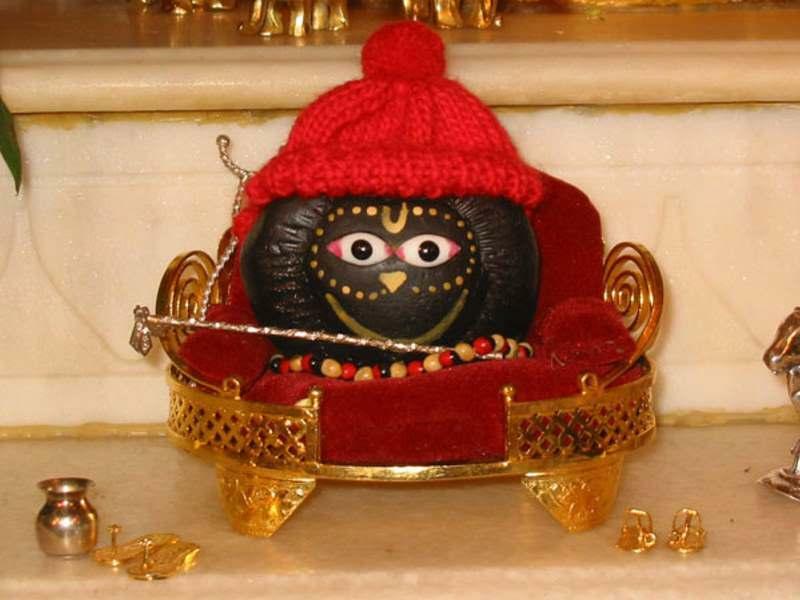 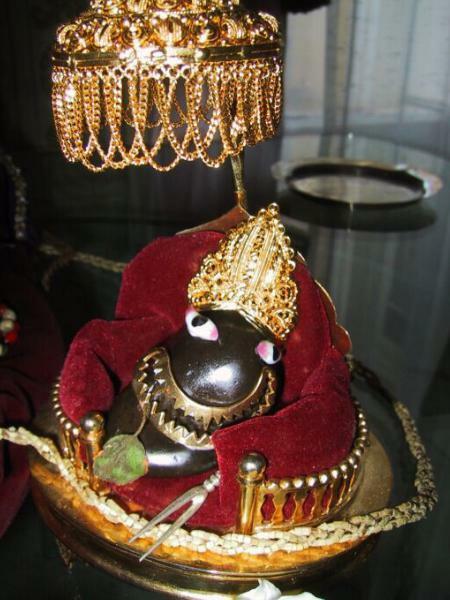 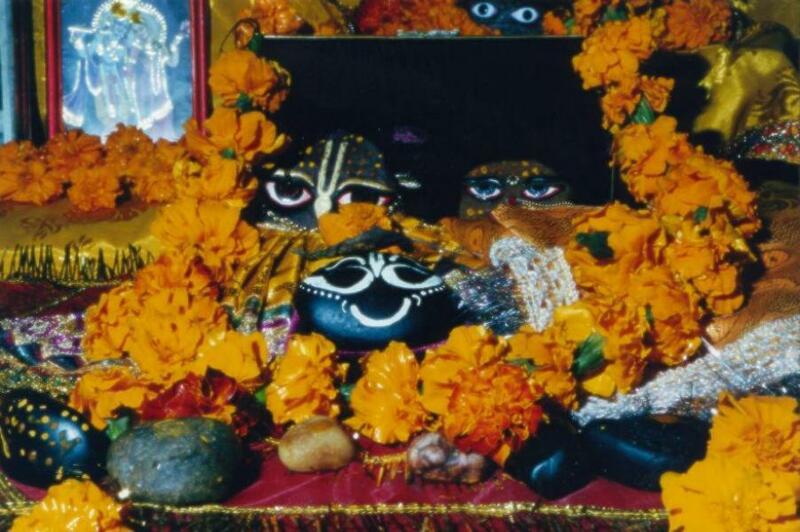 Since this time the Saligrams are considered to be most auspicious to behold and to worship. 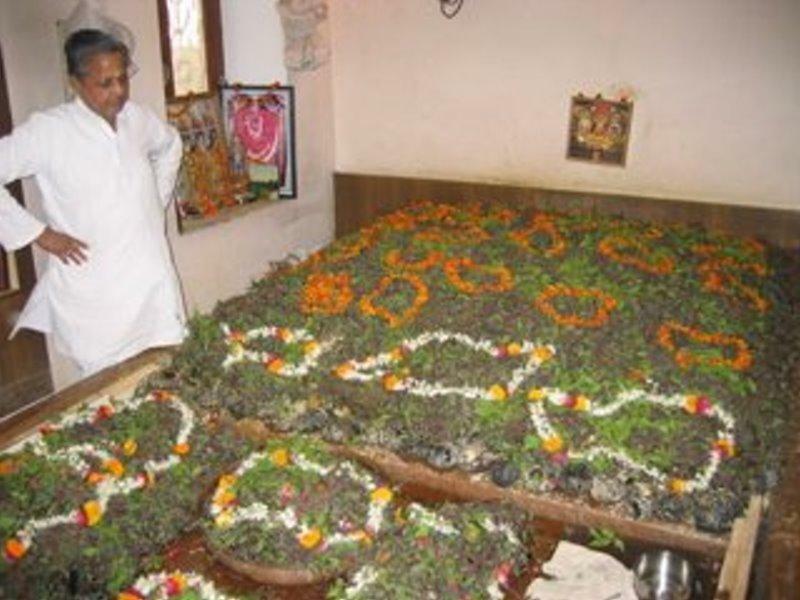 The worshipper knows no fear and by Sri Saligram's mercy the worshipper is blessed to attain all desirable things; worldly comforts, good wife, good sons, good health and wealth etc. 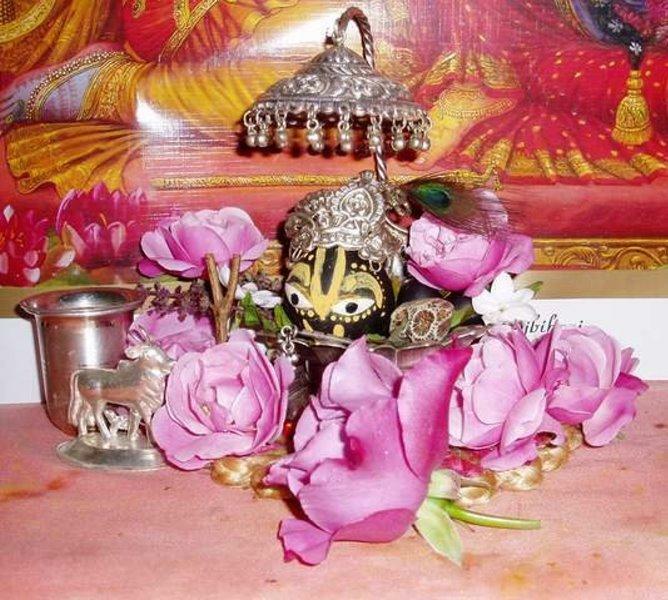 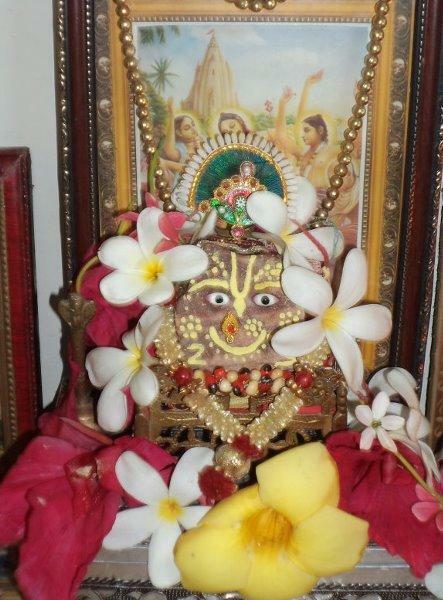 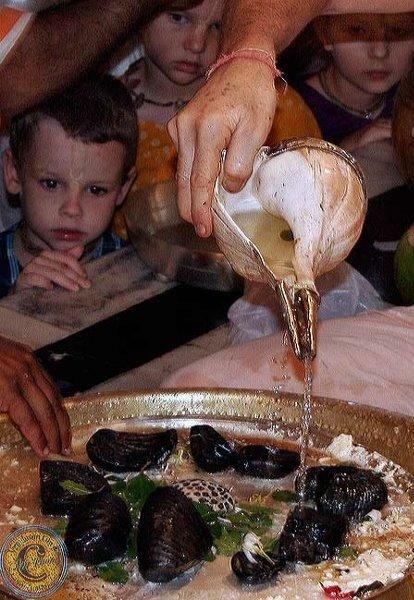 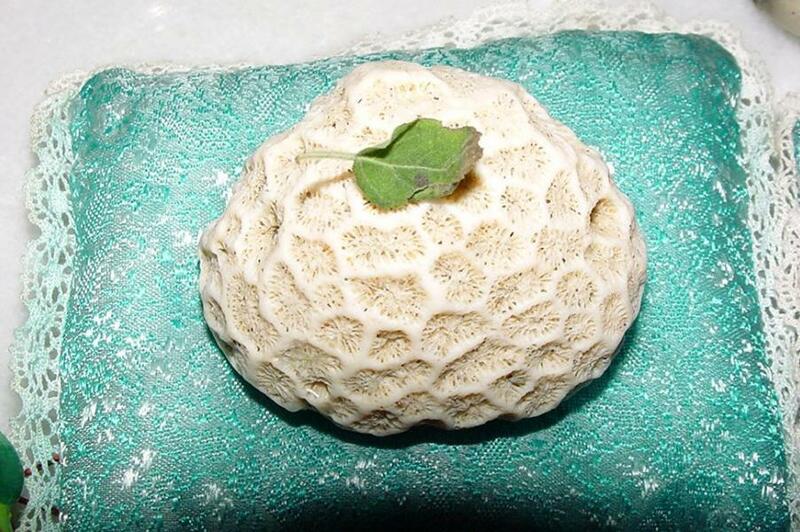 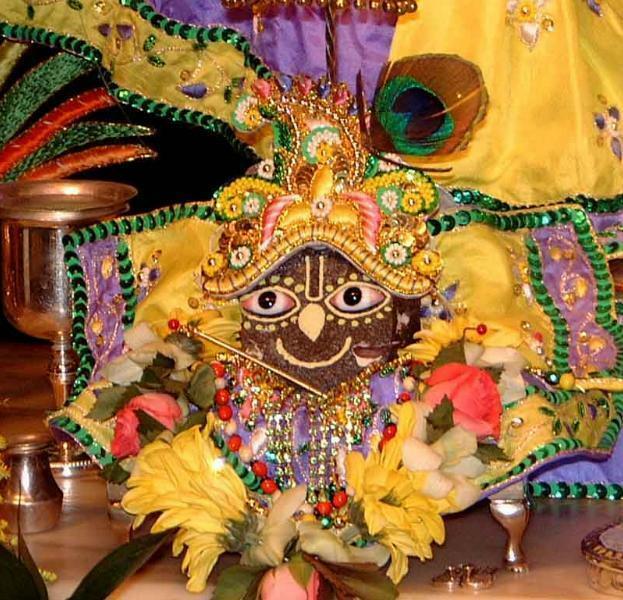 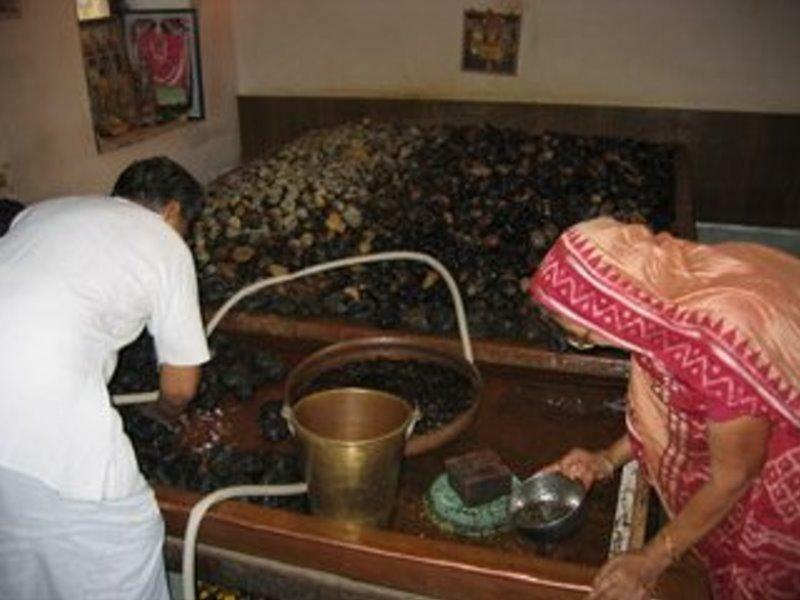 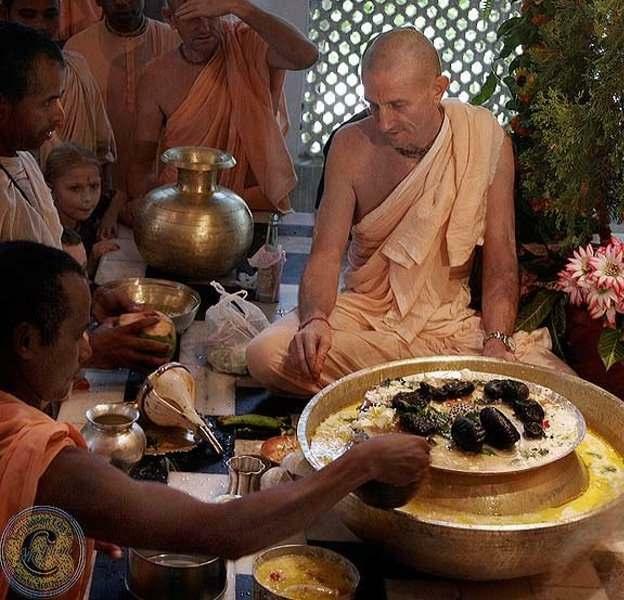 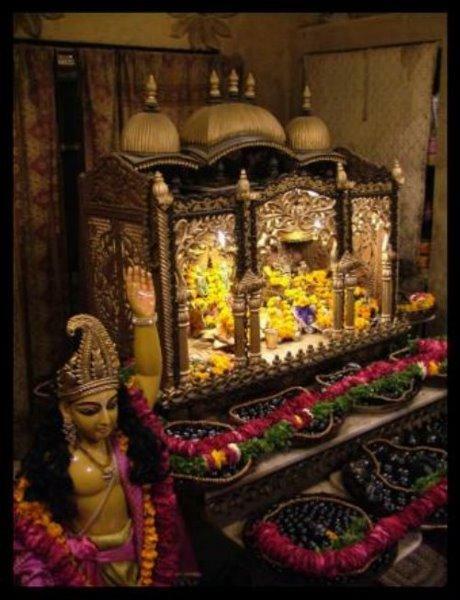 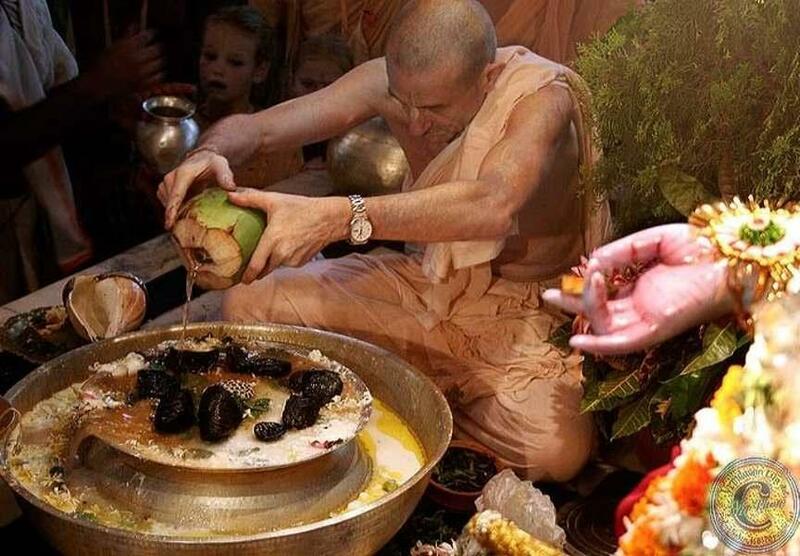 It is all by the blessings of Lord Mahavishnu that His pastimes are being served. 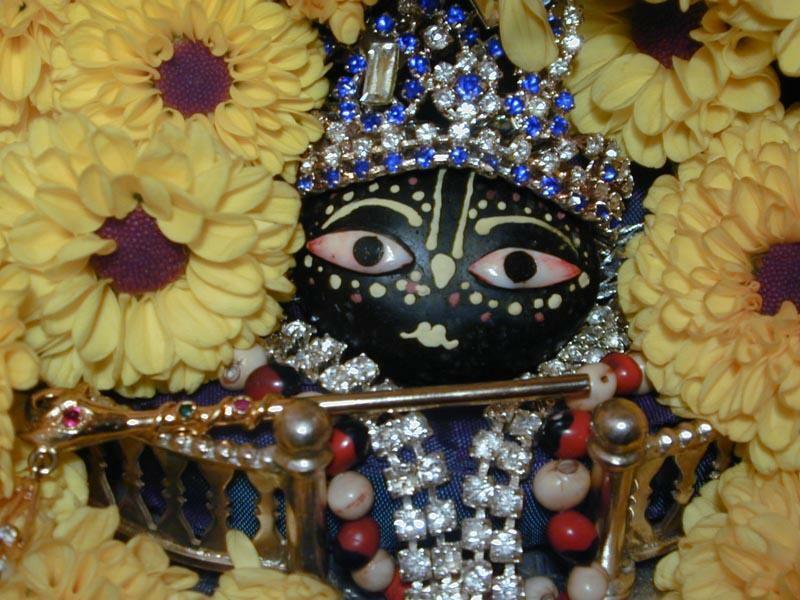 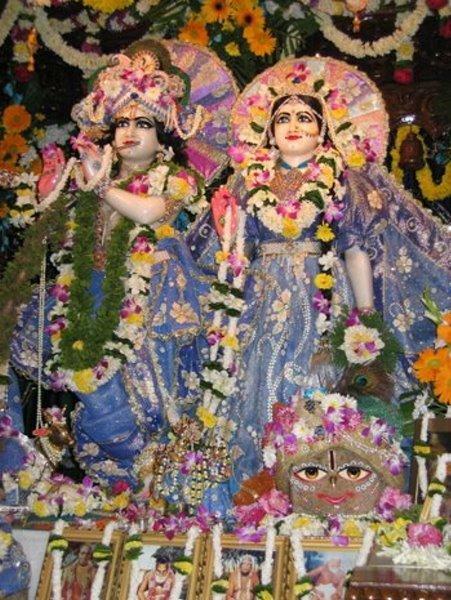 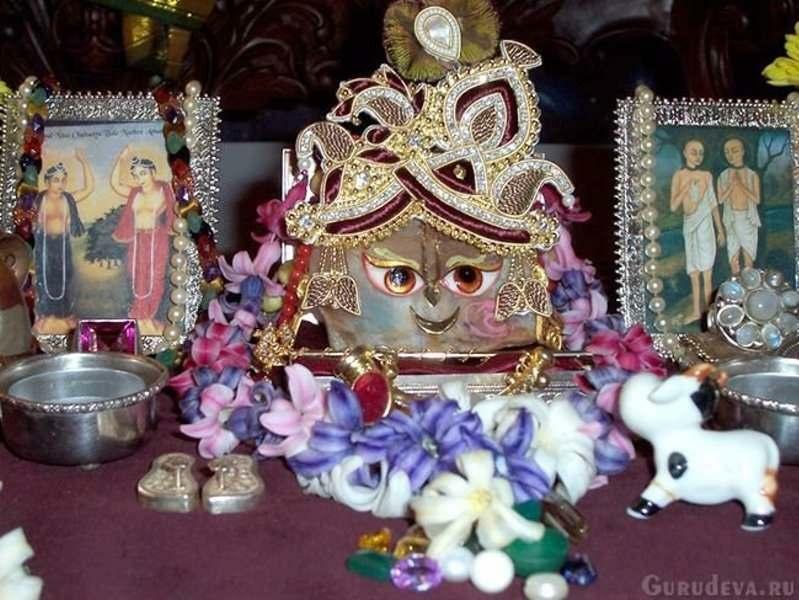 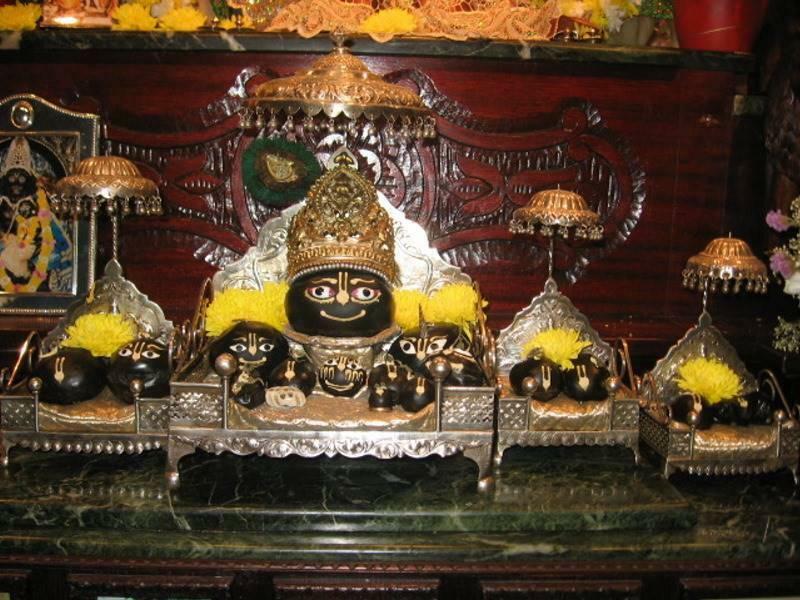 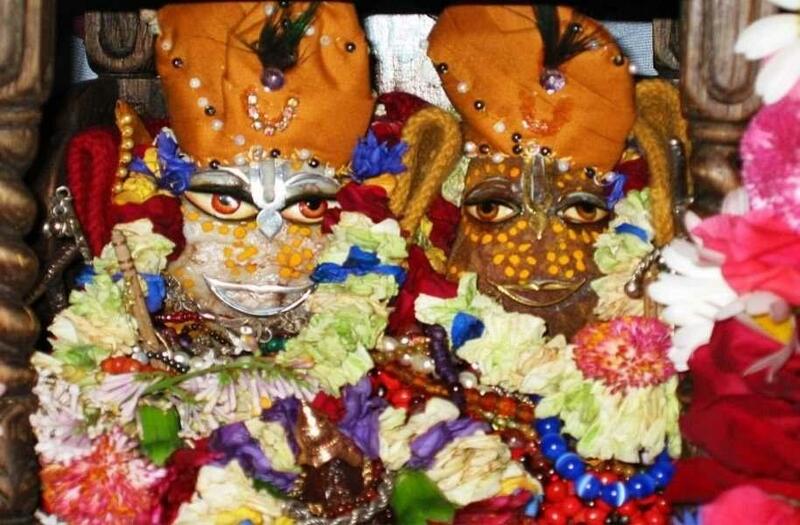 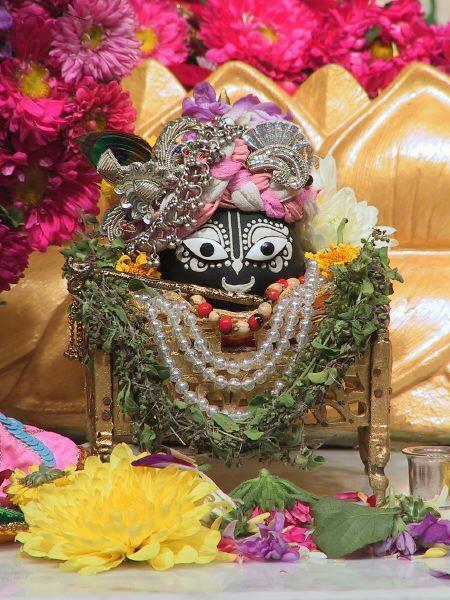 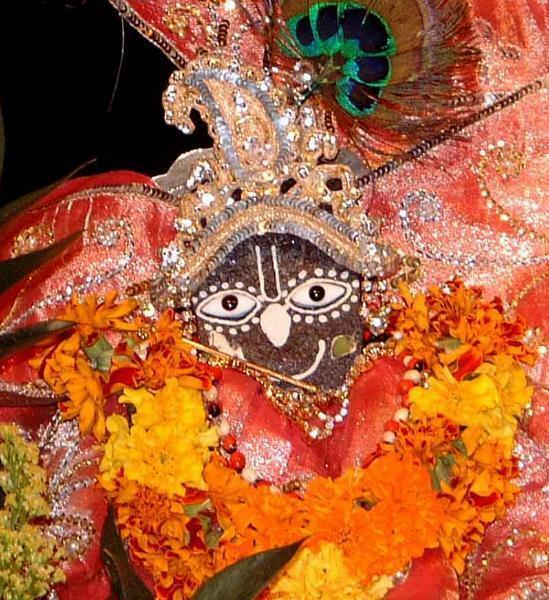 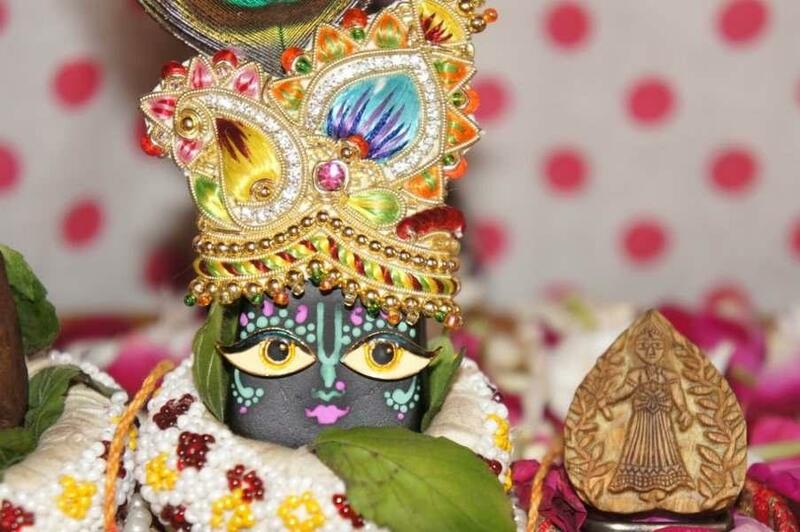 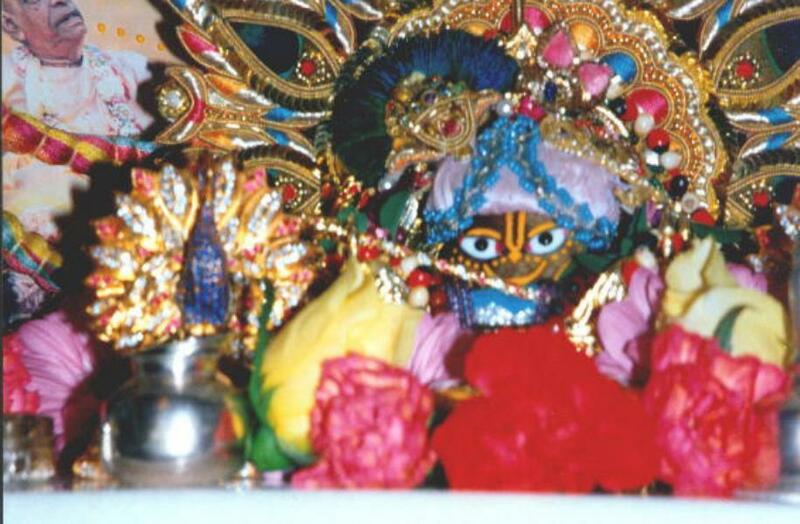 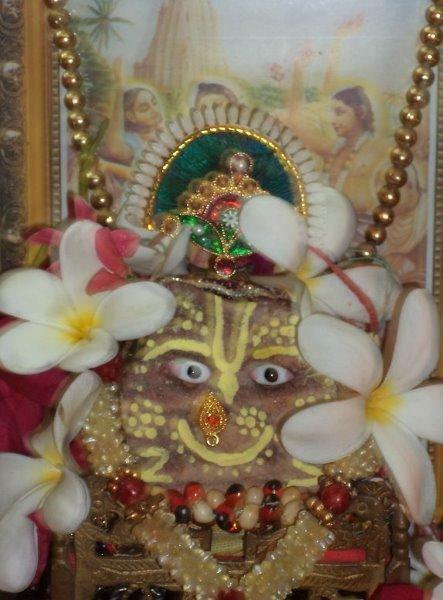 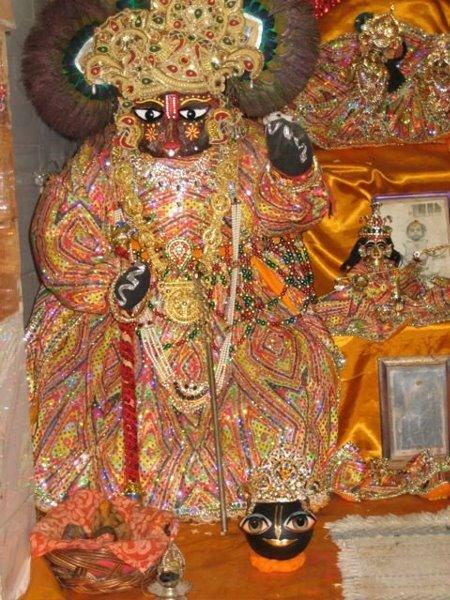 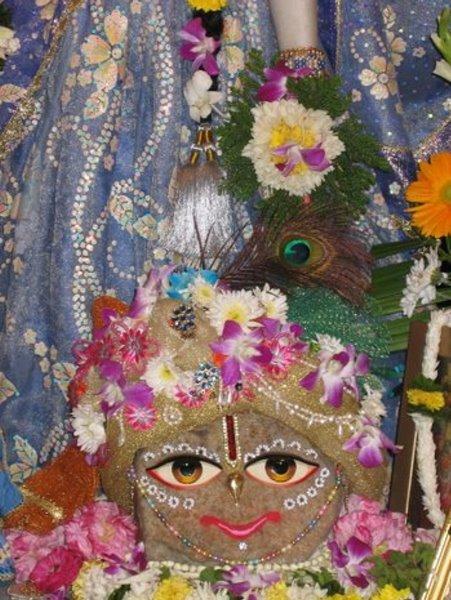 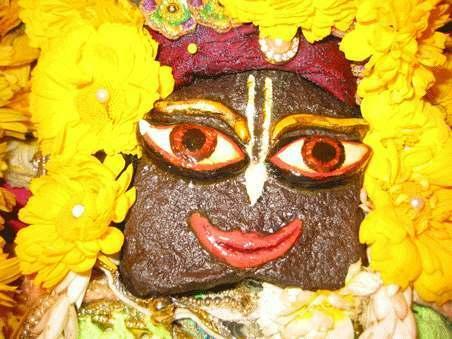 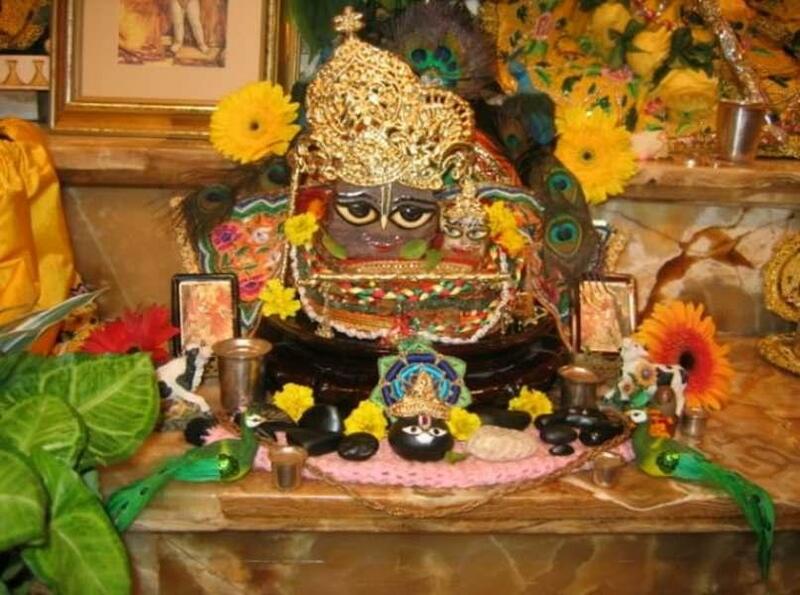 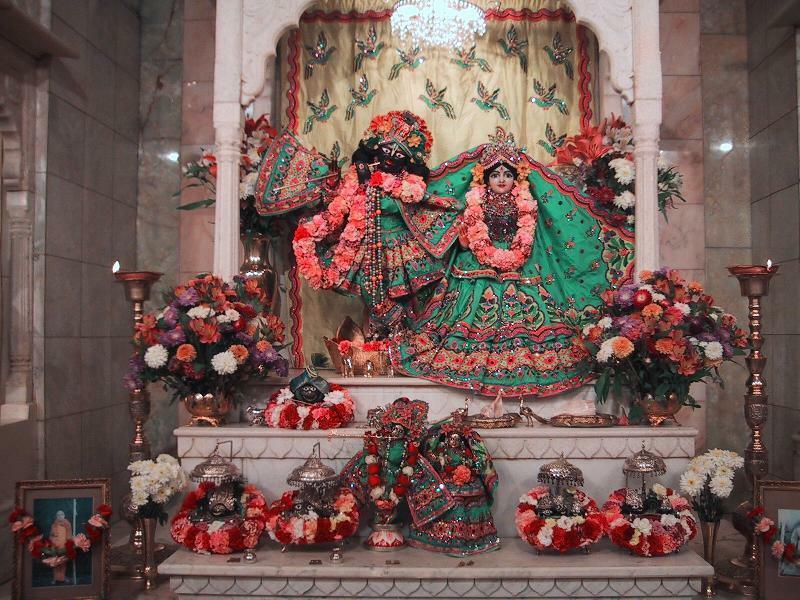 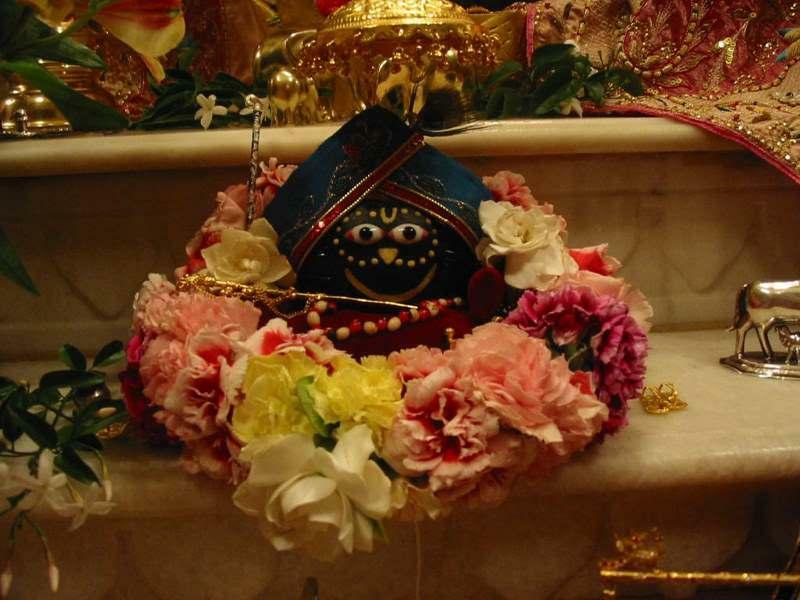 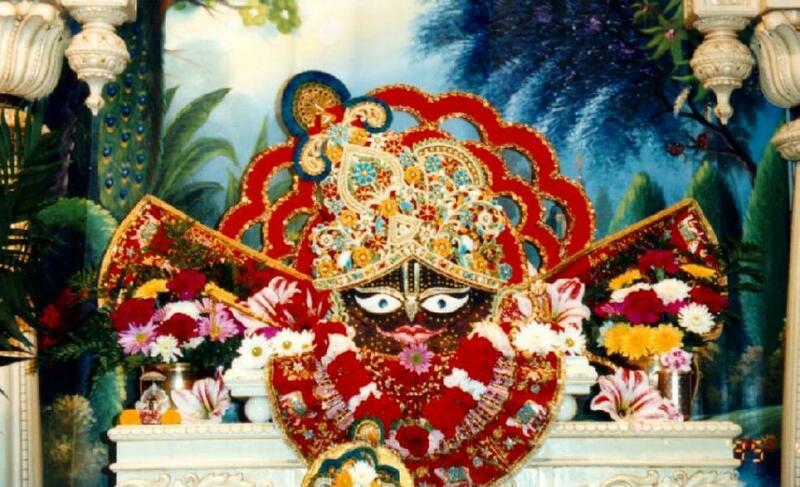 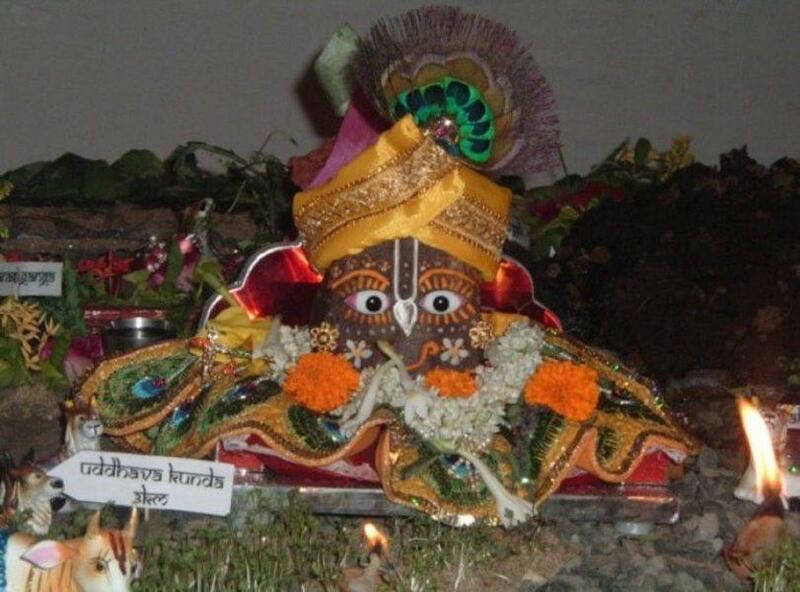 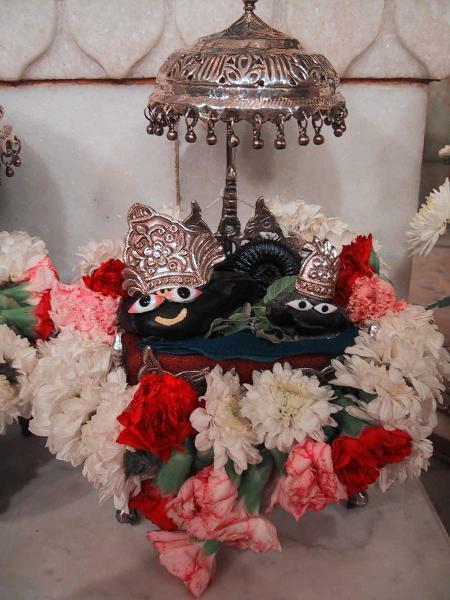 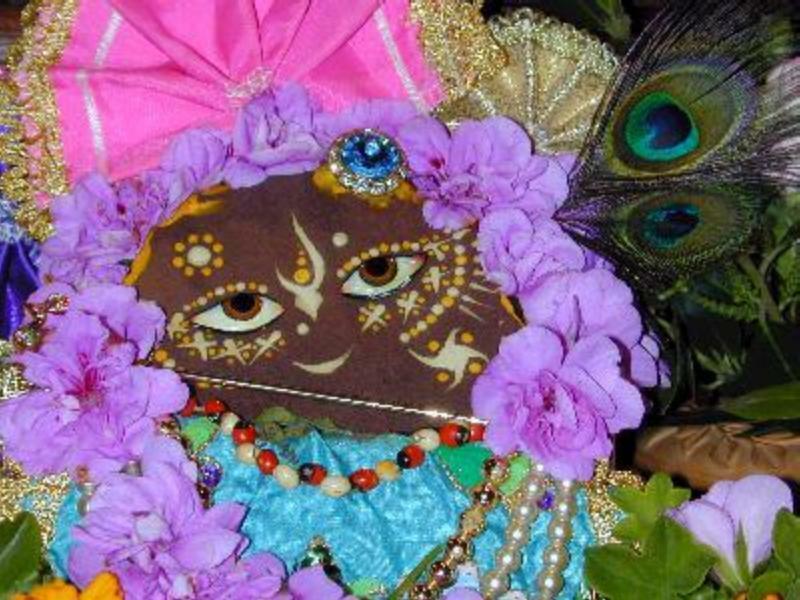 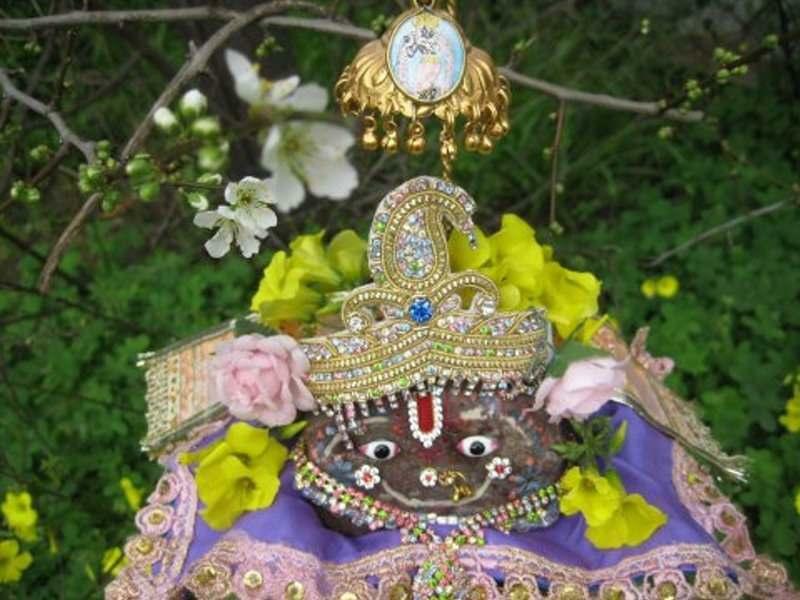 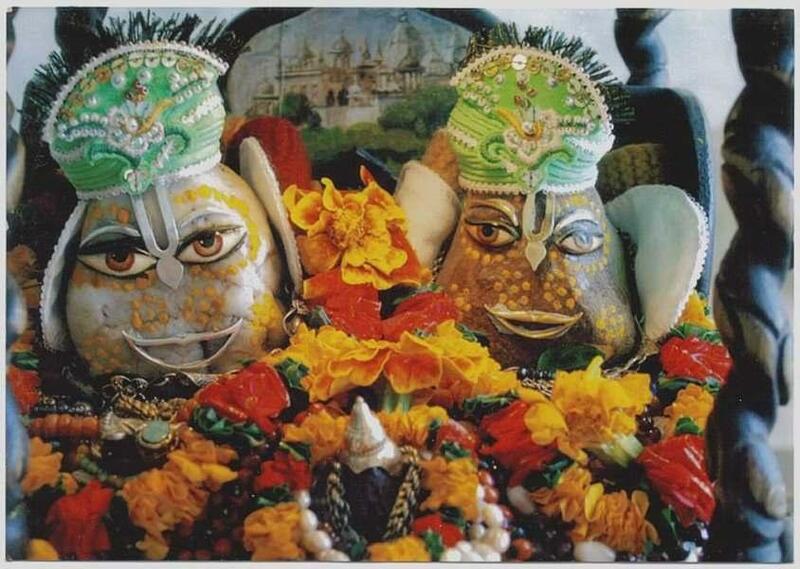 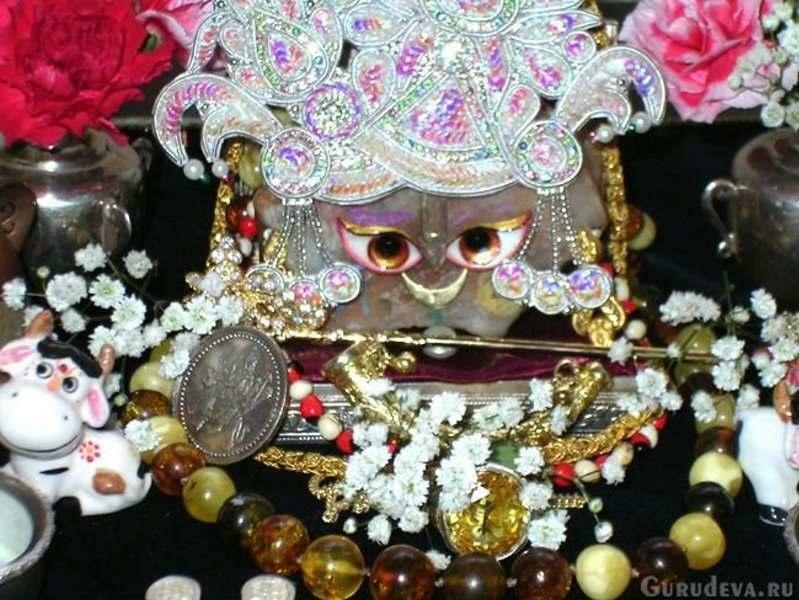 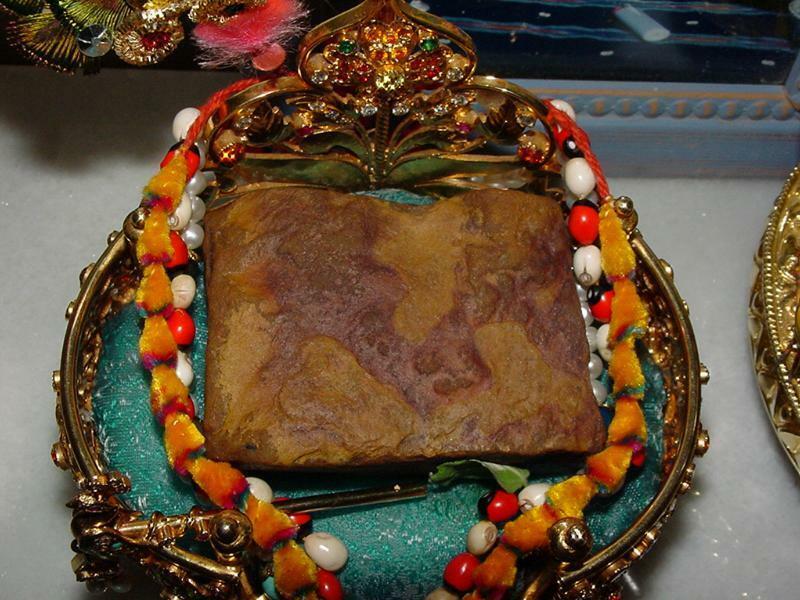 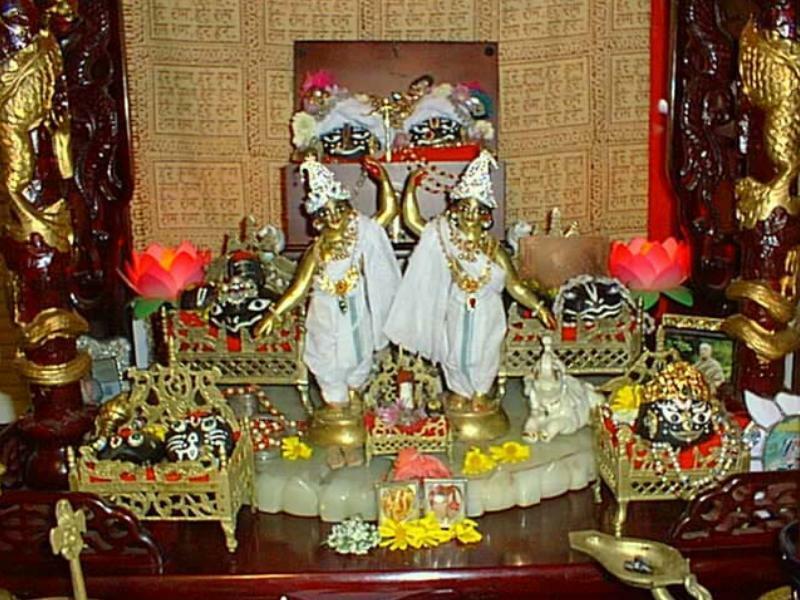 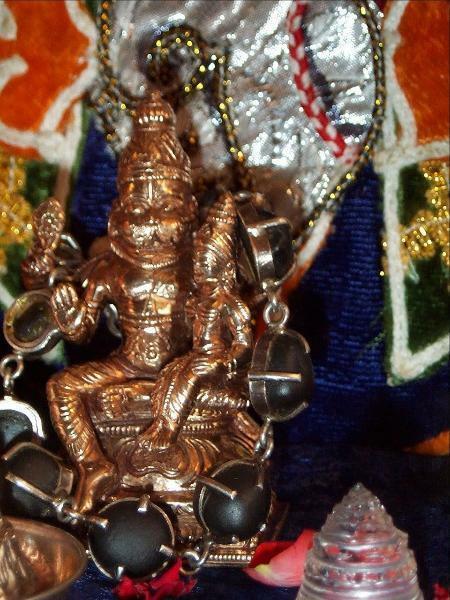 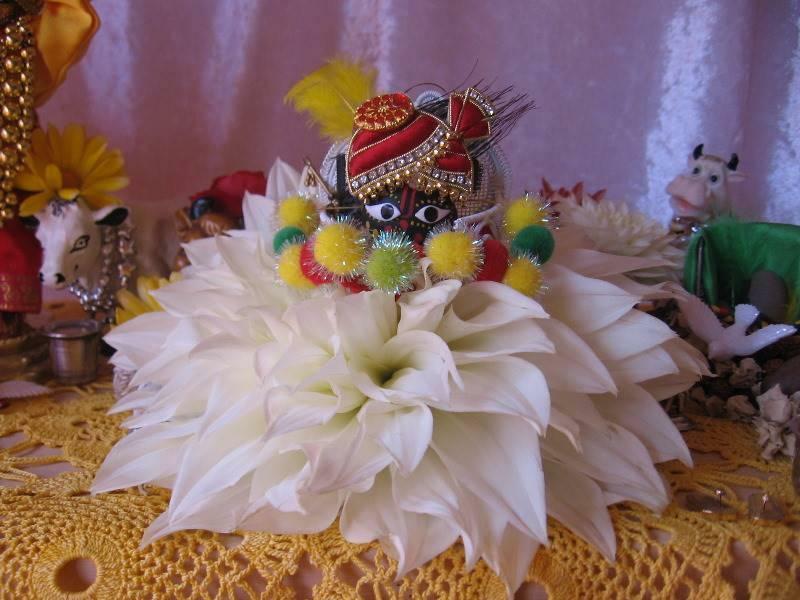 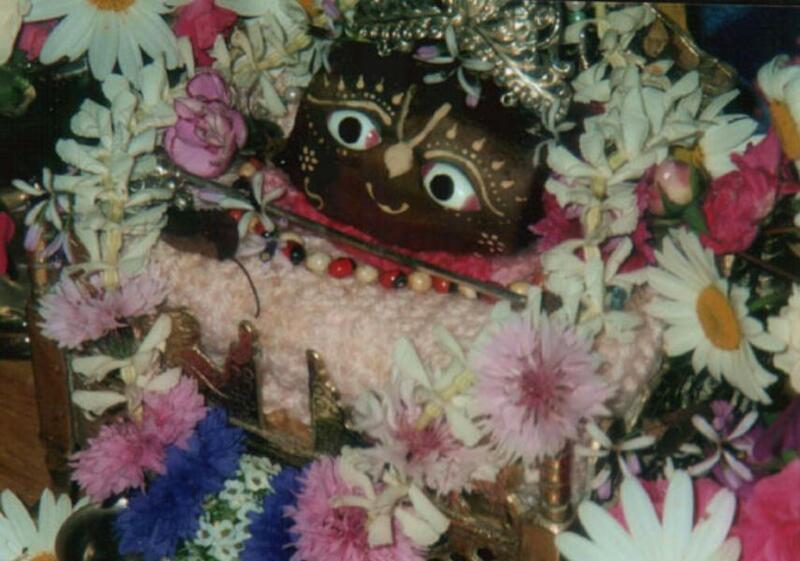 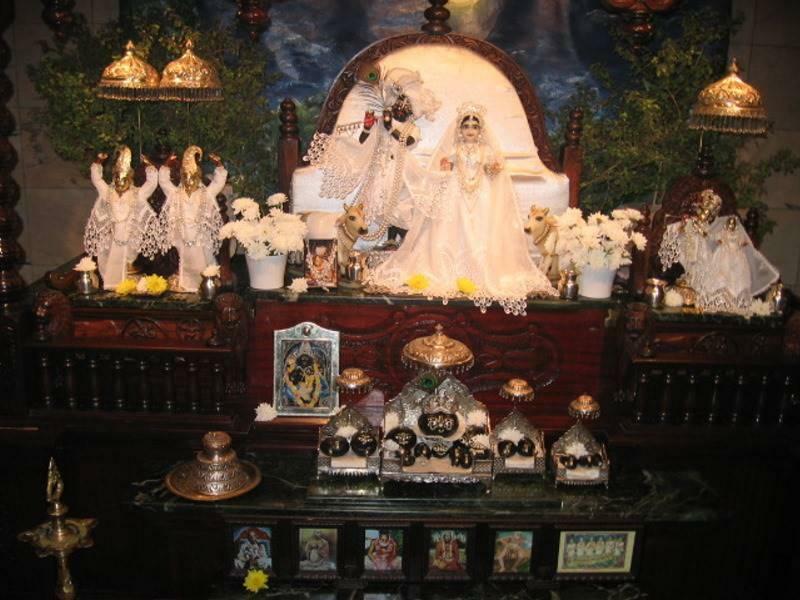 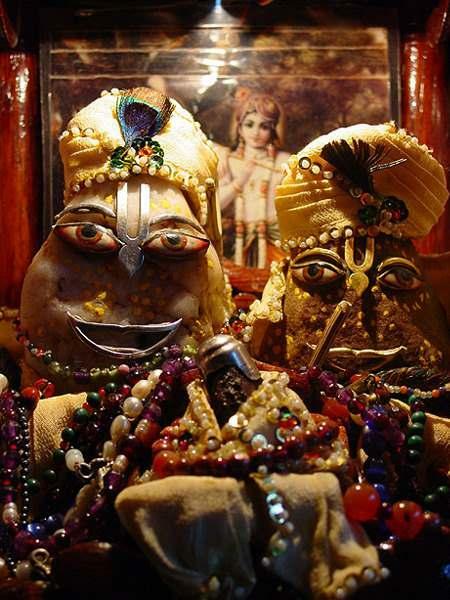 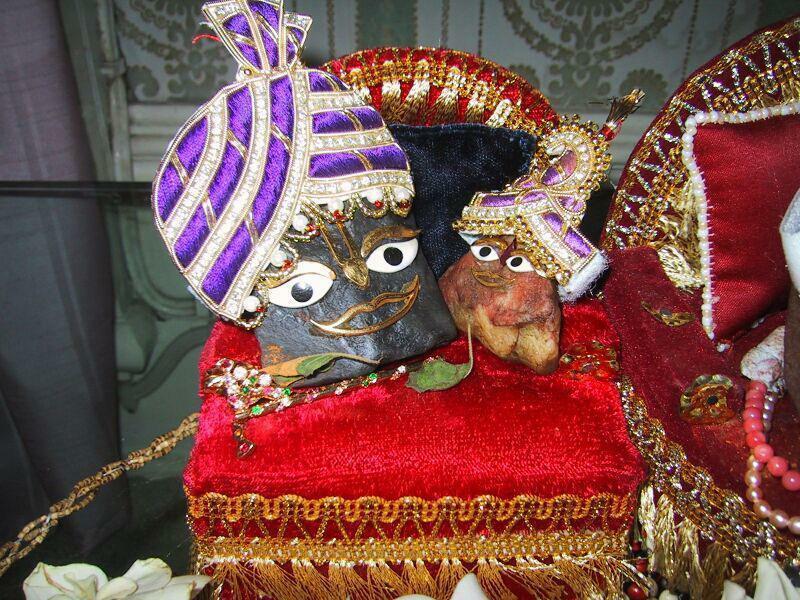 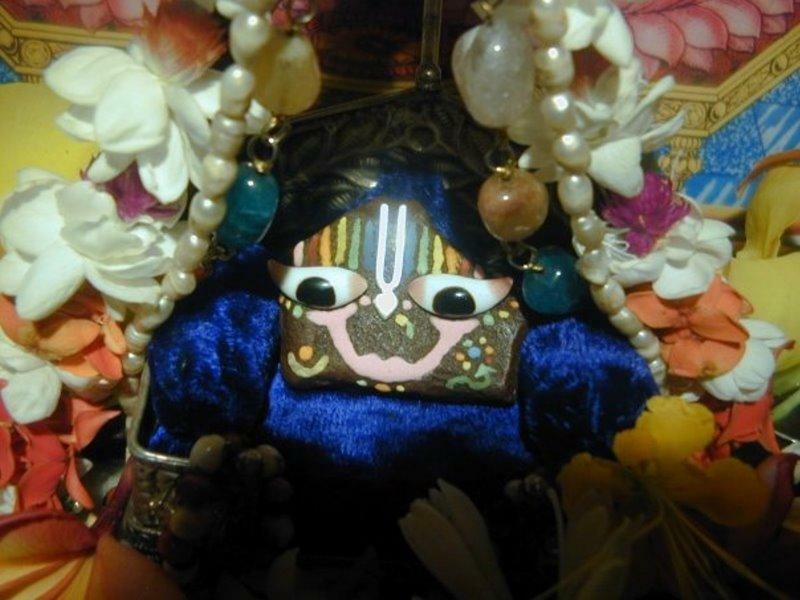 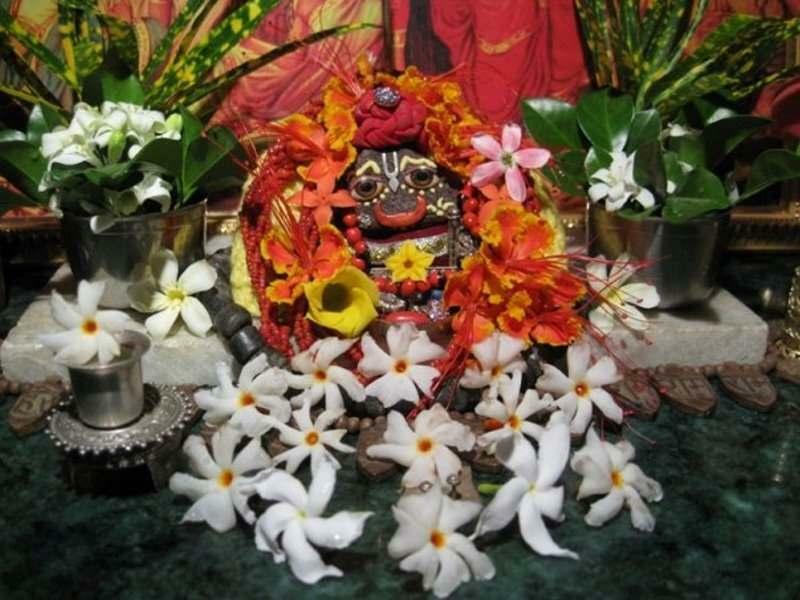 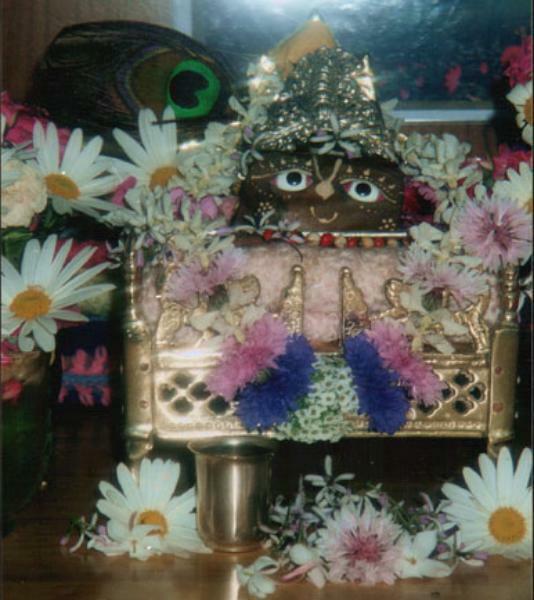 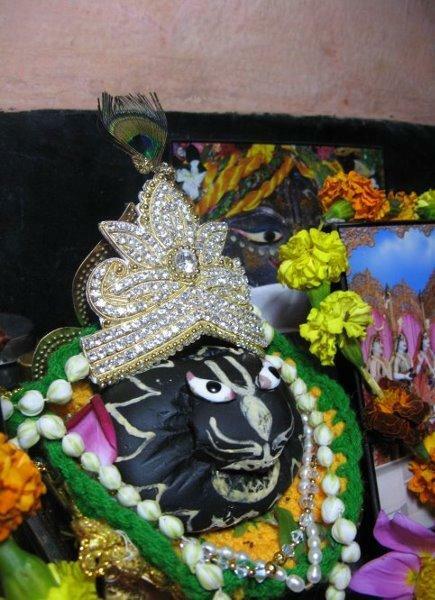 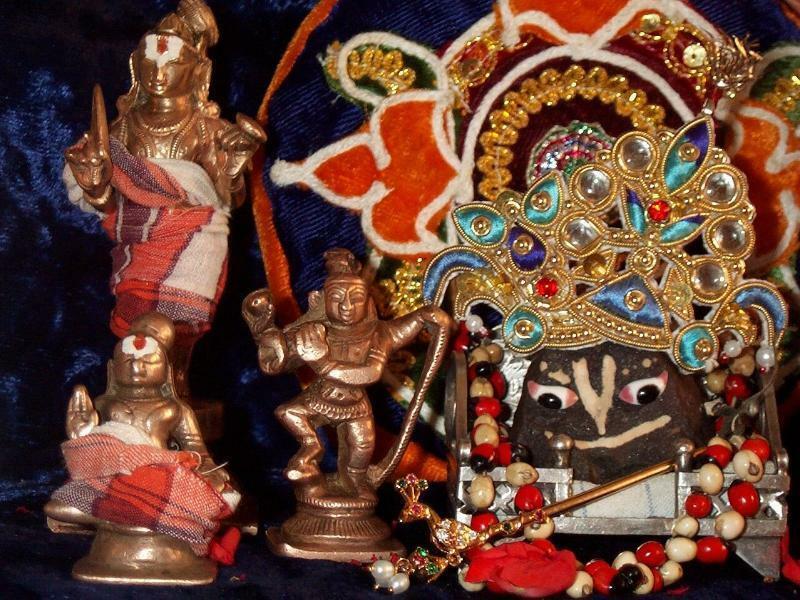 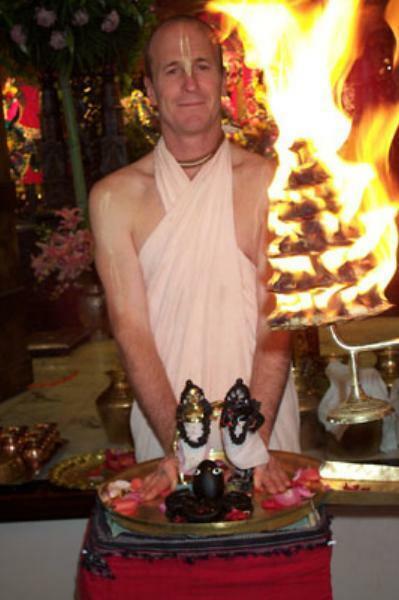 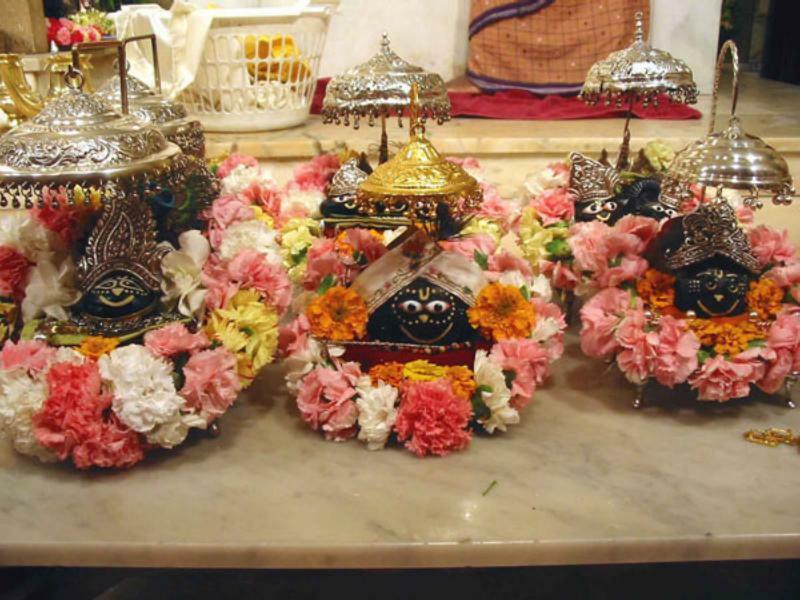 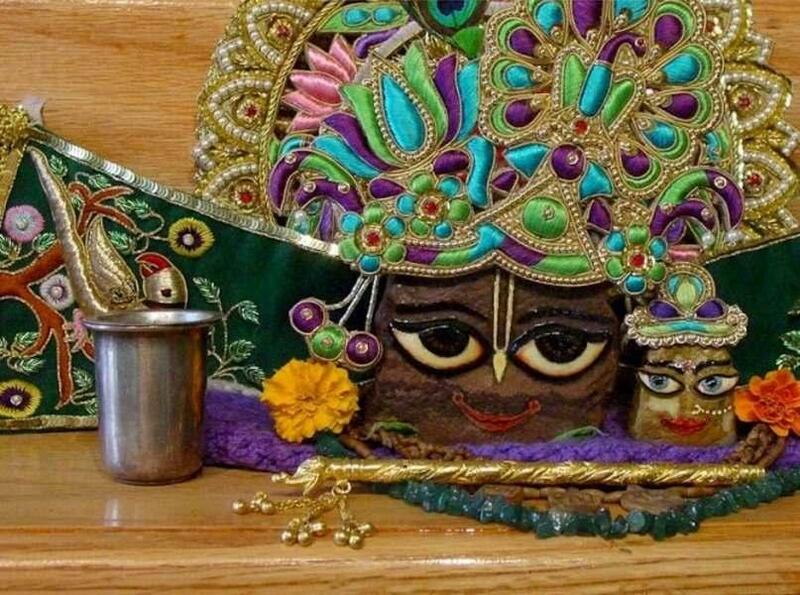 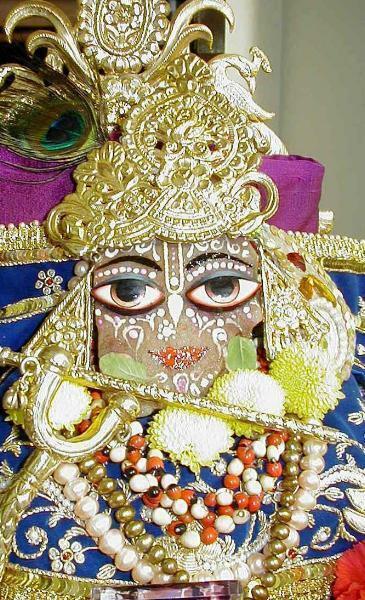 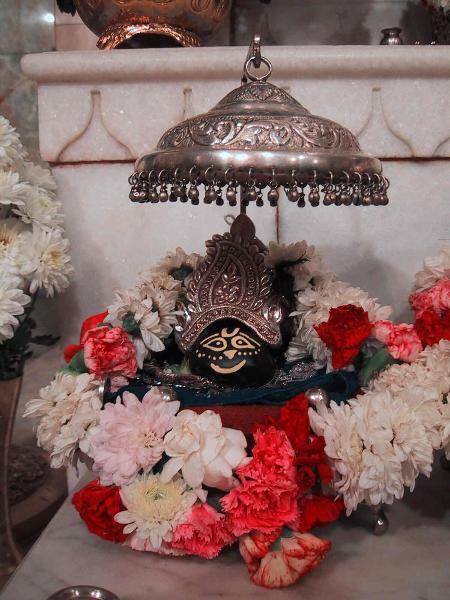 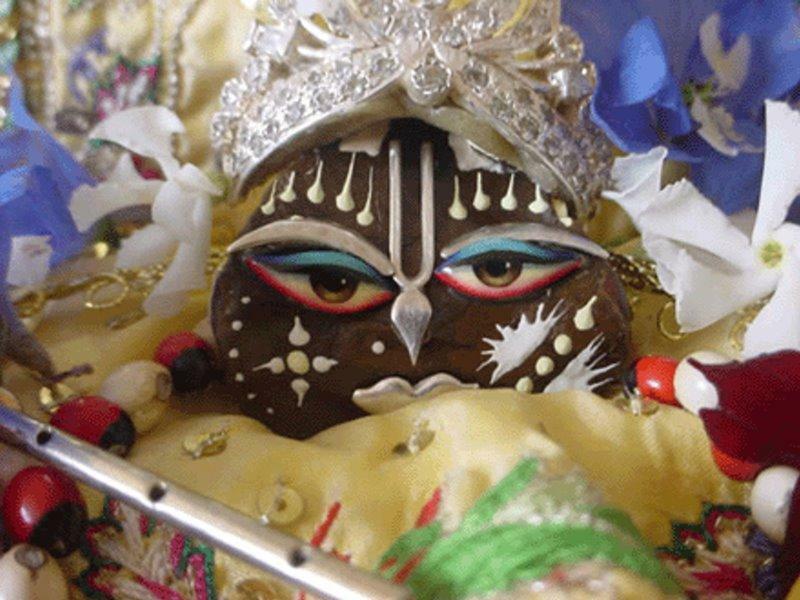 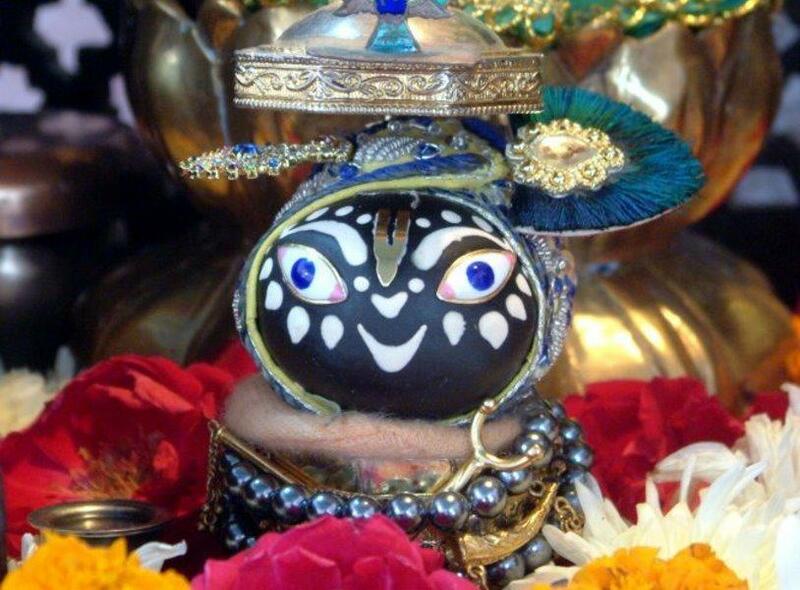 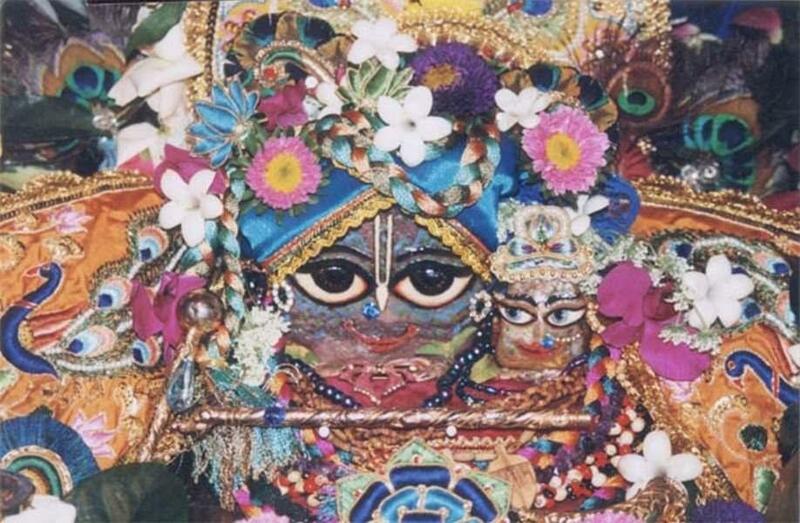 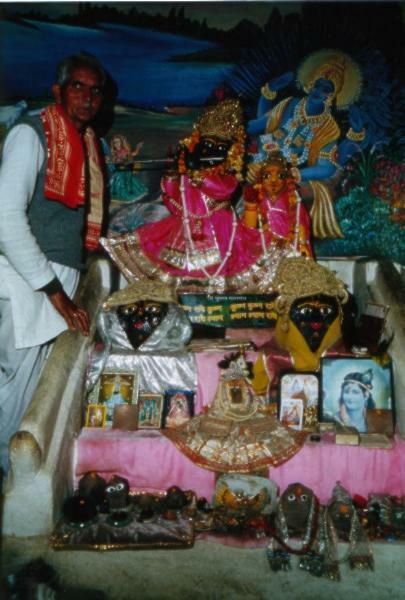 It is an excellent service for devotees of Lord Narayana. 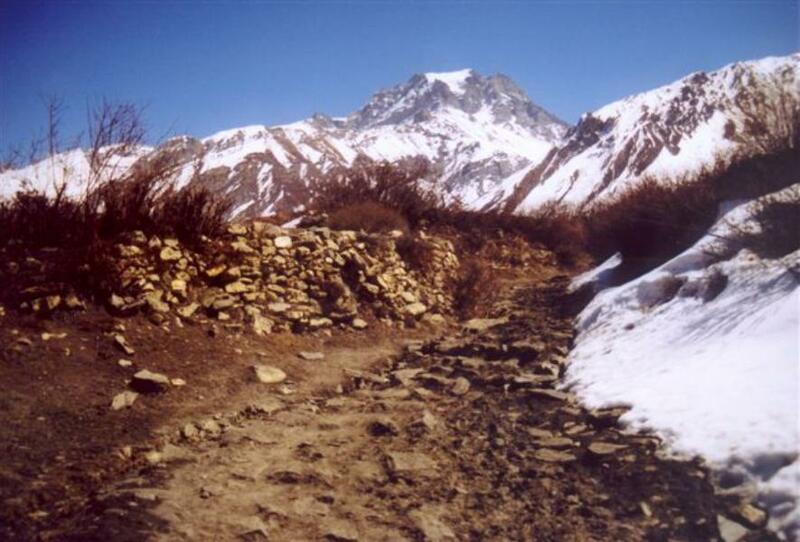 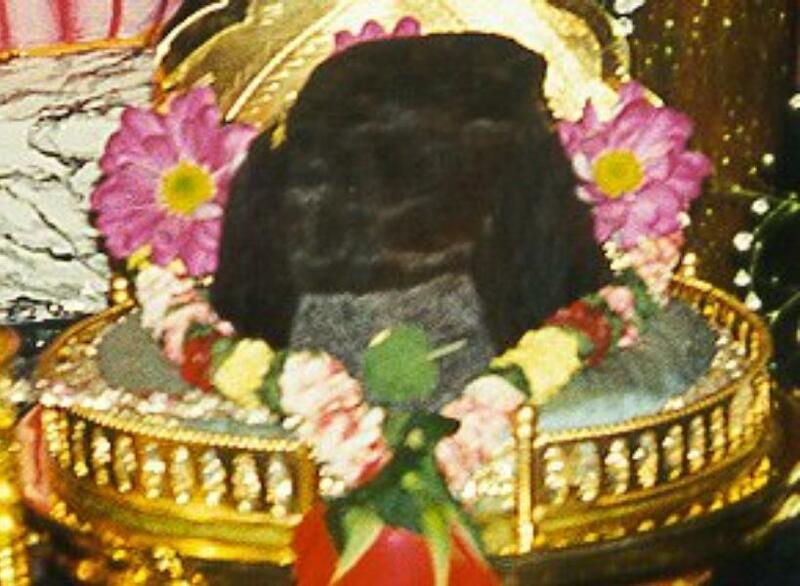 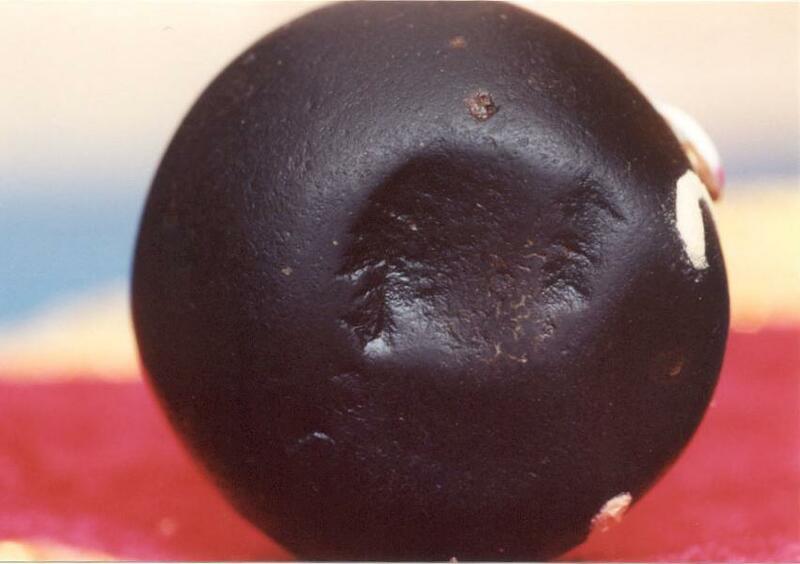 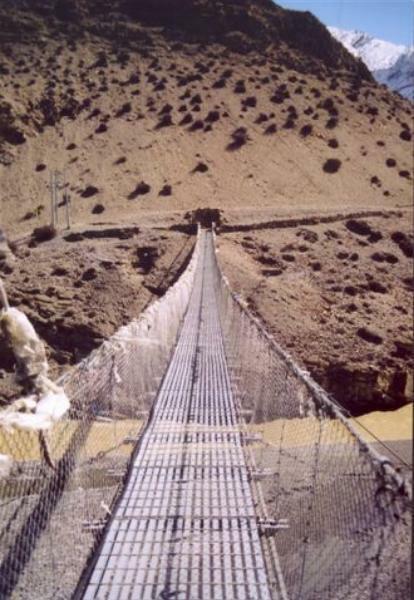 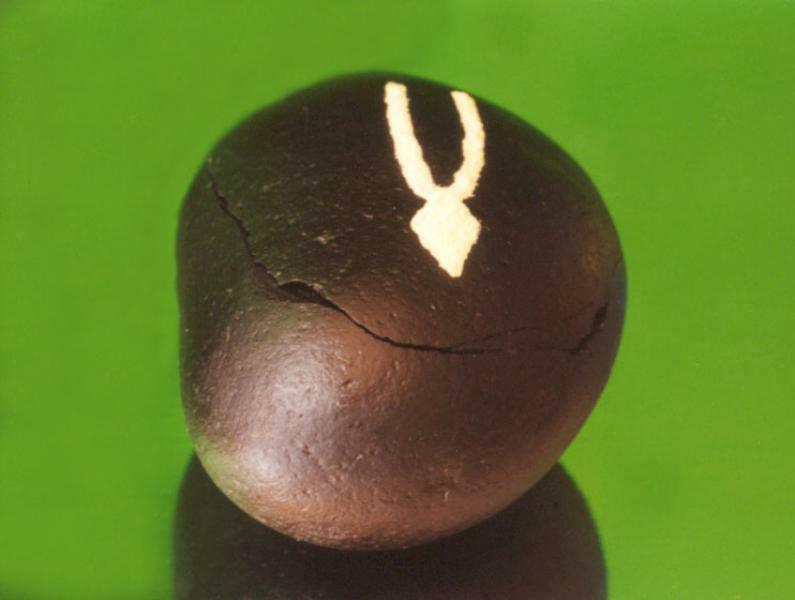 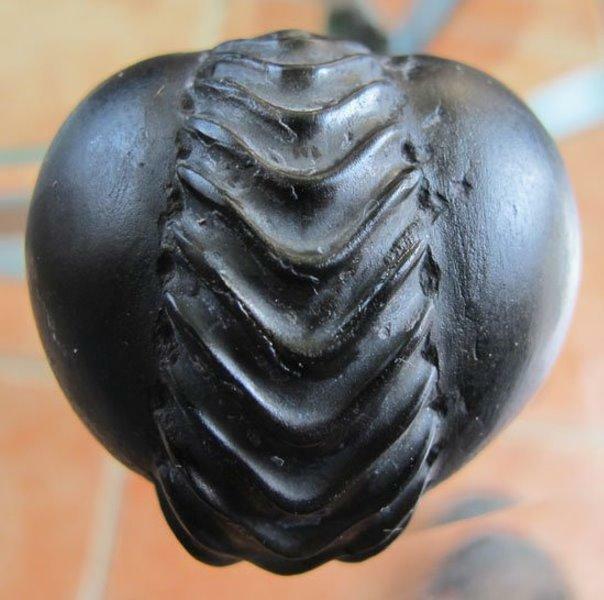 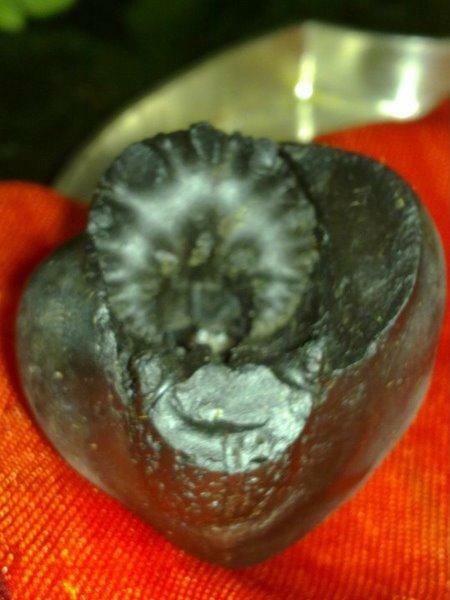 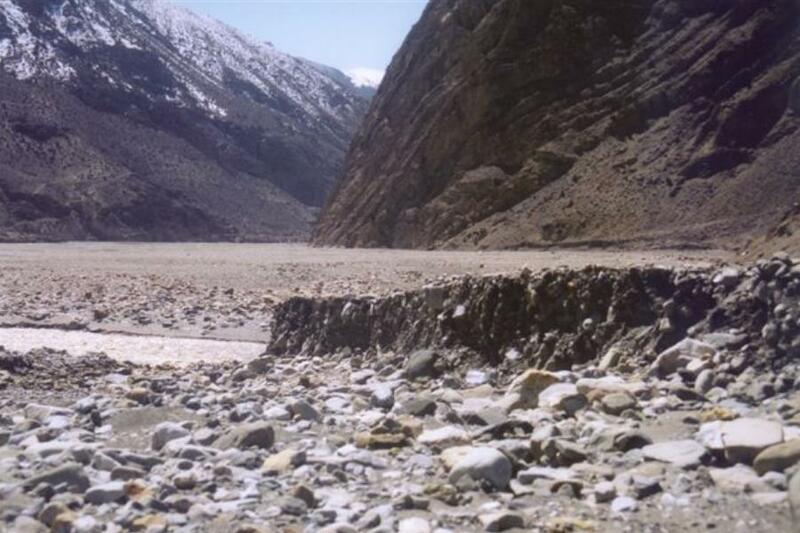 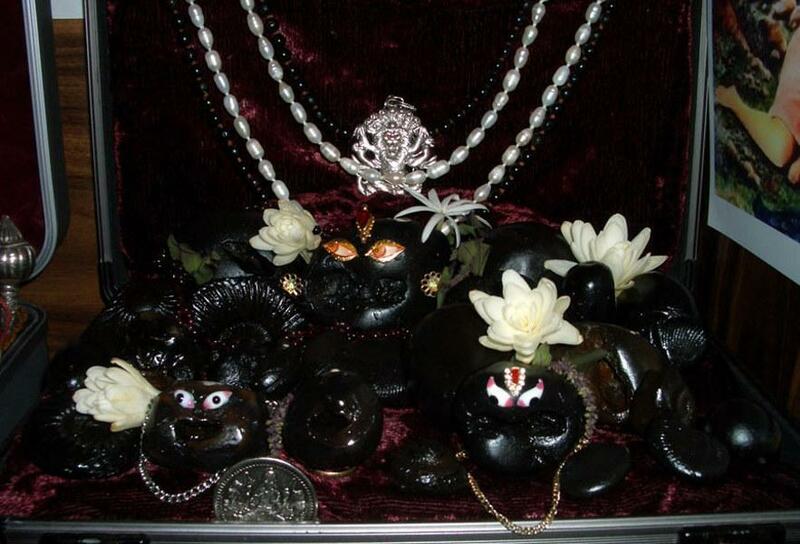 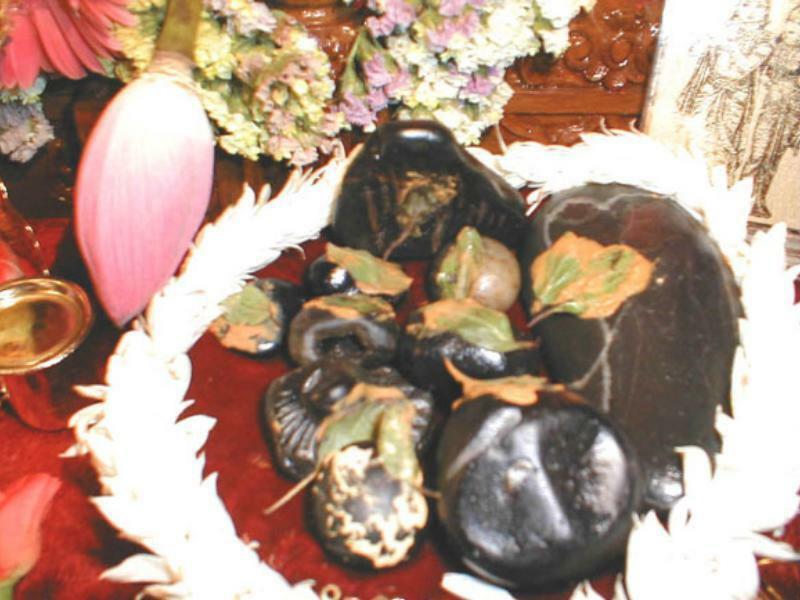 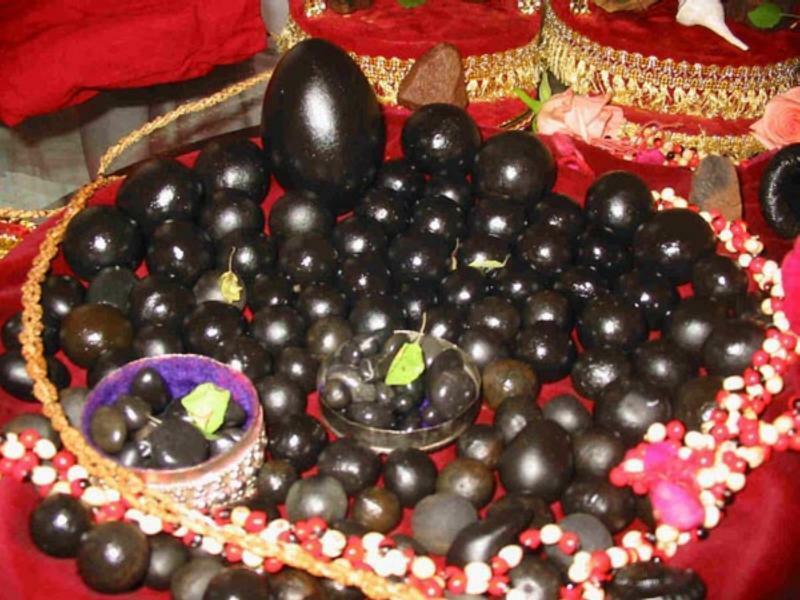 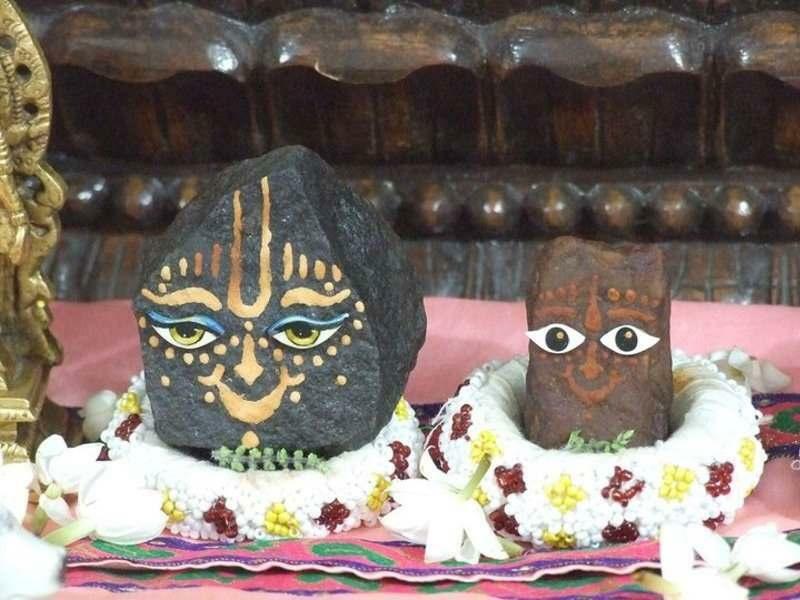 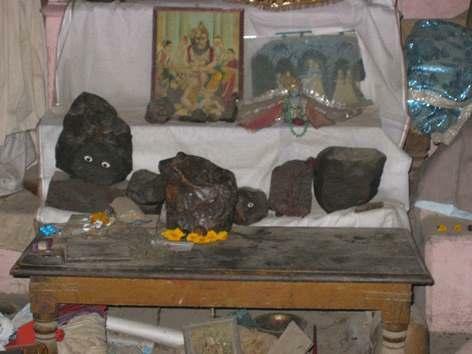 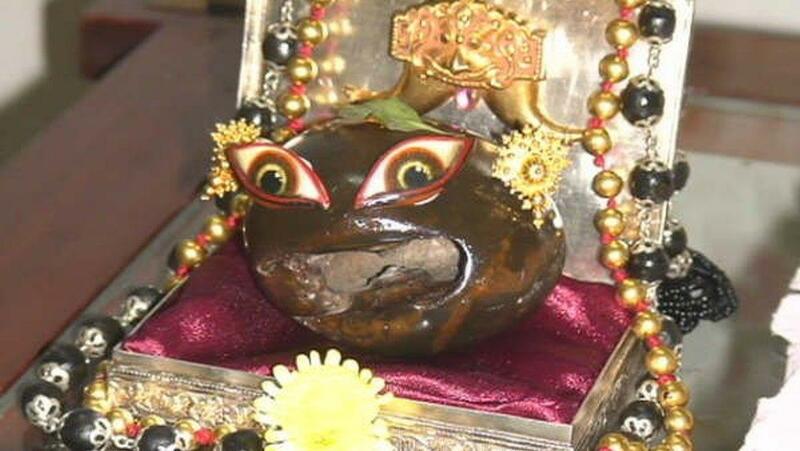 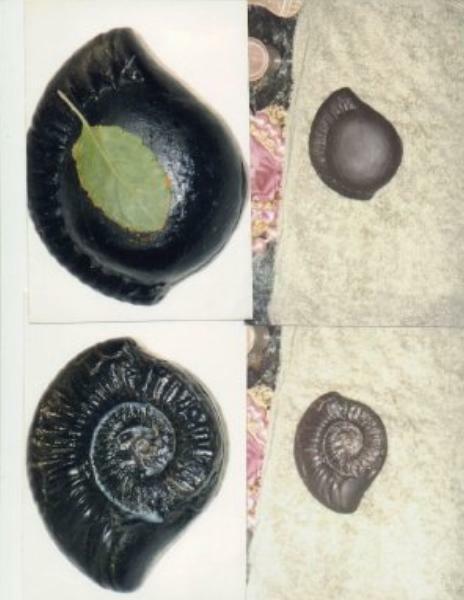 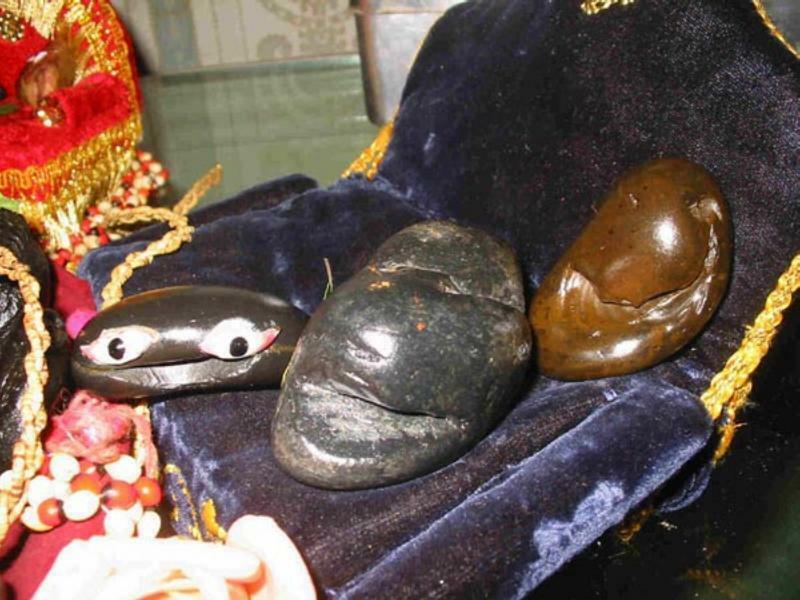 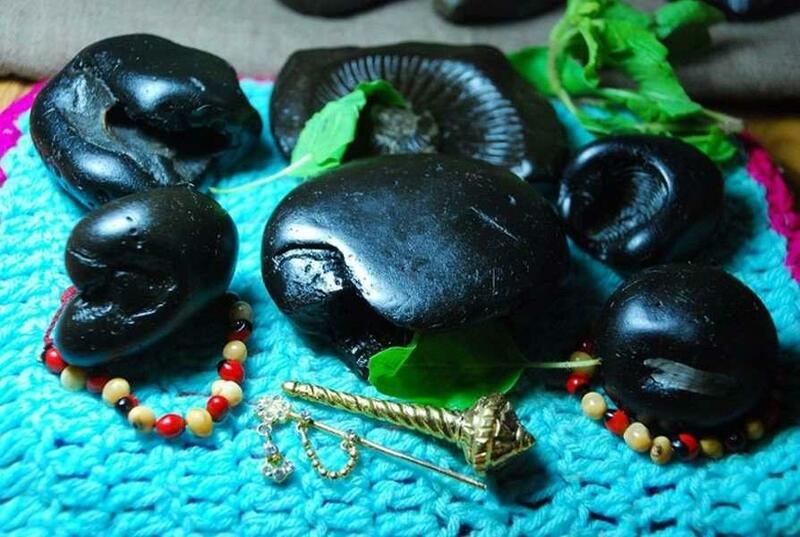 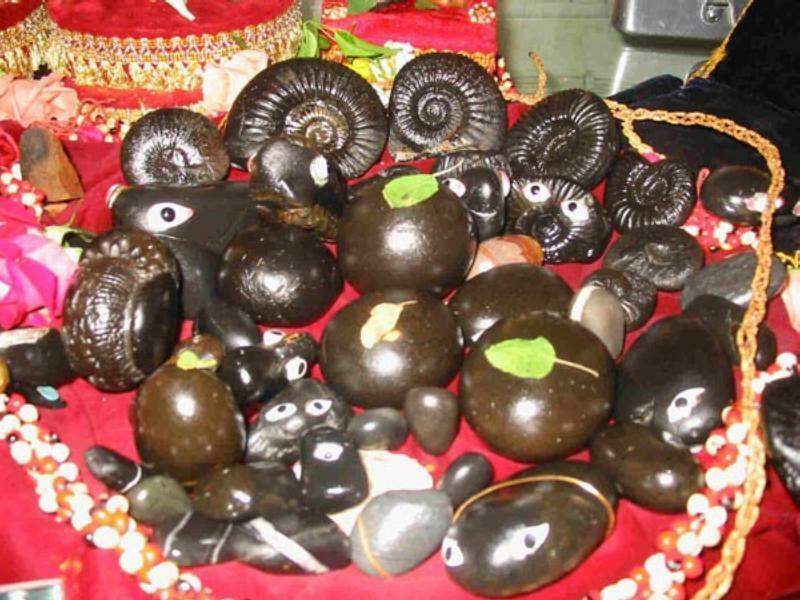 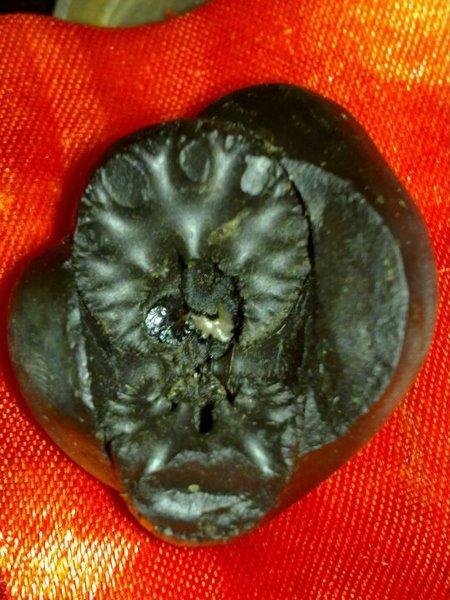 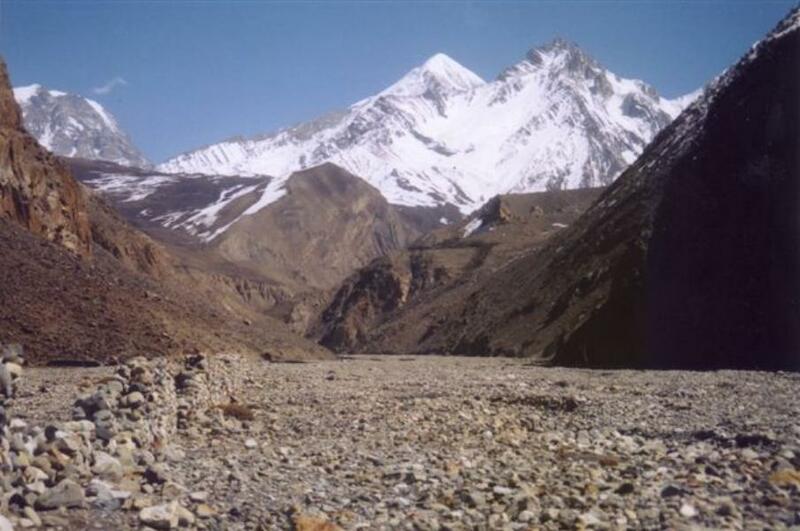 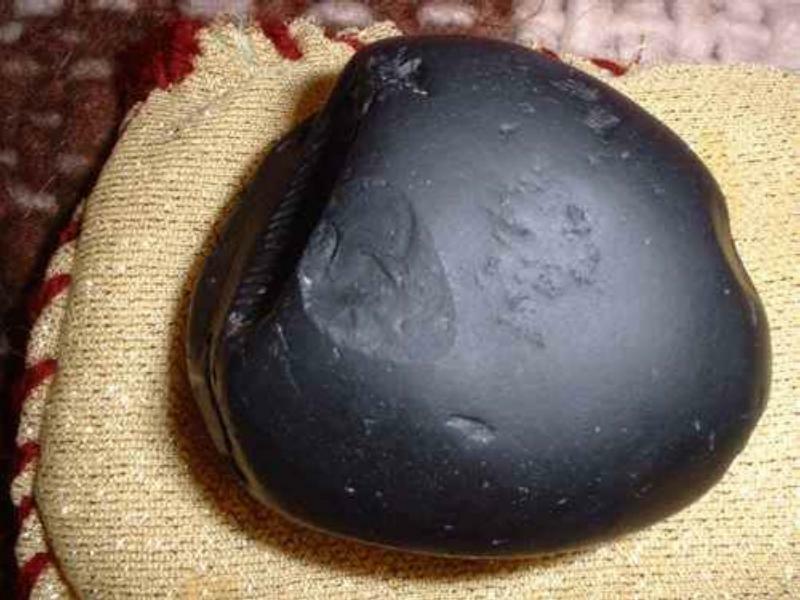 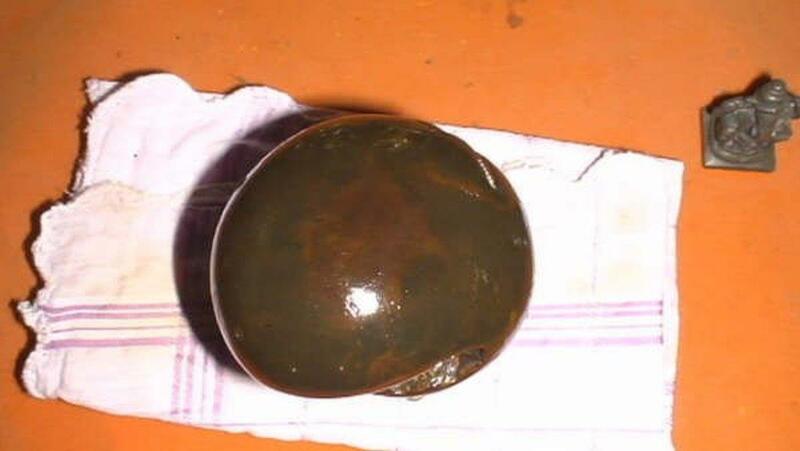 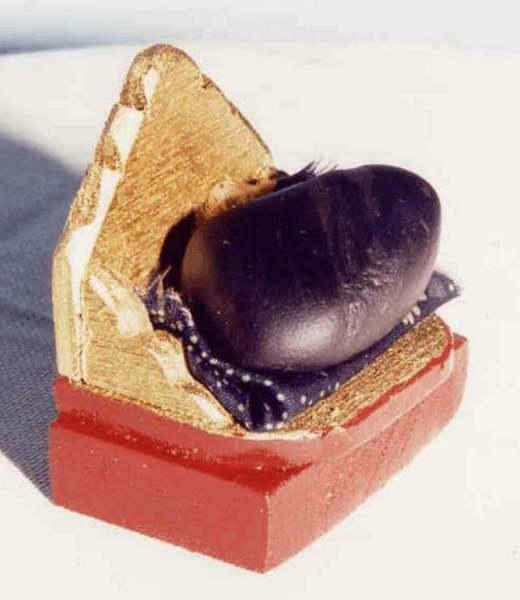 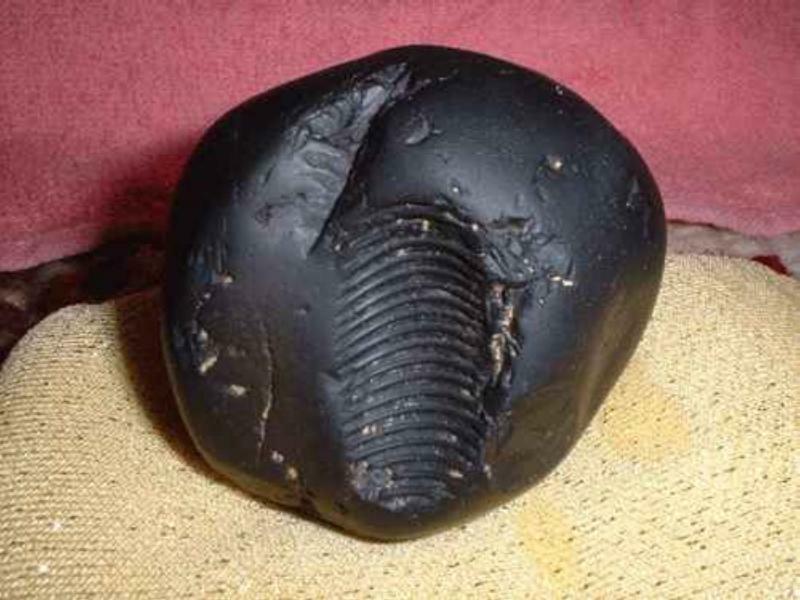 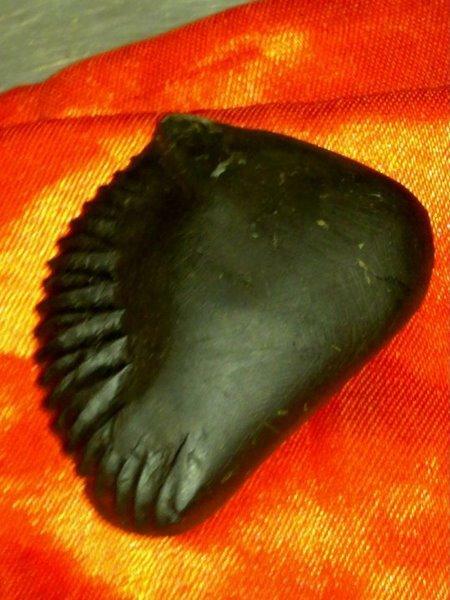 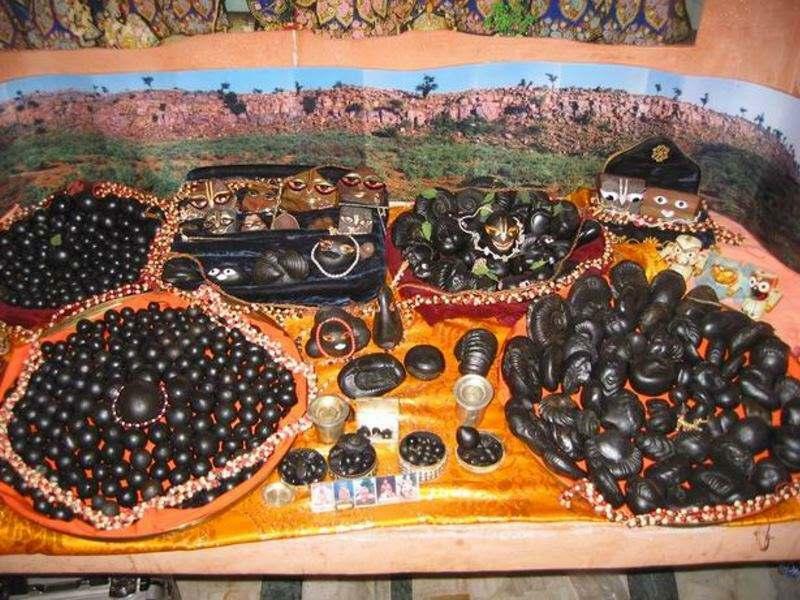 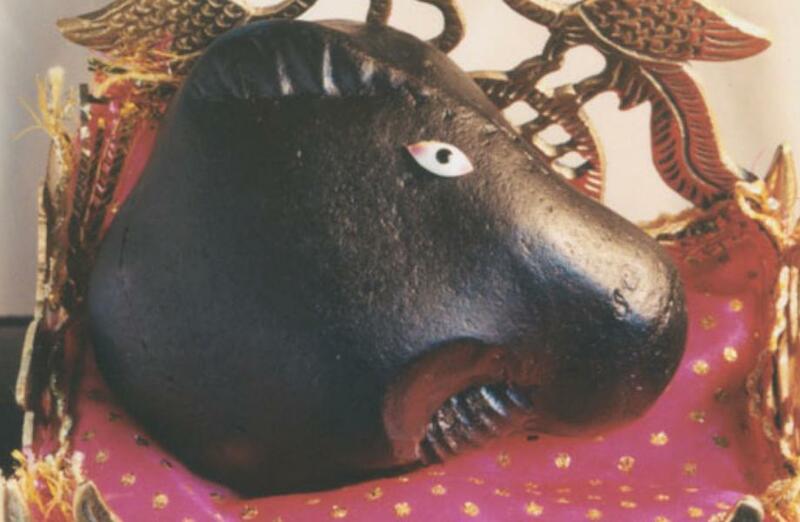 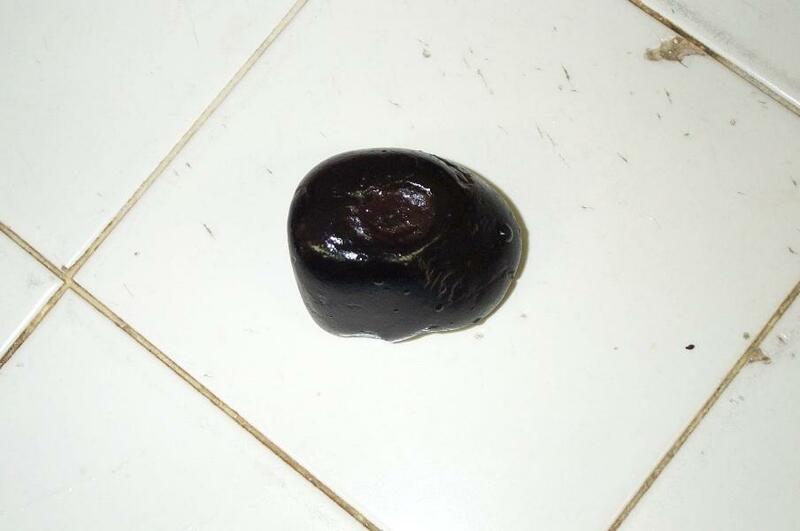 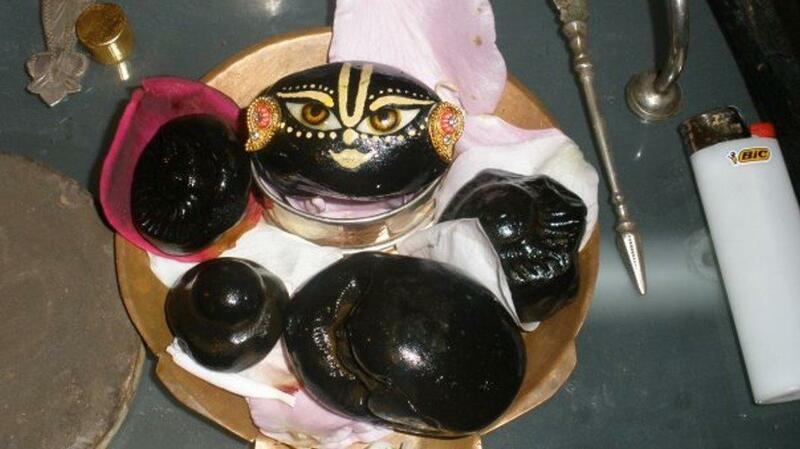 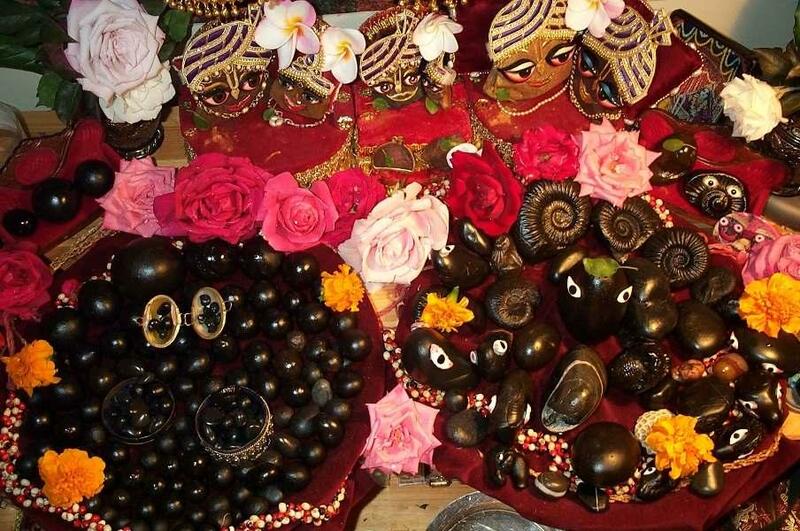 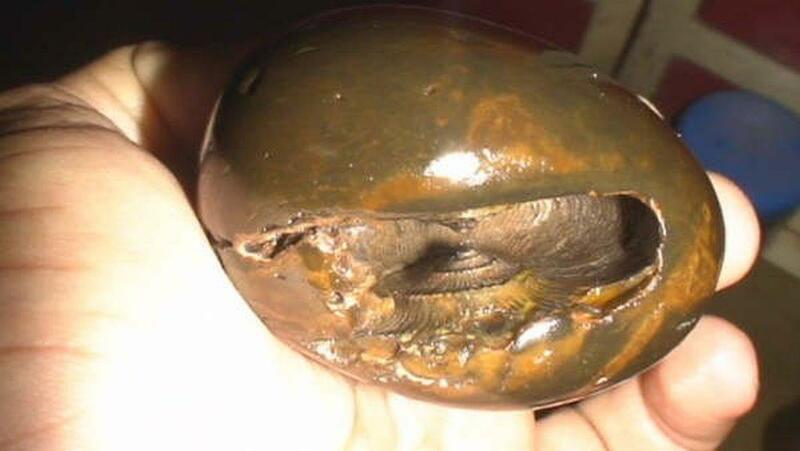 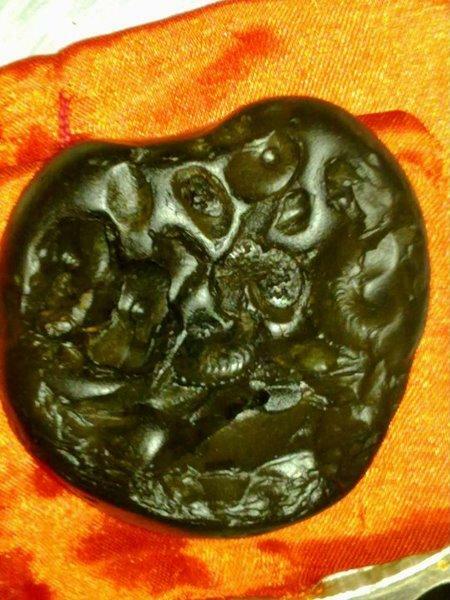 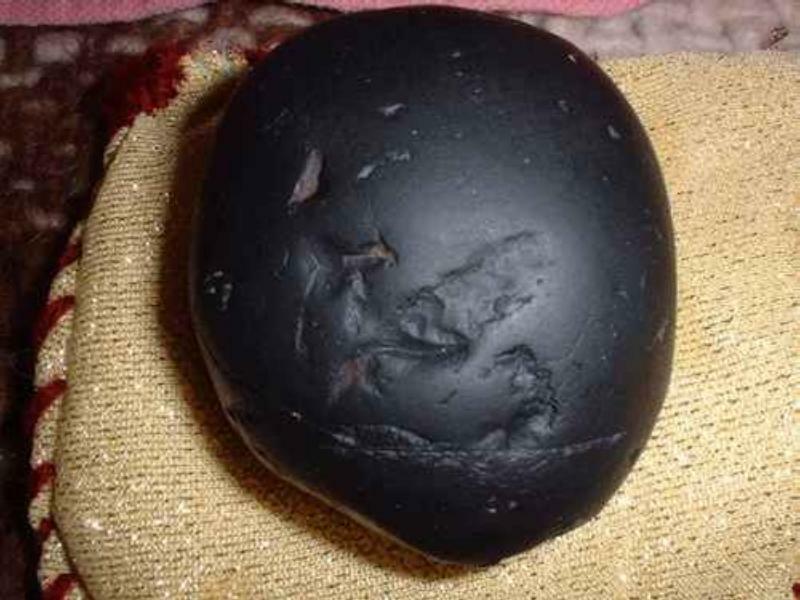 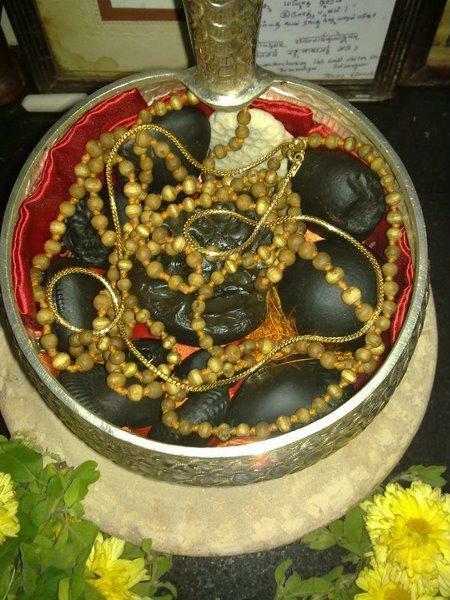 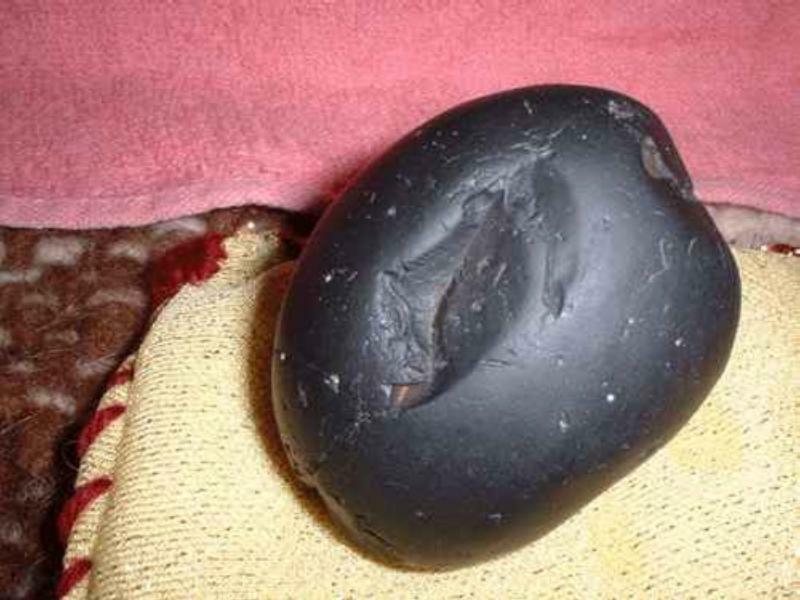 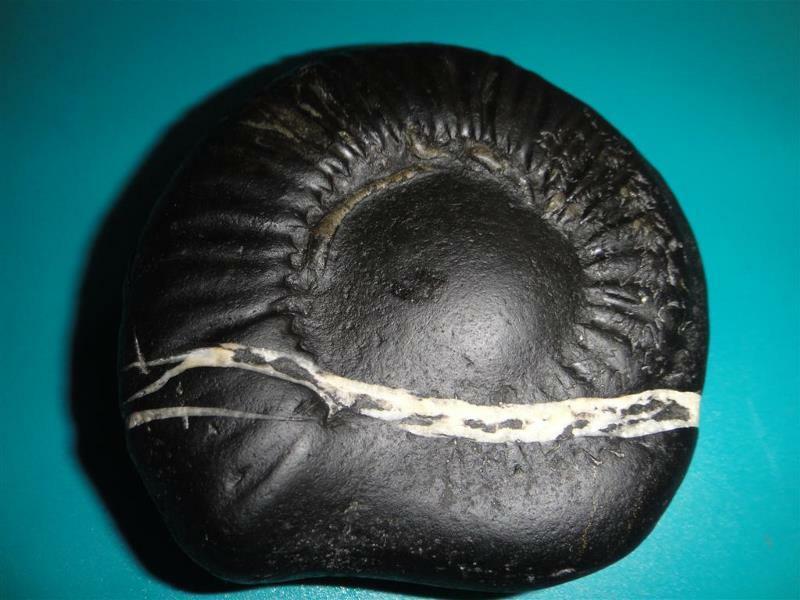 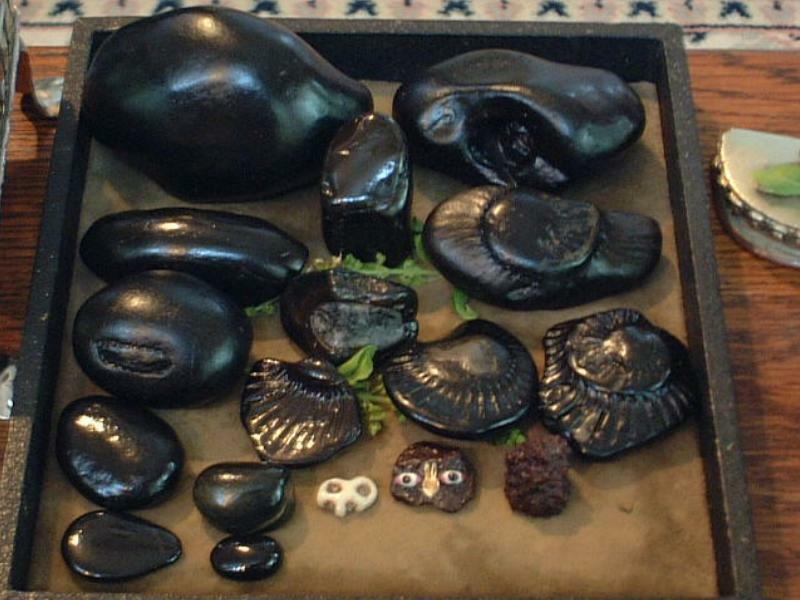 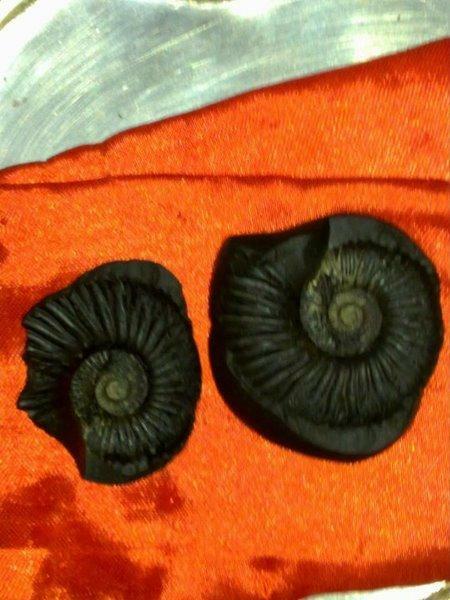 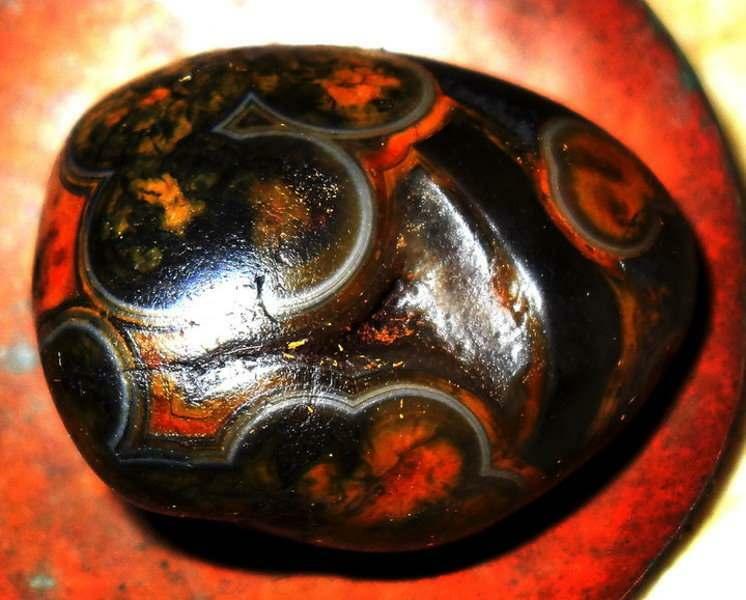 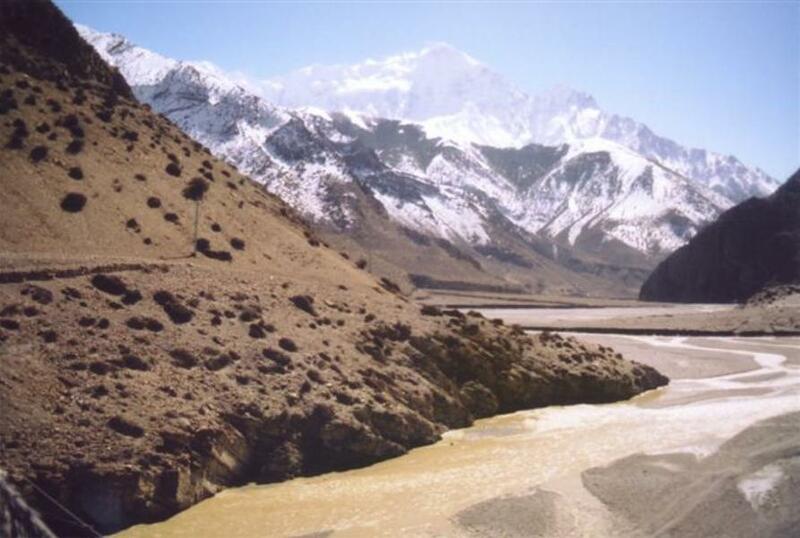 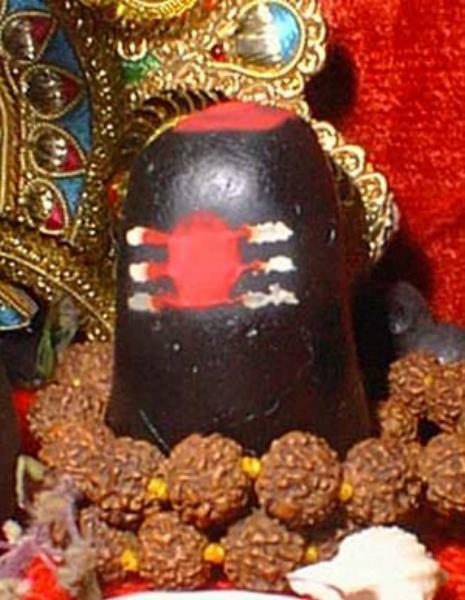 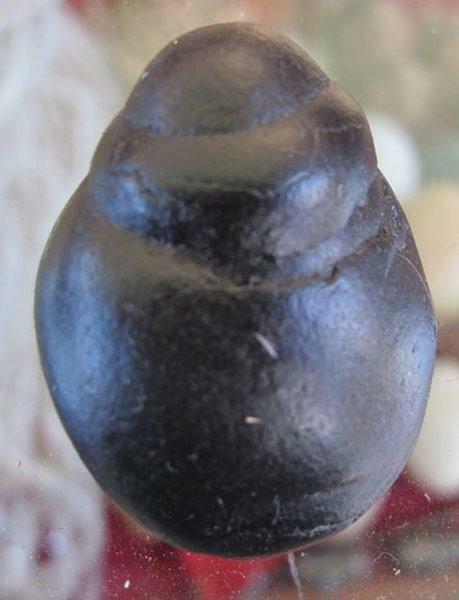 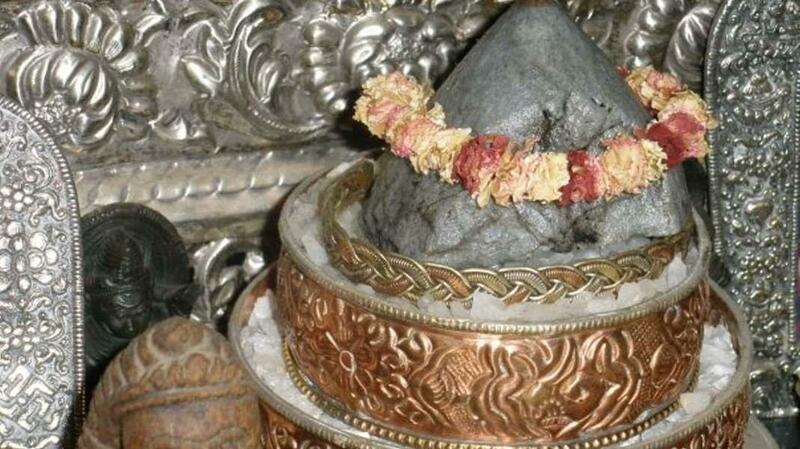 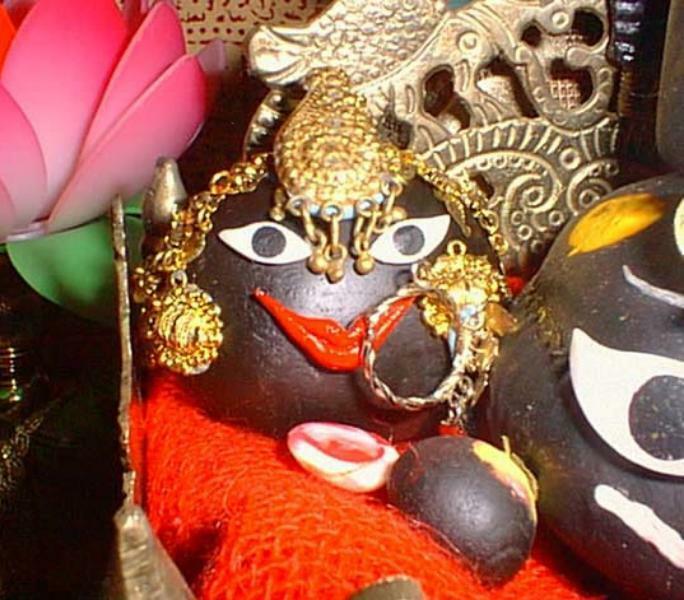 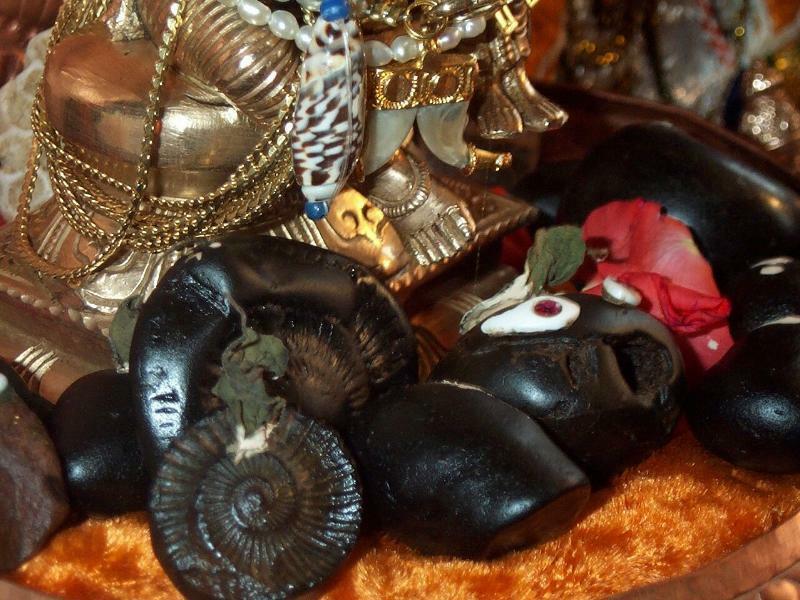 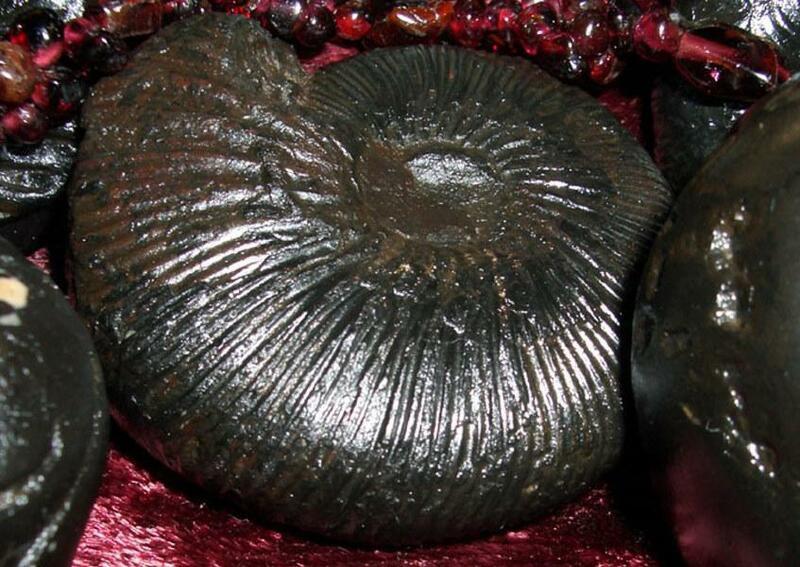 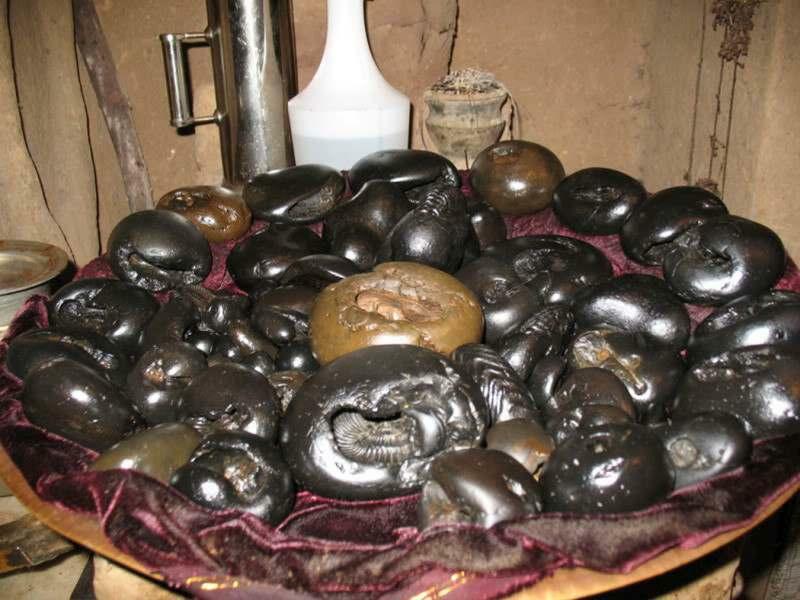 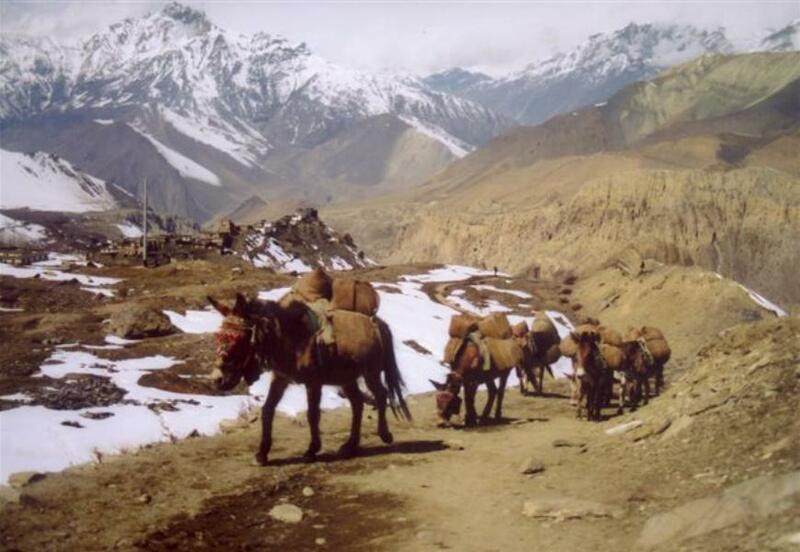 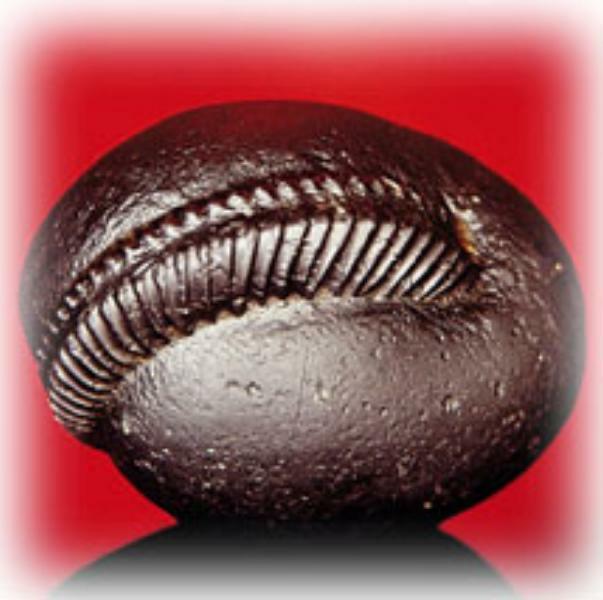 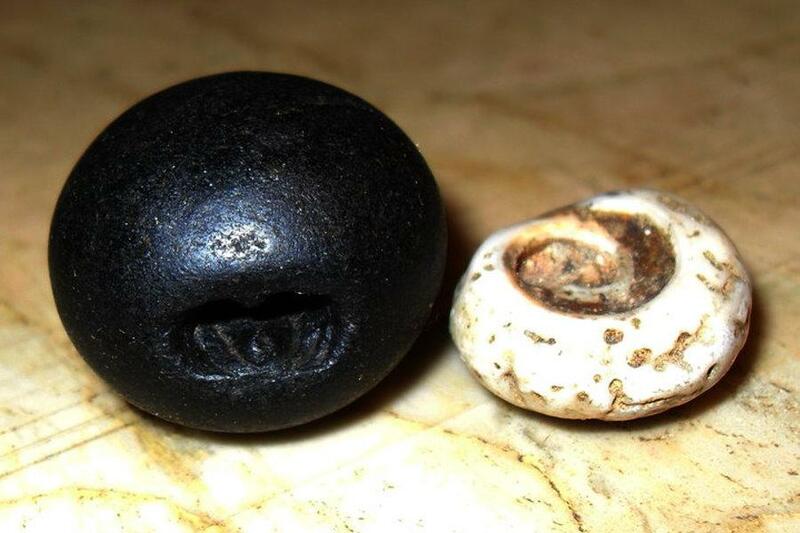 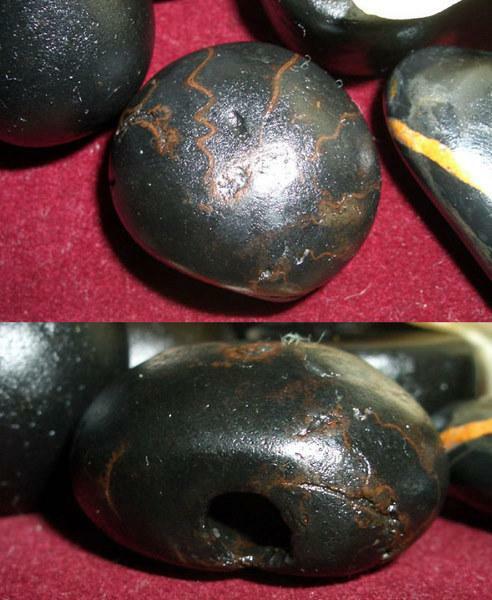 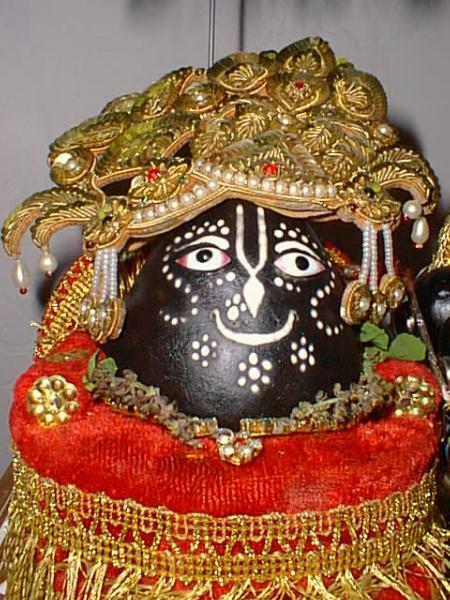 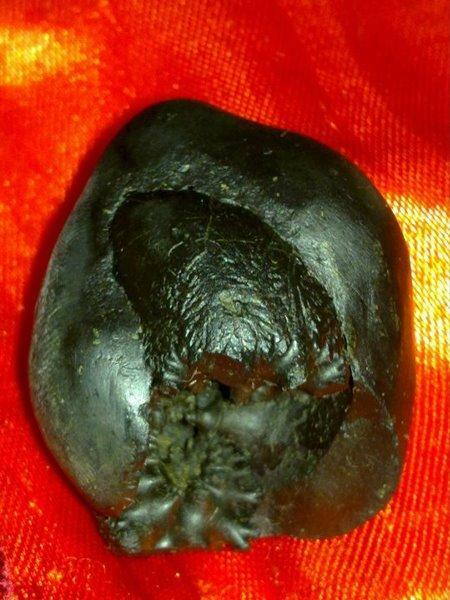 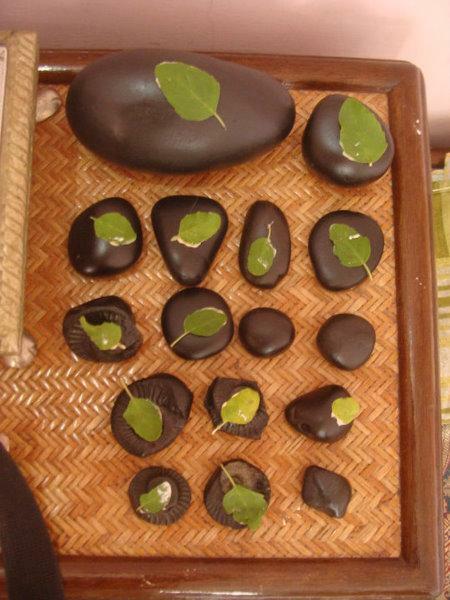 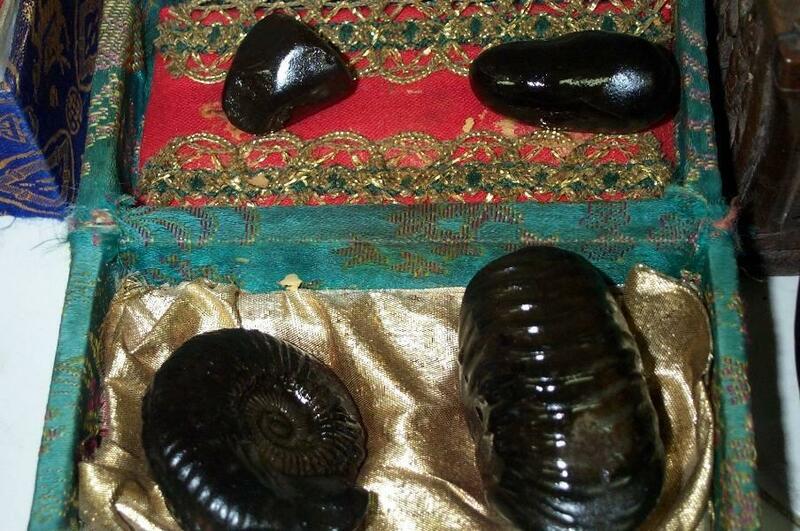 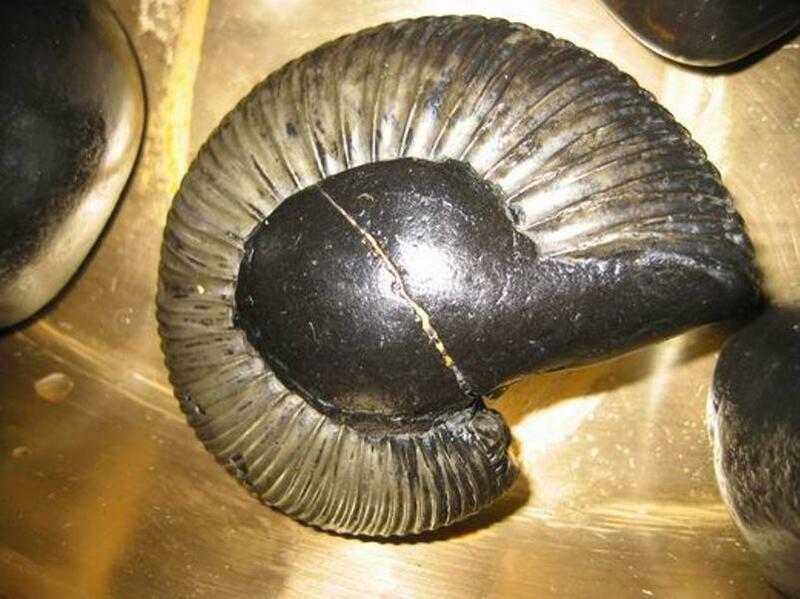 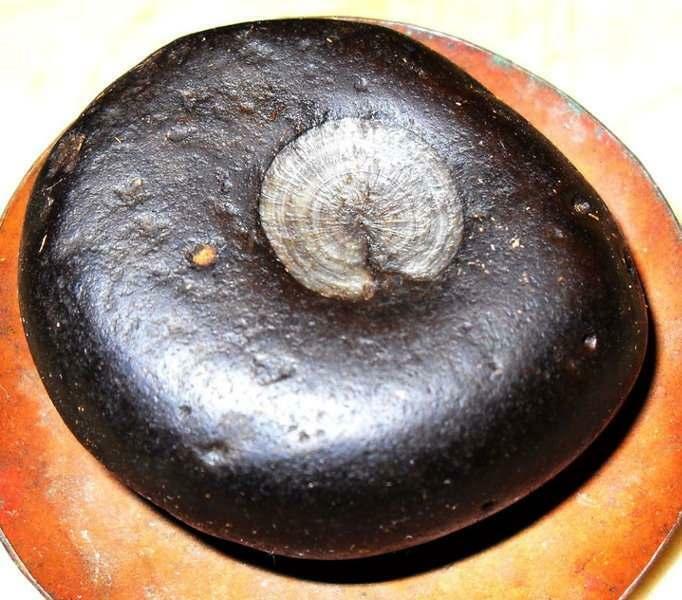 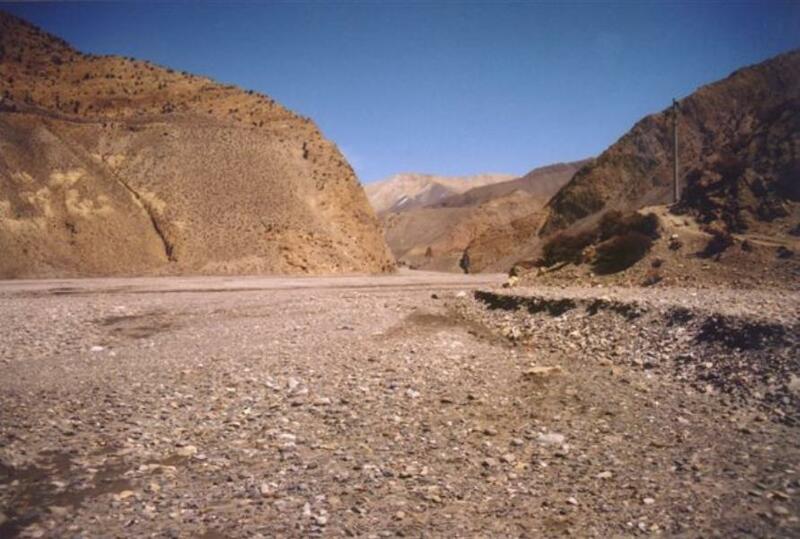 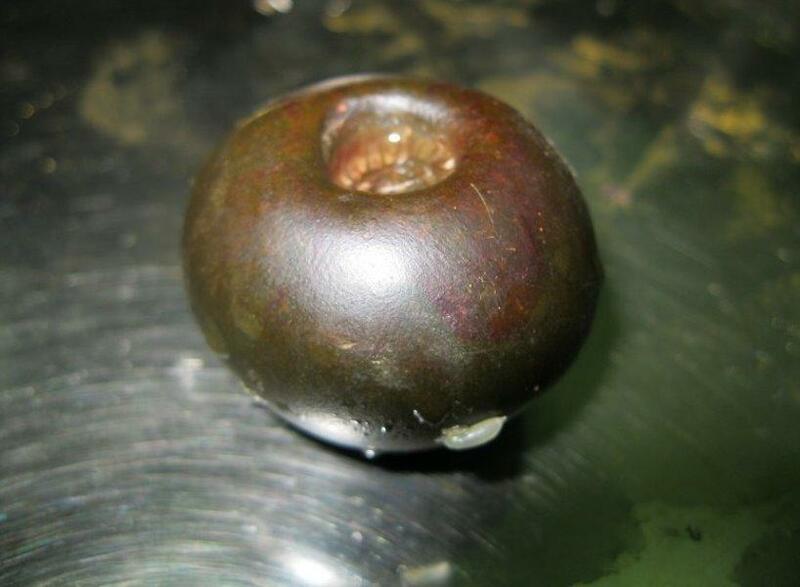 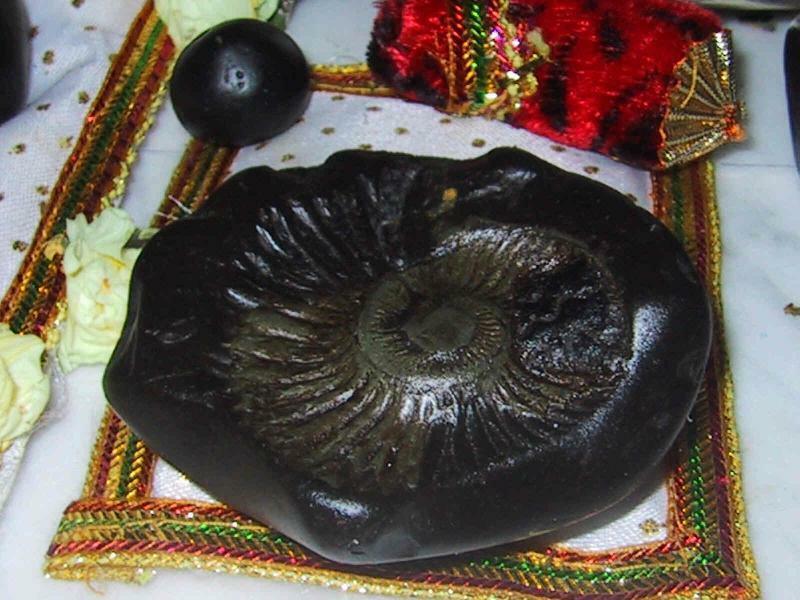 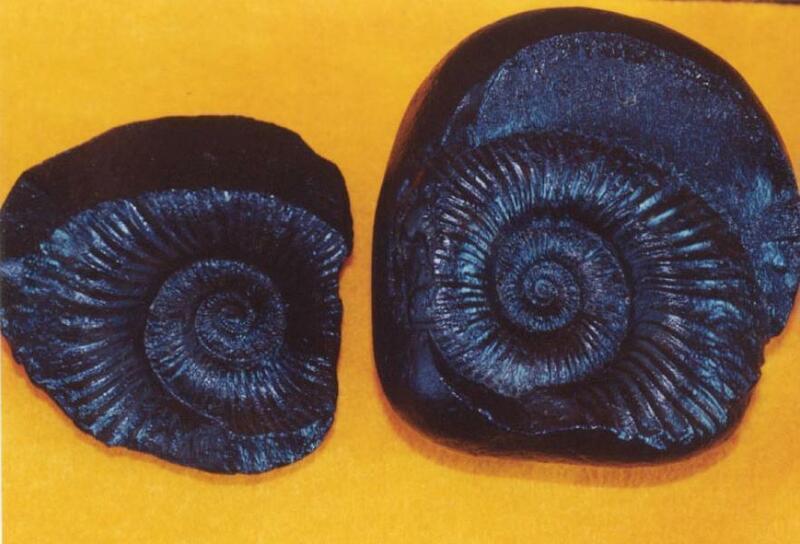 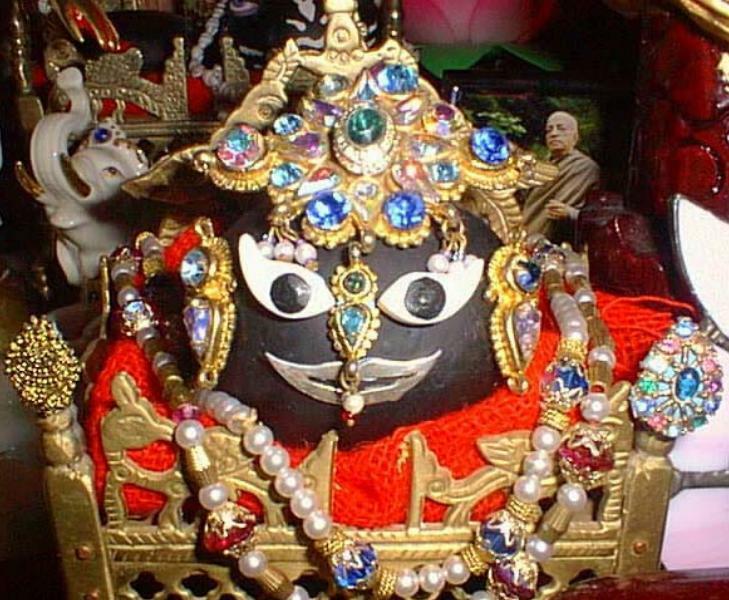 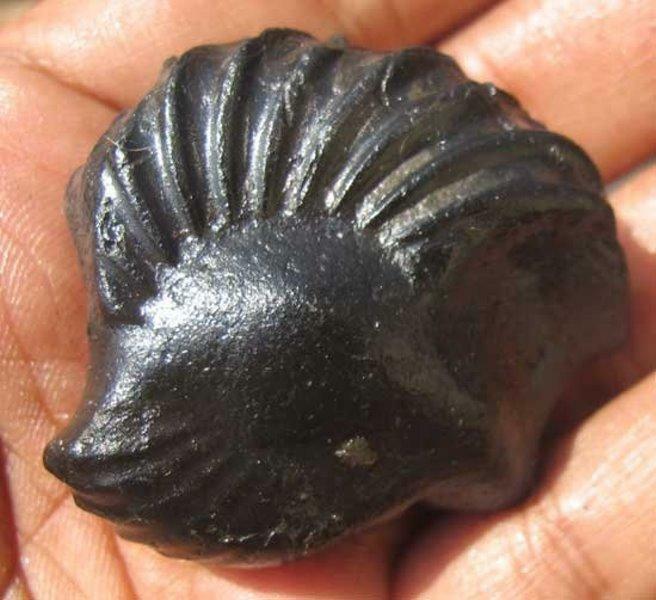 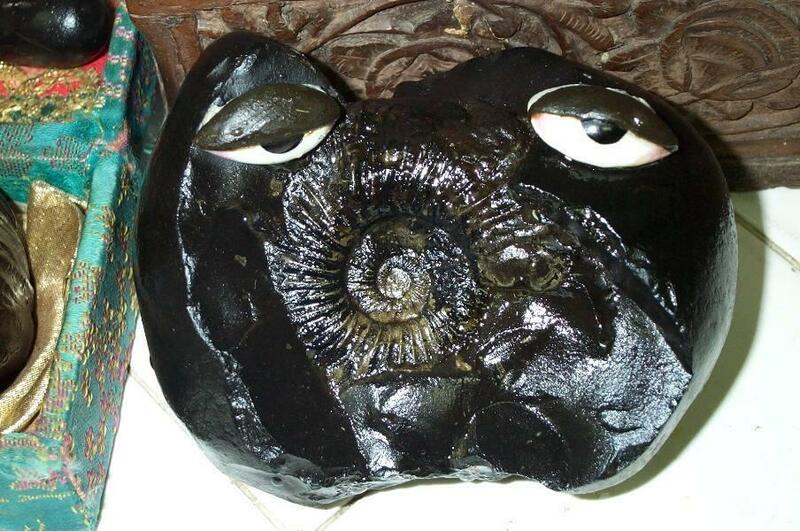 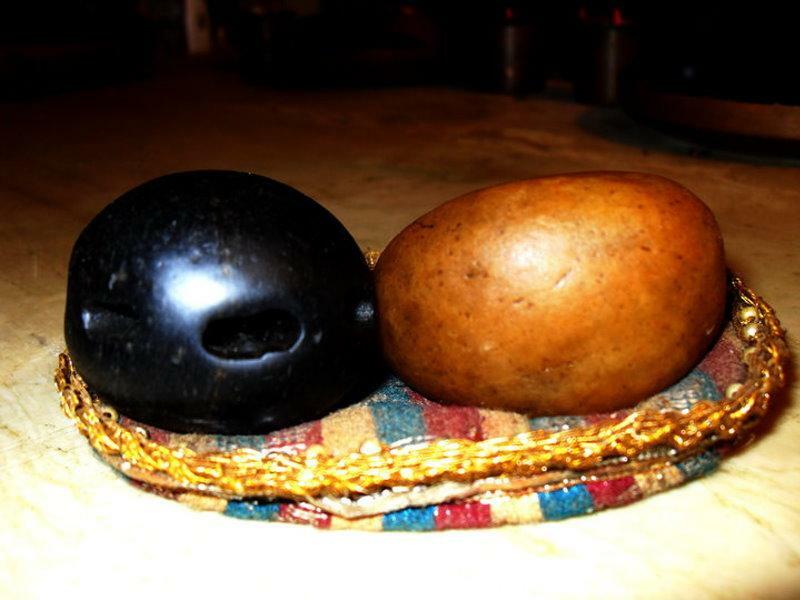 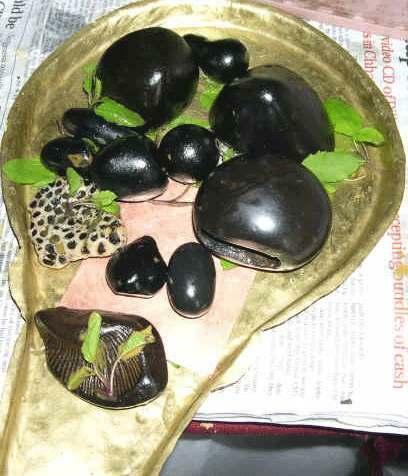 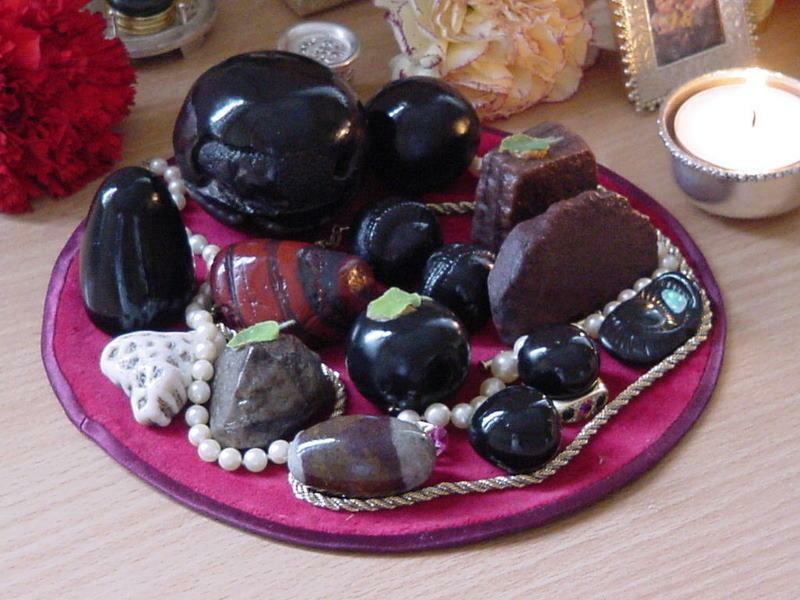 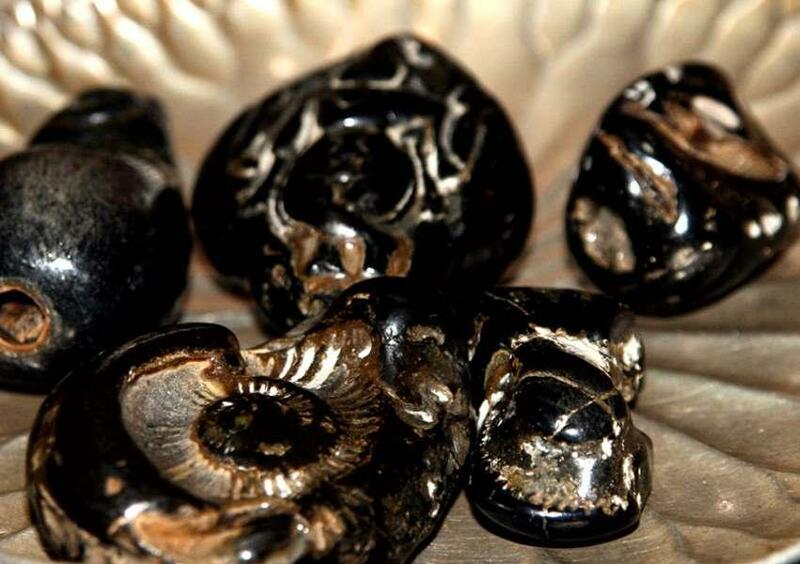 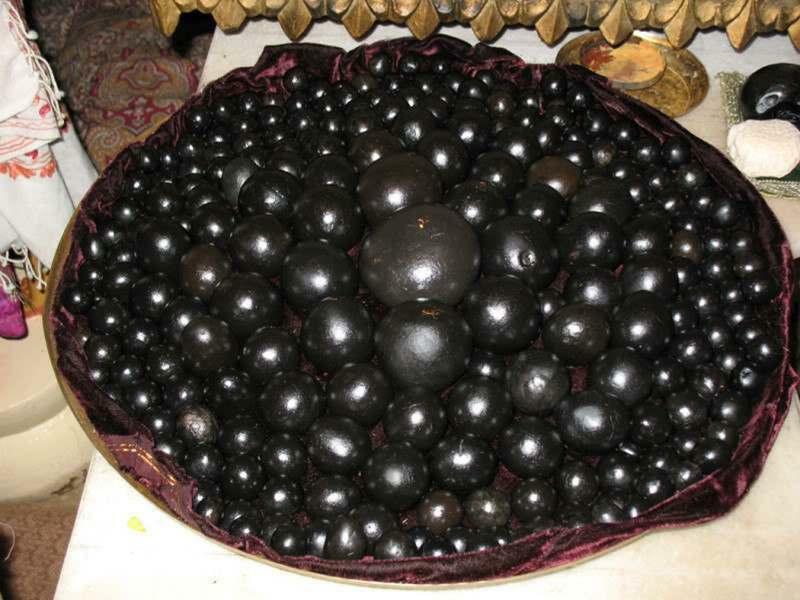 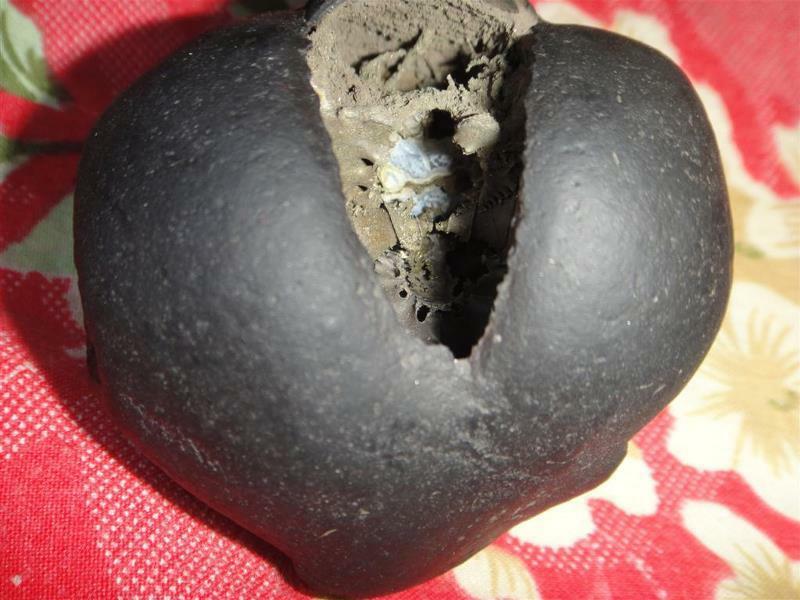 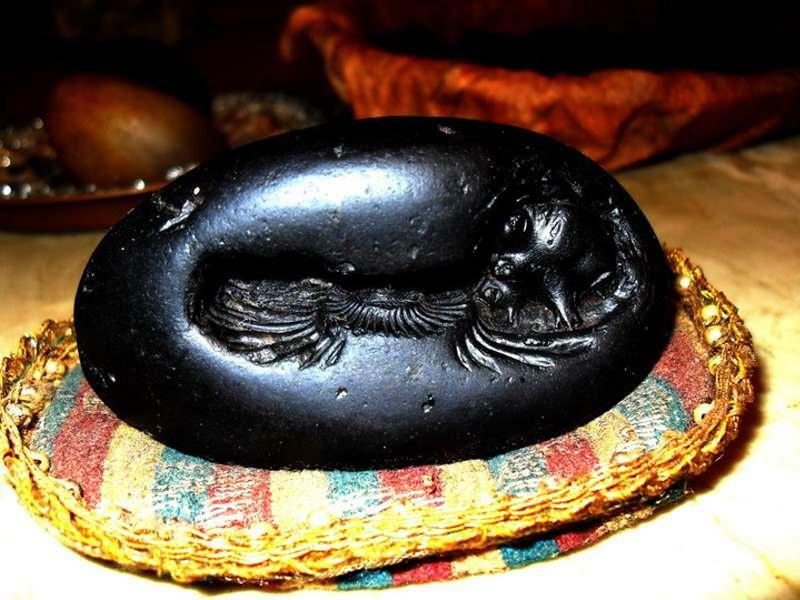 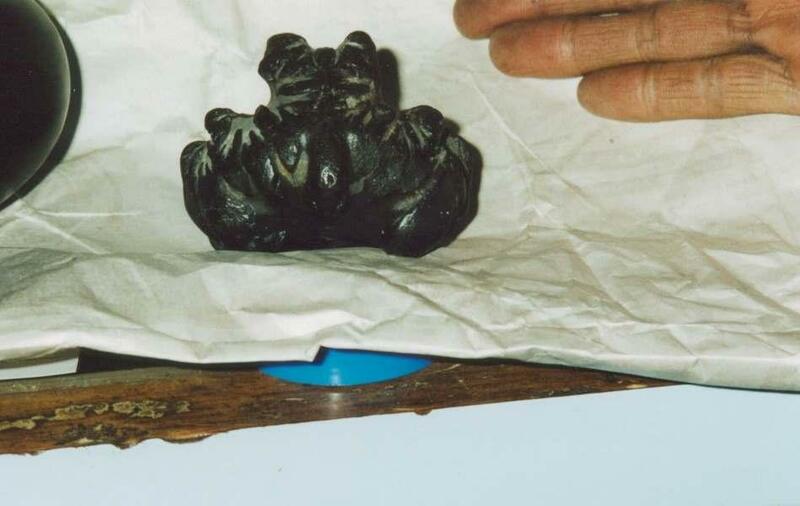 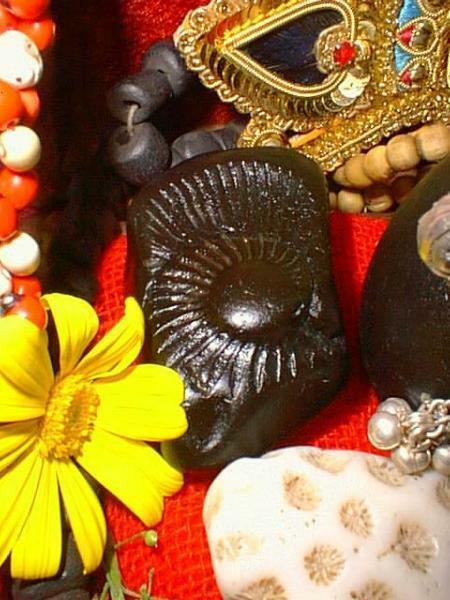 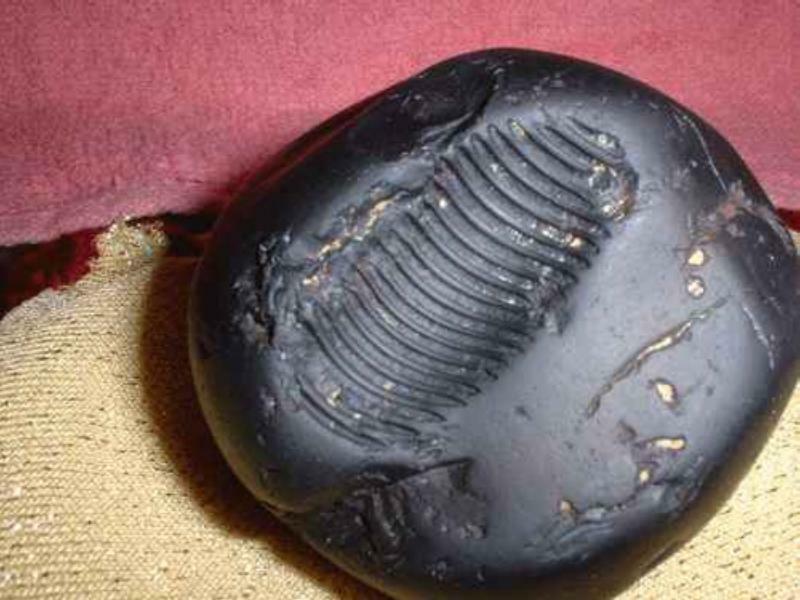 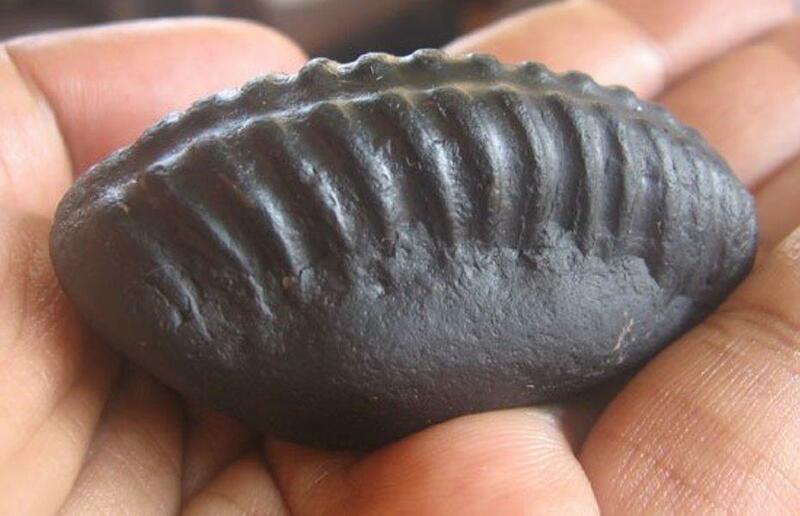 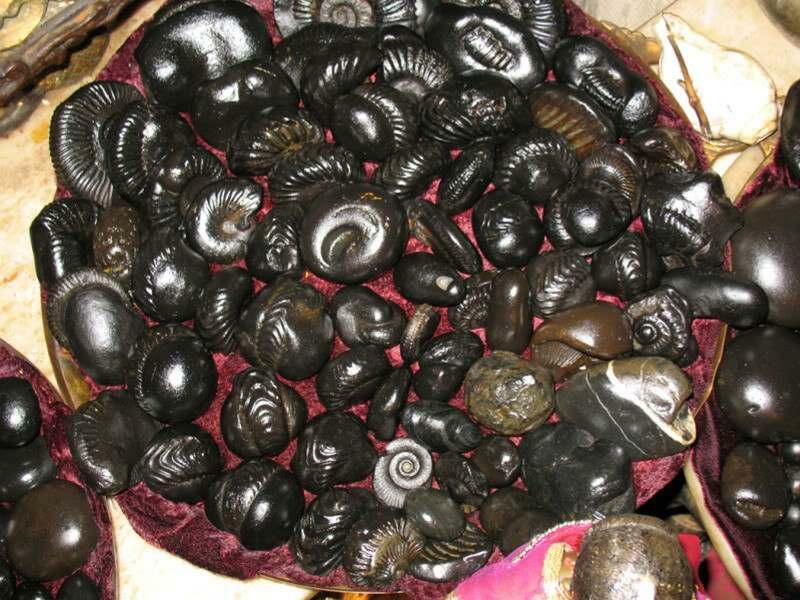 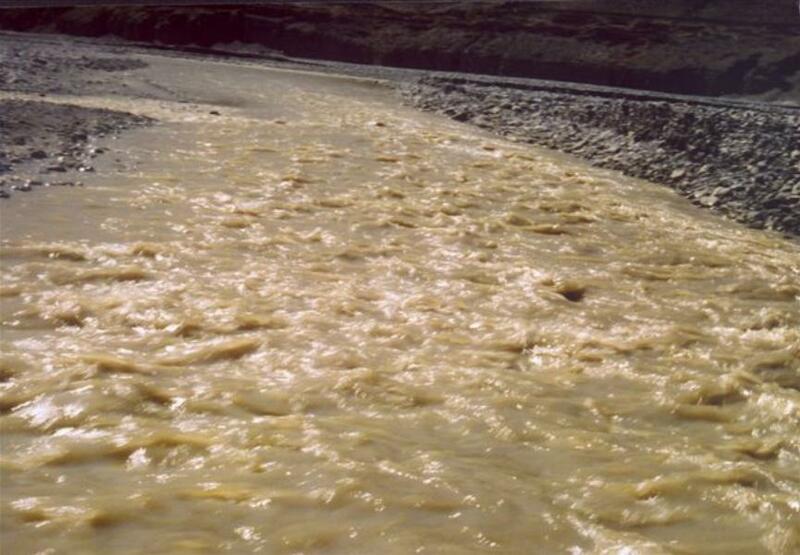 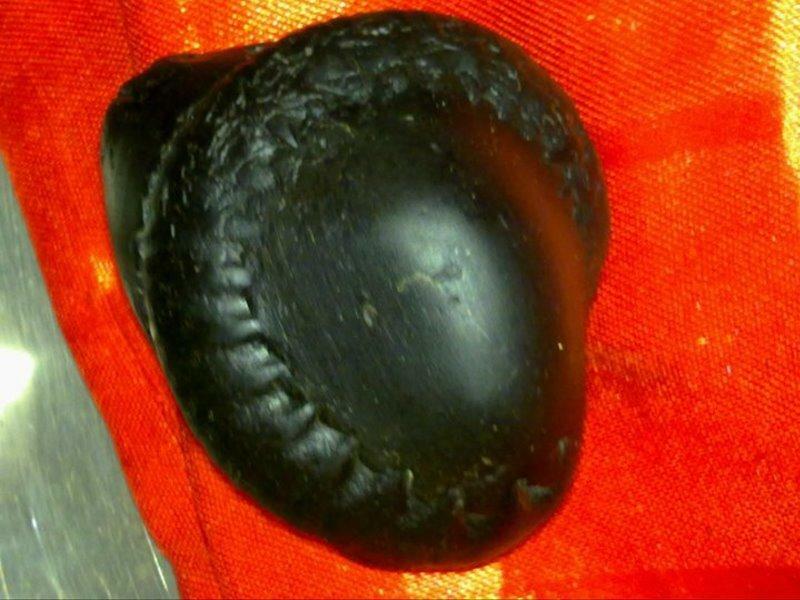 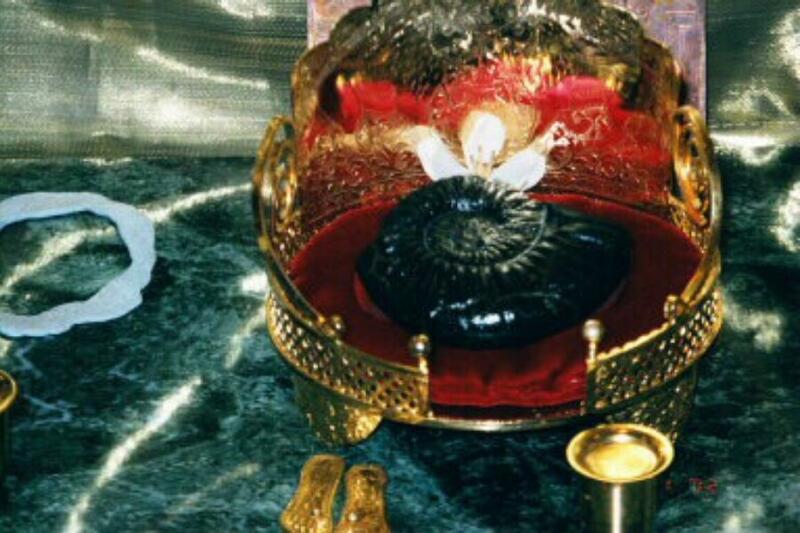 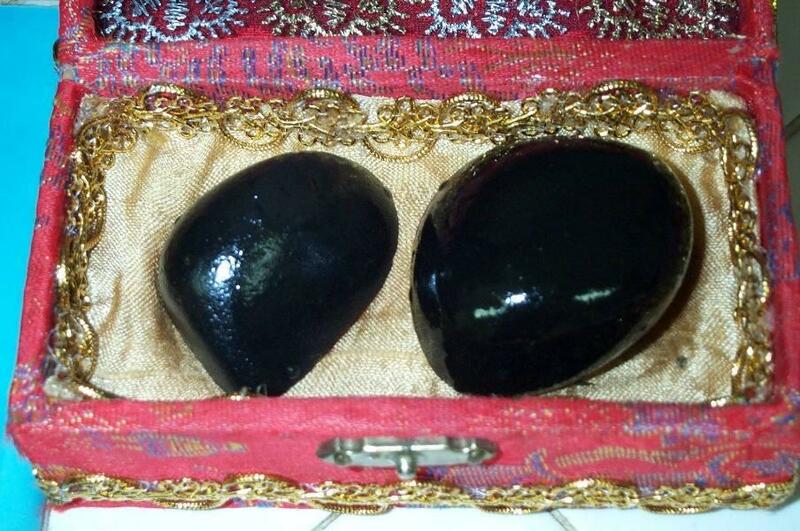 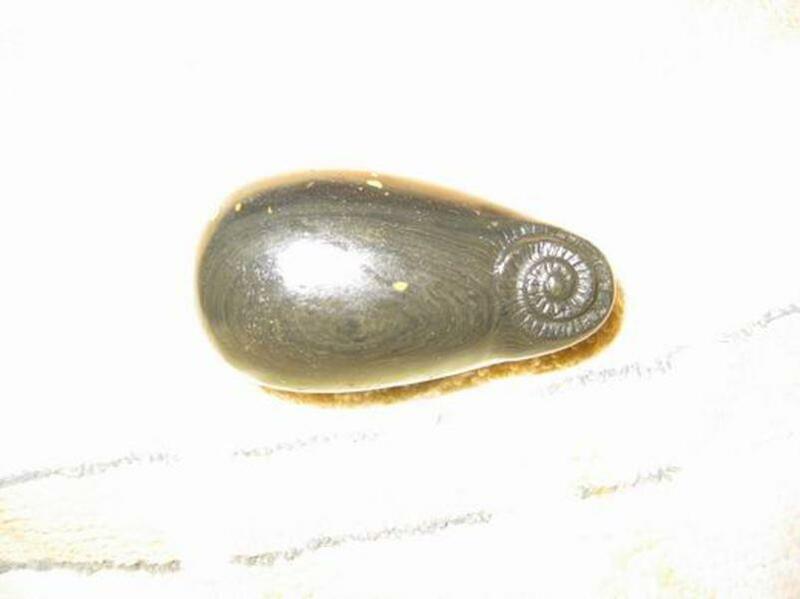 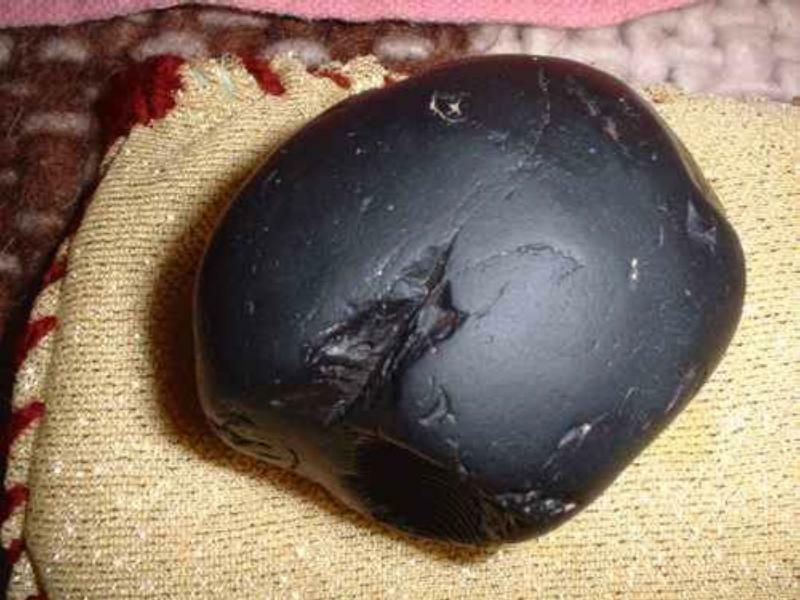 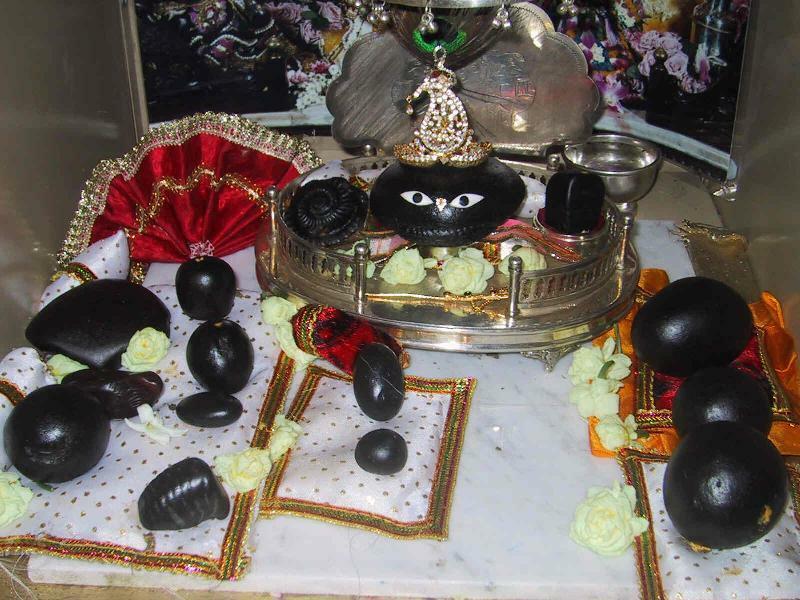 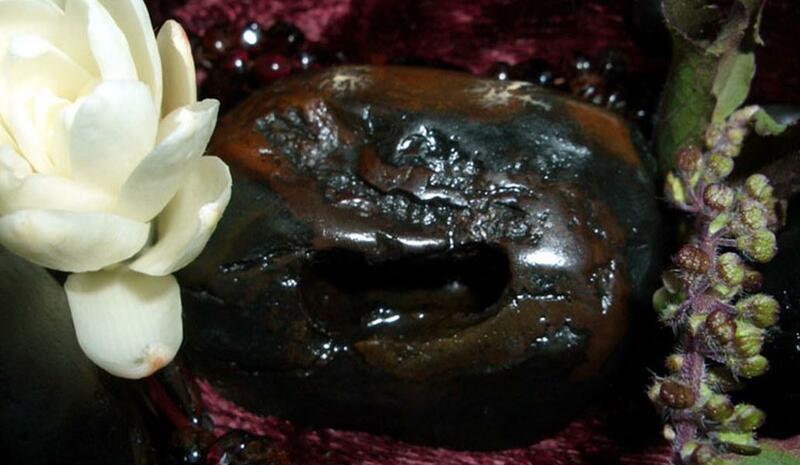 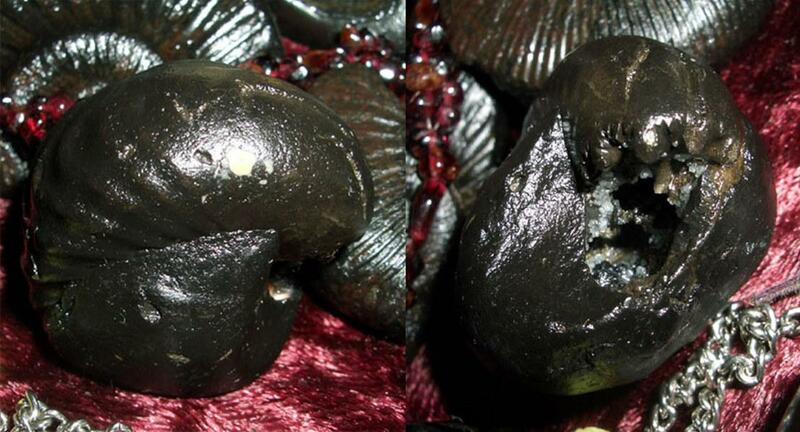 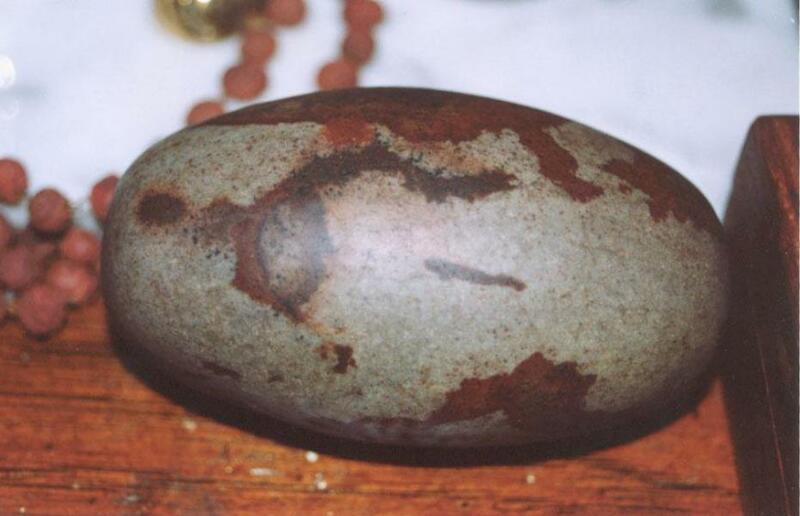 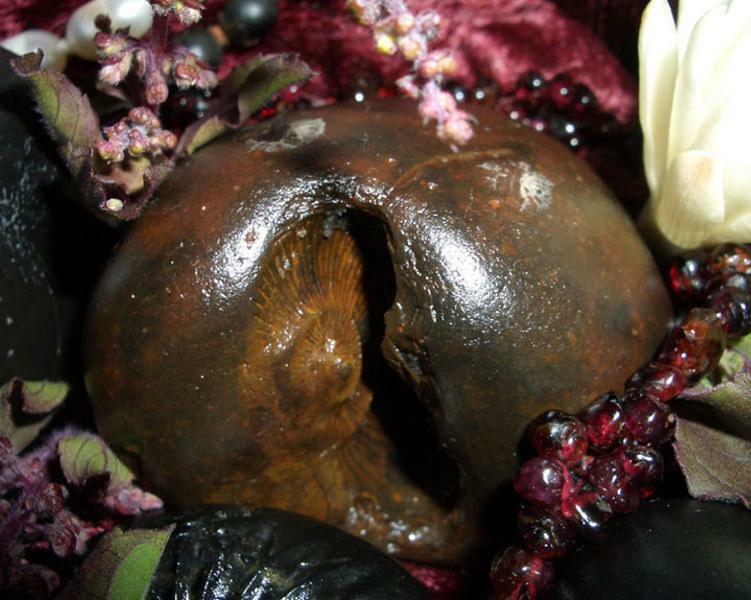 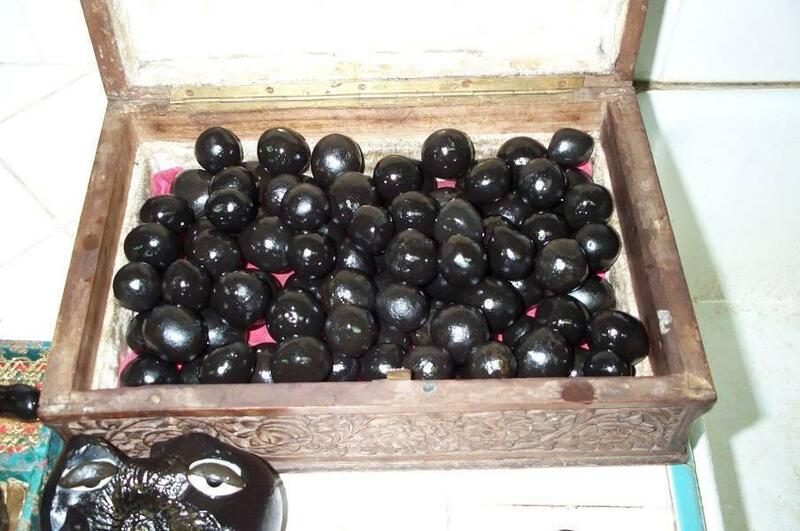 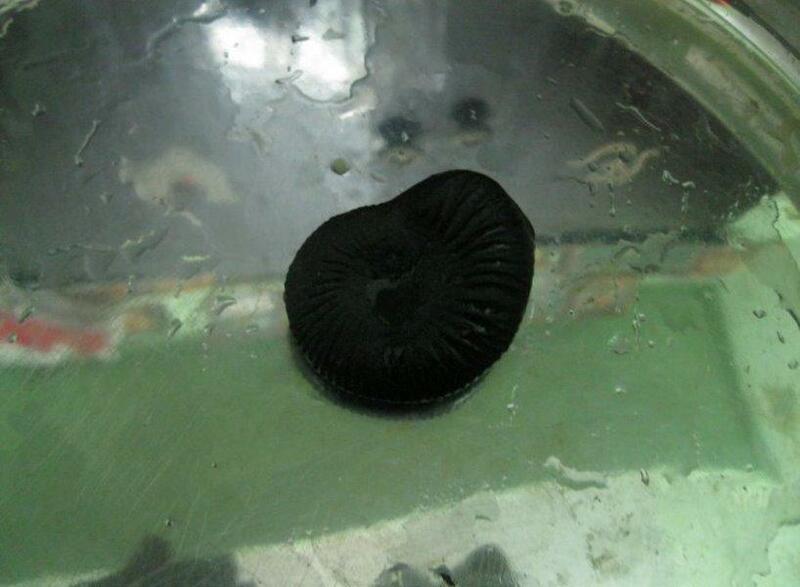 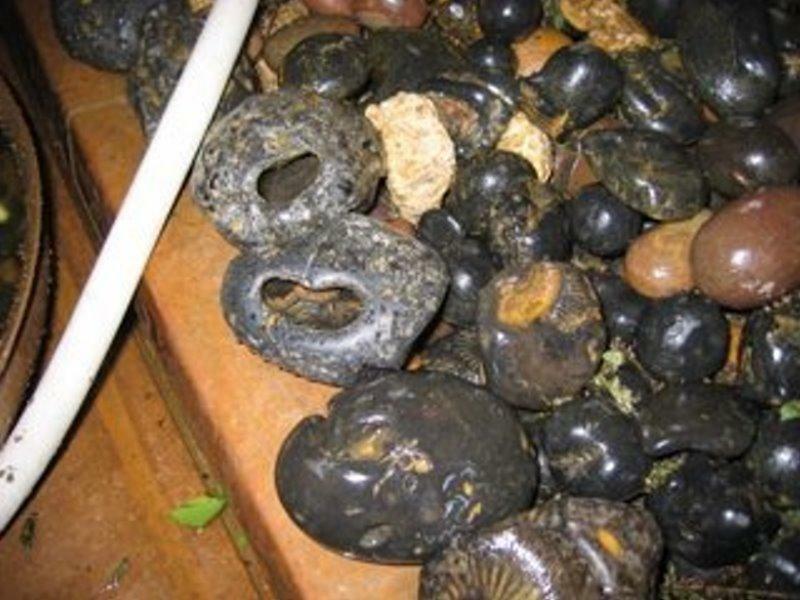 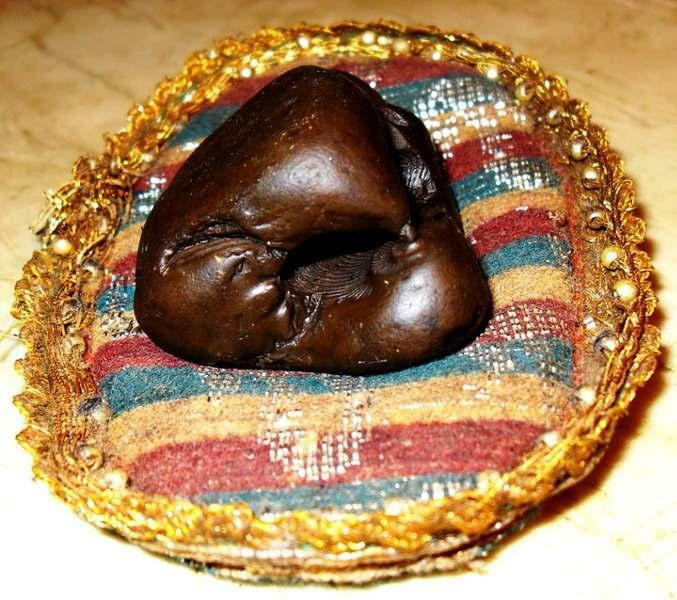 Mostly saligram are black stone, which is found in the Gandaki River only. 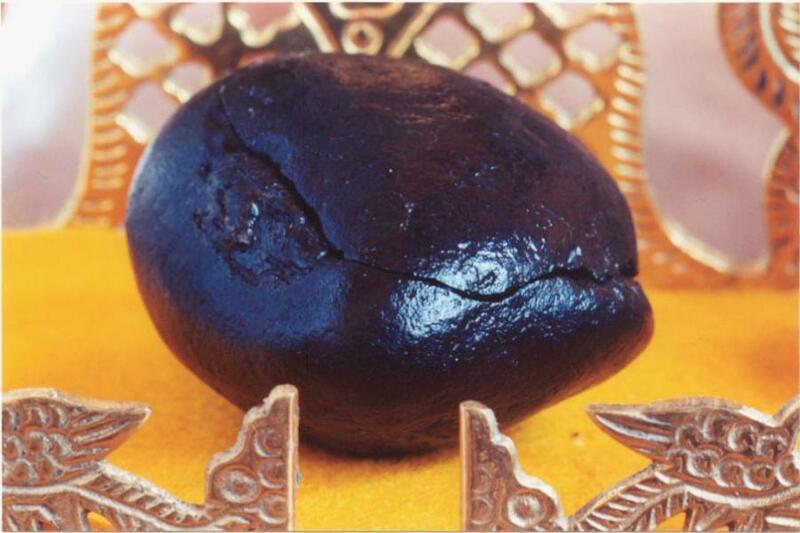 Sometimes we find reddish black, blue black or yellowish color saligram which is consider to be very rare. 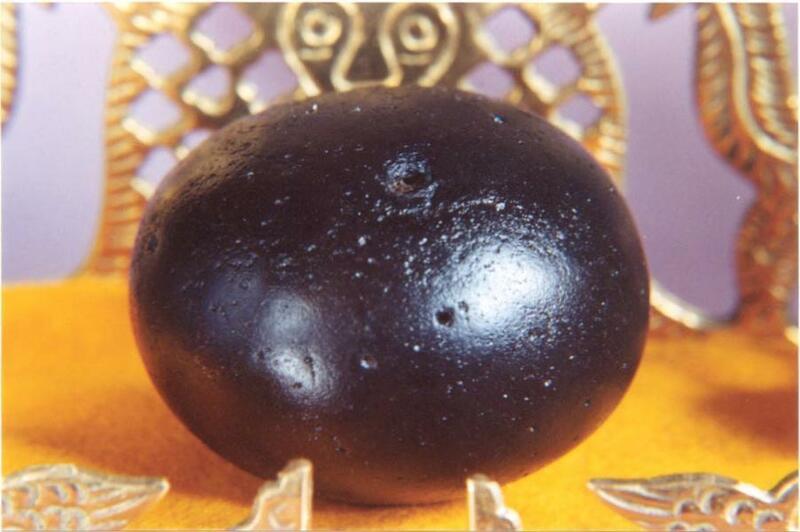 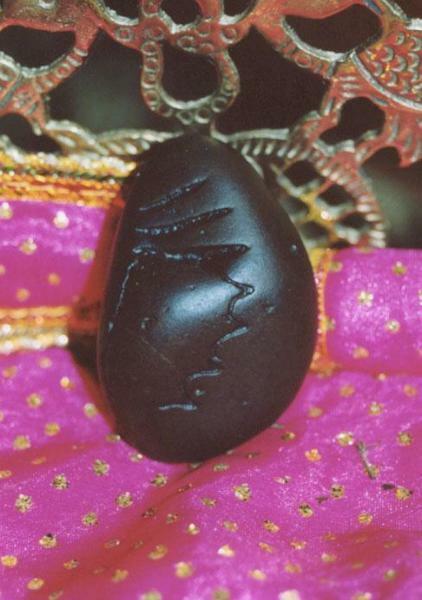 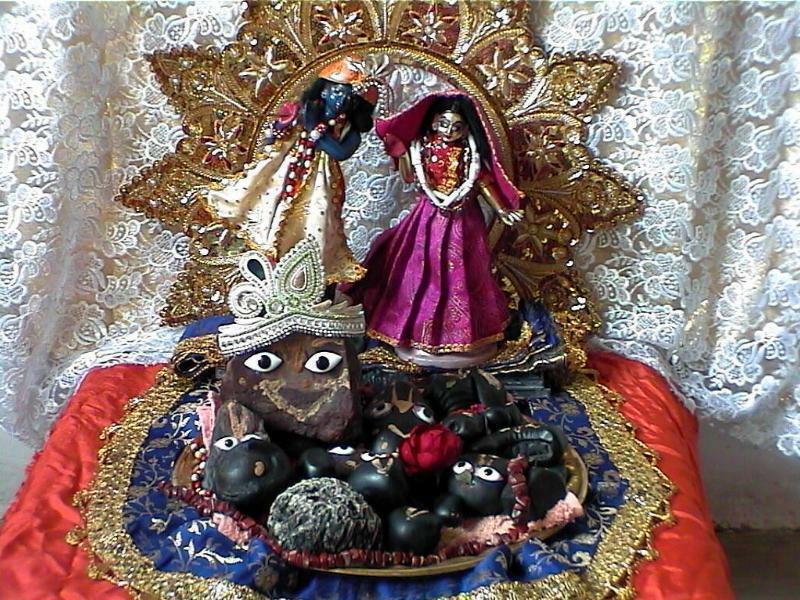 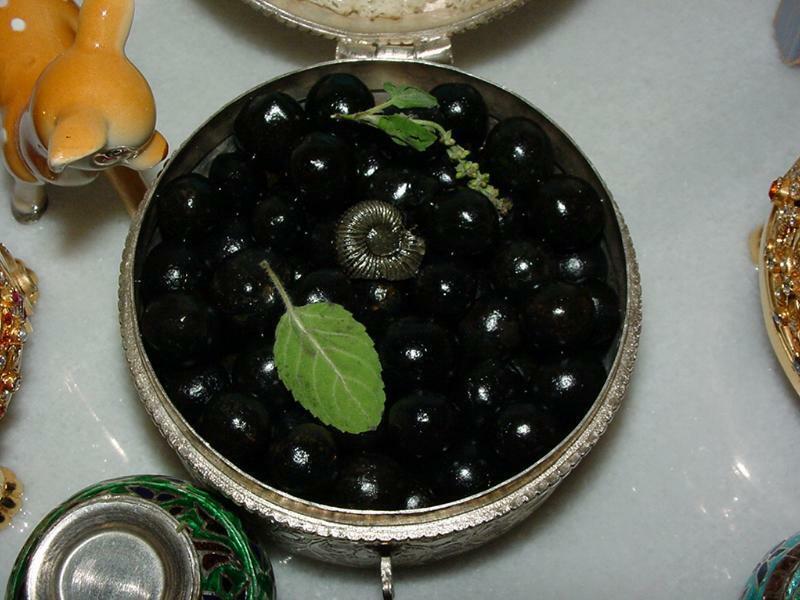 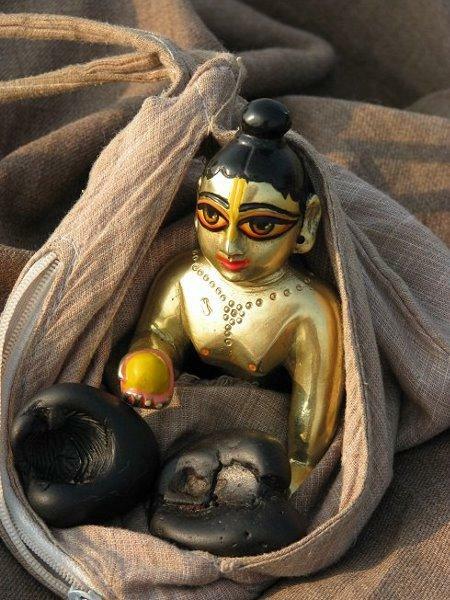 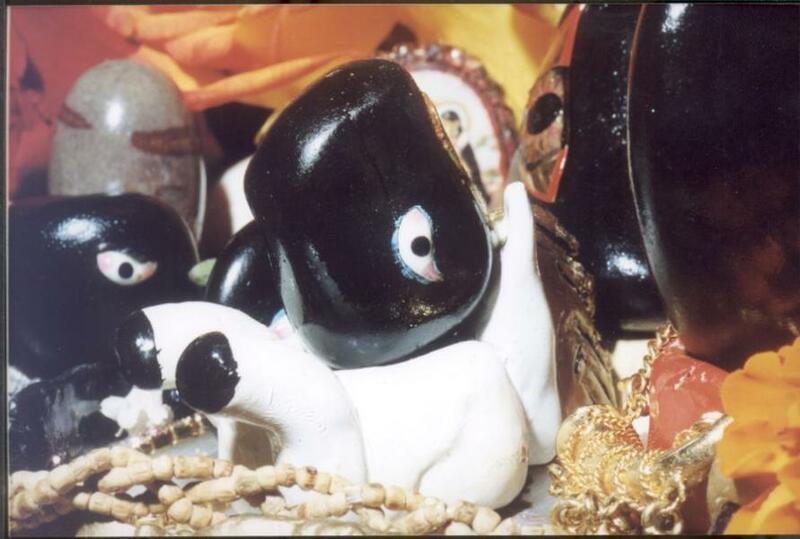 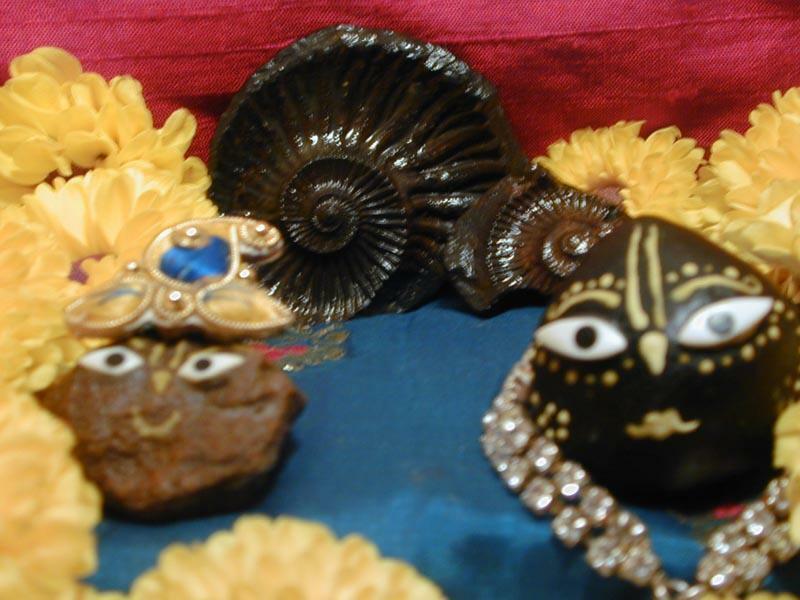 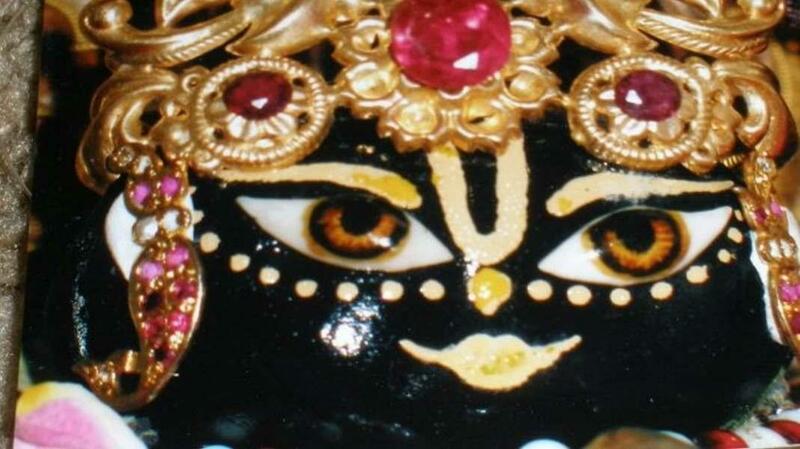 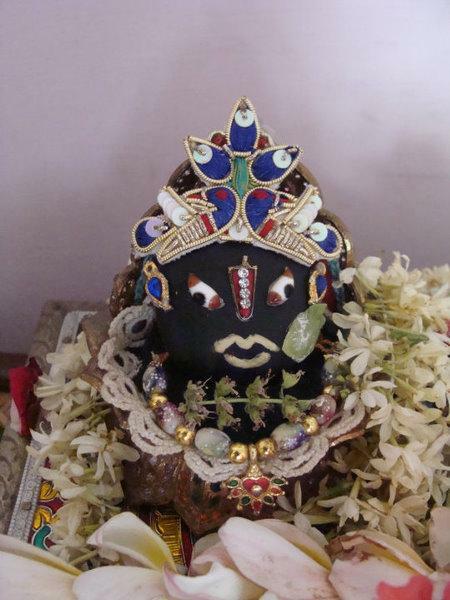 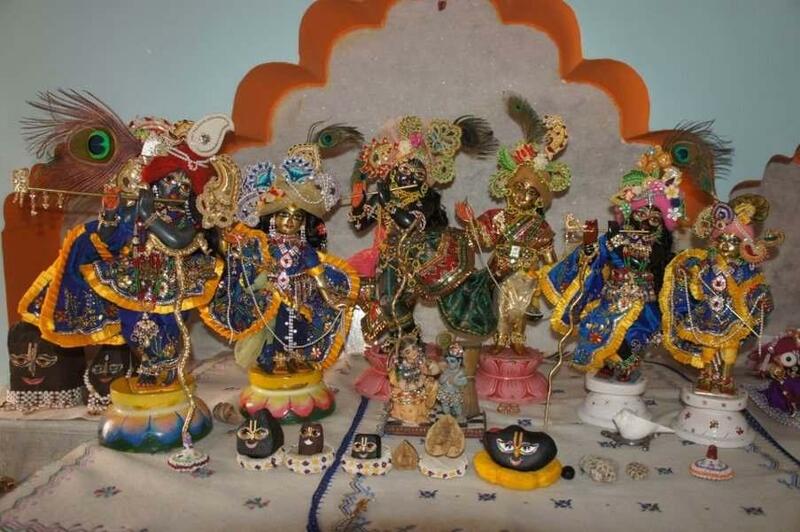 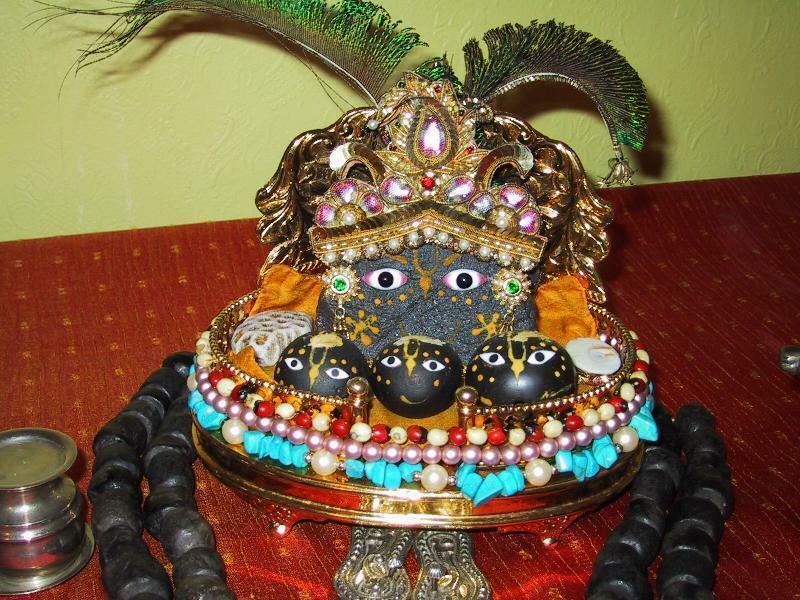 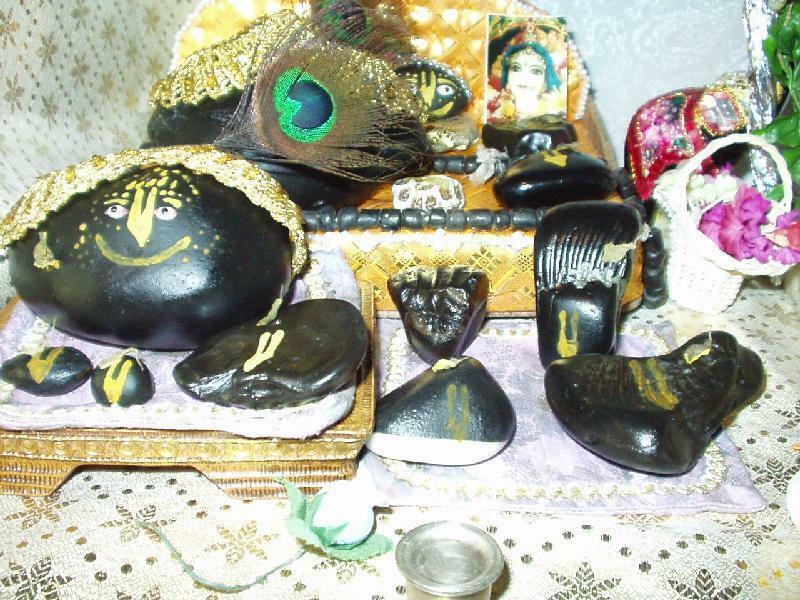 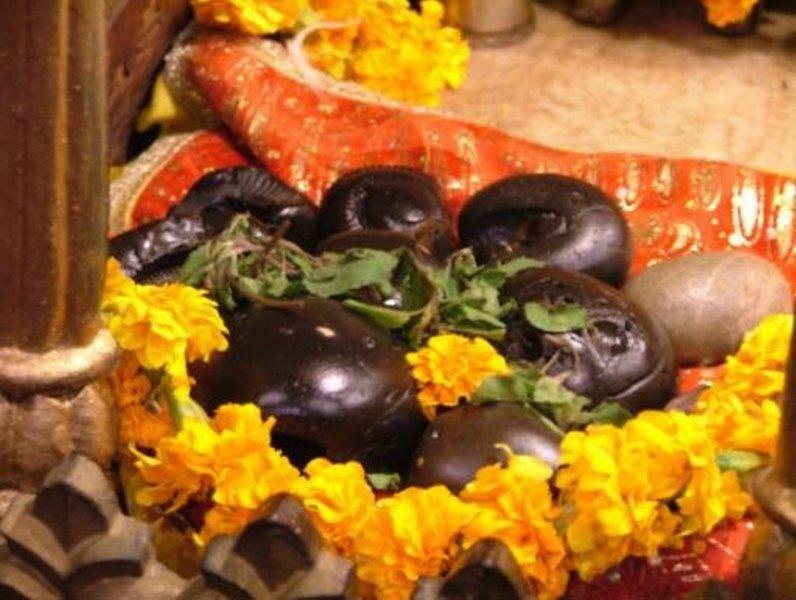 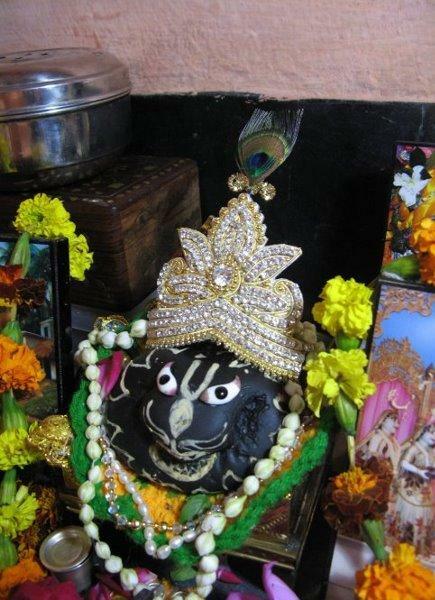 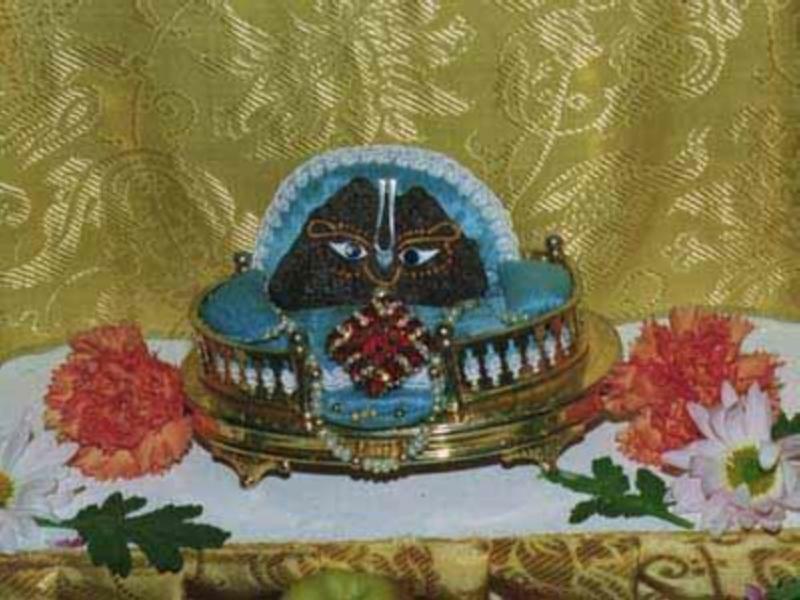 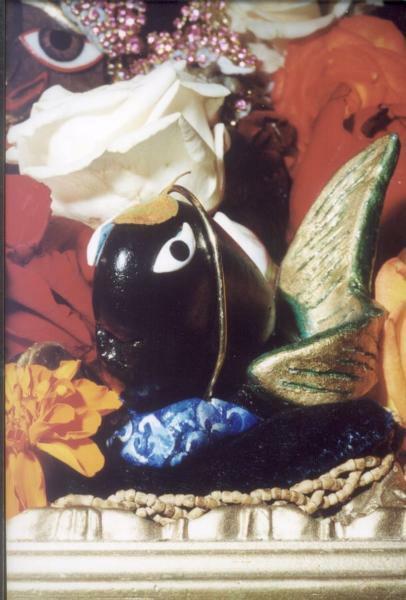 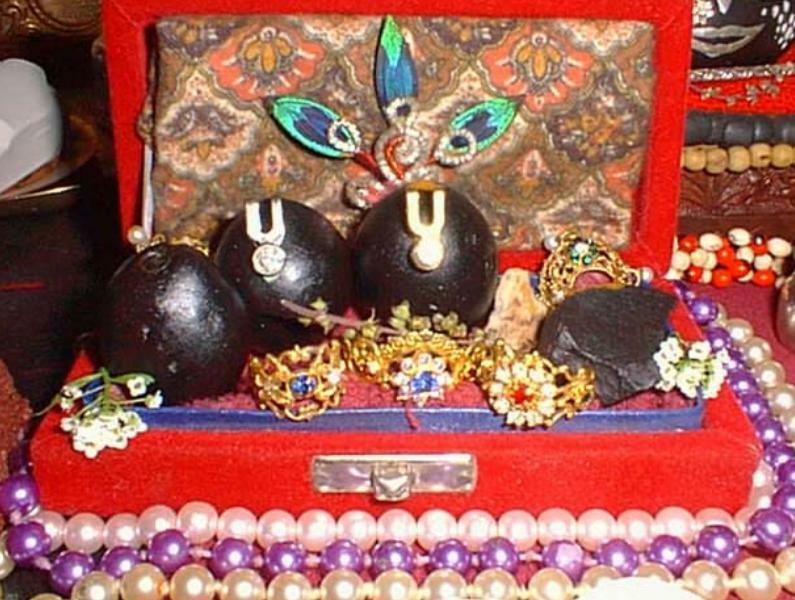 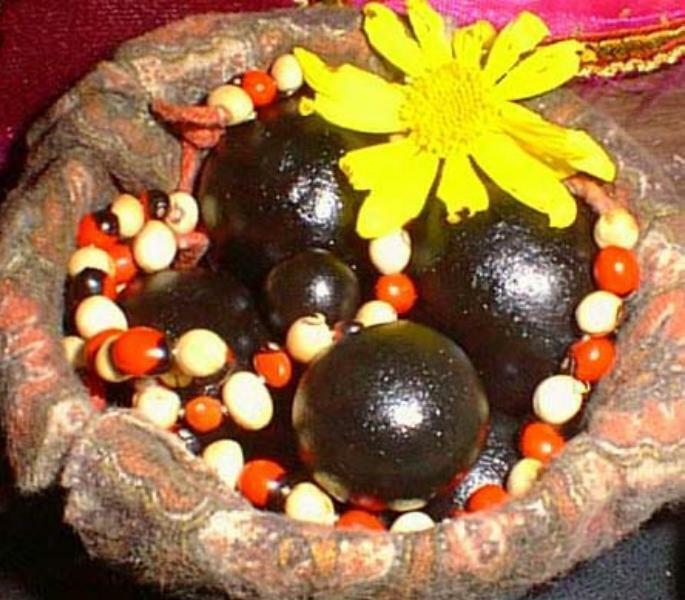 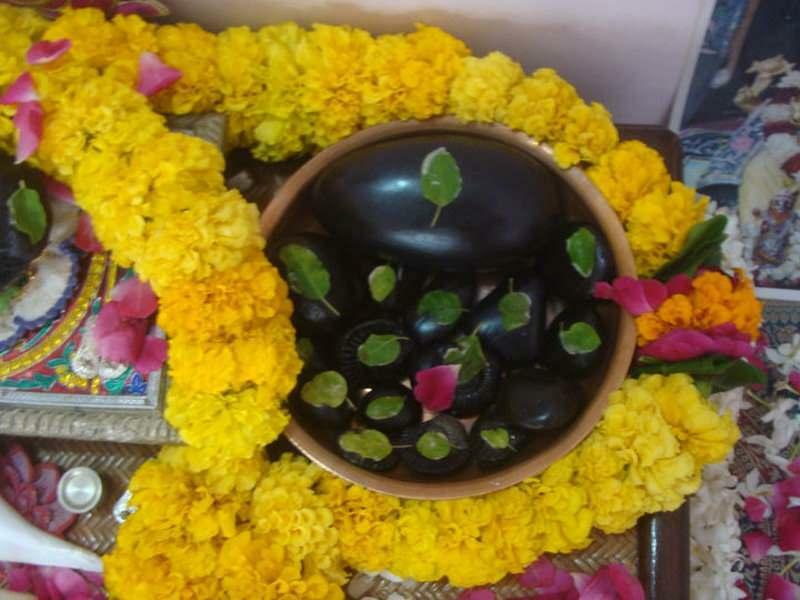 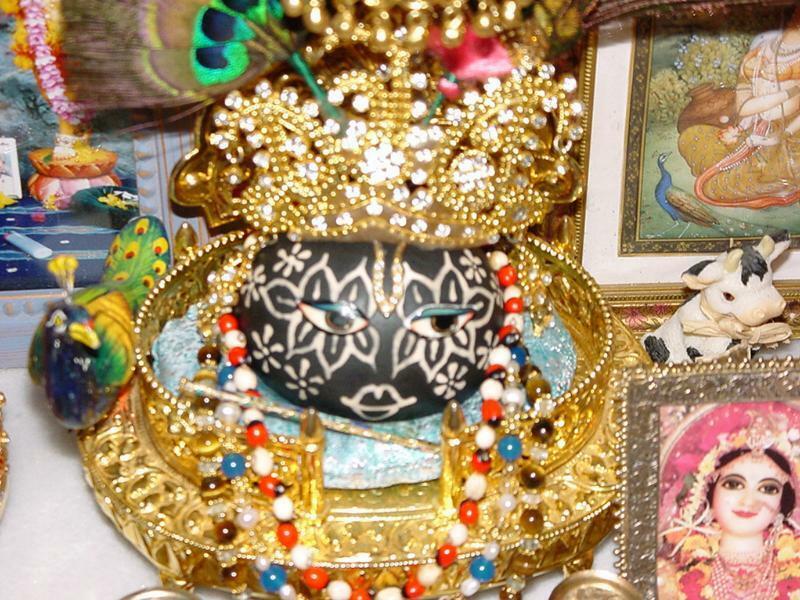 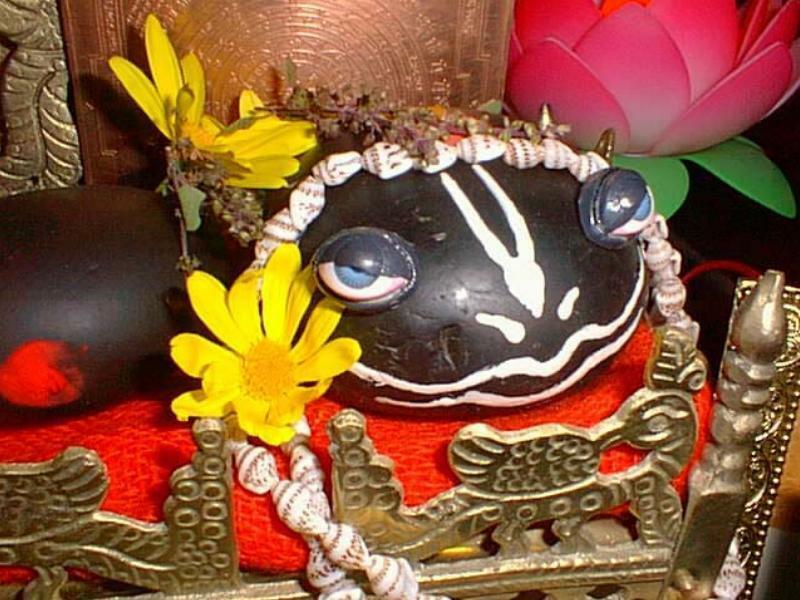 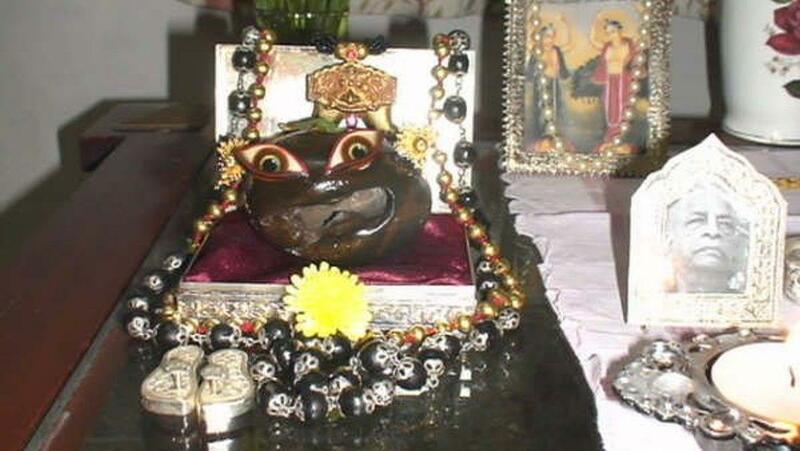 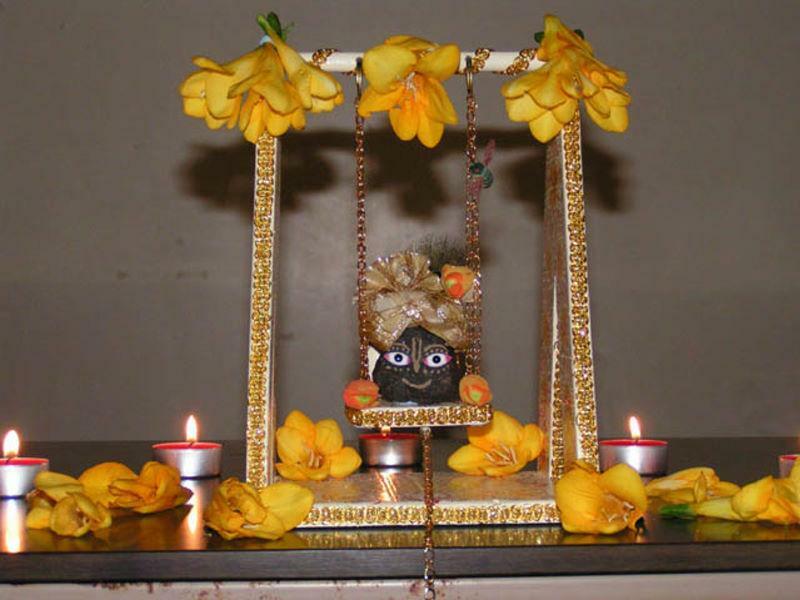 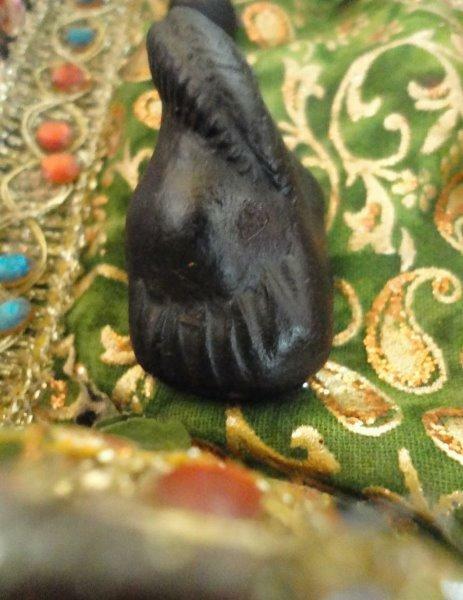 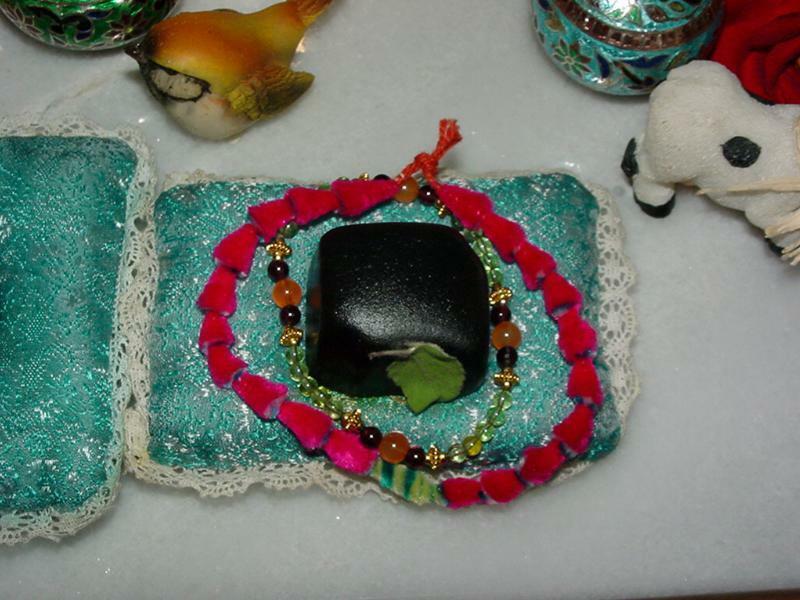 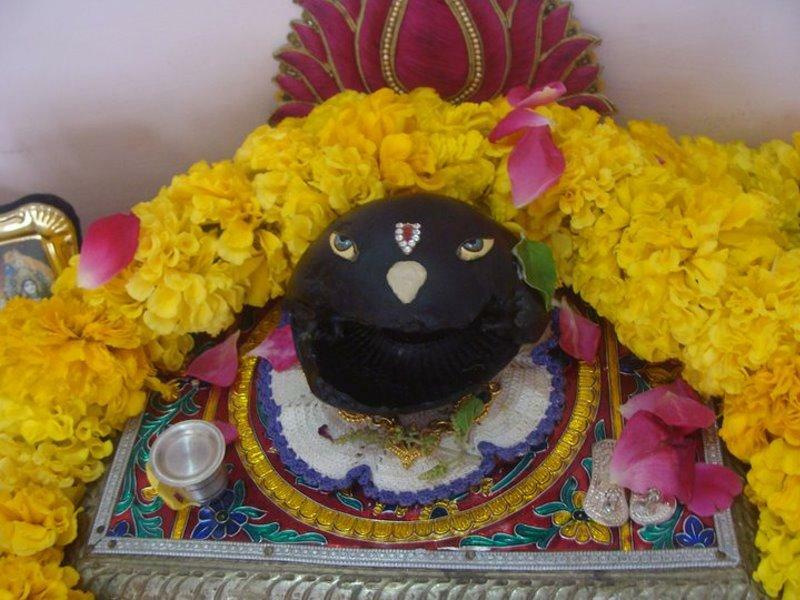 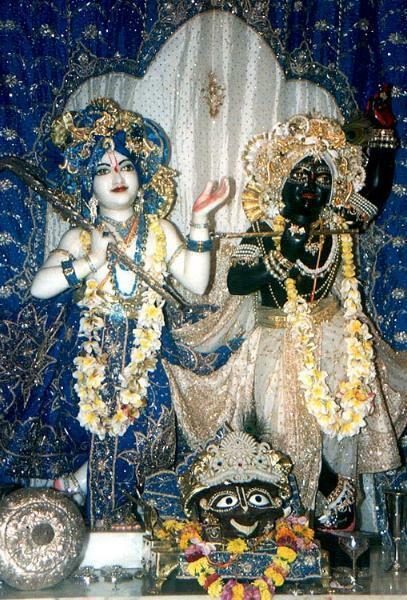 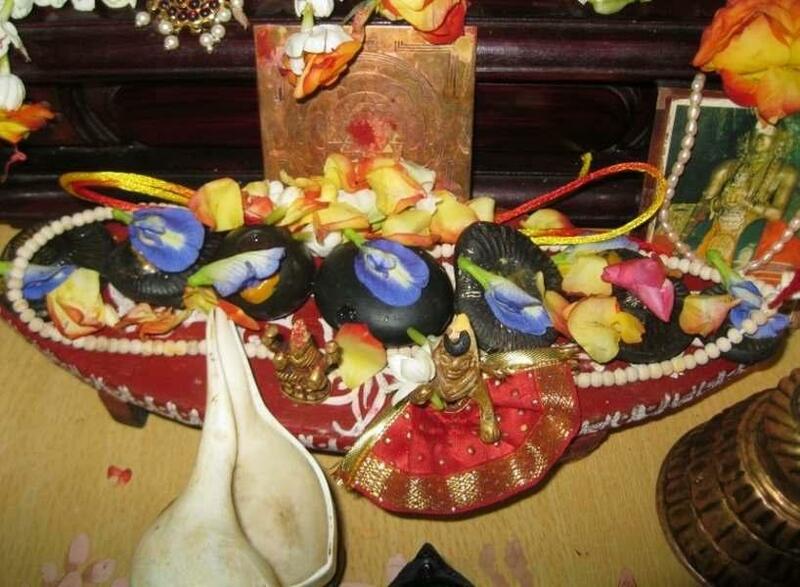 Blue-black saligram increase peace and harmony in the family where yellowish saligram increase wealth and prosperity. 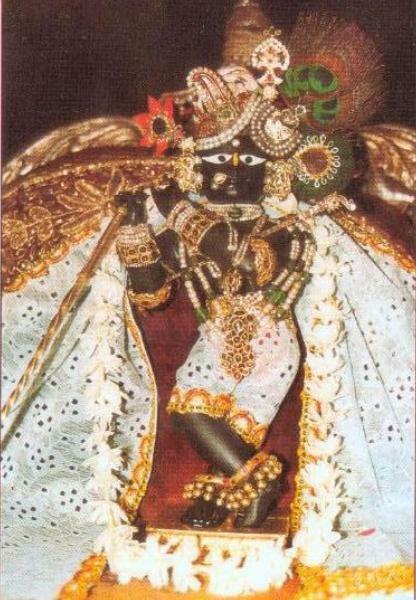 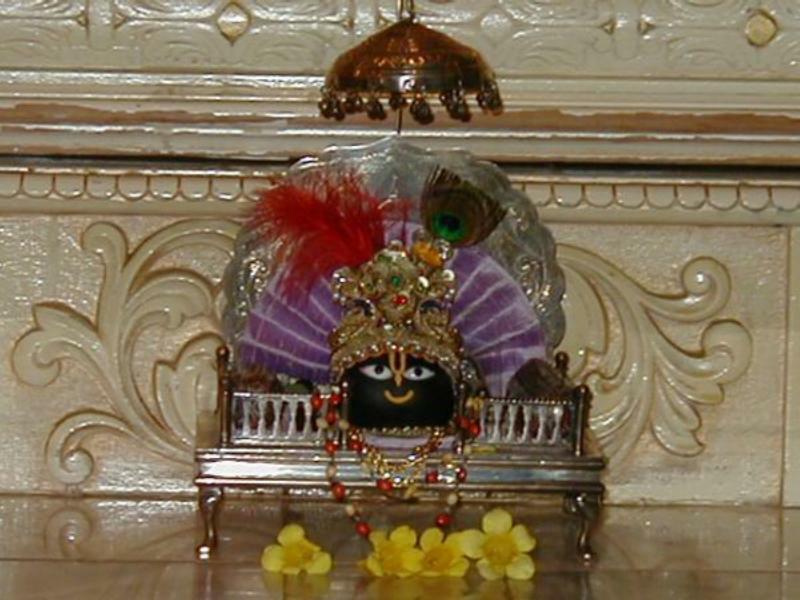 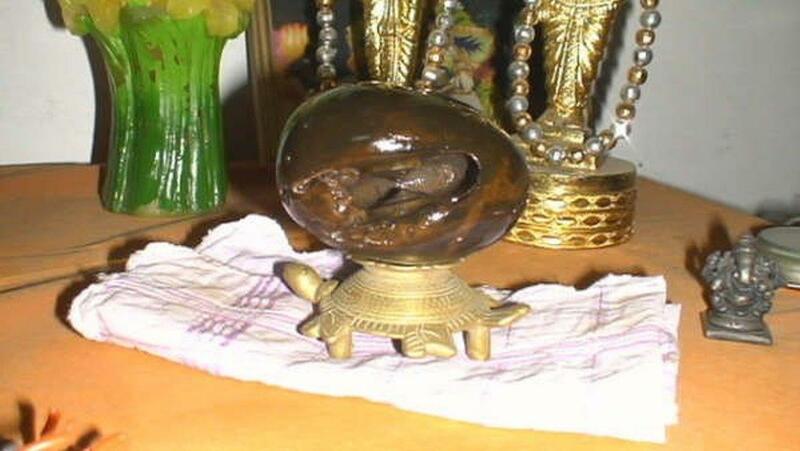 It is aid there are so many symbols of saligram equal to Lord Vishnu's several names. 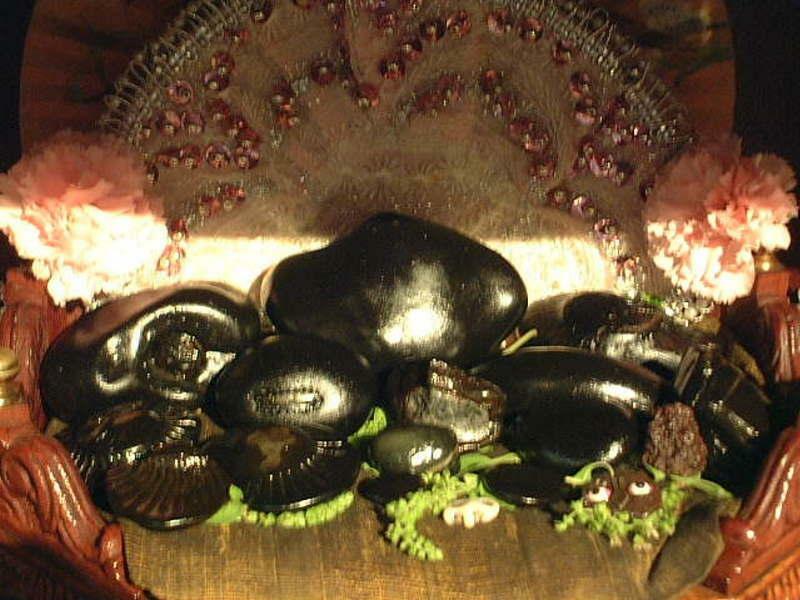 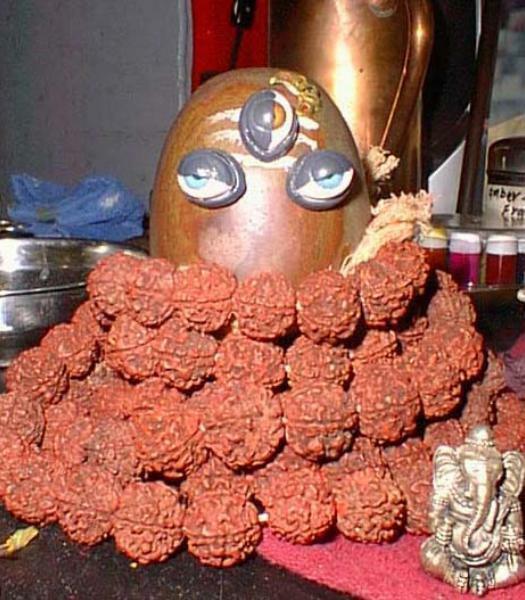 Different symbols and chakra formation is not by nature, it is made by the river worms called Vajra-Keeta. 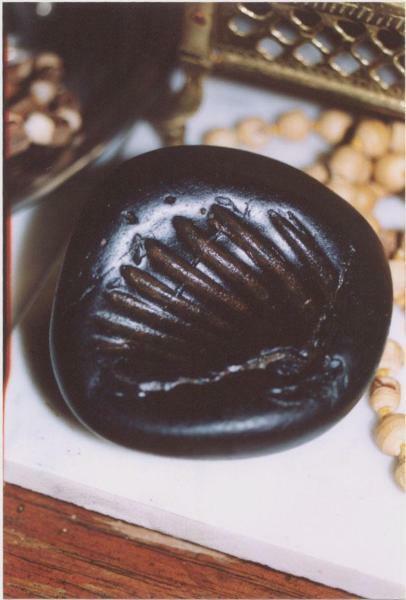 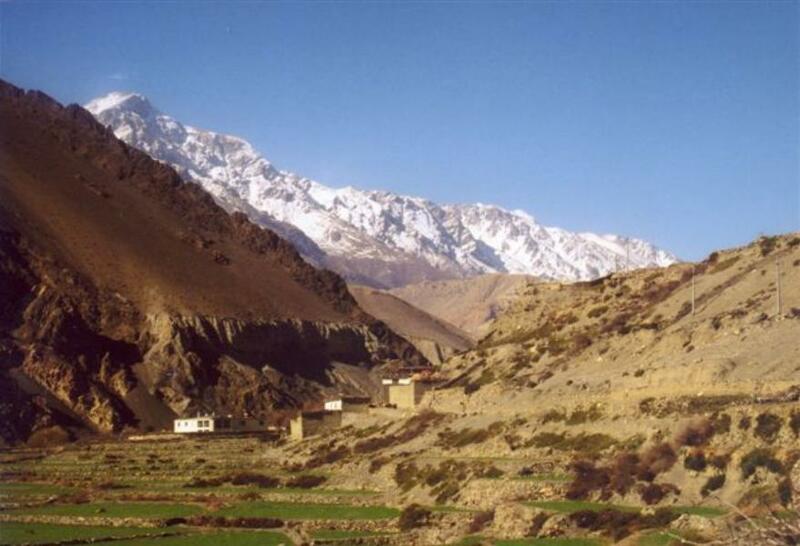 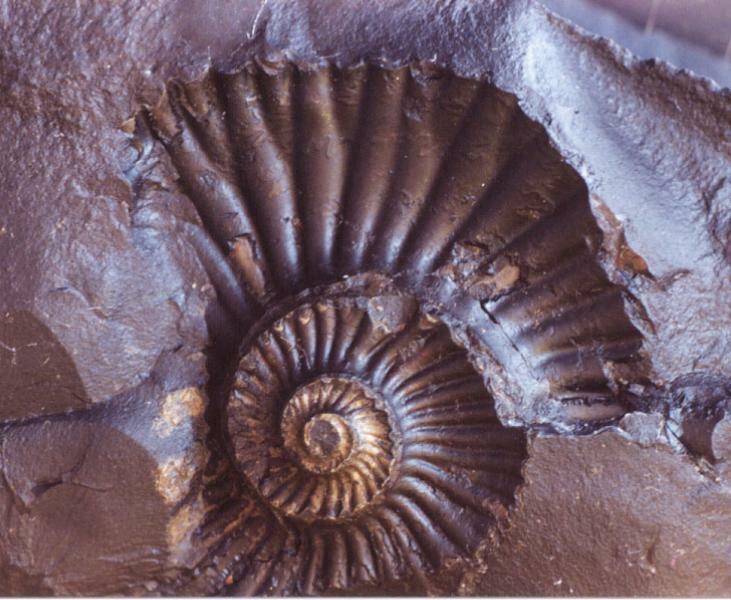 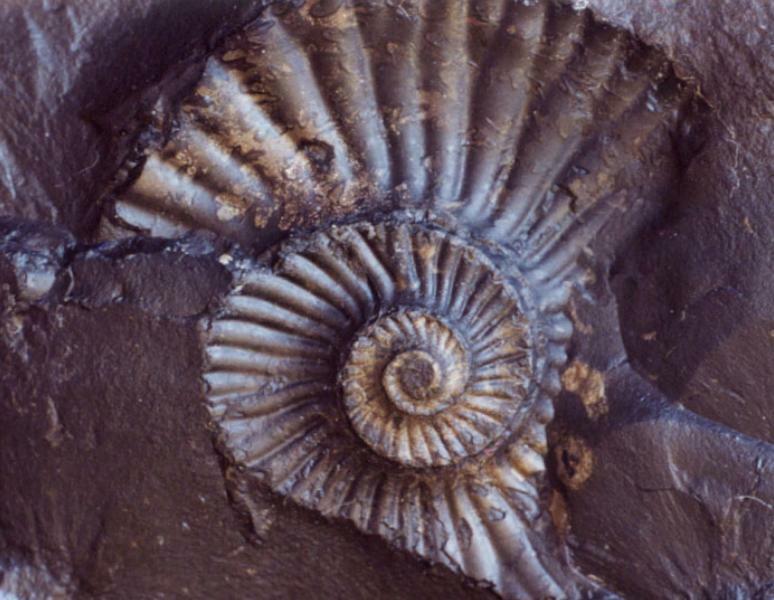 It' teeth/nails are said to be harder than granite stone. 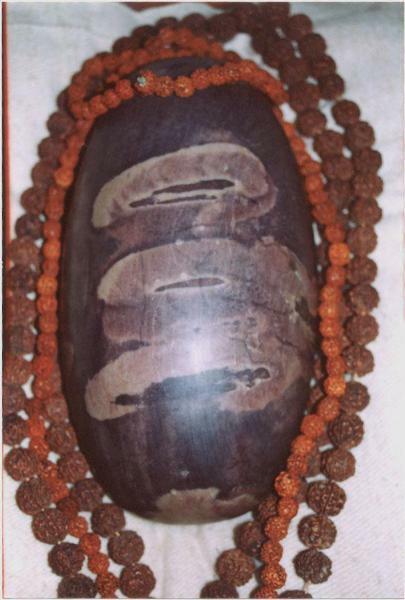 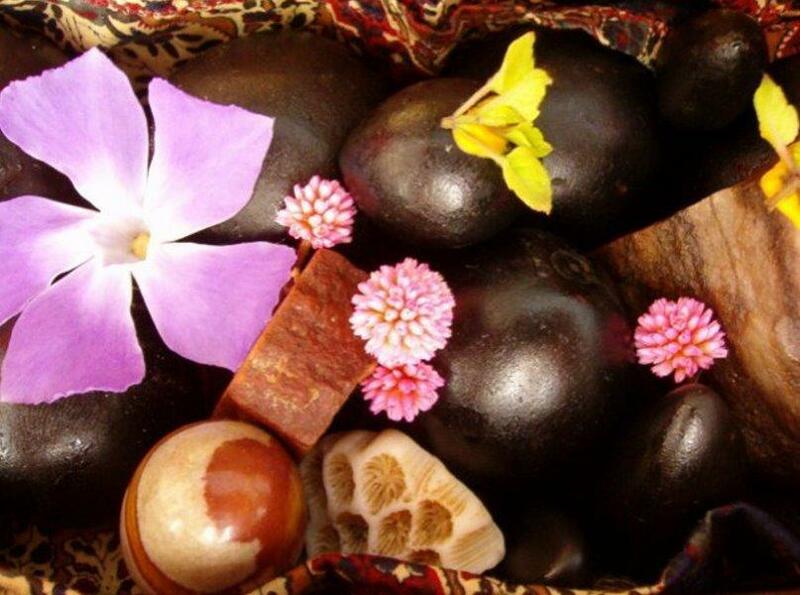 The chakra formation is found not only on the outer surface of the Saligram. 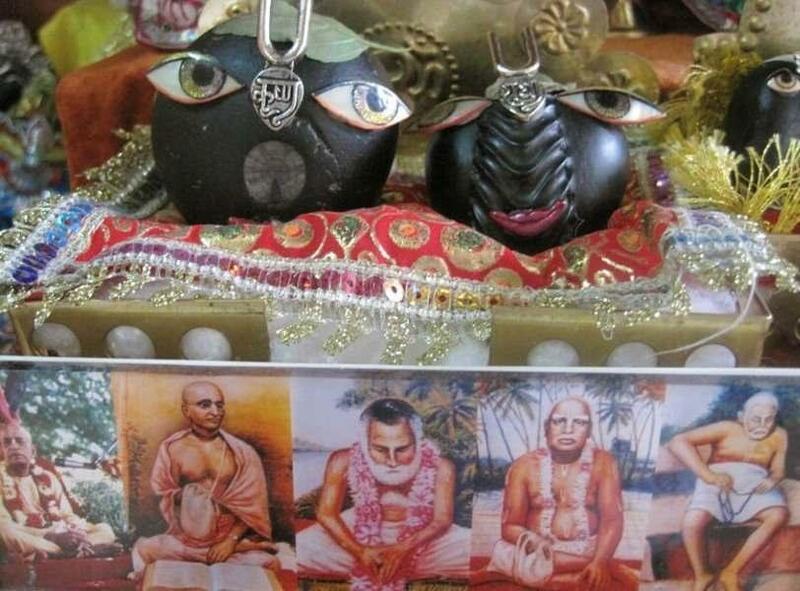 There are chakras inside Saligram also. 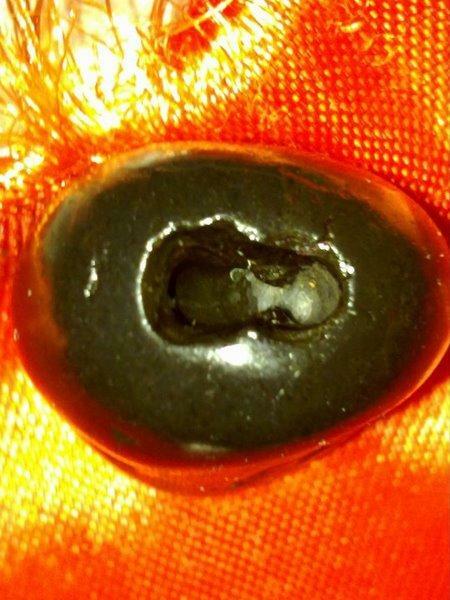 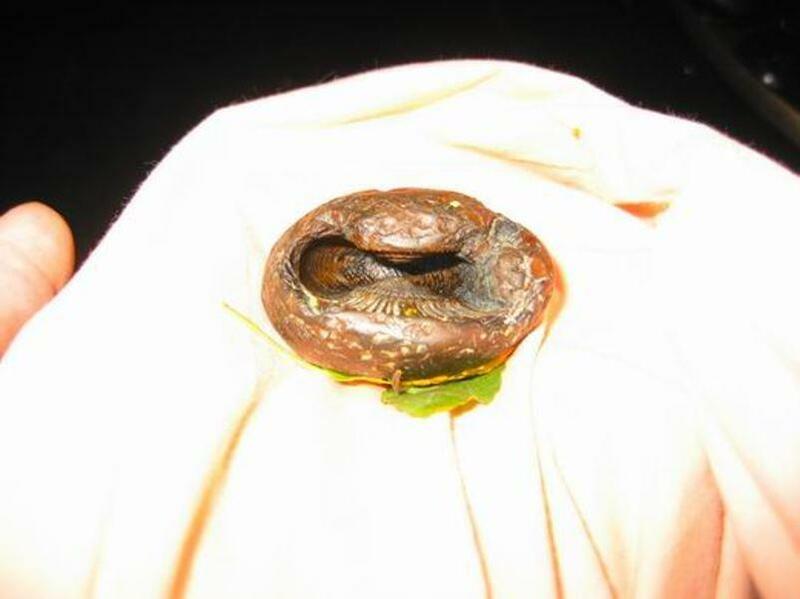 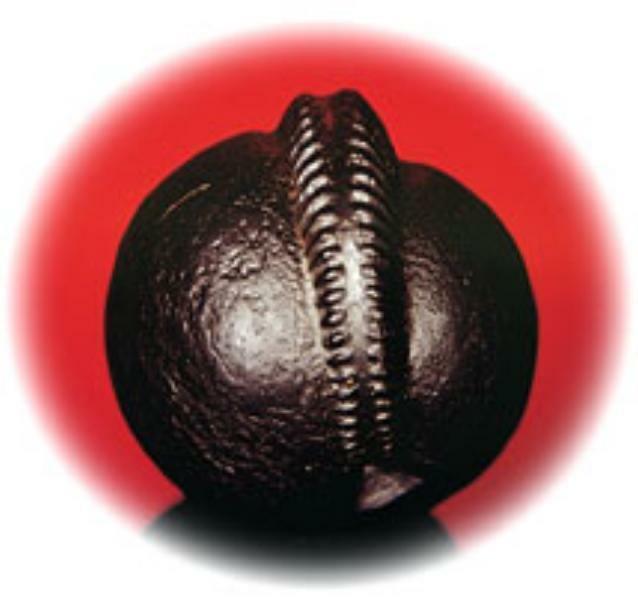 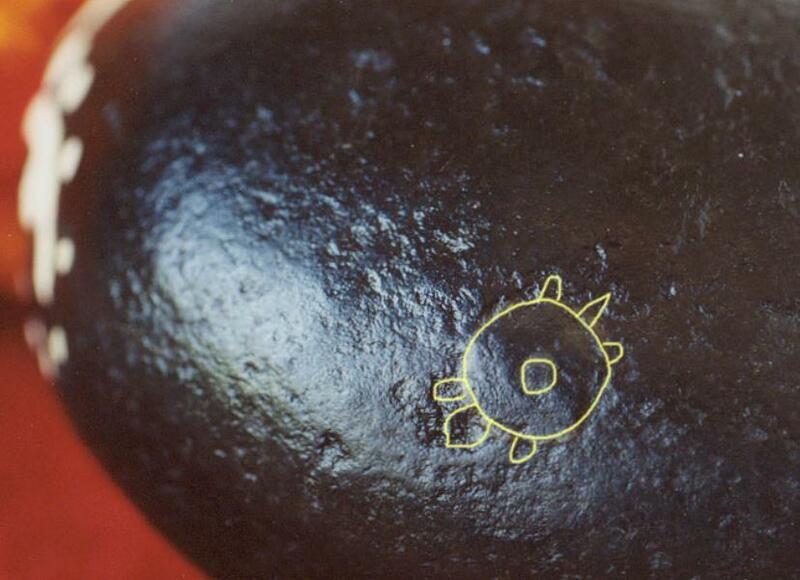 This can be seen through the hole or holes on the Saligram with the aid of torchlight. 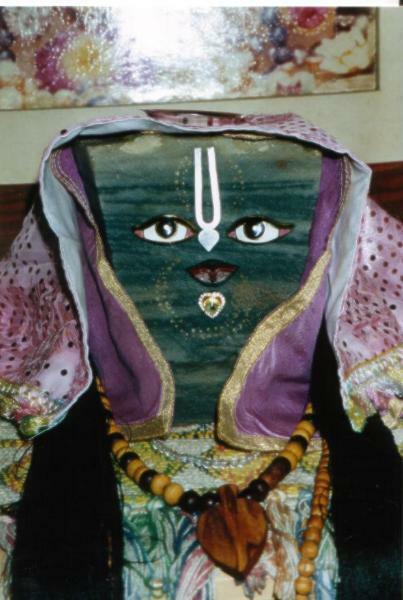 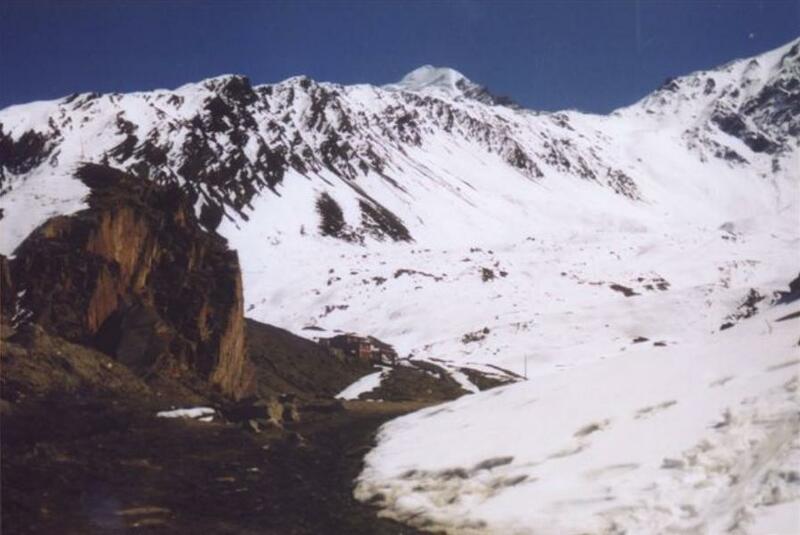 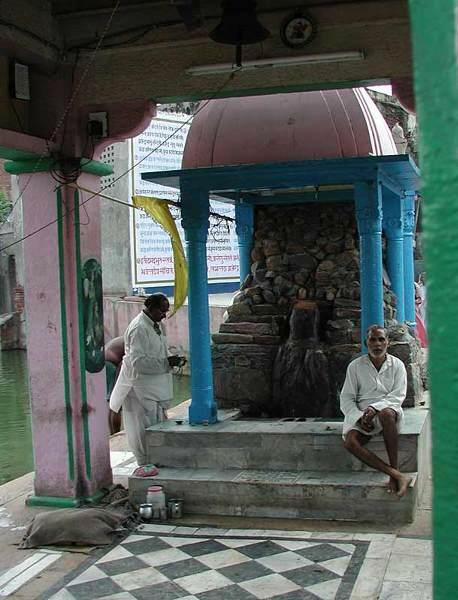 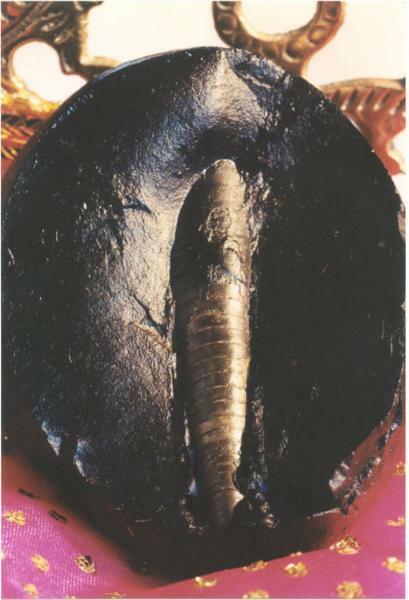 The holes are termed as vadana (mouth). 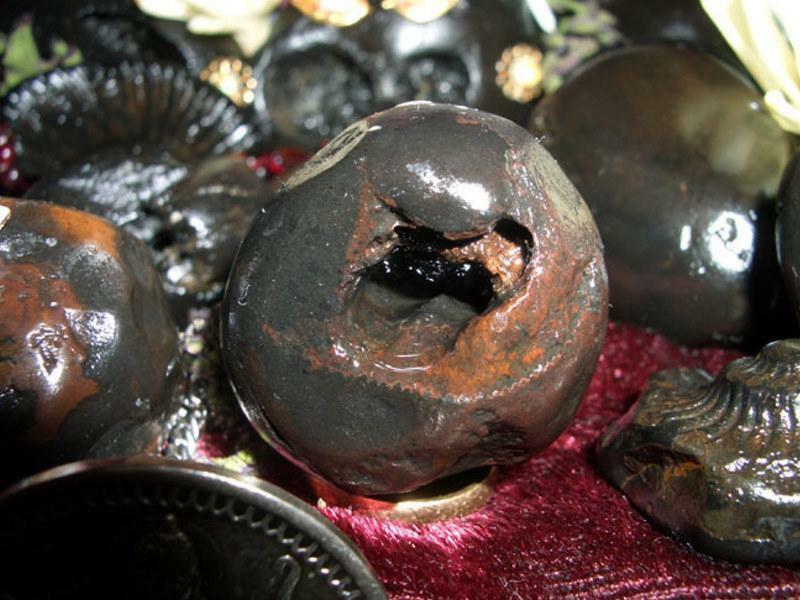 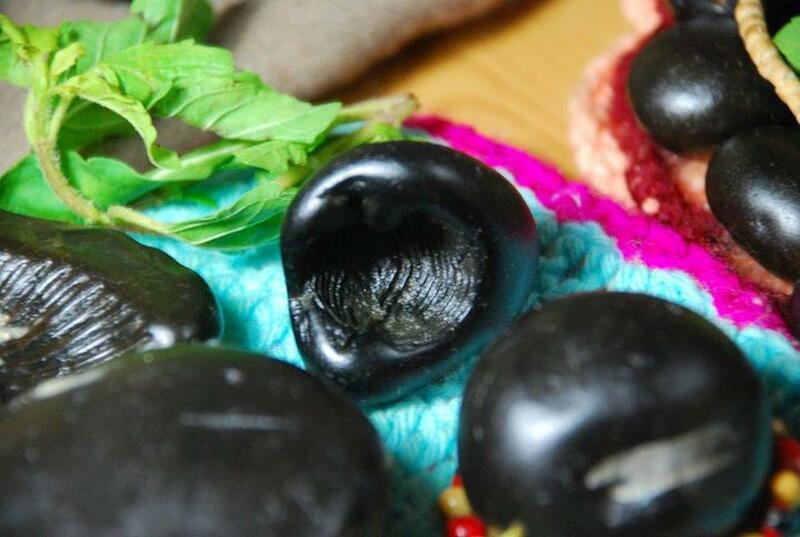 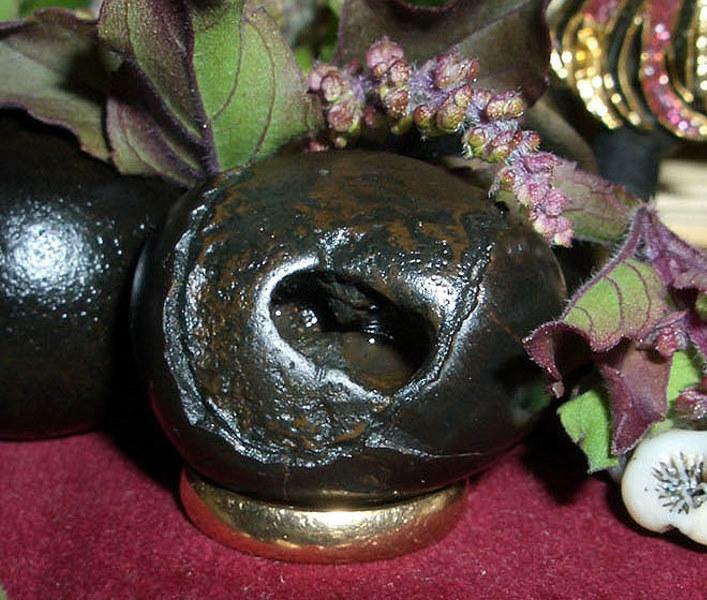 Chakras can be seen inside these holes. 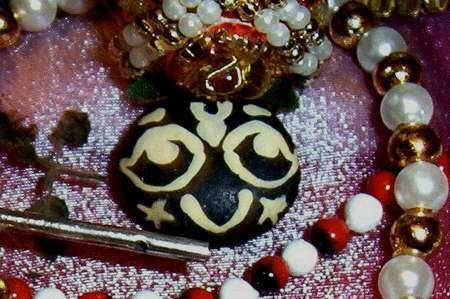 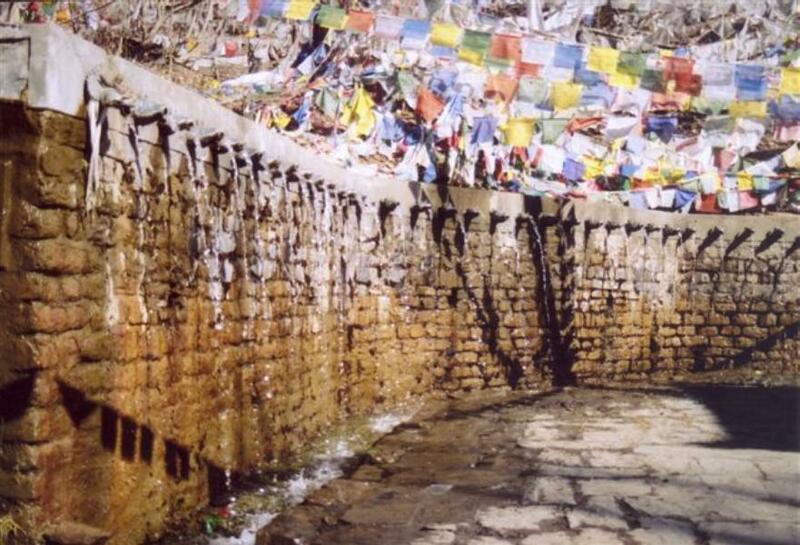 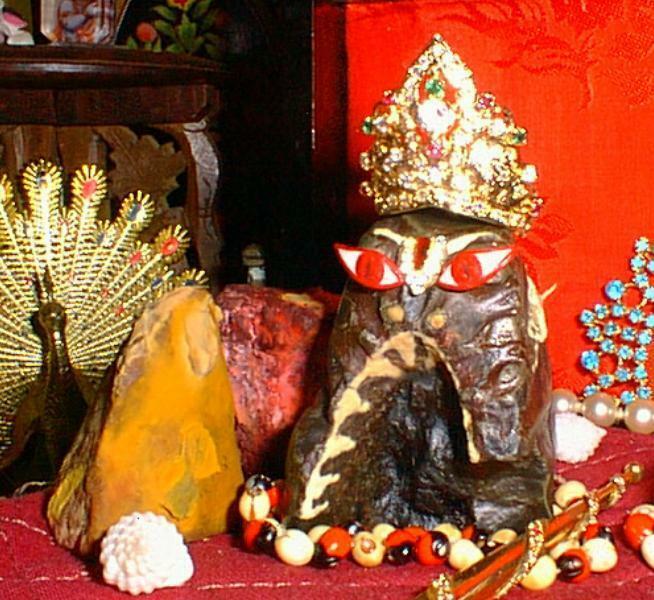 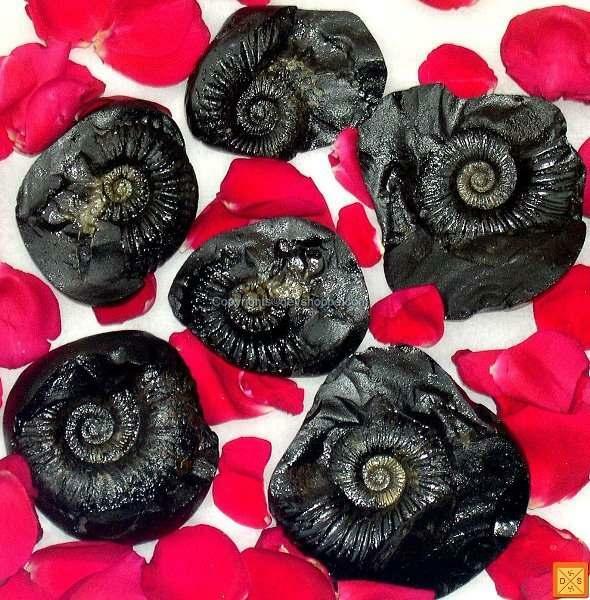 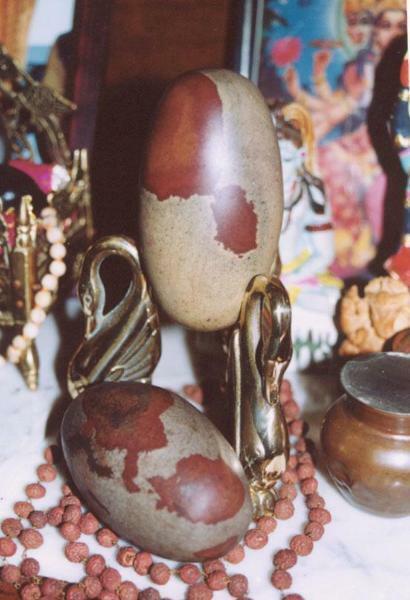 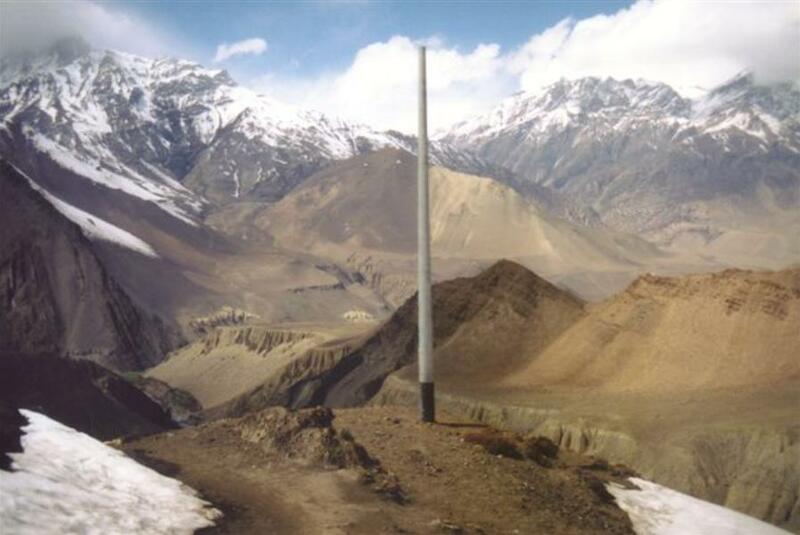 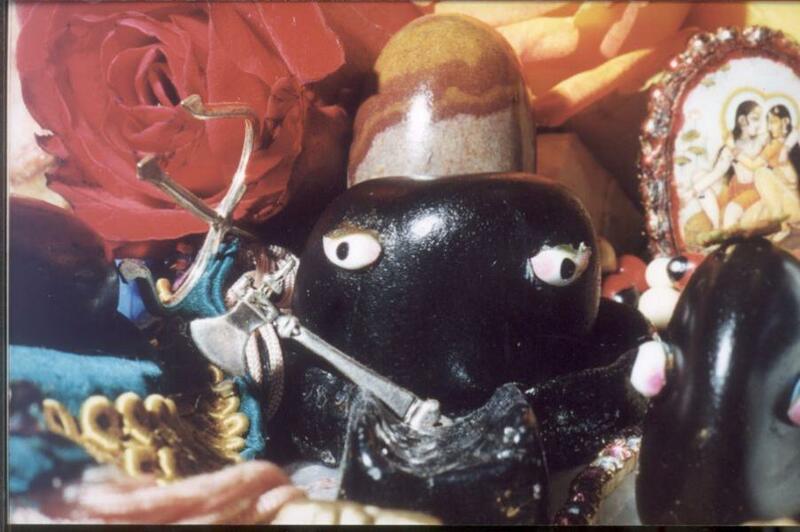 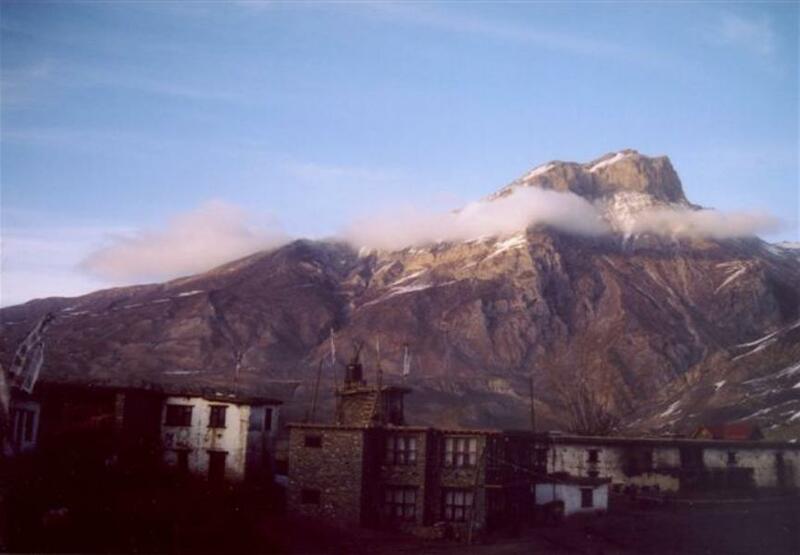 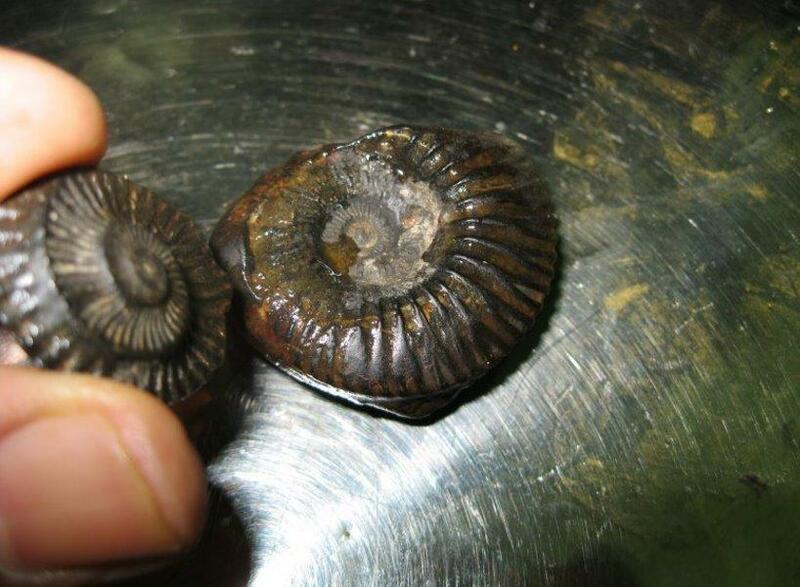 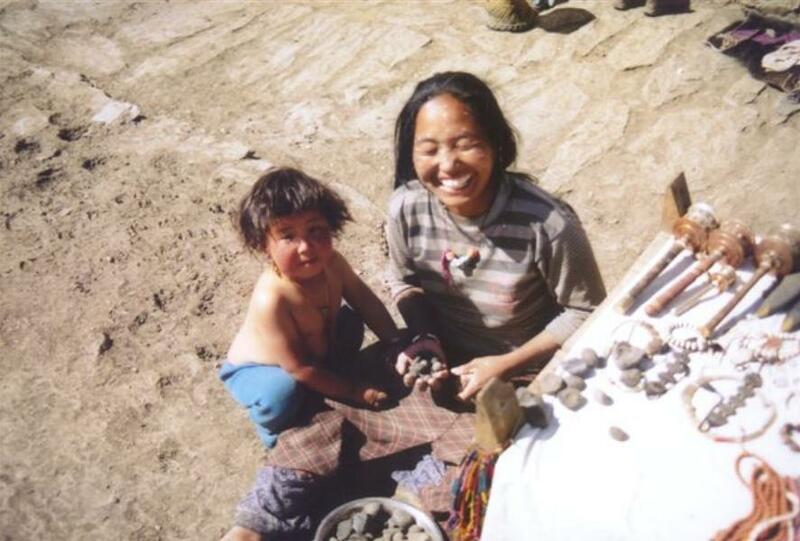 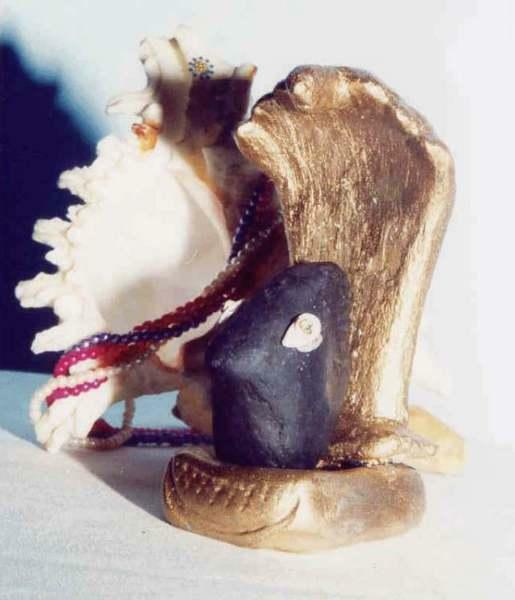 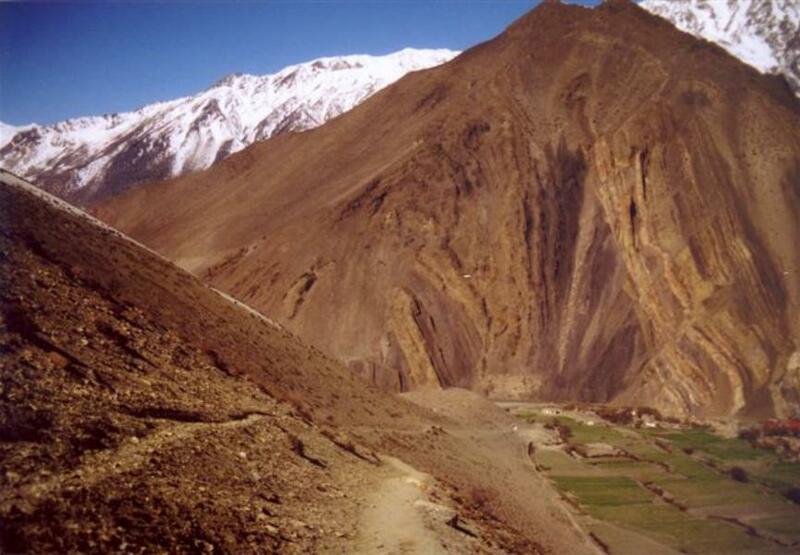 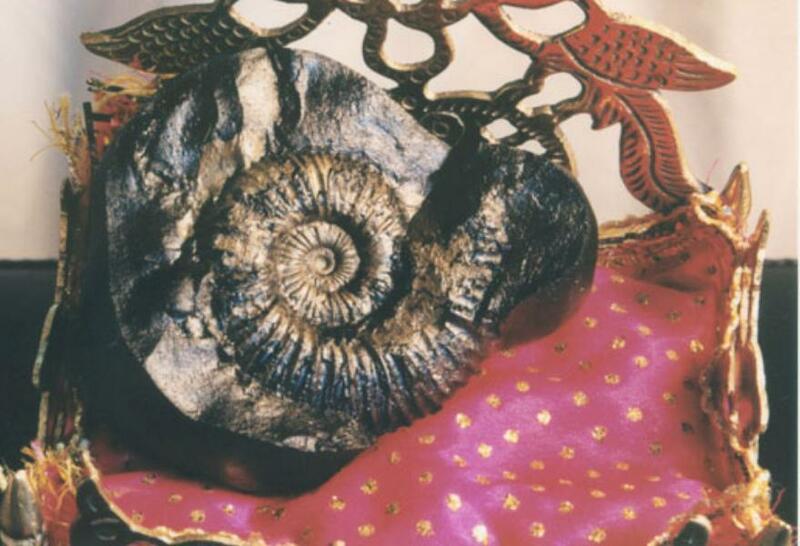 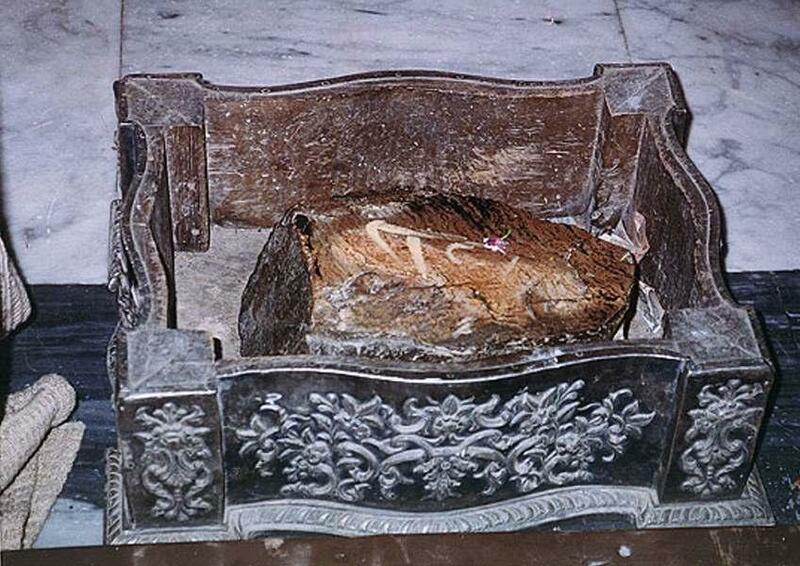 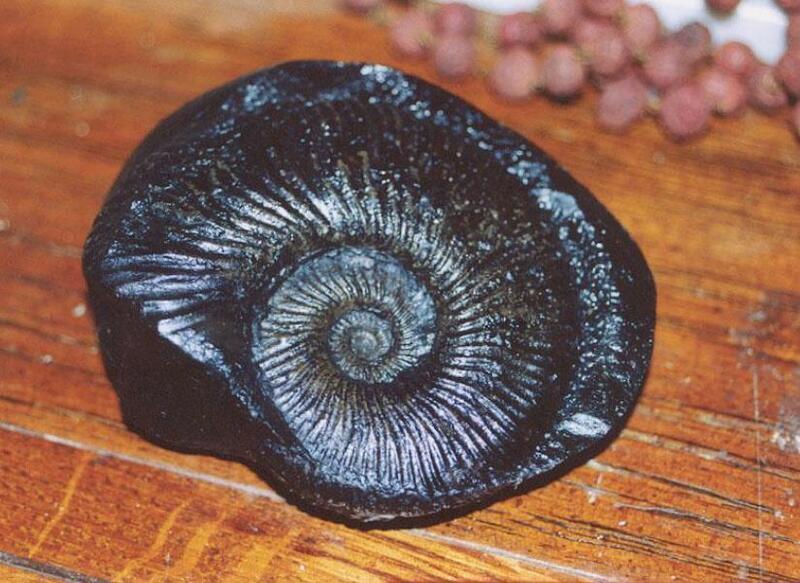 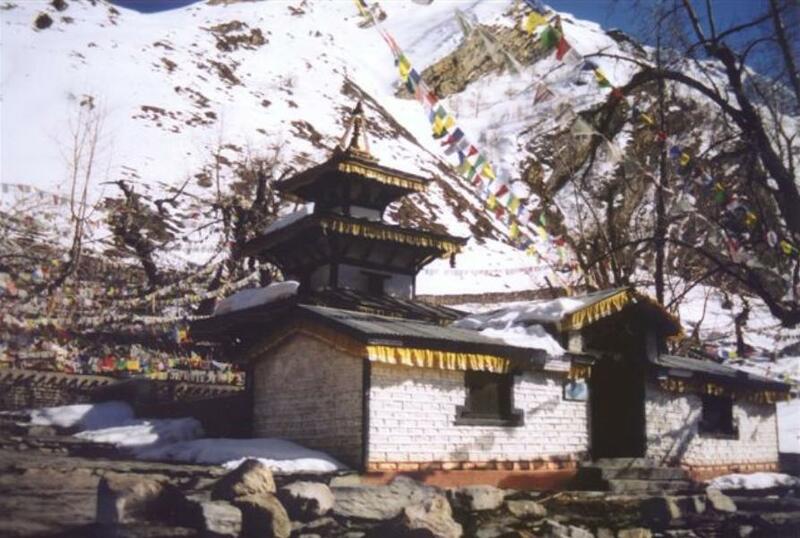 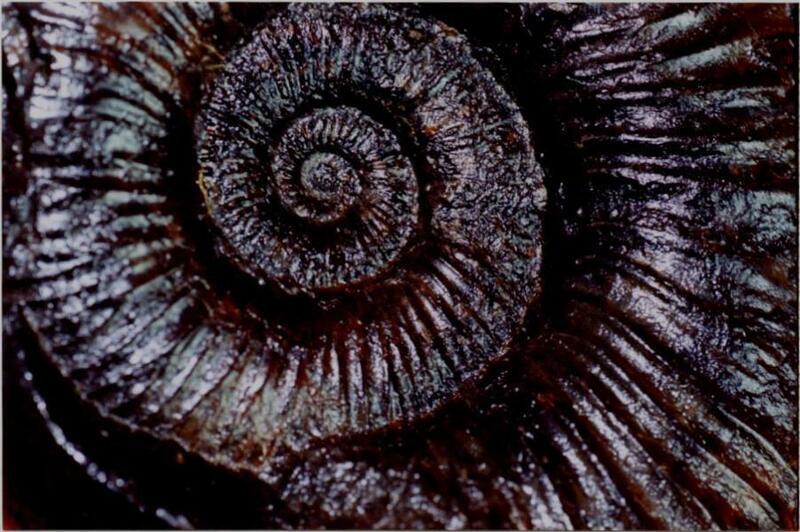 The Vajra keeta worms drills the stone, get inside and live there. 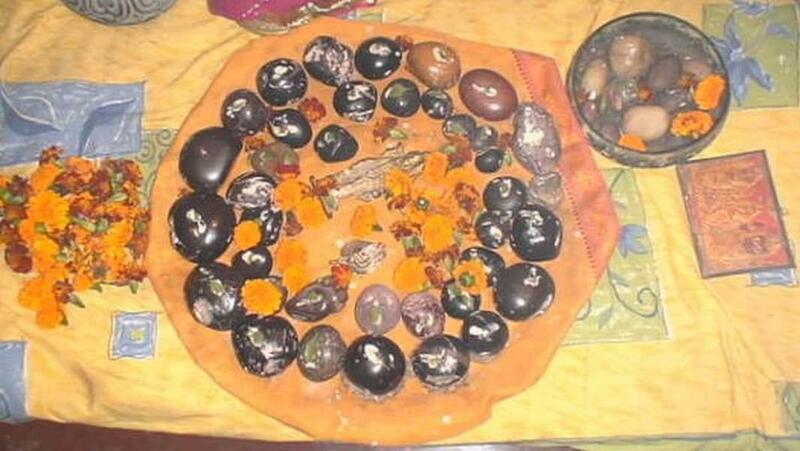 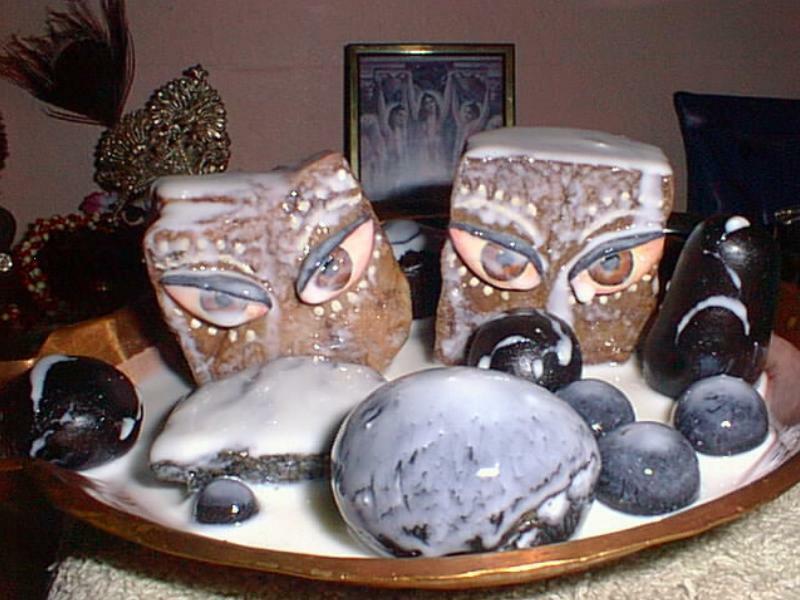 During their stay inside the stones, they cause these chakras. 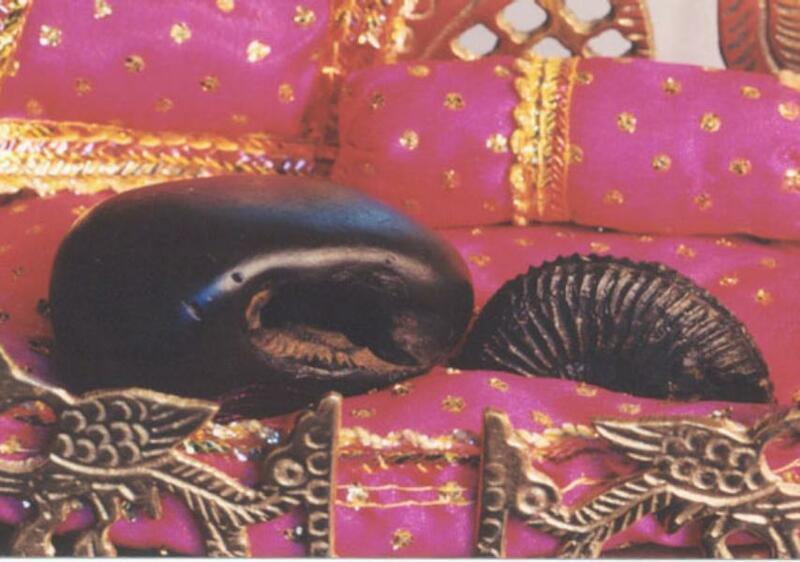 The Puranic declaration i that the Lord himself causes these chakras in the guise of worms. 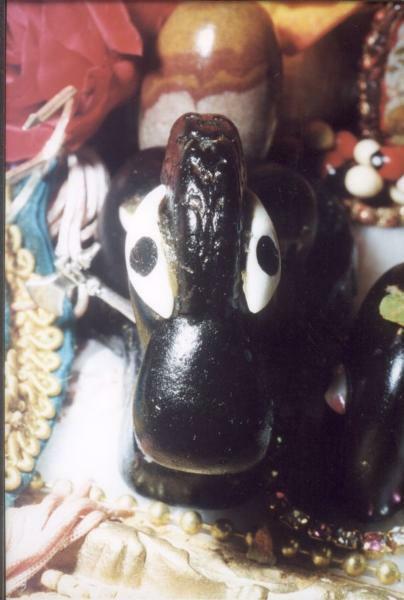 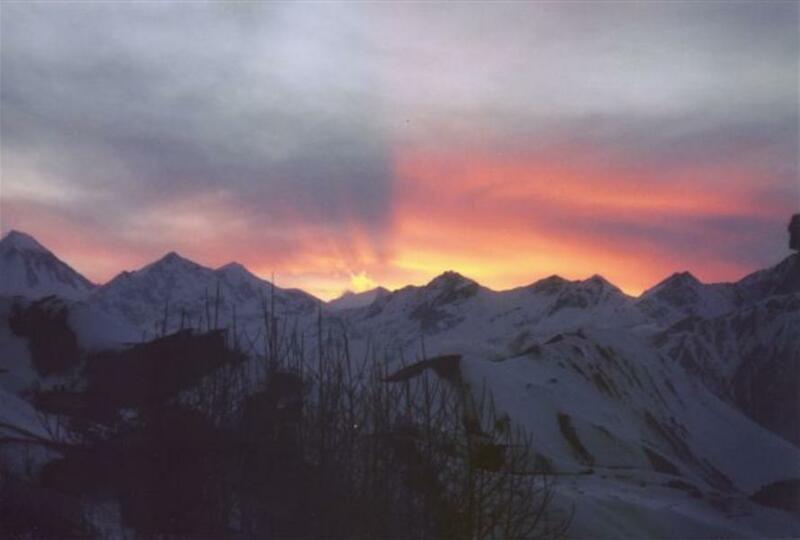 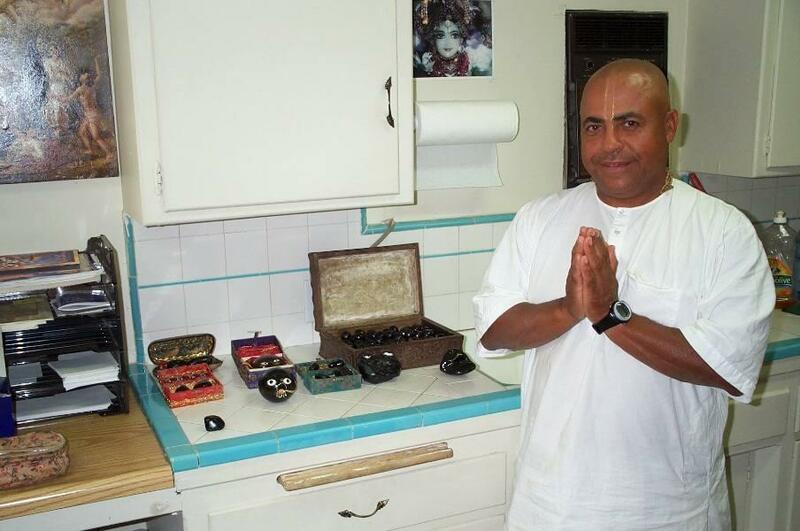 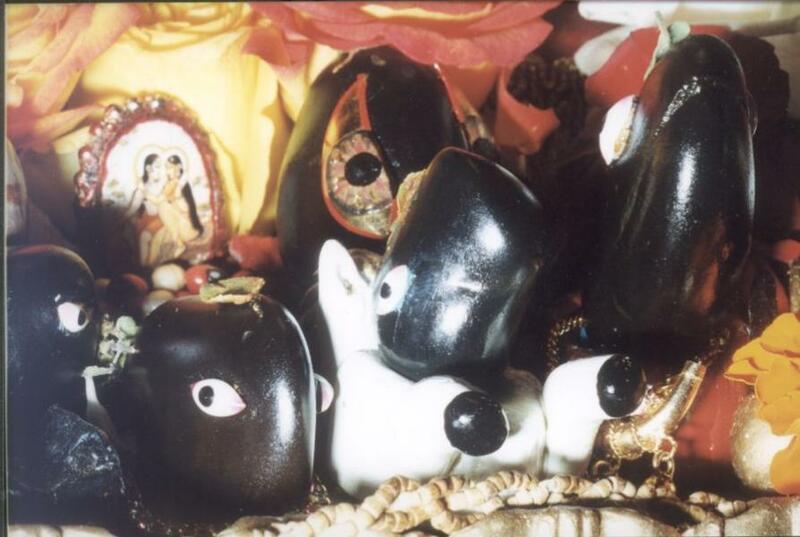 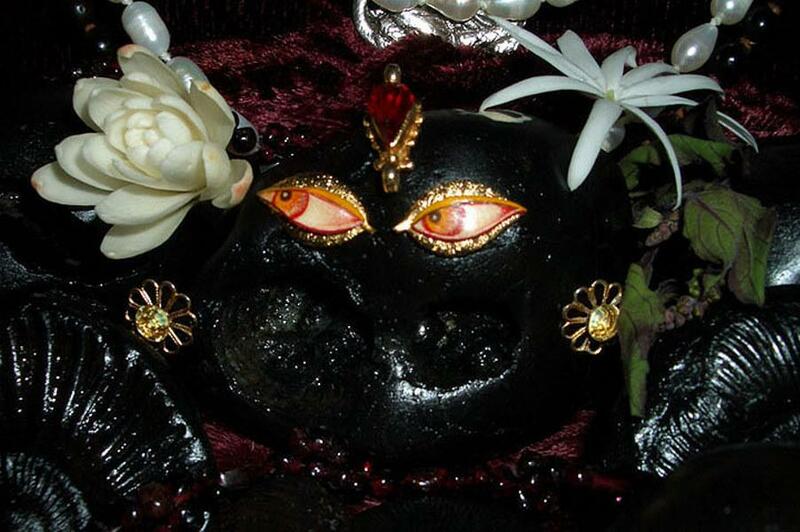 He reveals his presence in Saligram through the Chakras. 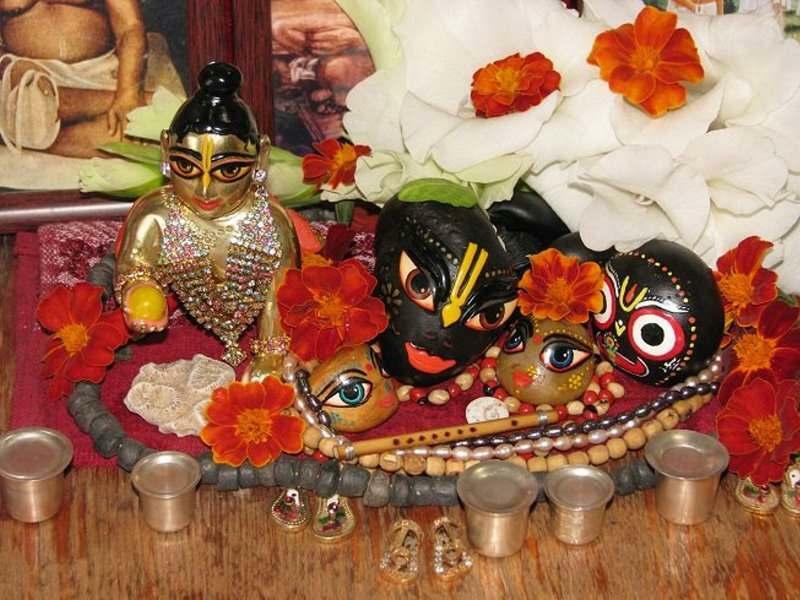 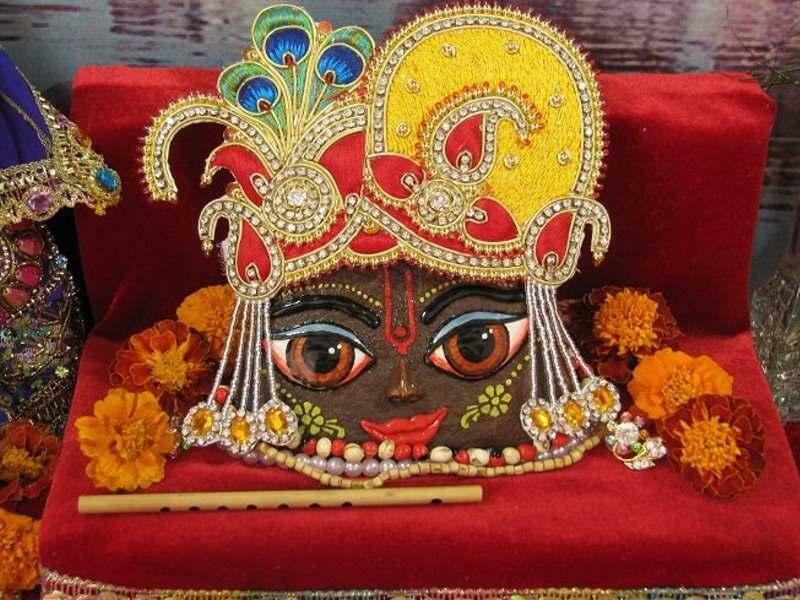 Because he is already present there by his own choice, we do not perform any pratishta-ritual for Saligram just as we do for other deities. 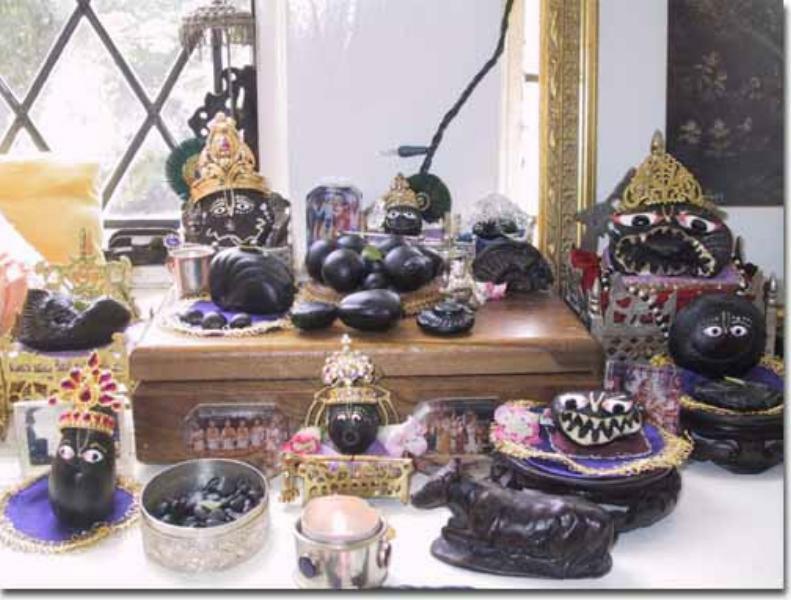 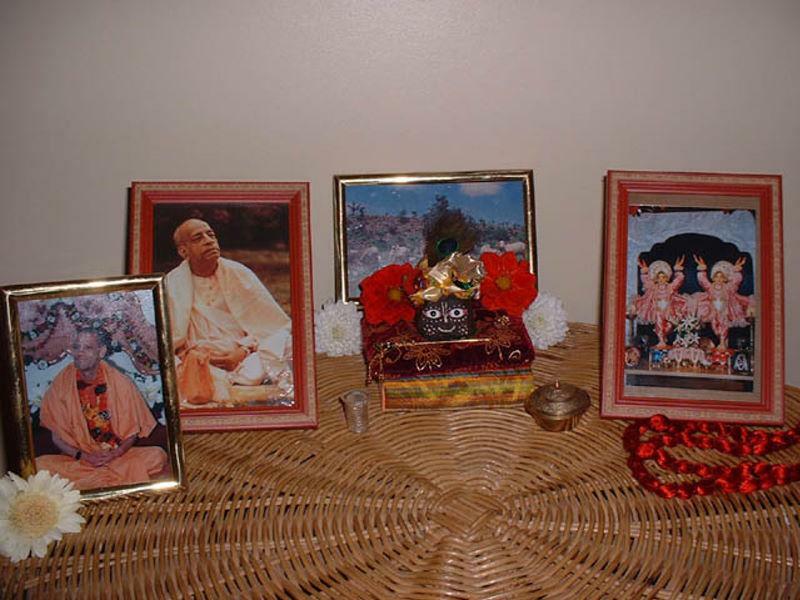 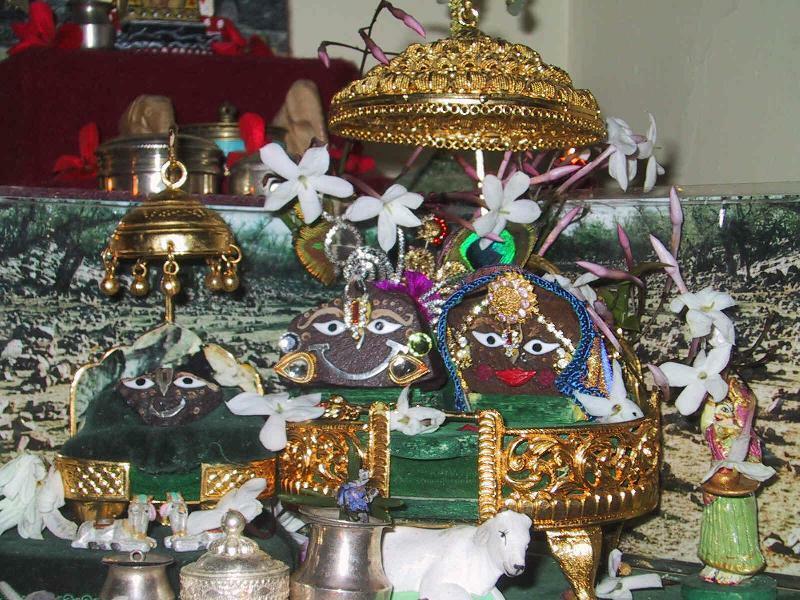 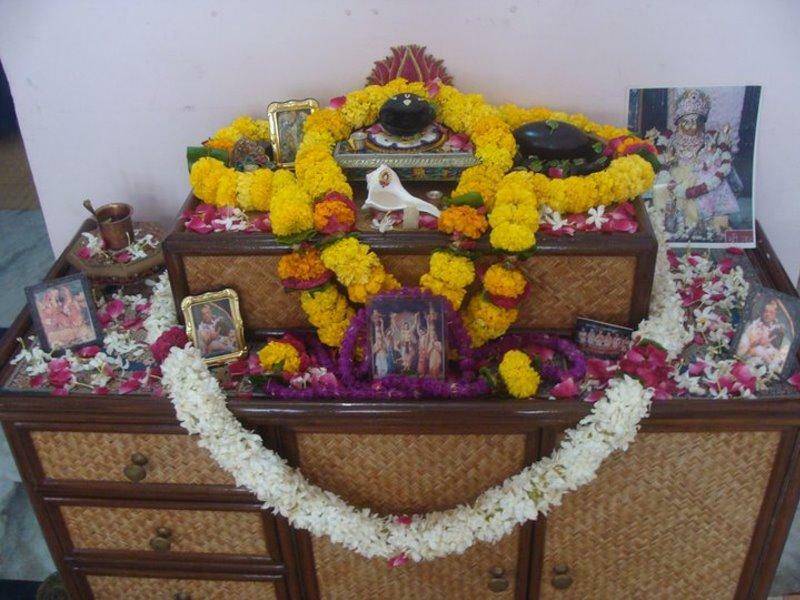 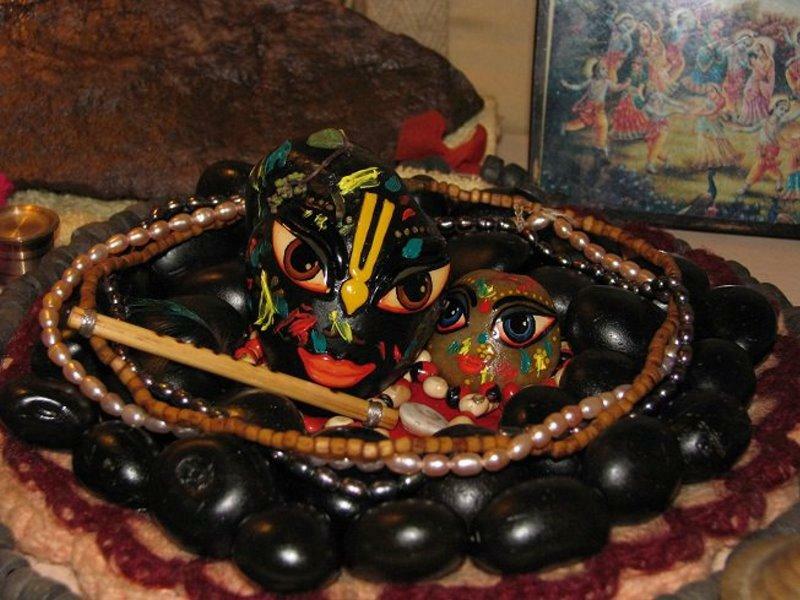 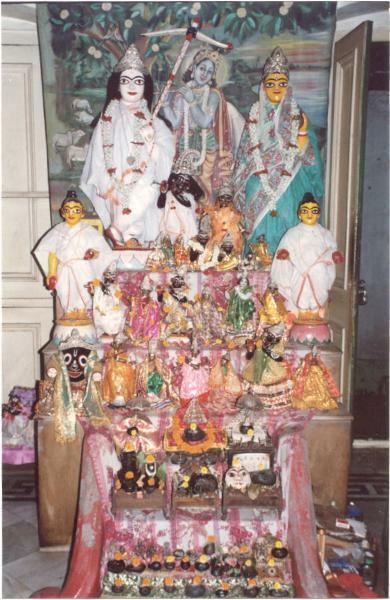 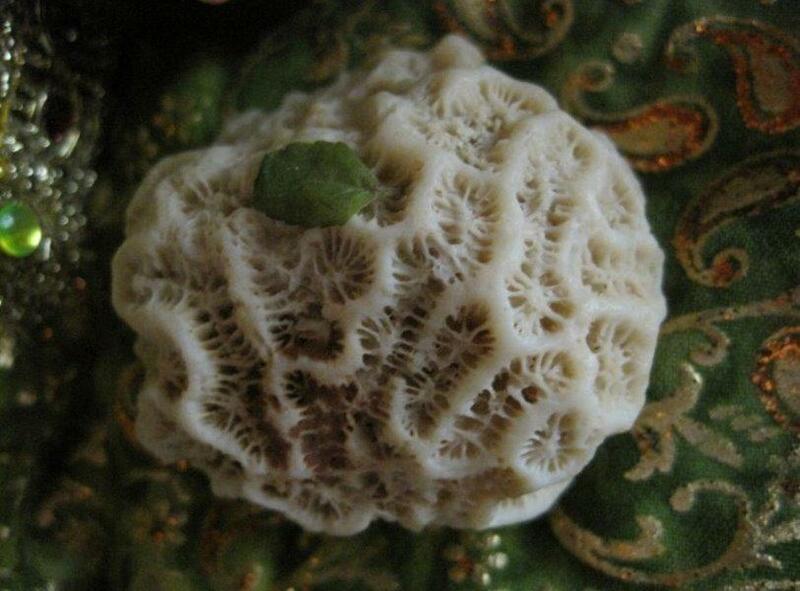 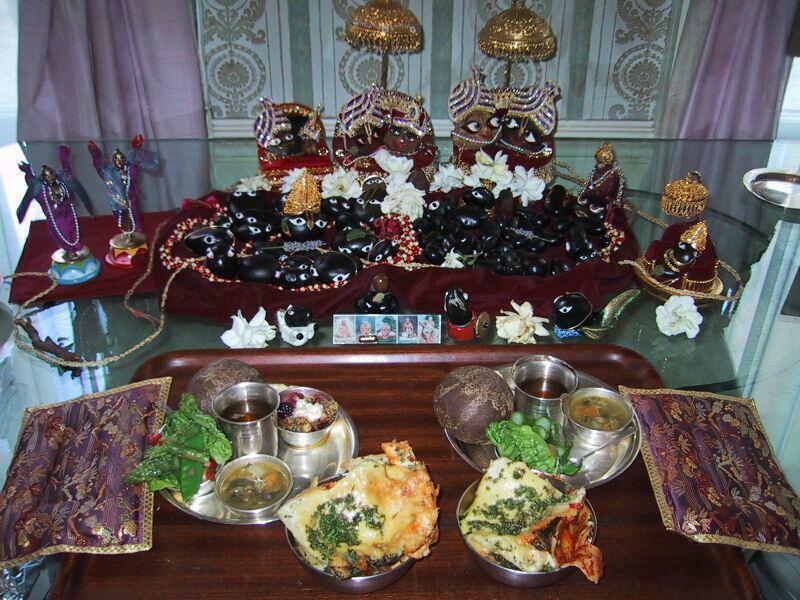 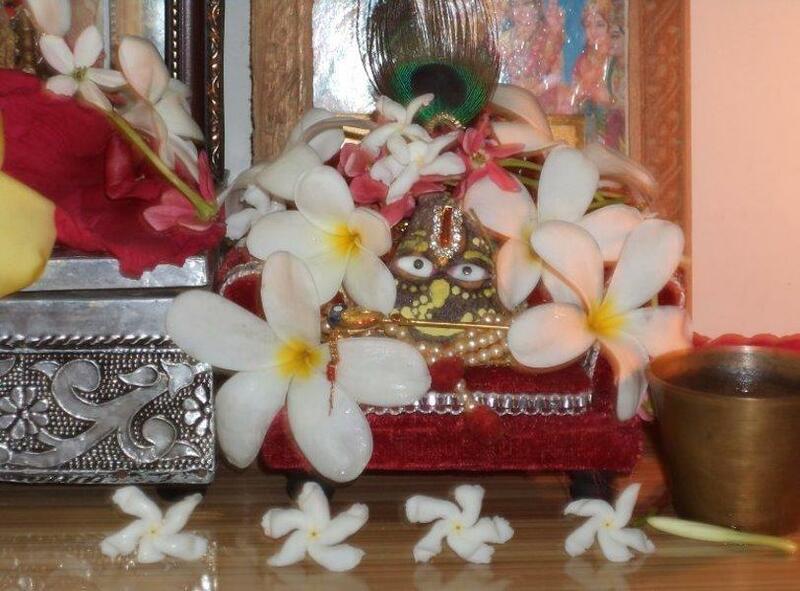 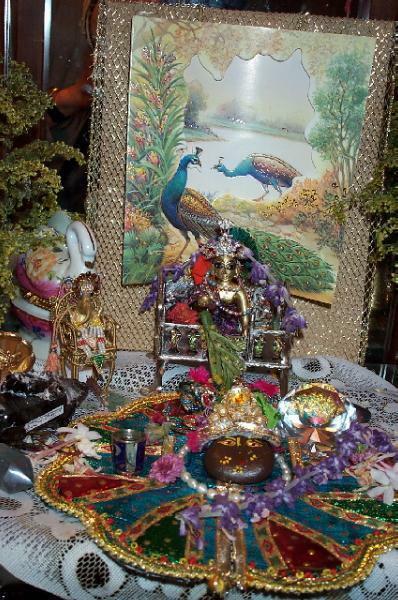 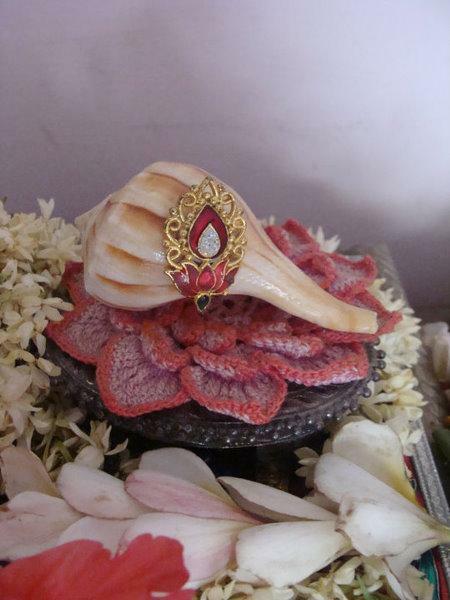 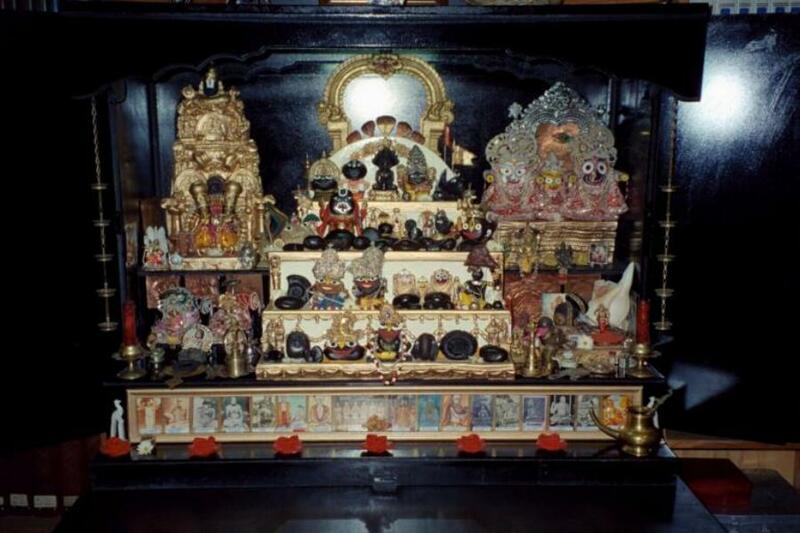 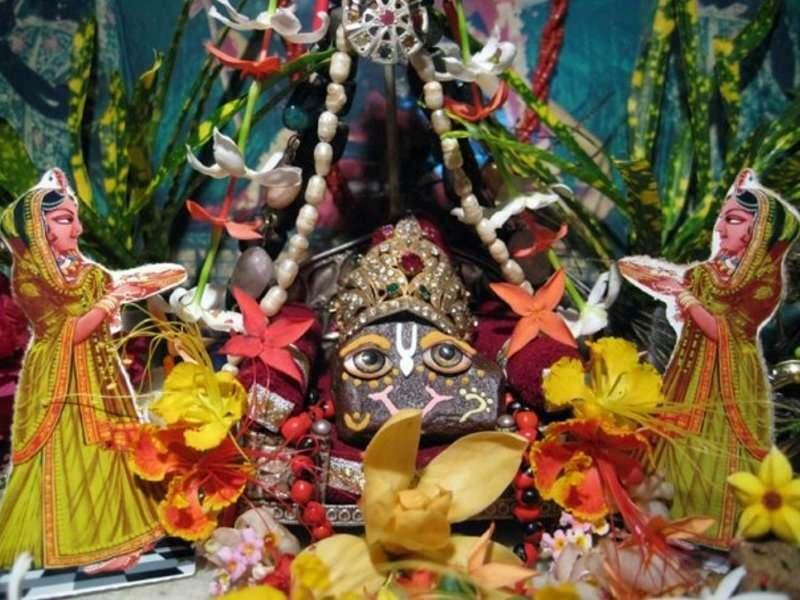 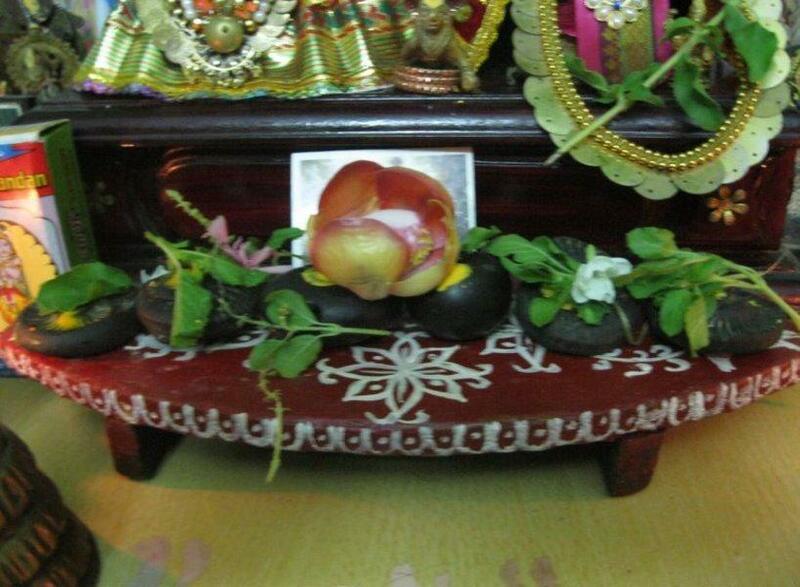 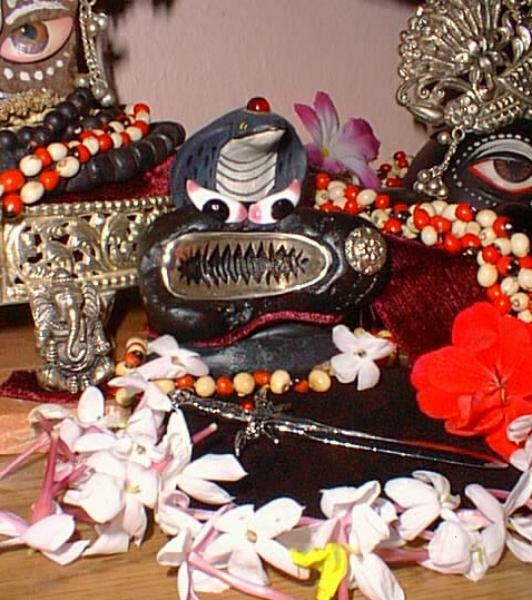 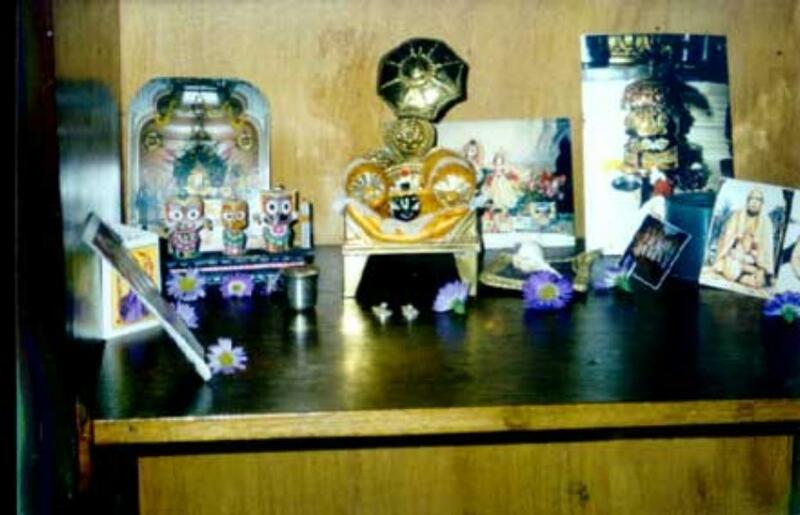 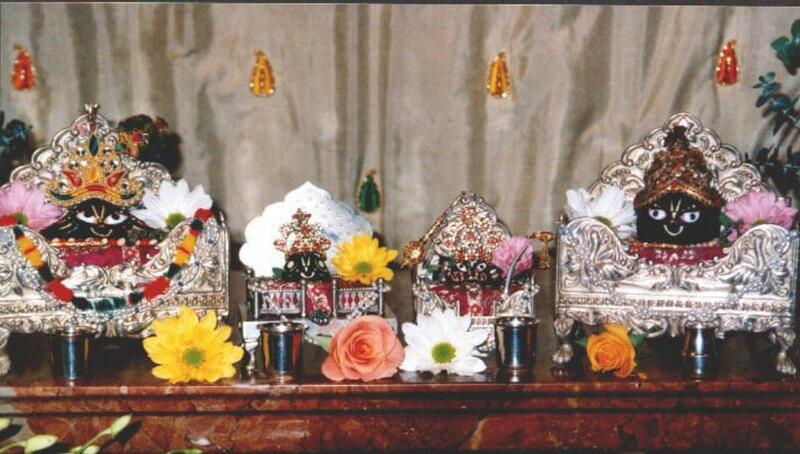 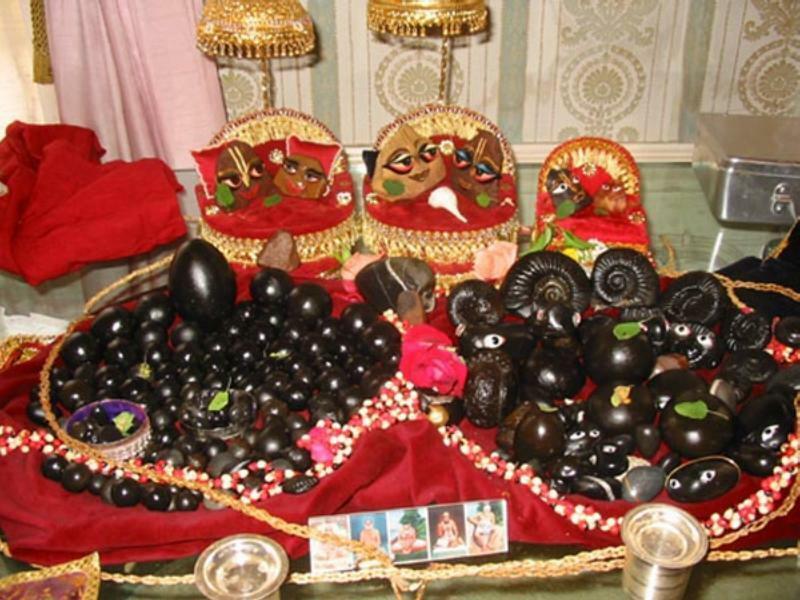 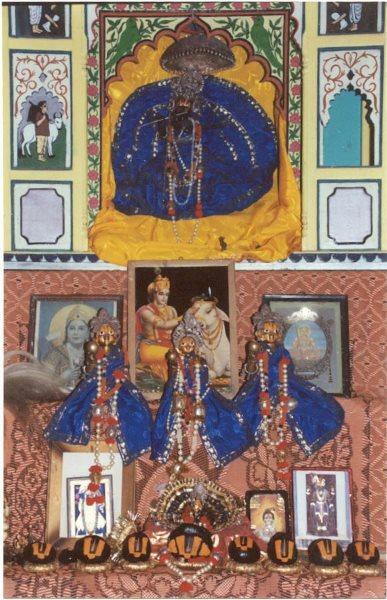 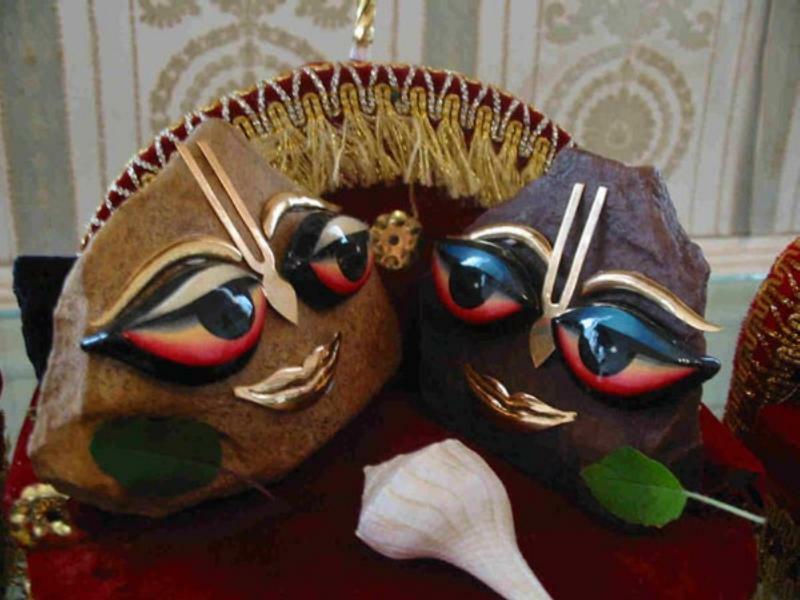 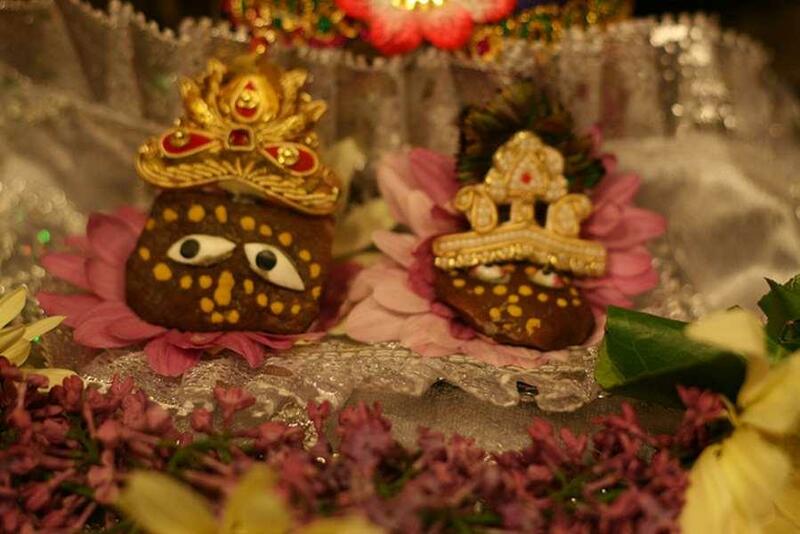 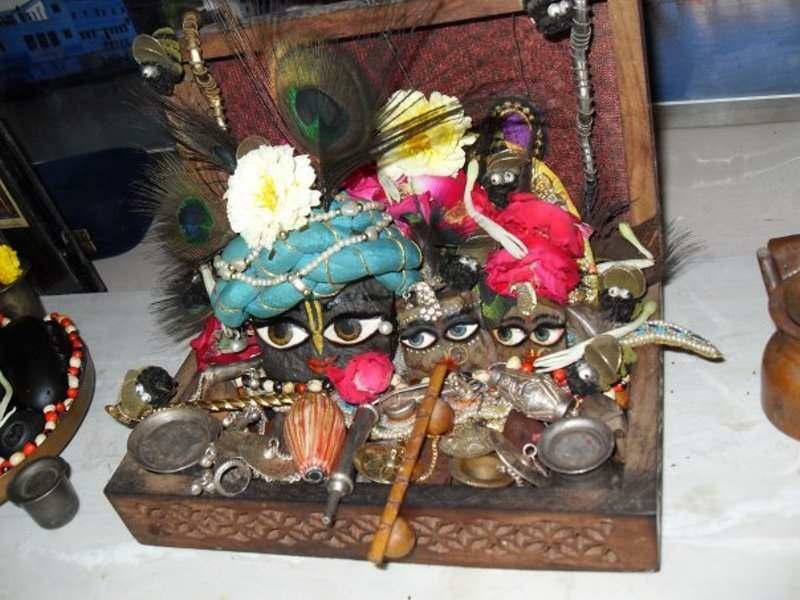 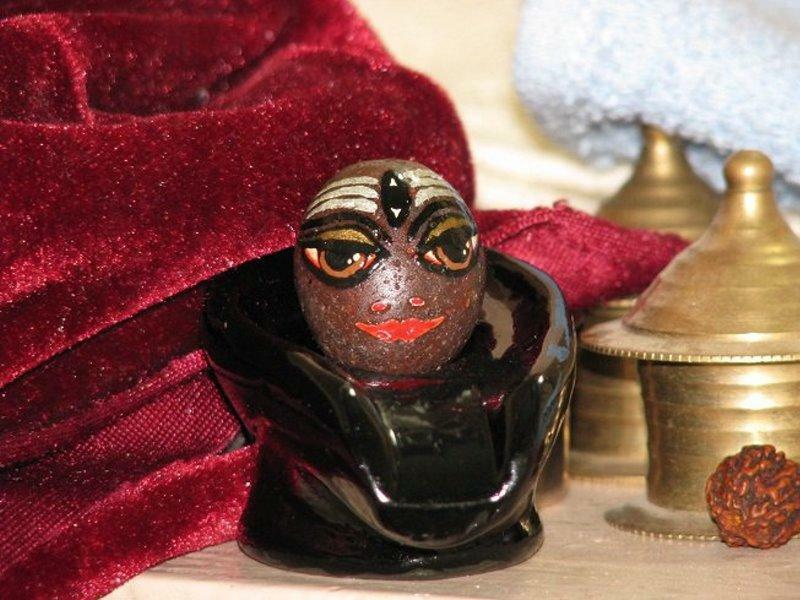 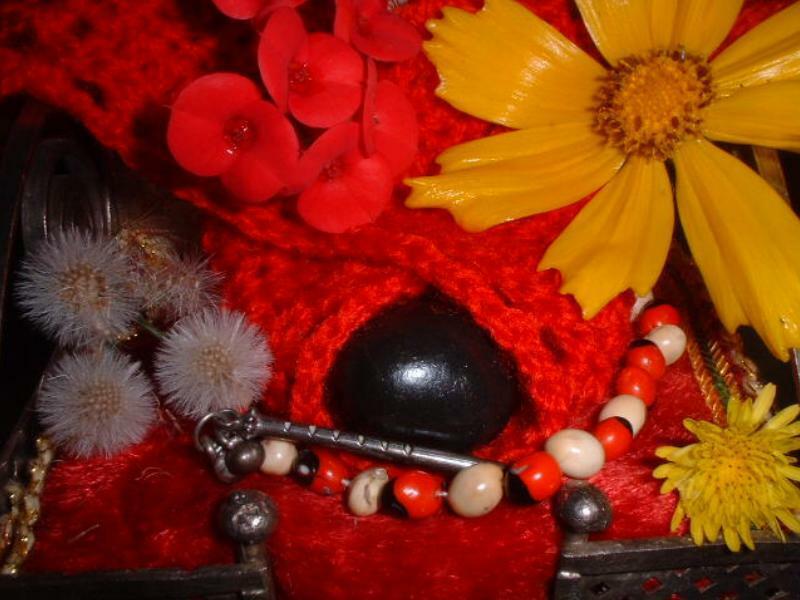 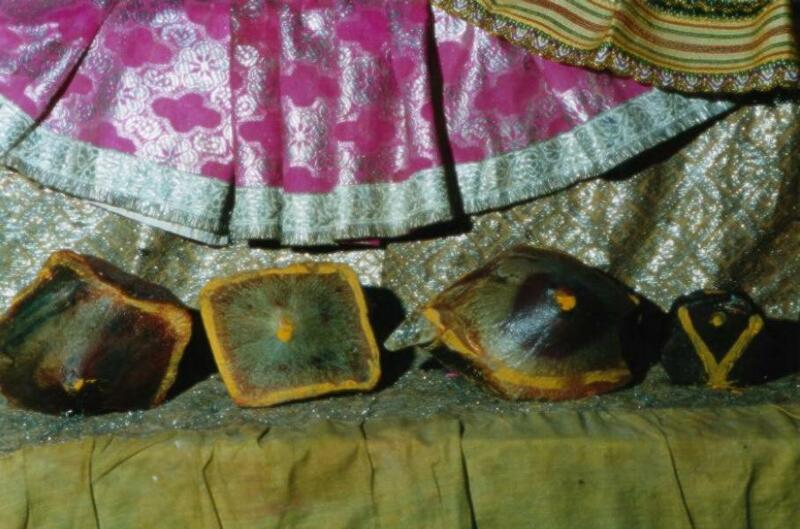 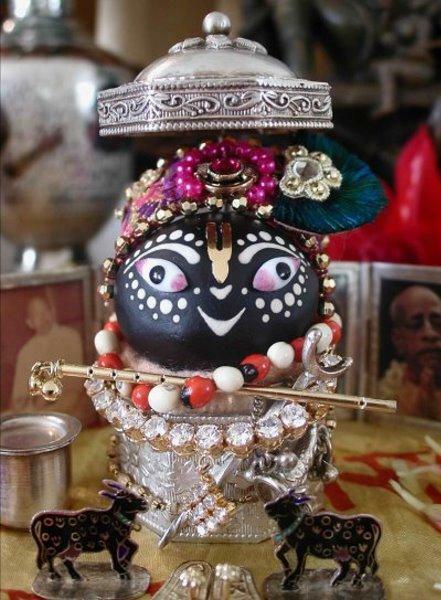 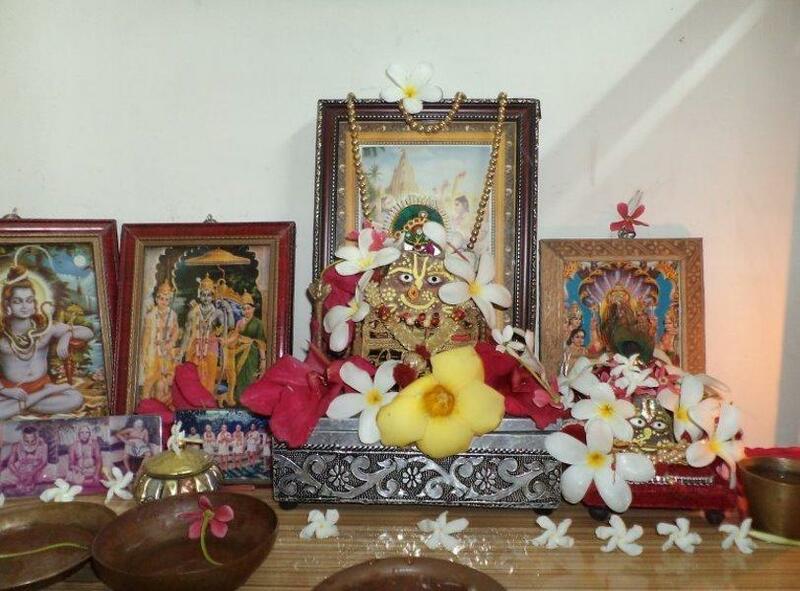 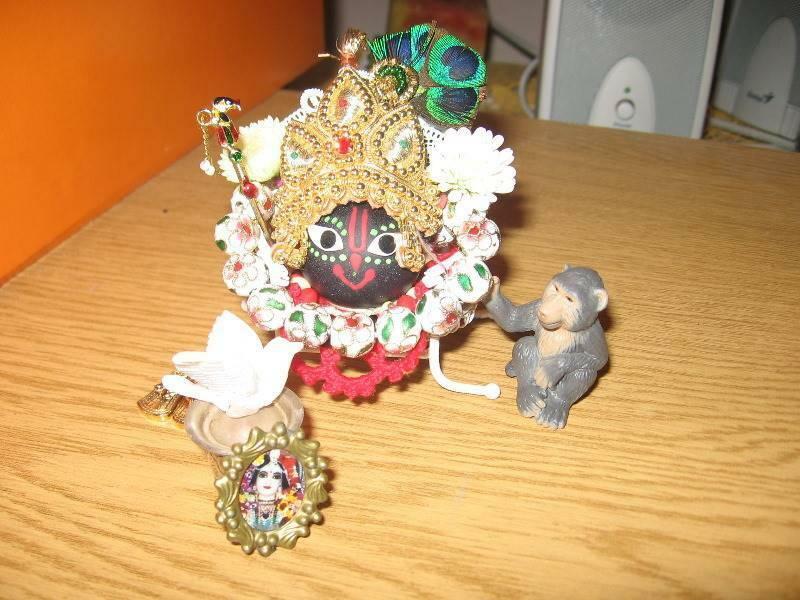 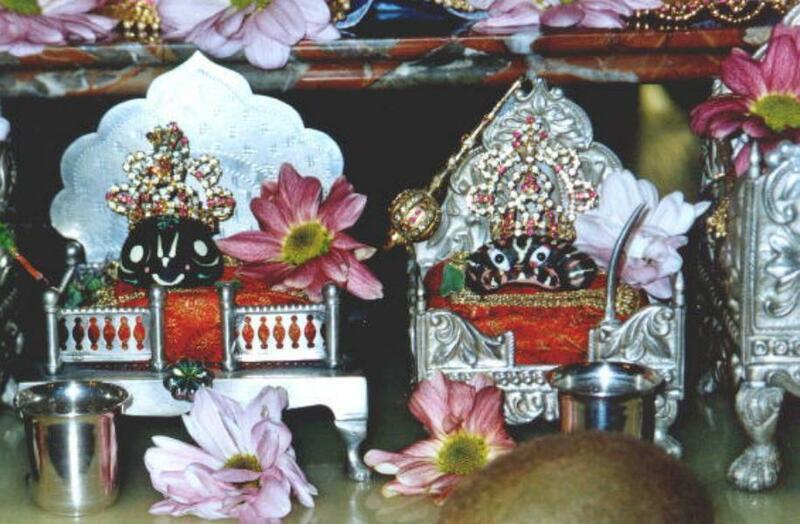 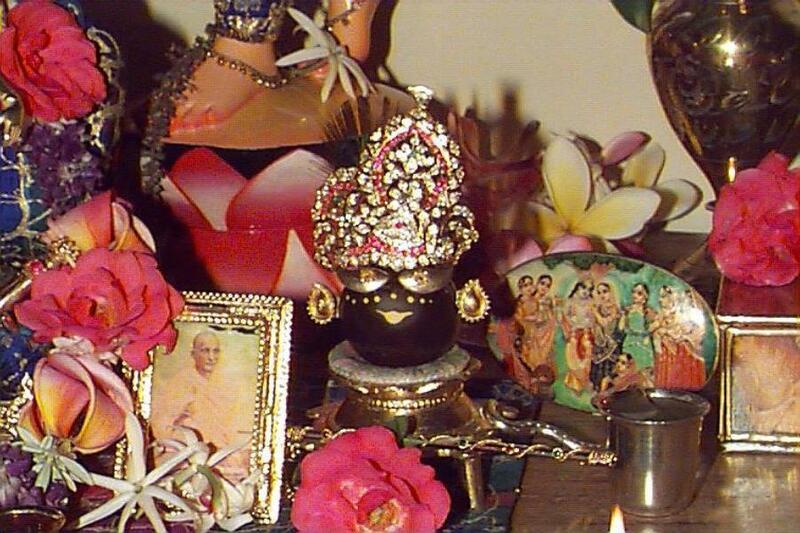 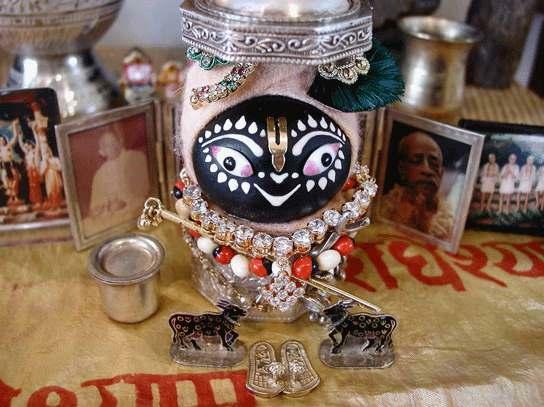 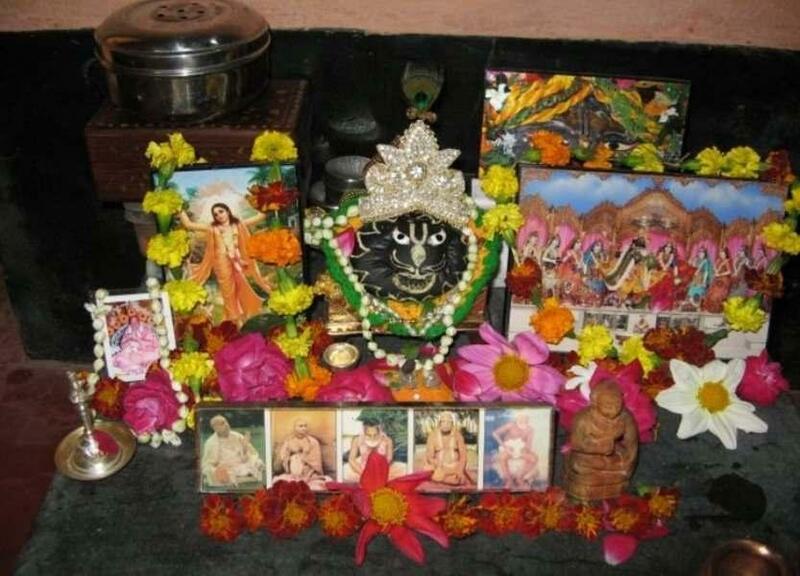 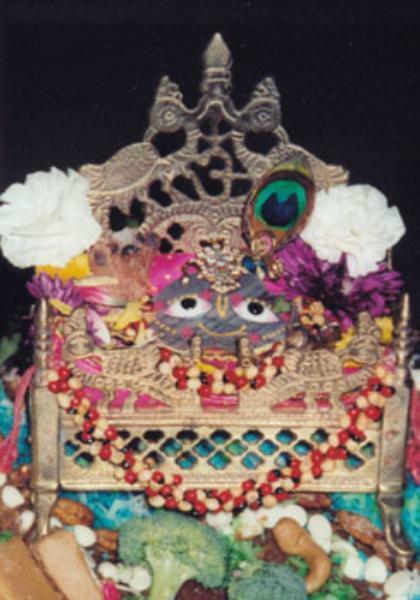 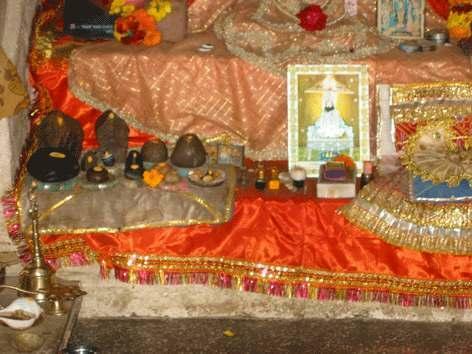 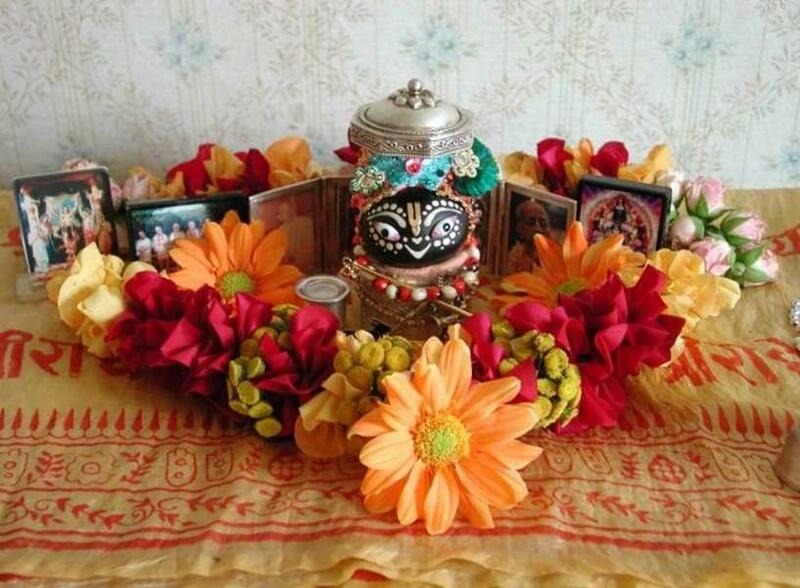 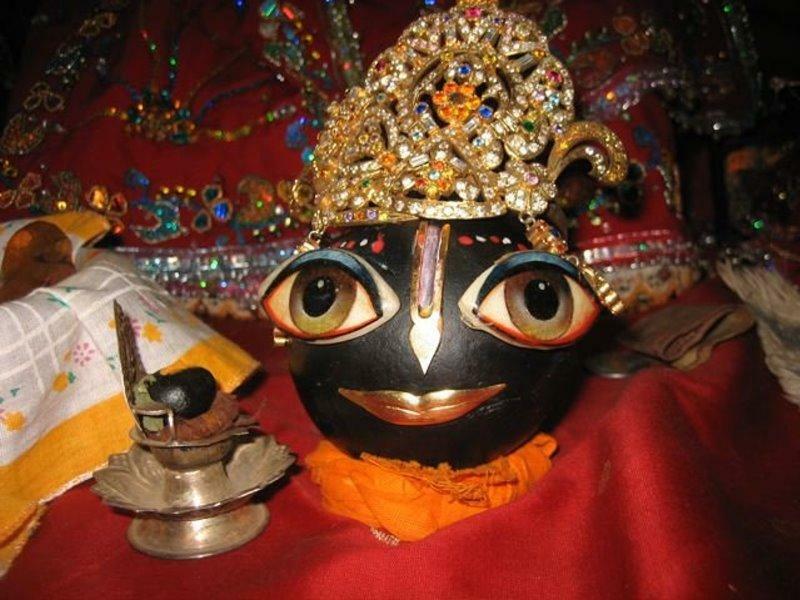 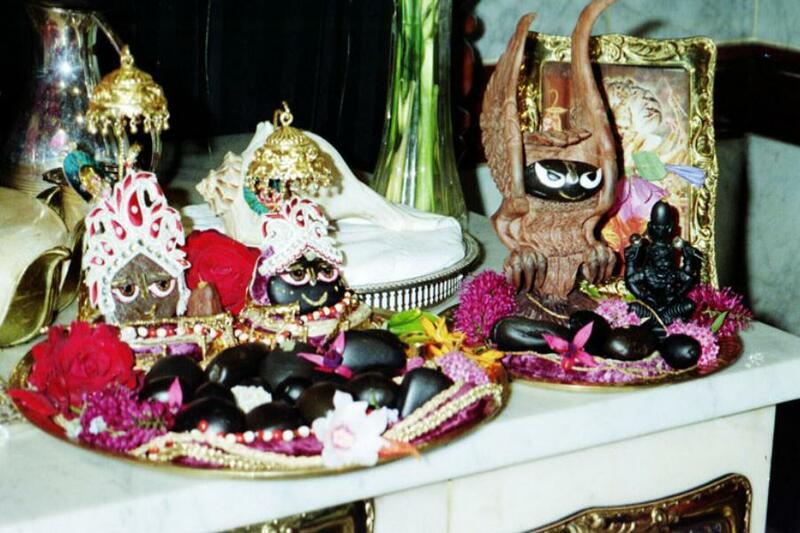 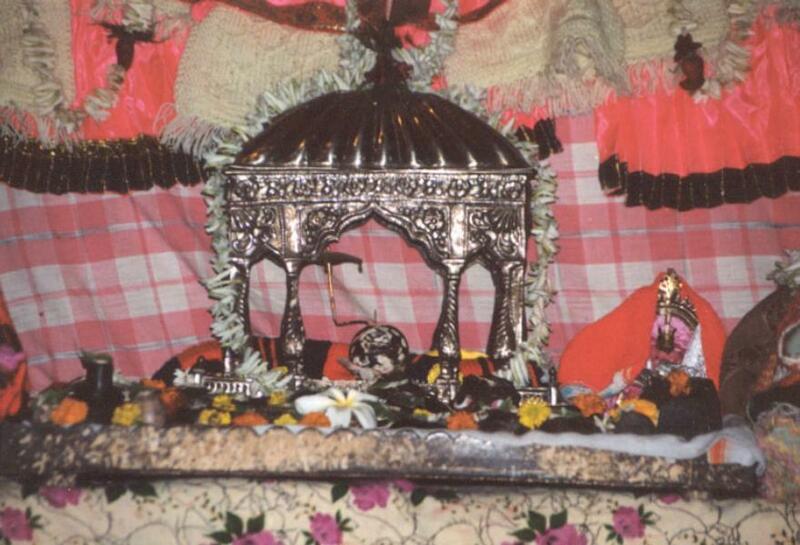 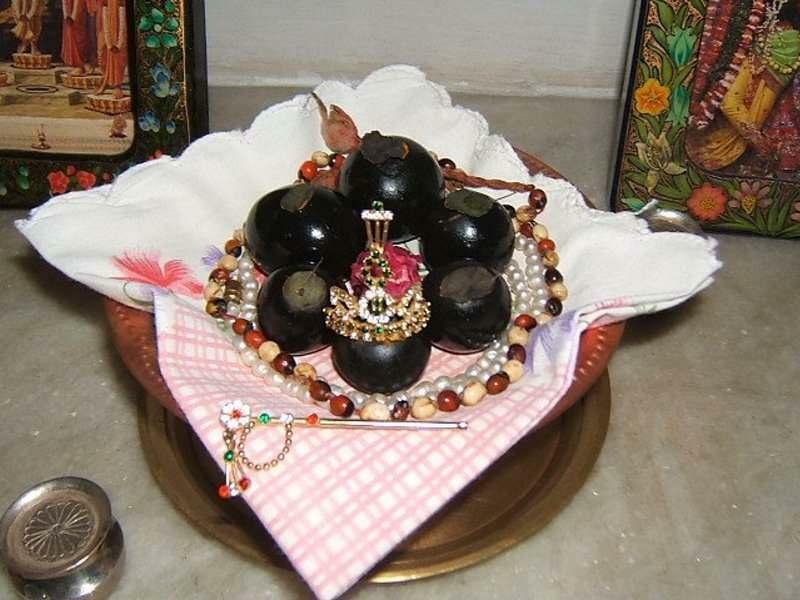 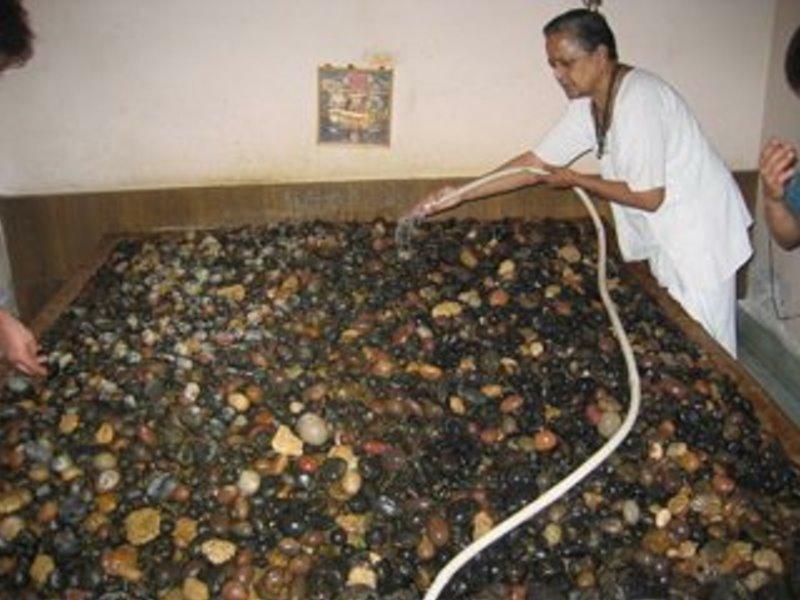 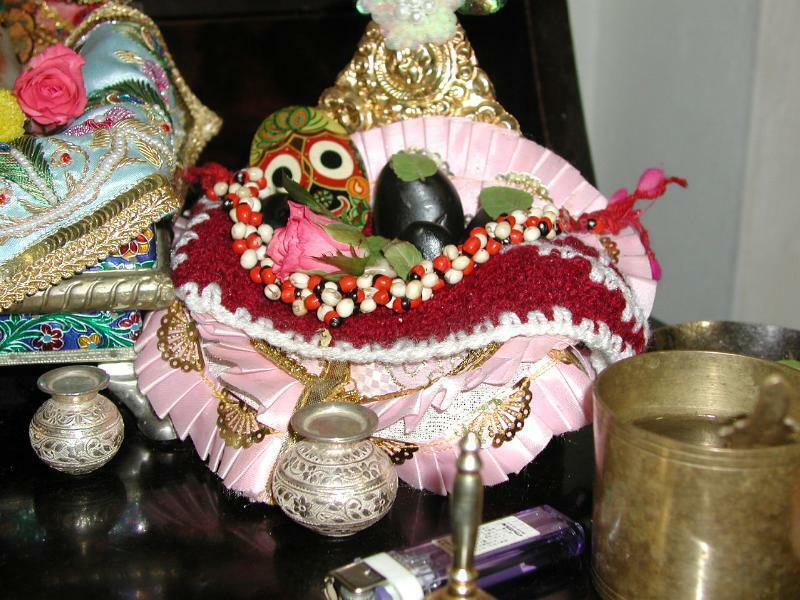 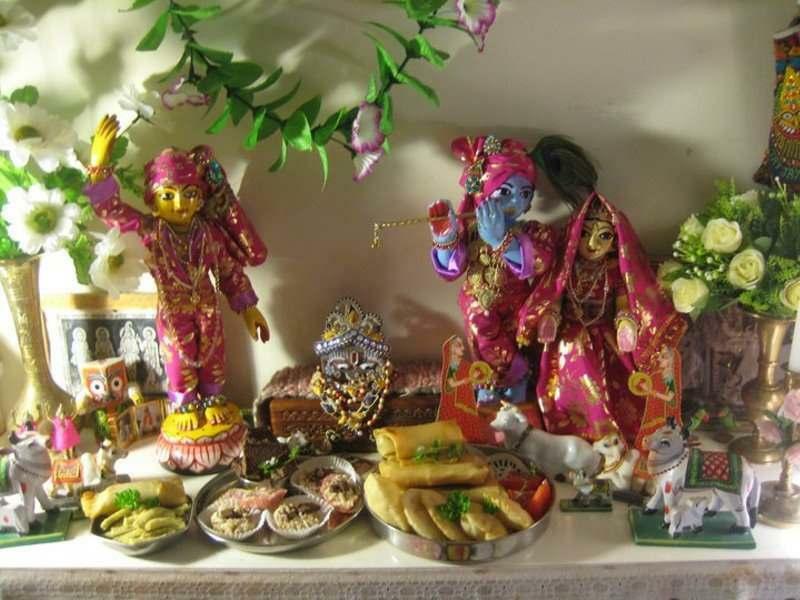 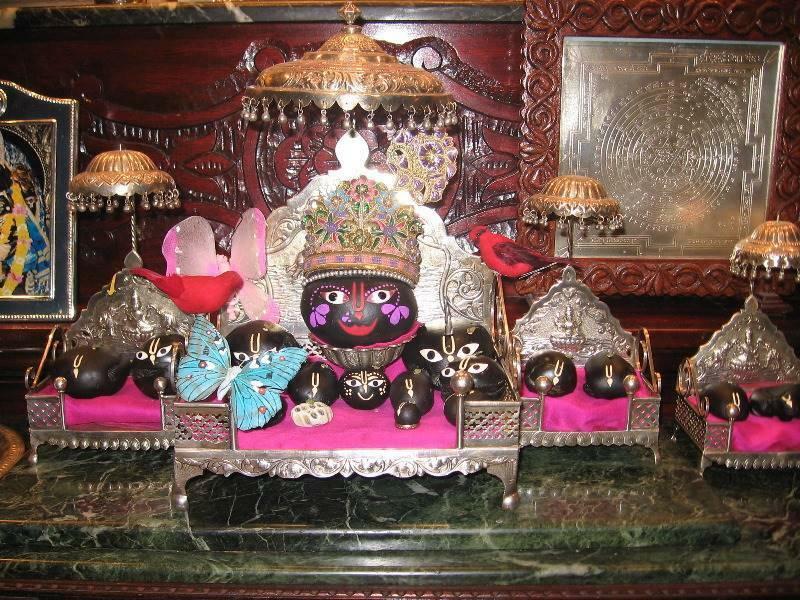 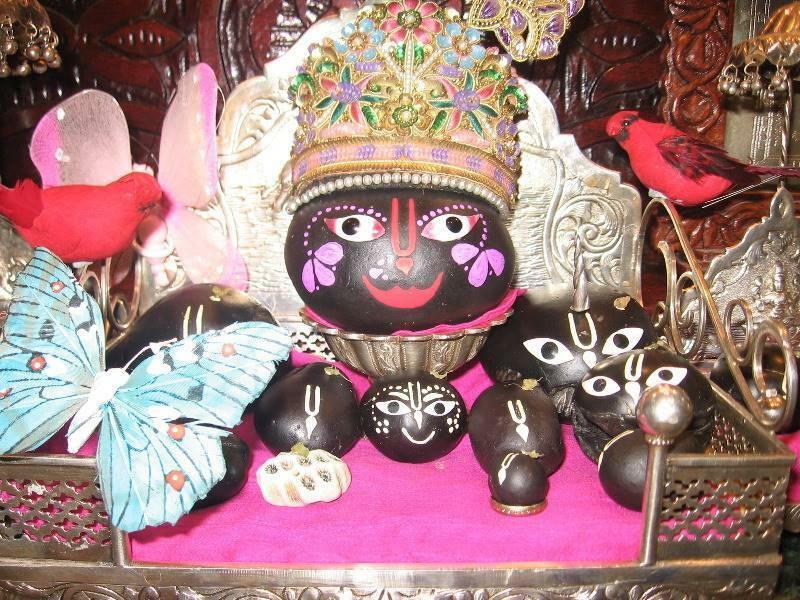 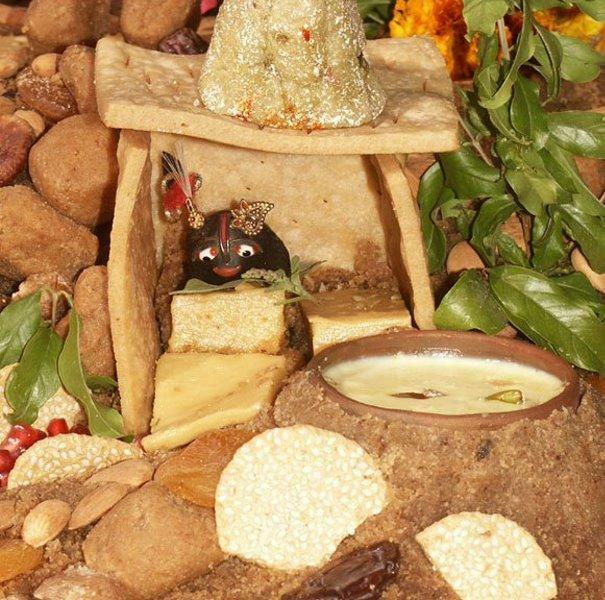 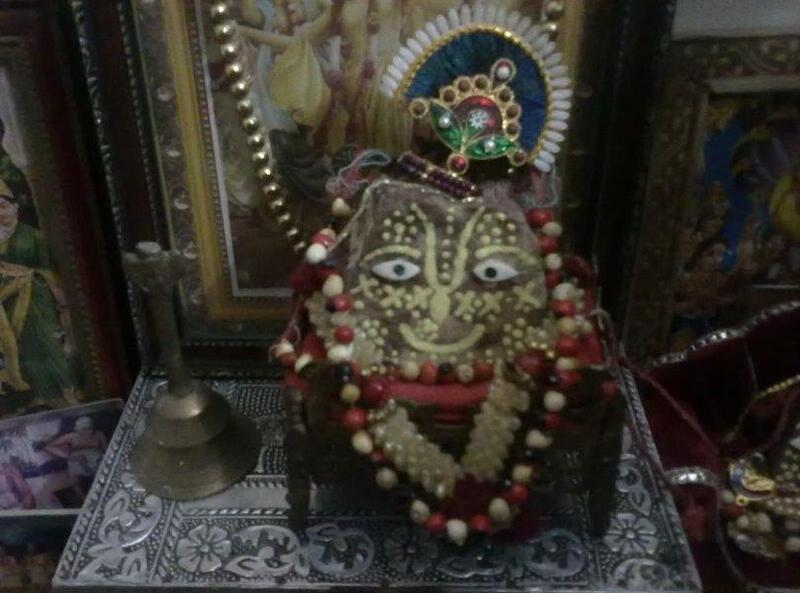 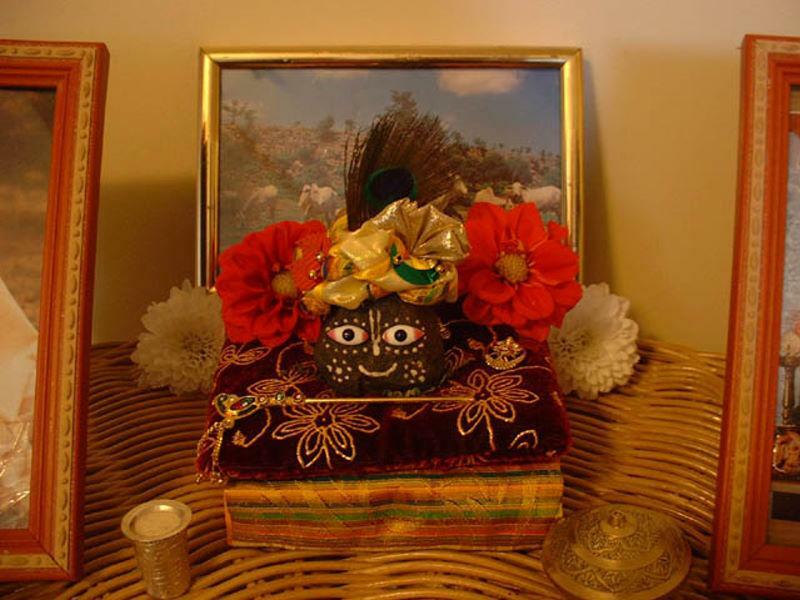 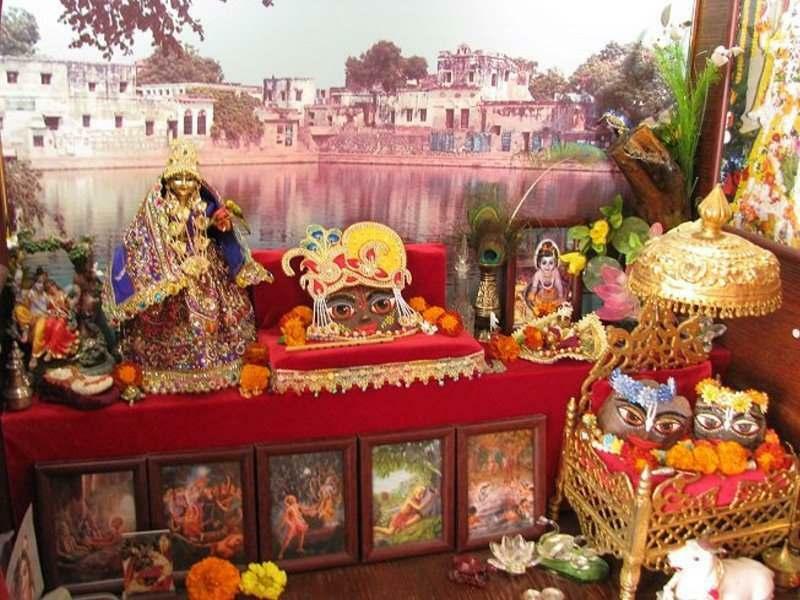 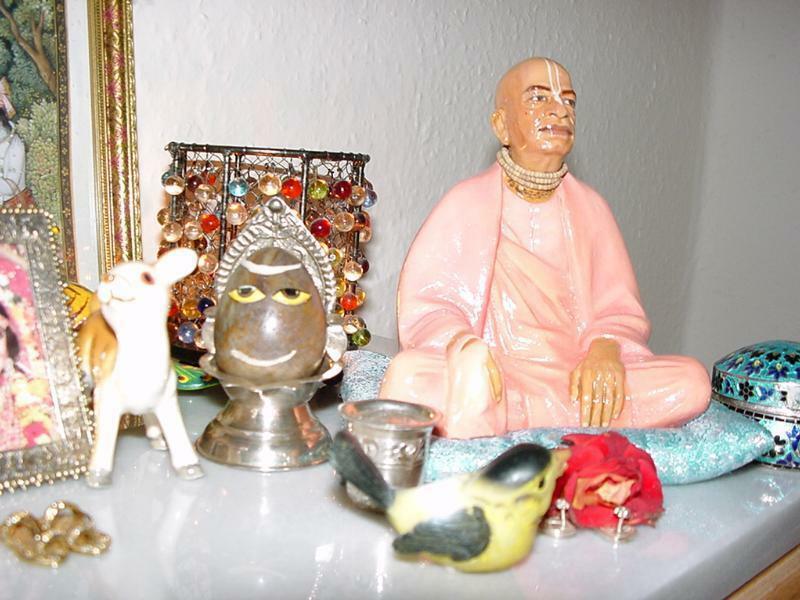 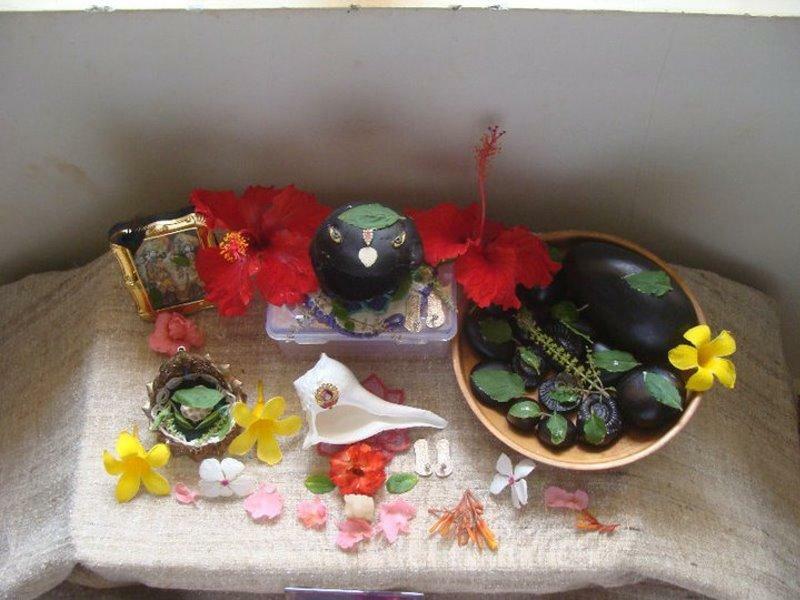 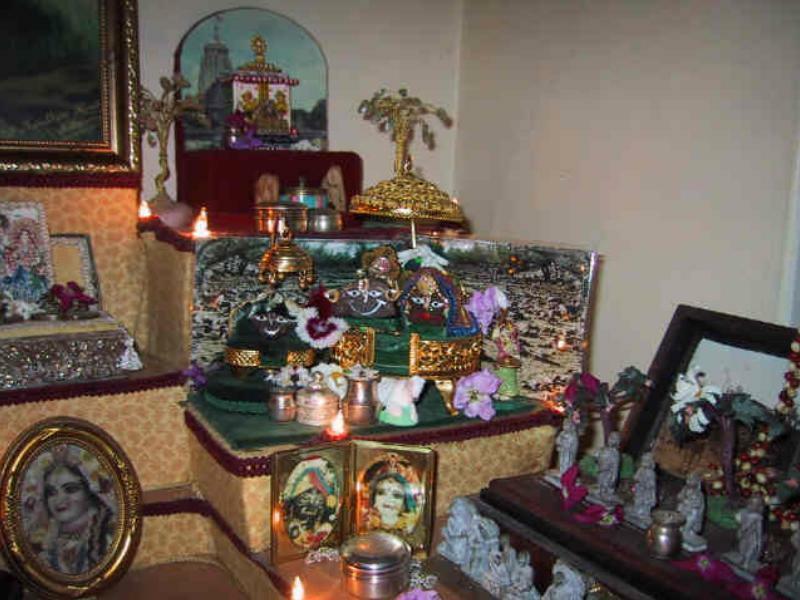 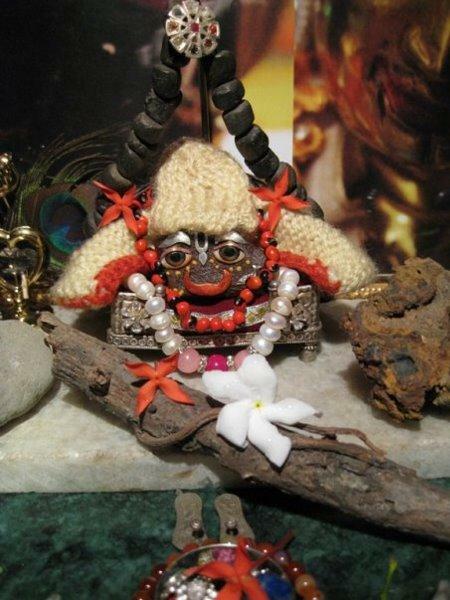 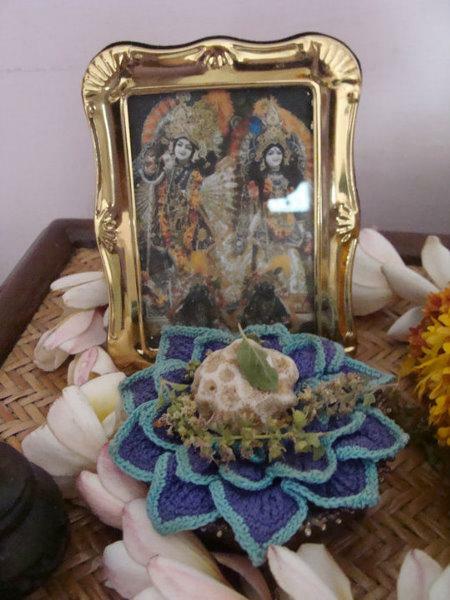 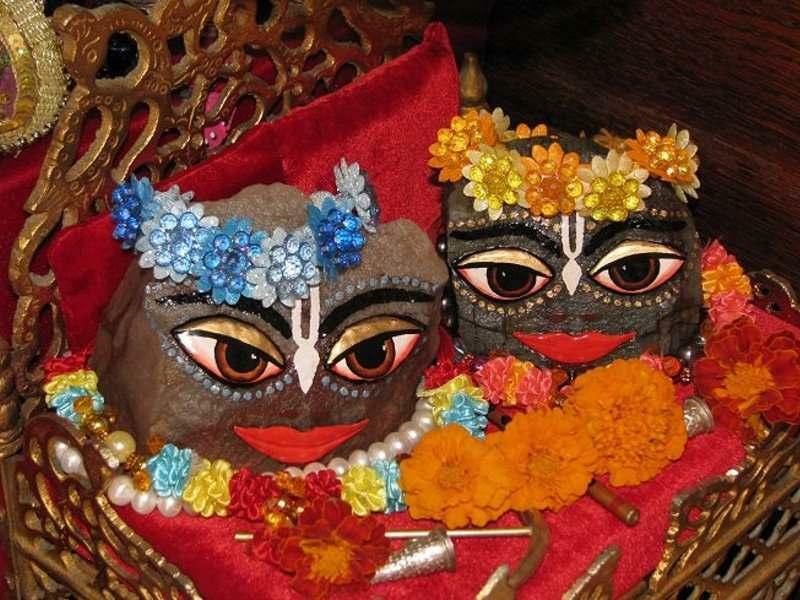 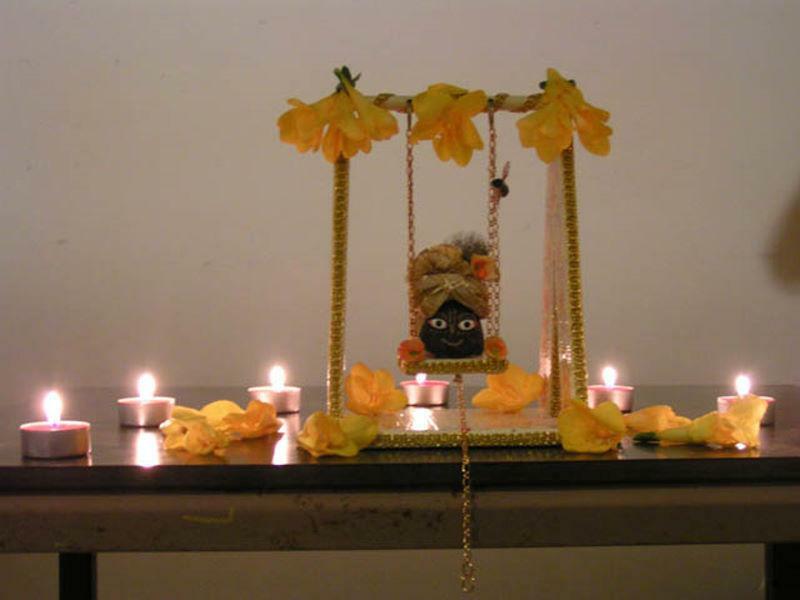 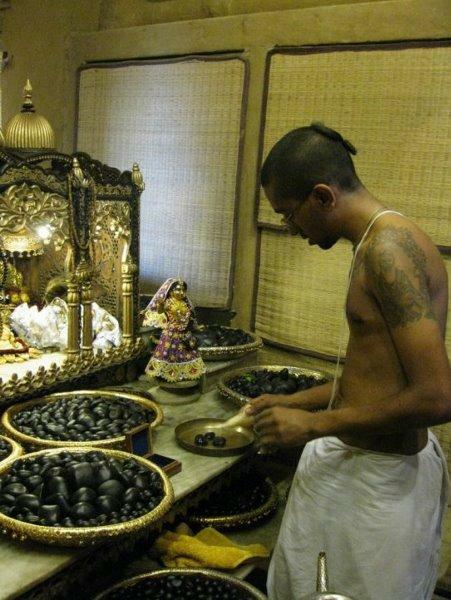 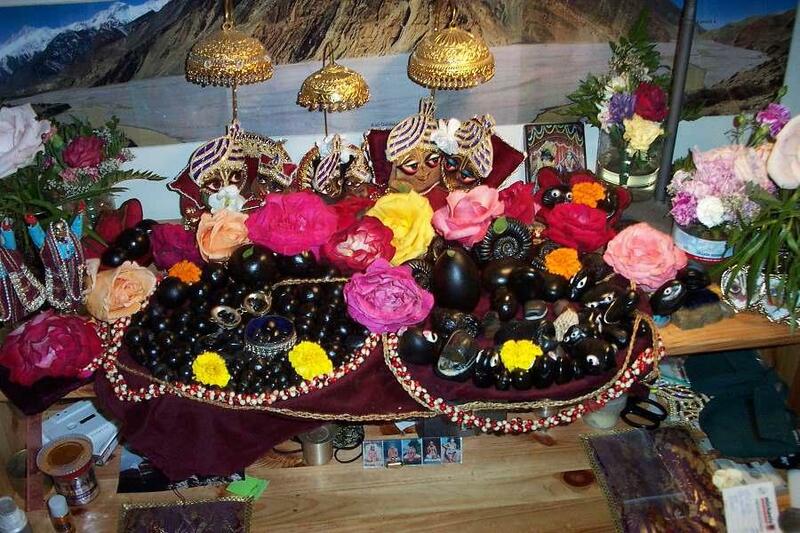 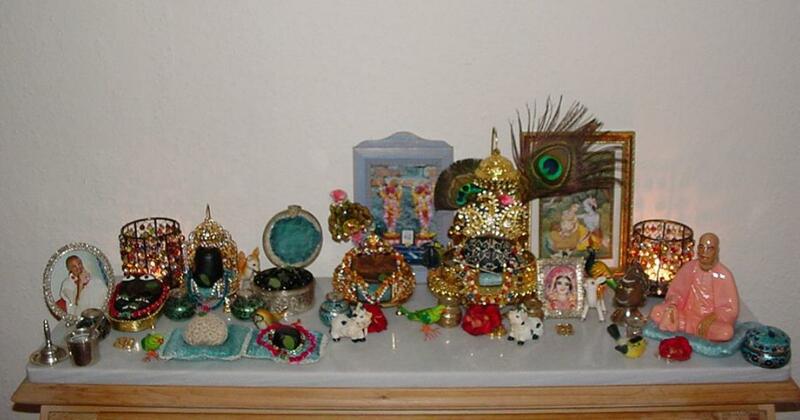 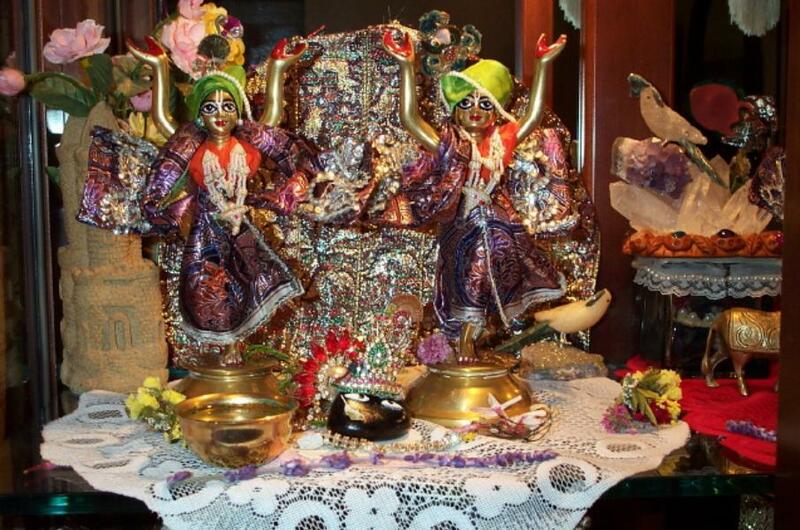 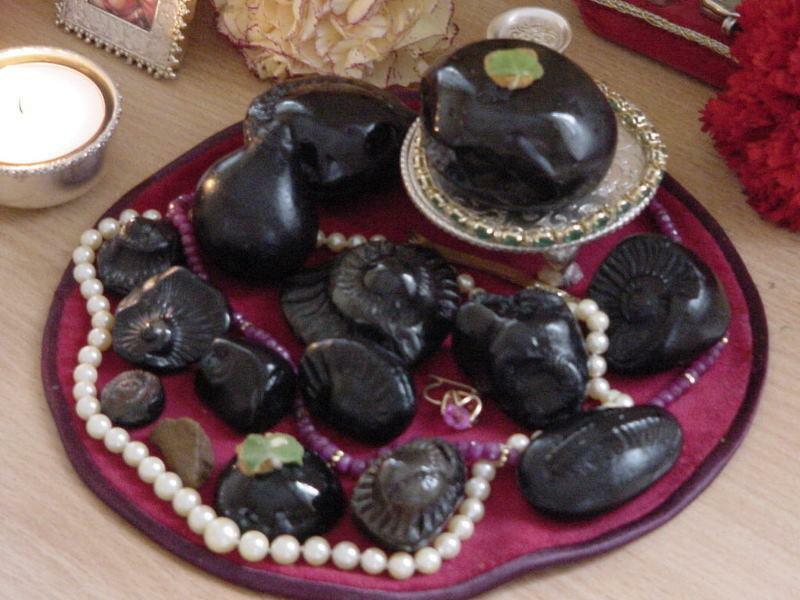 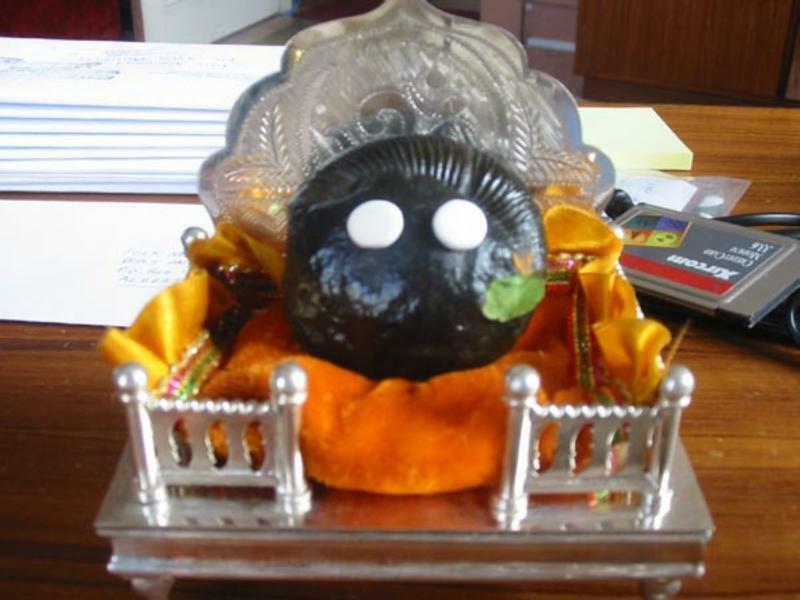 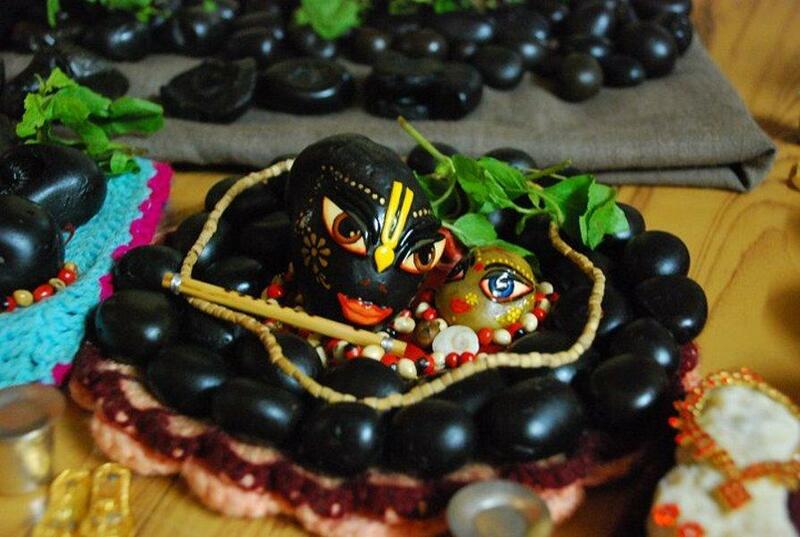 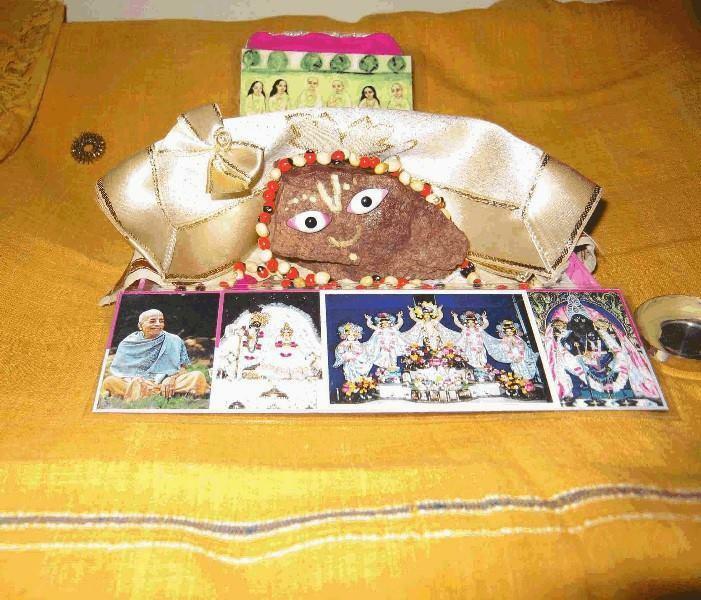 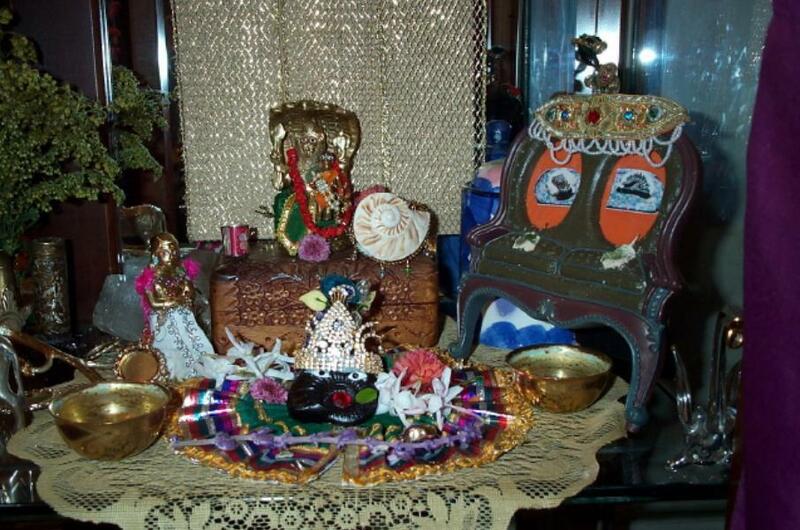 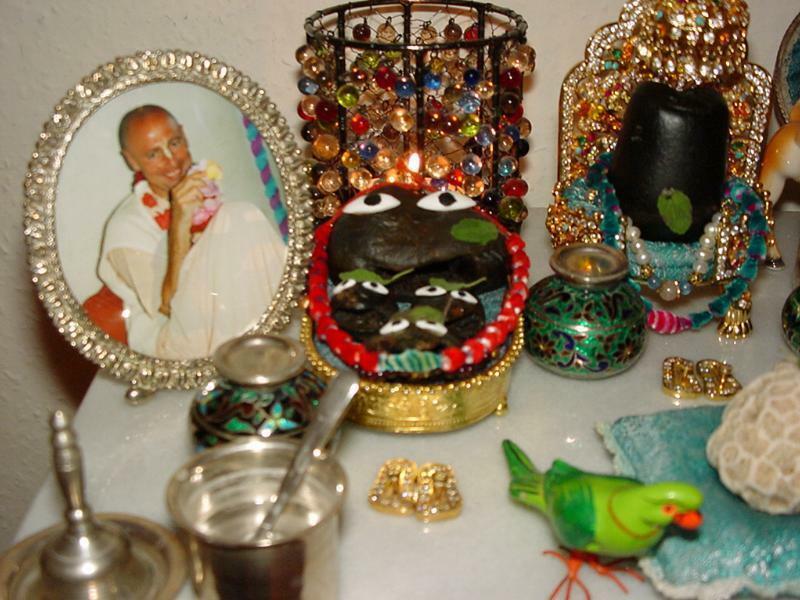 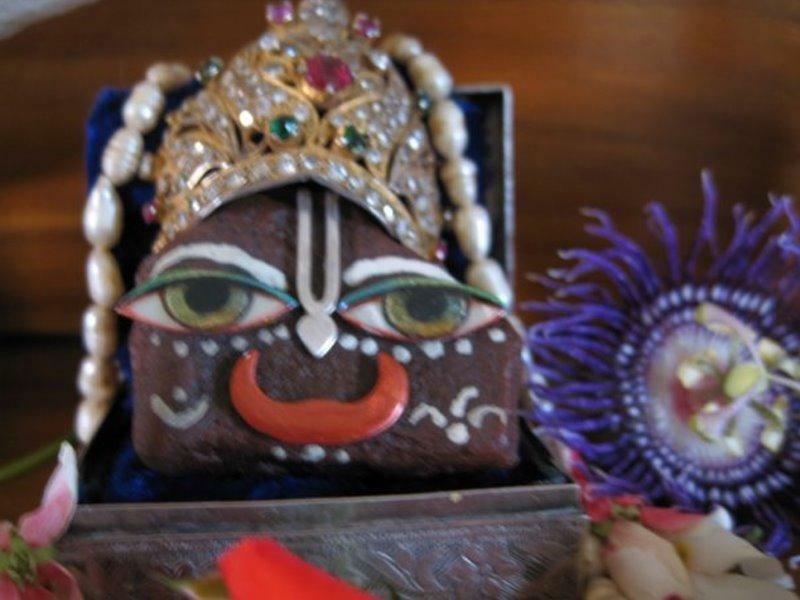 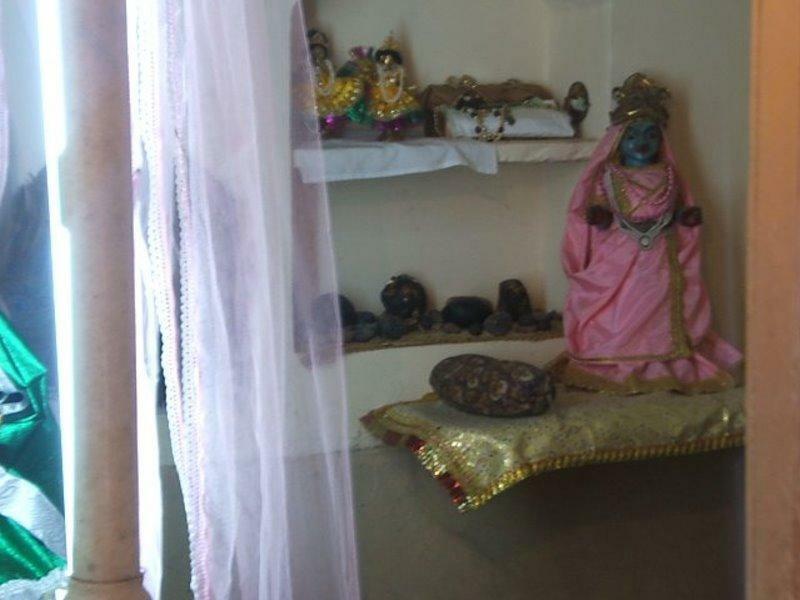 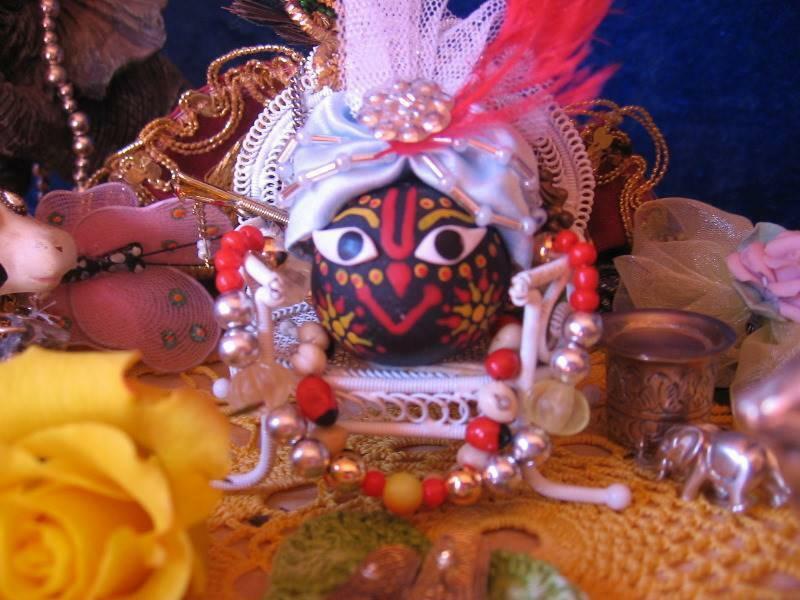 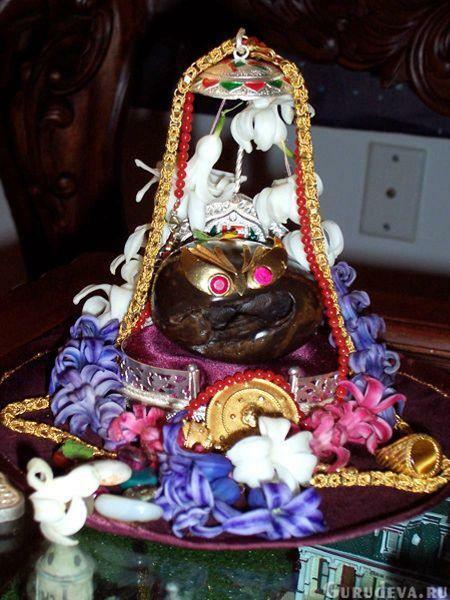 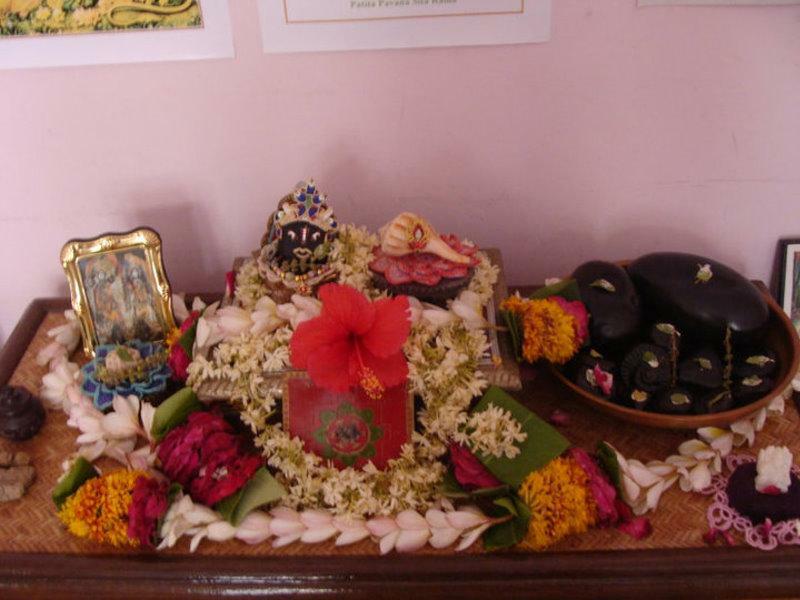 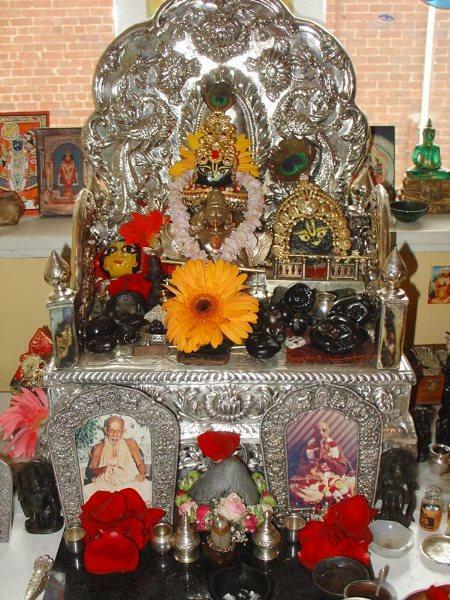 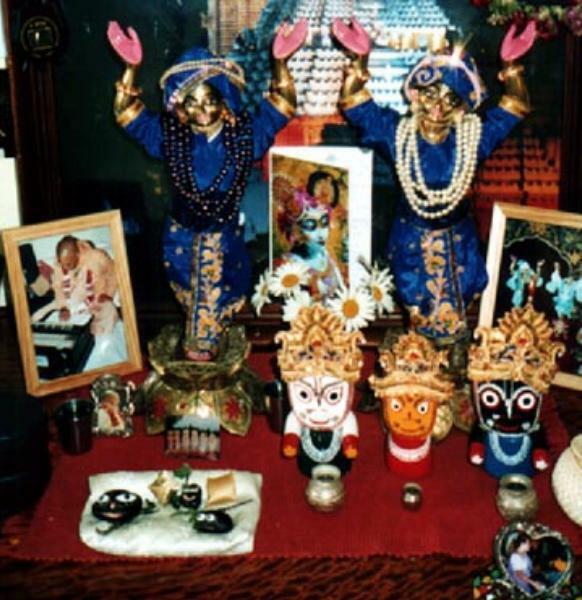 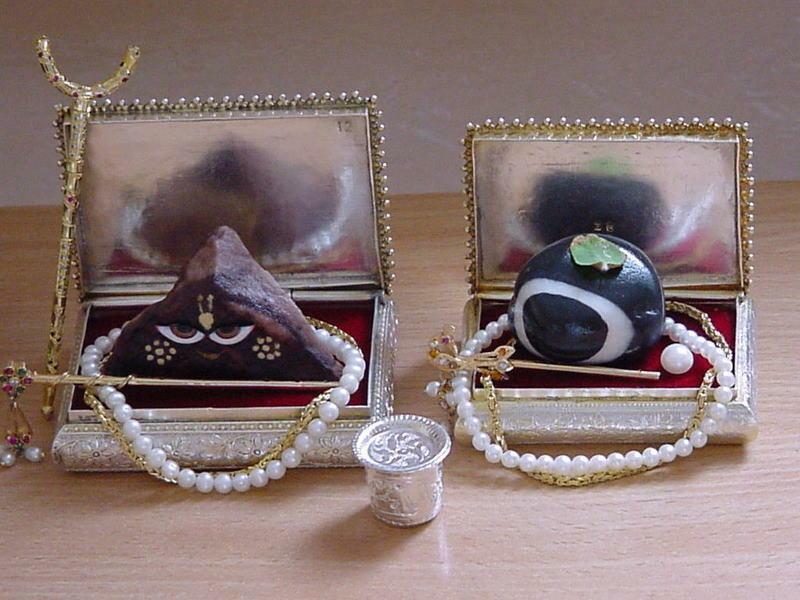 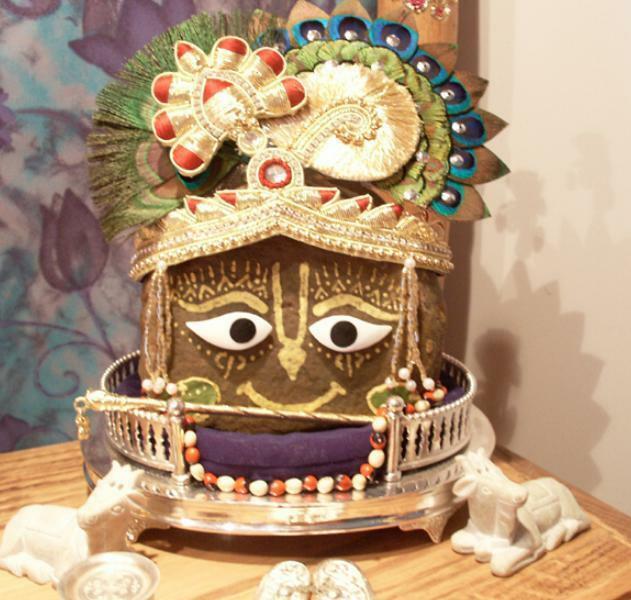 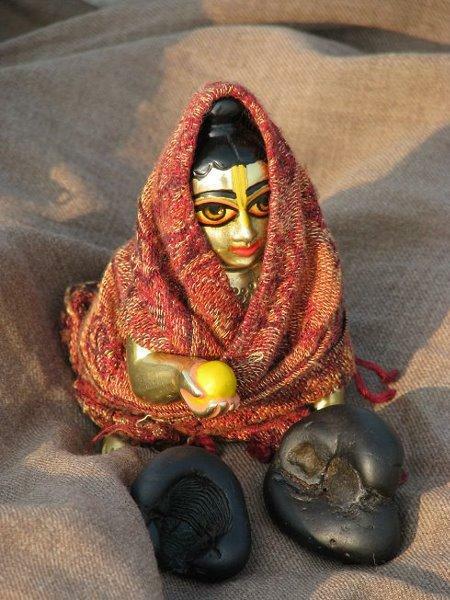 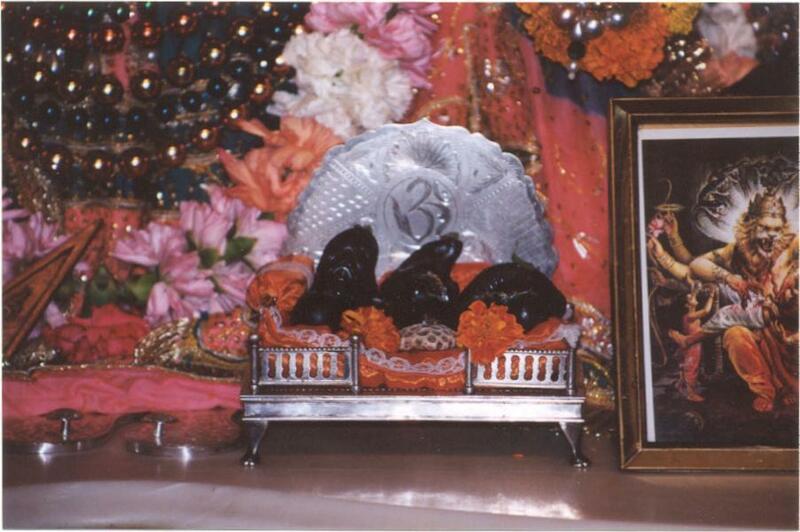 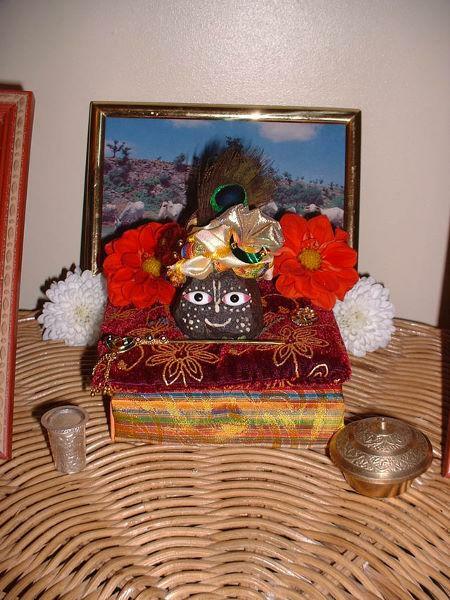 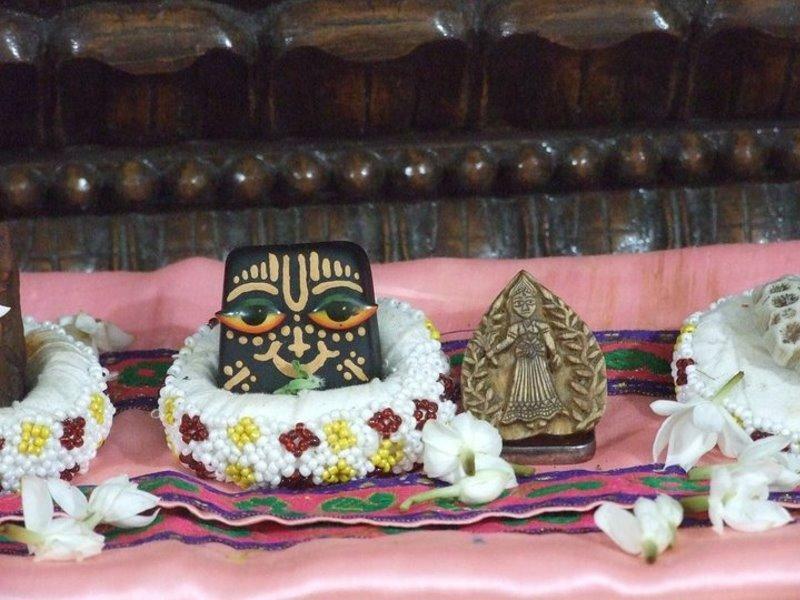 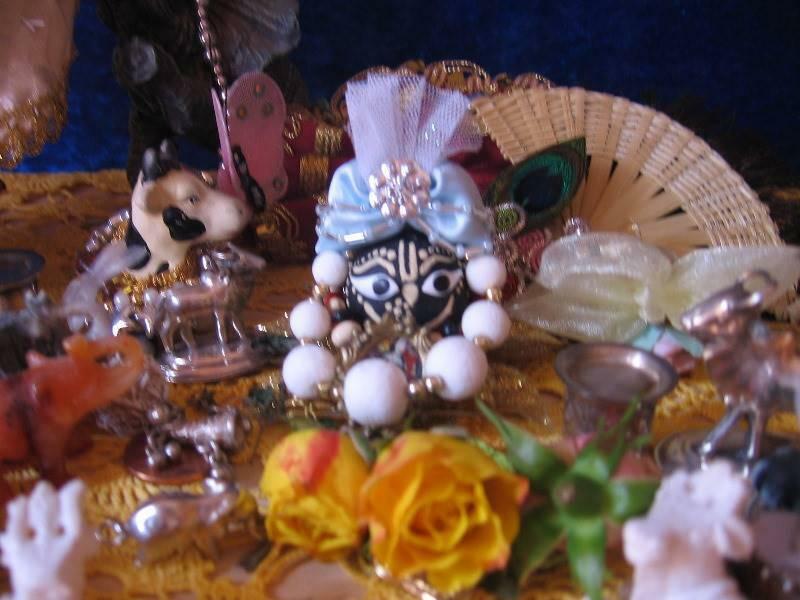 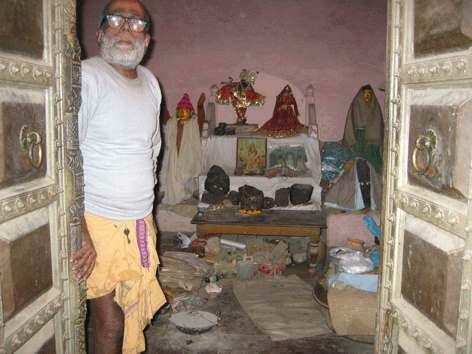 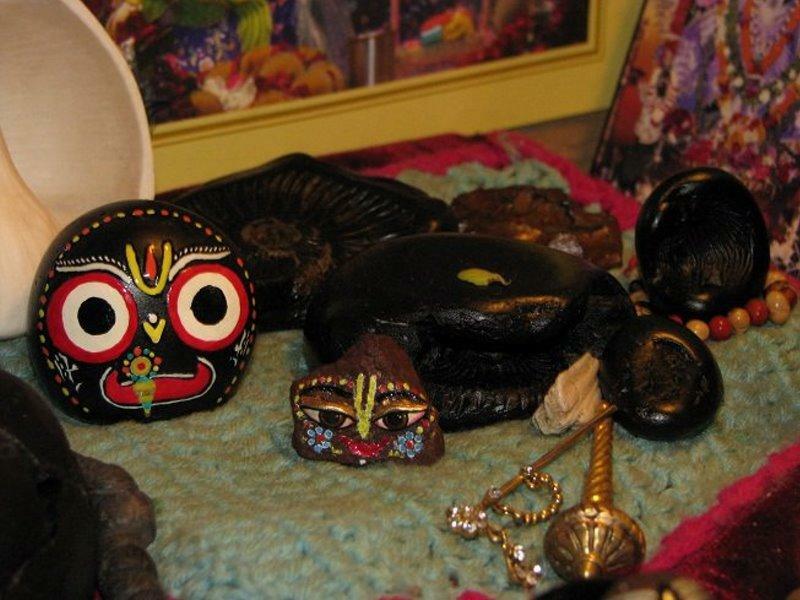 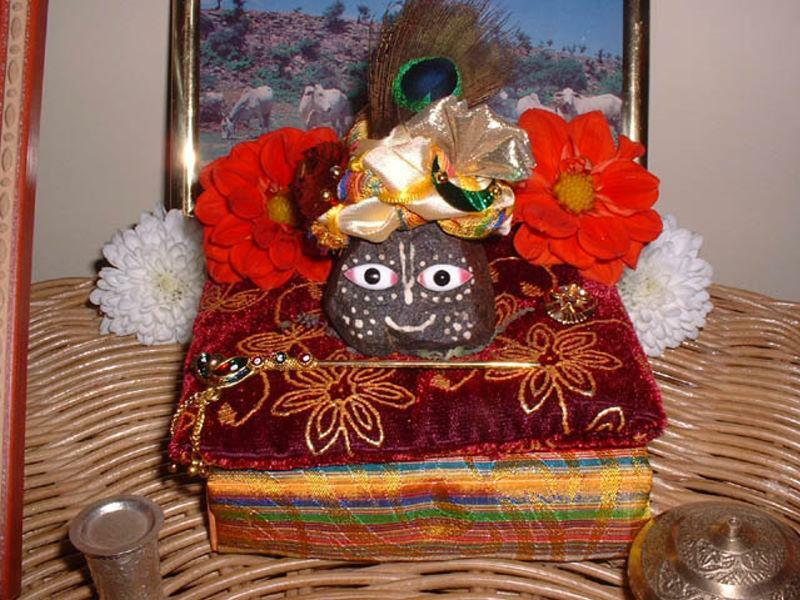 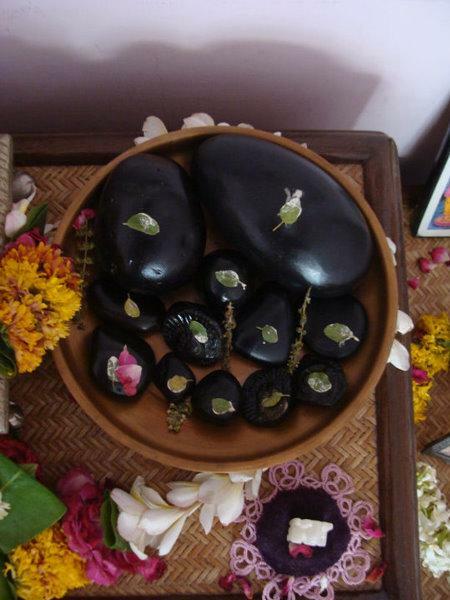 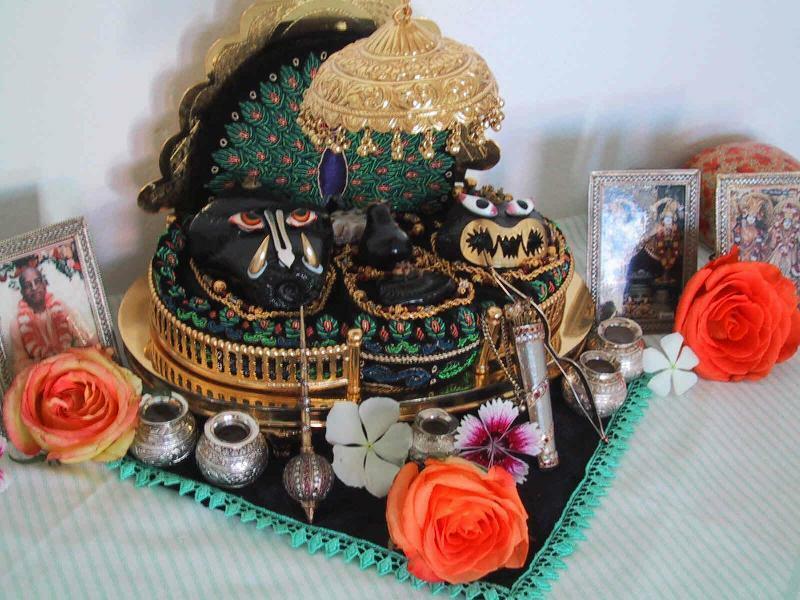 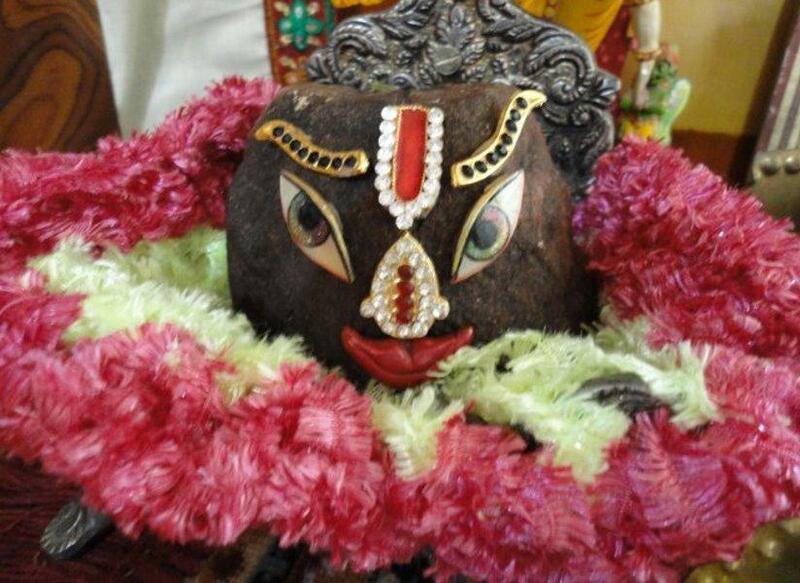 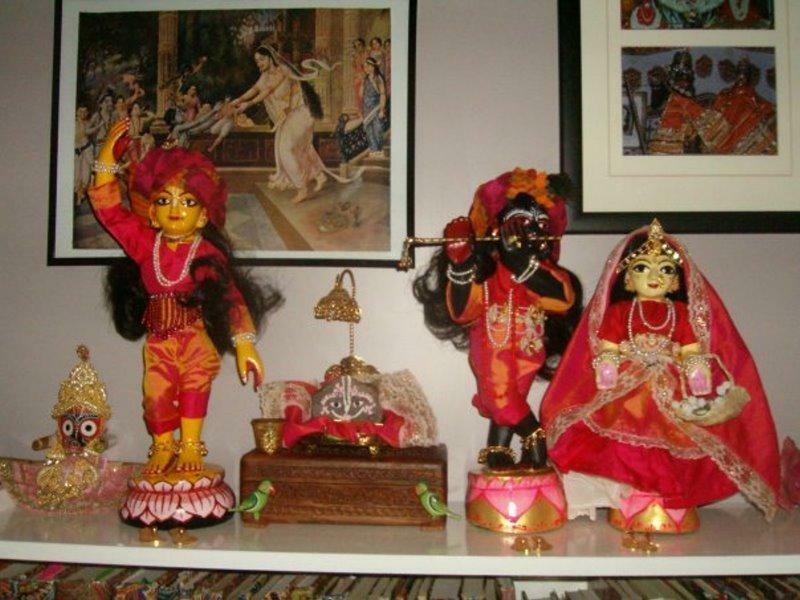 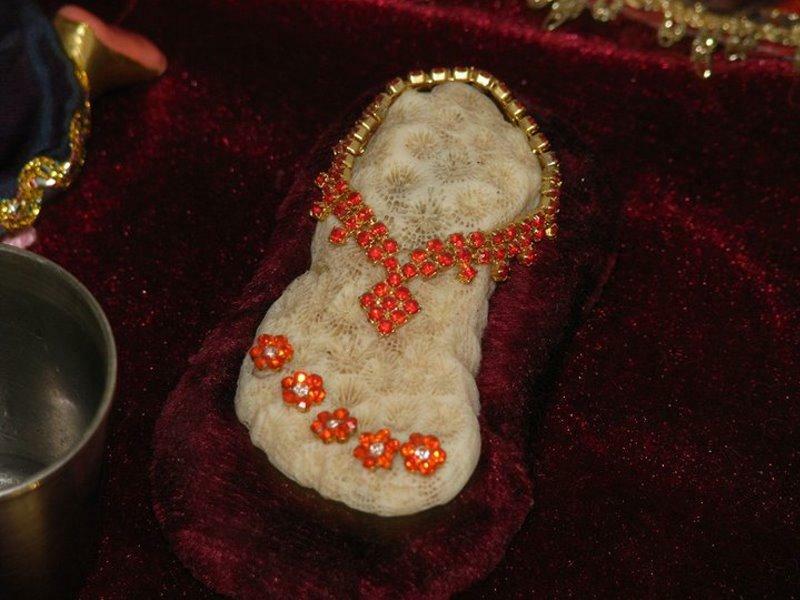 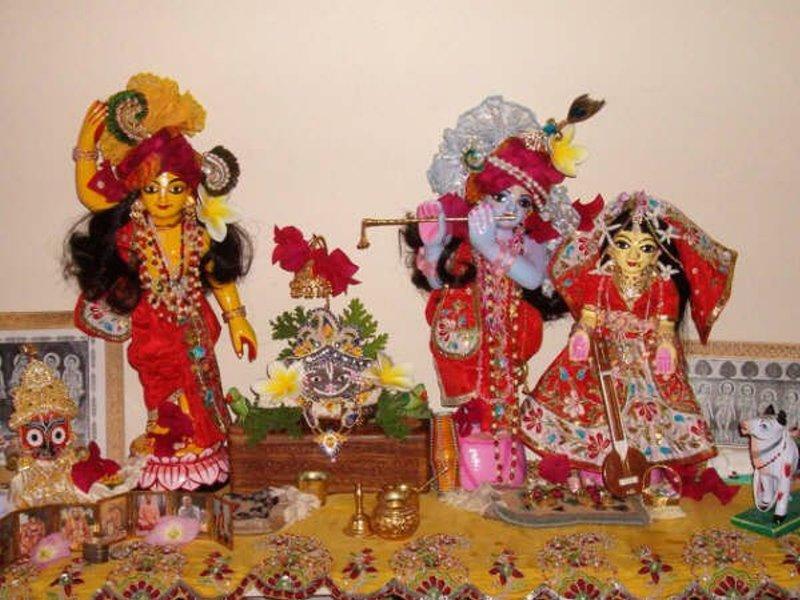 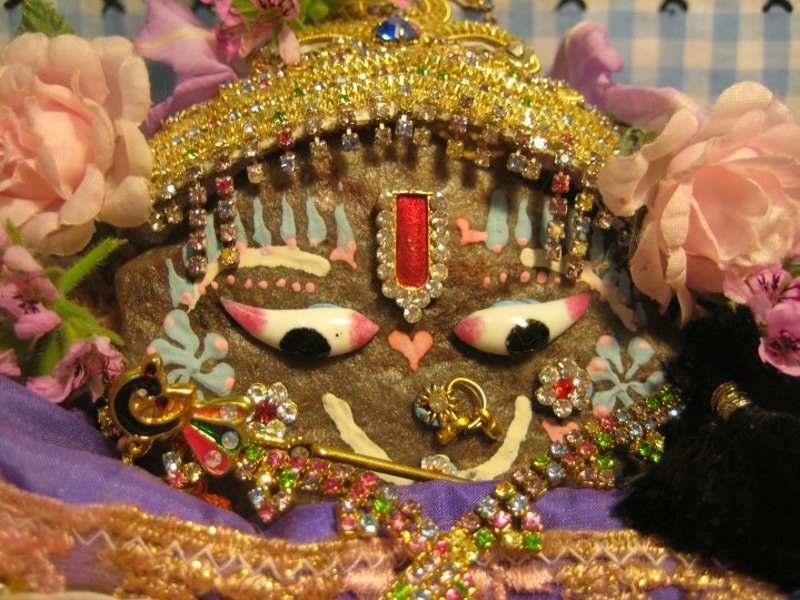 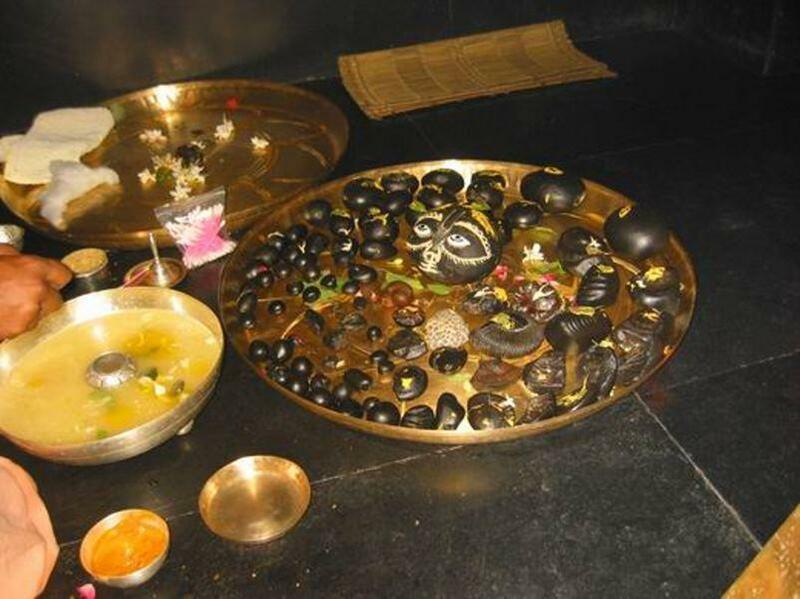 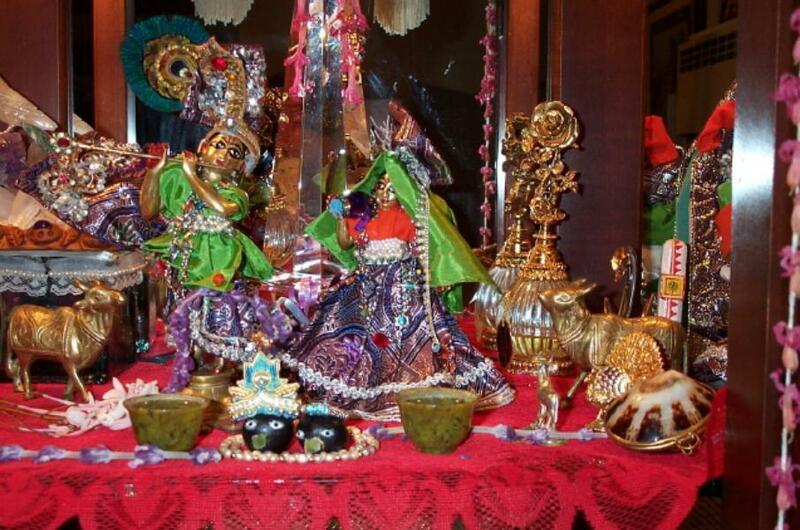 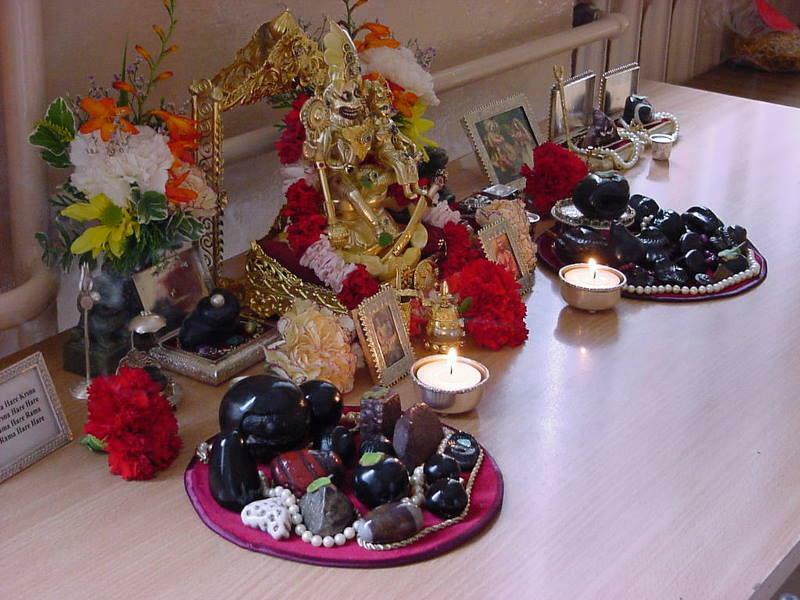 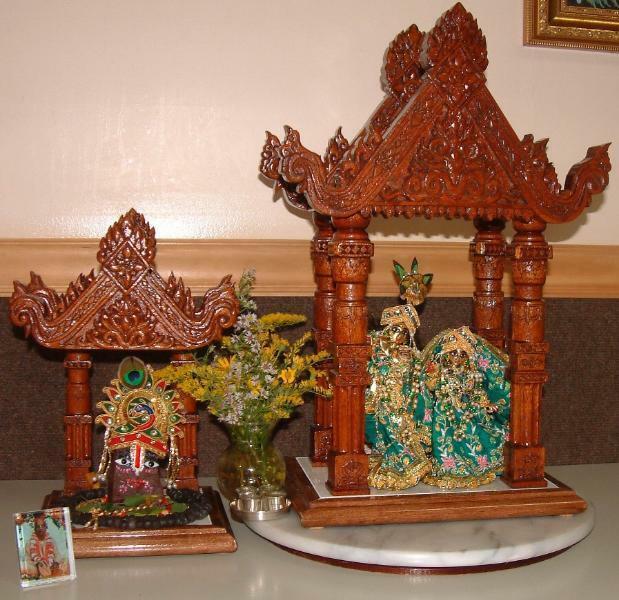 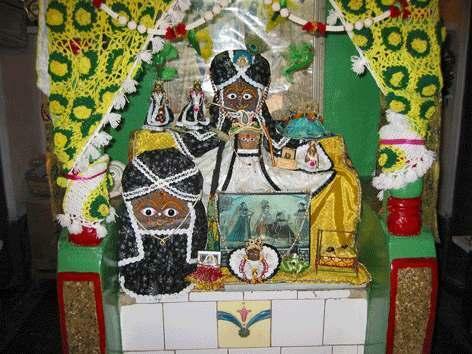 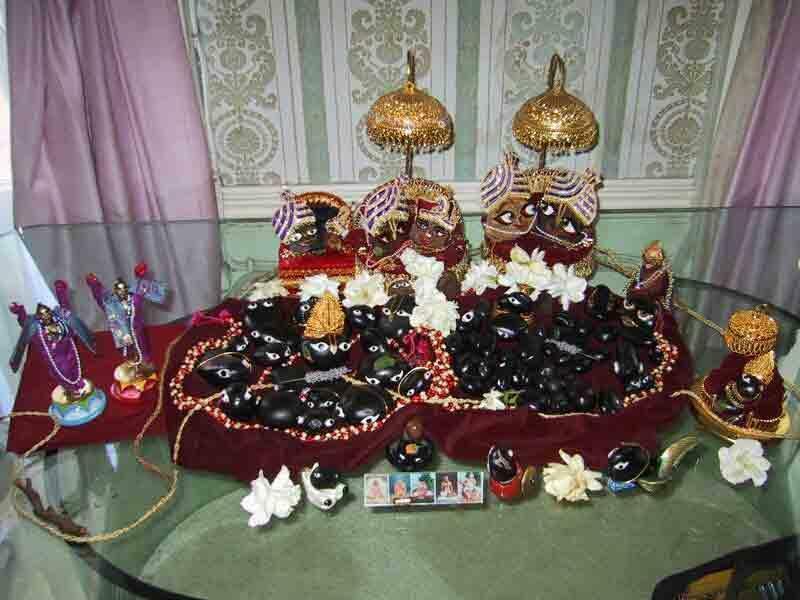 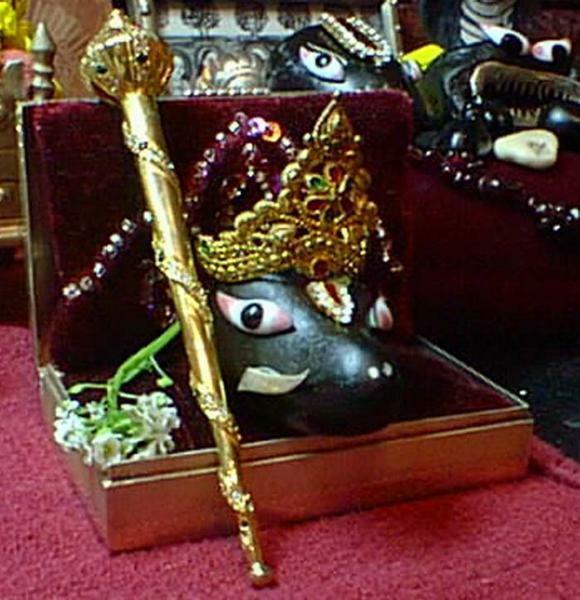 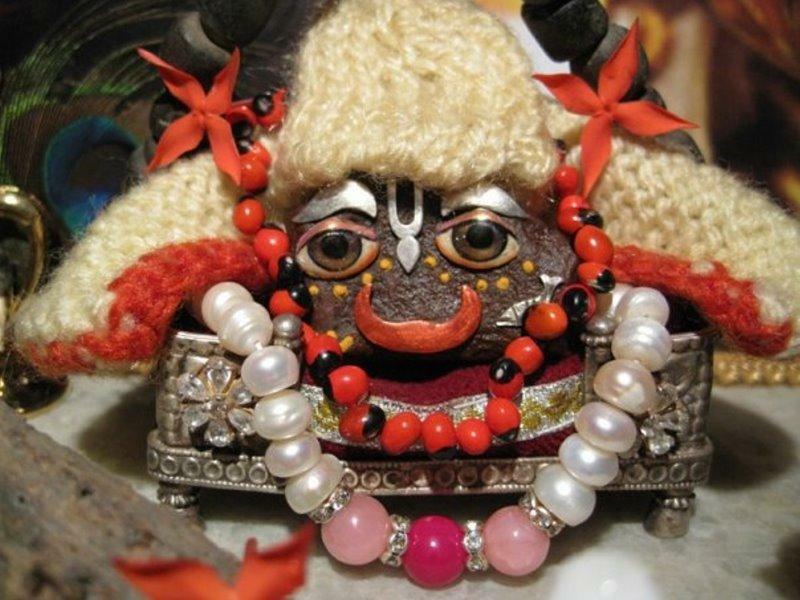 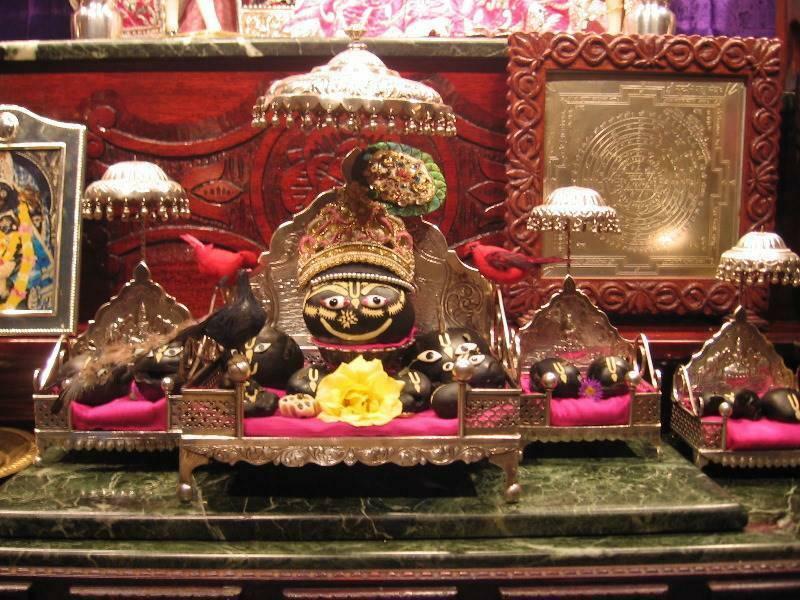 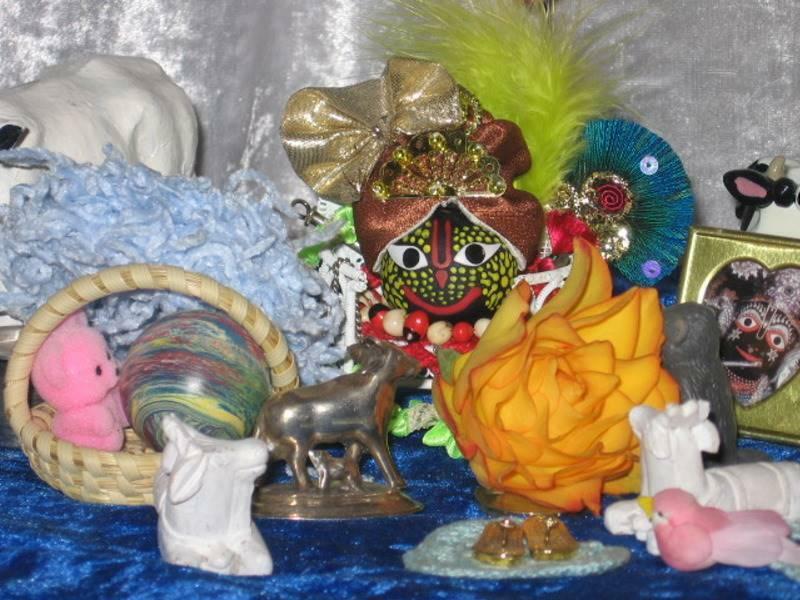 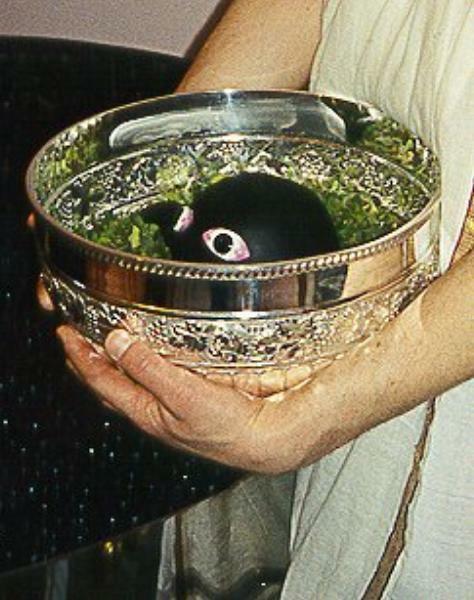 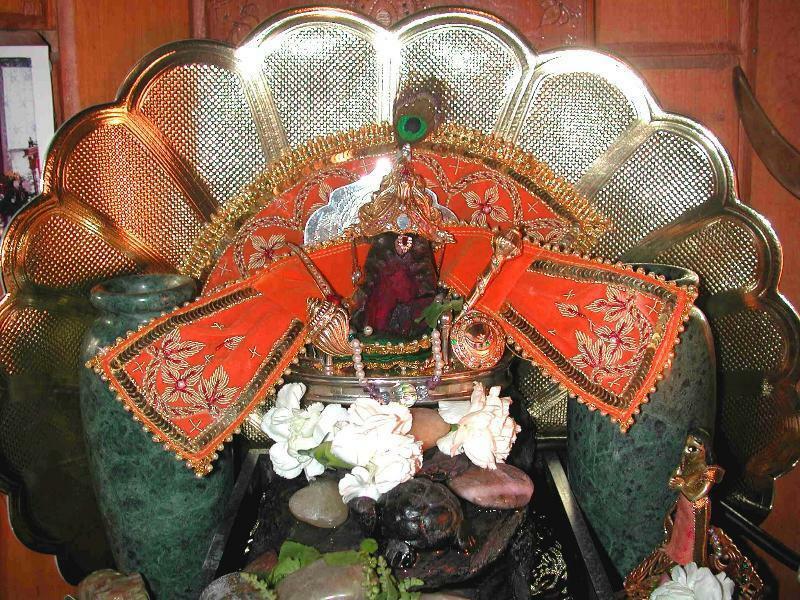 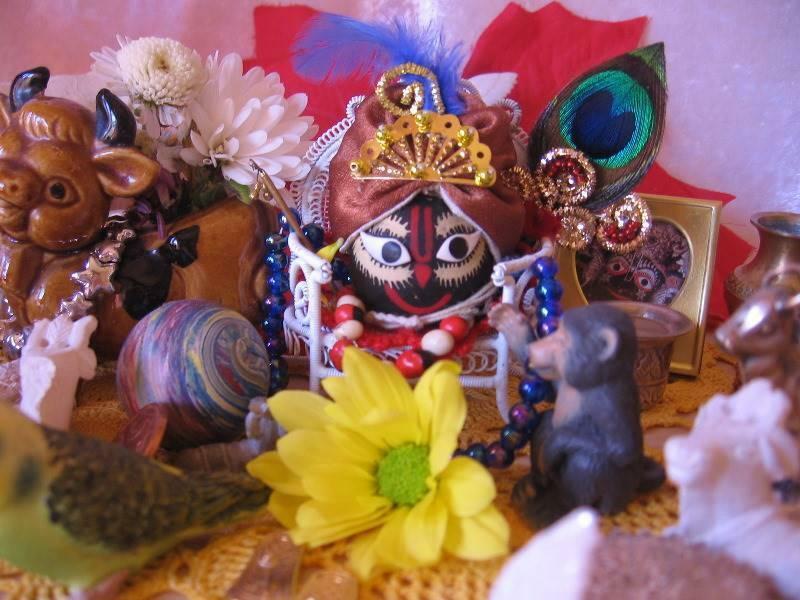 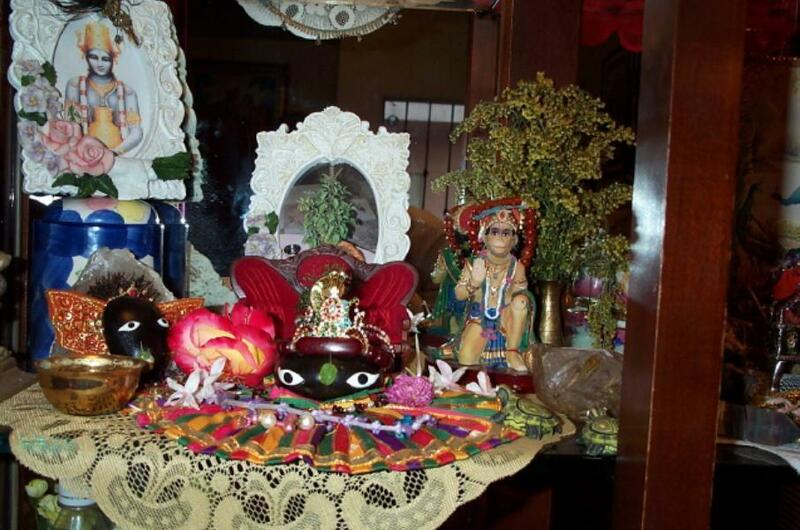 The size recommended for the puja in the house is the smaller ones, which can be accommodated, in the closed fit. 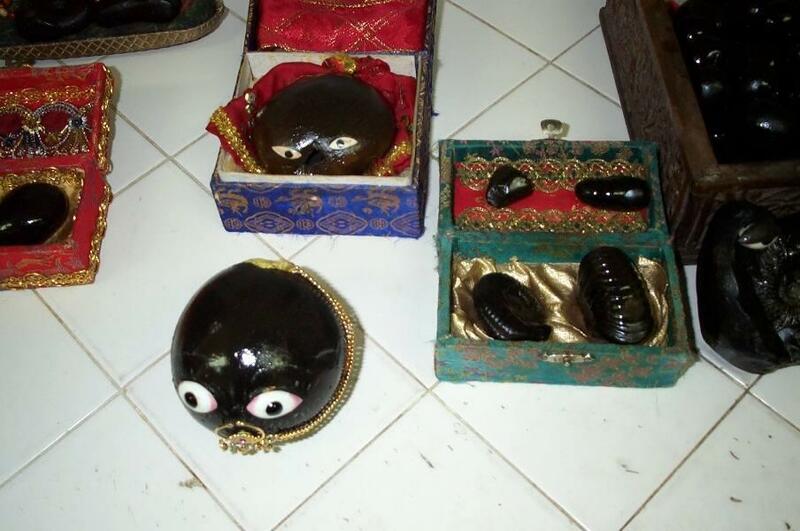 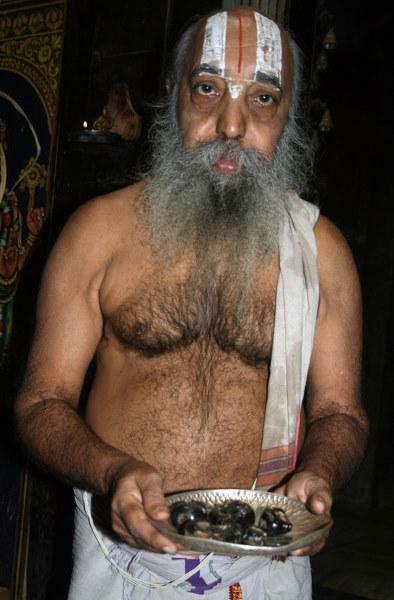 Big size saligrams are to be kept in the Temples.